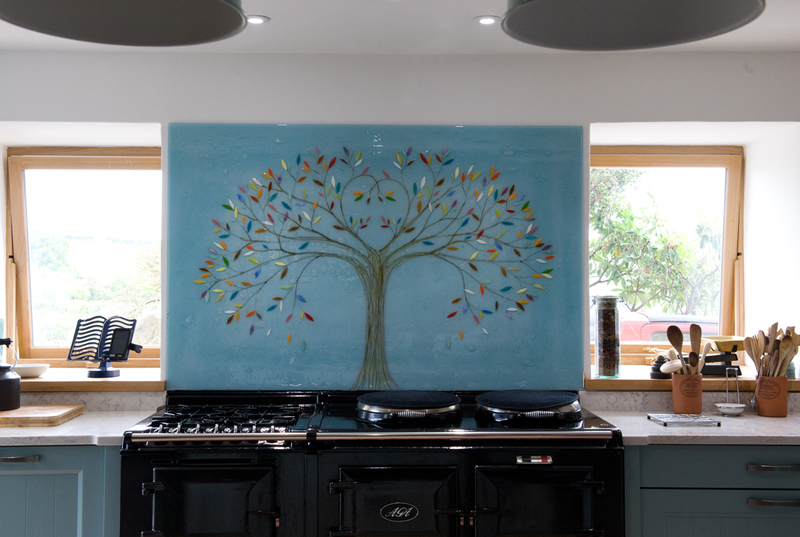 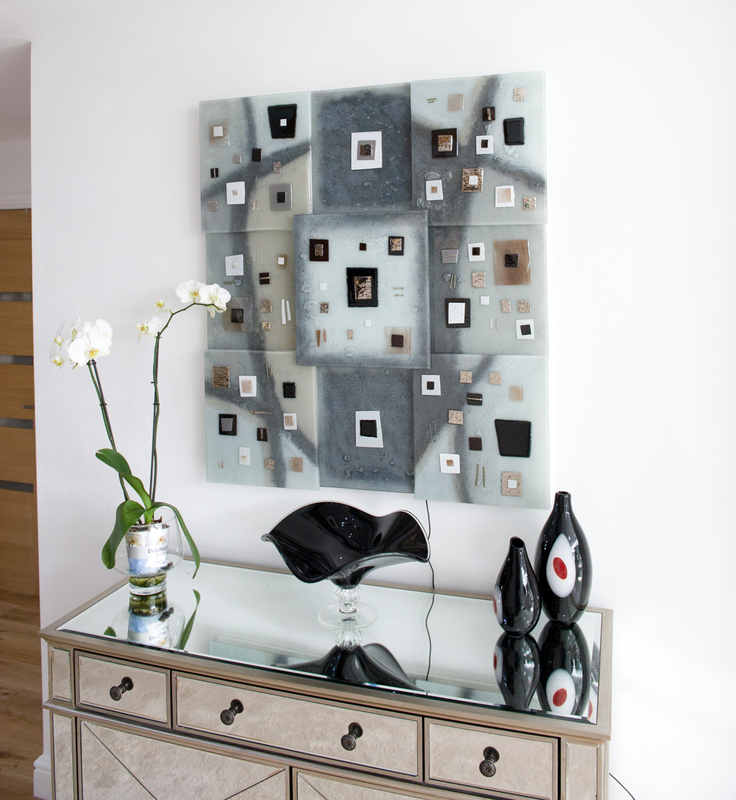 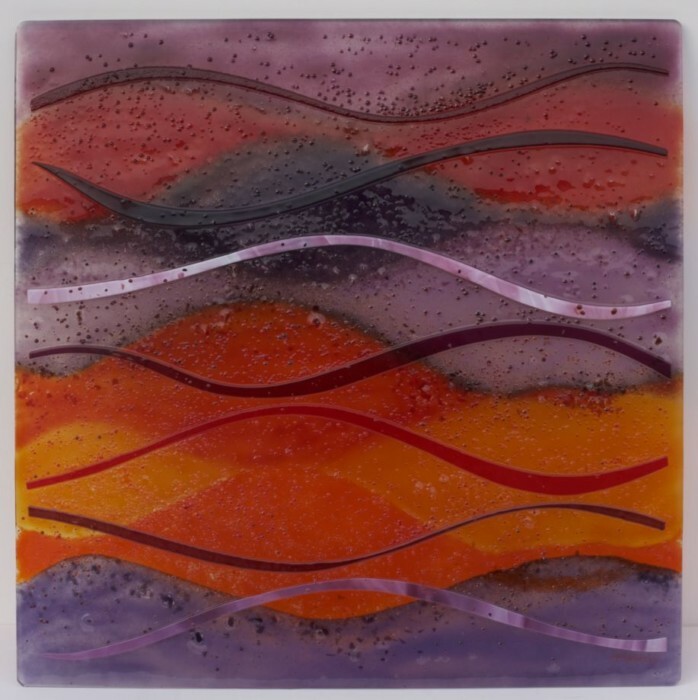 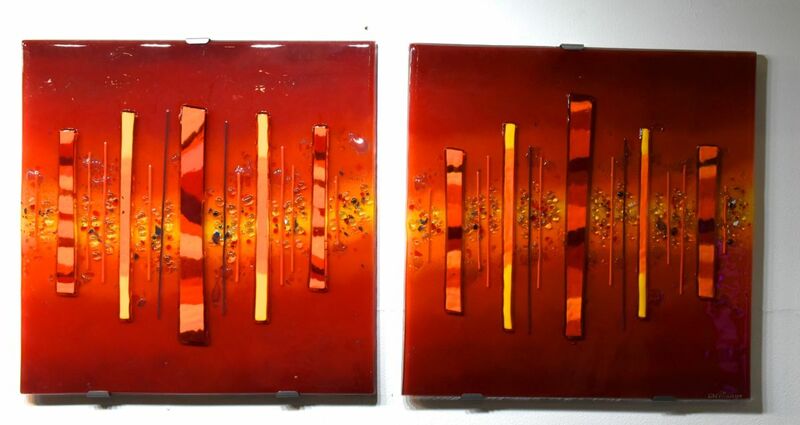 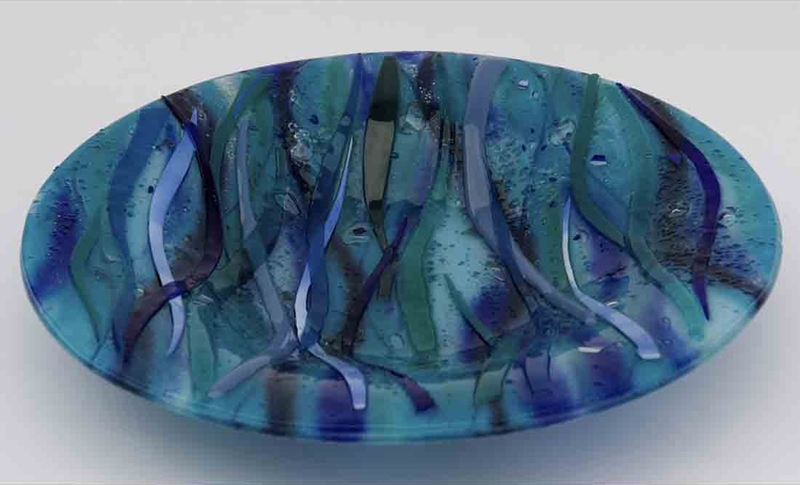 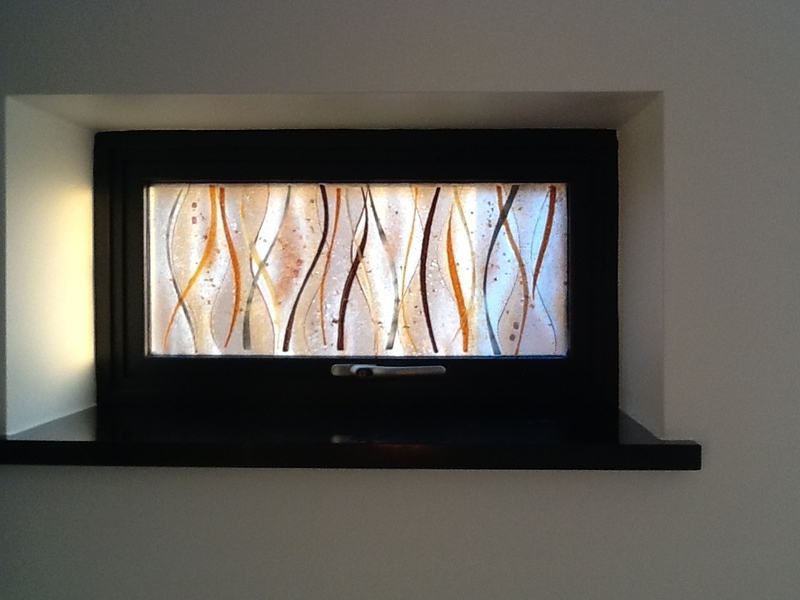 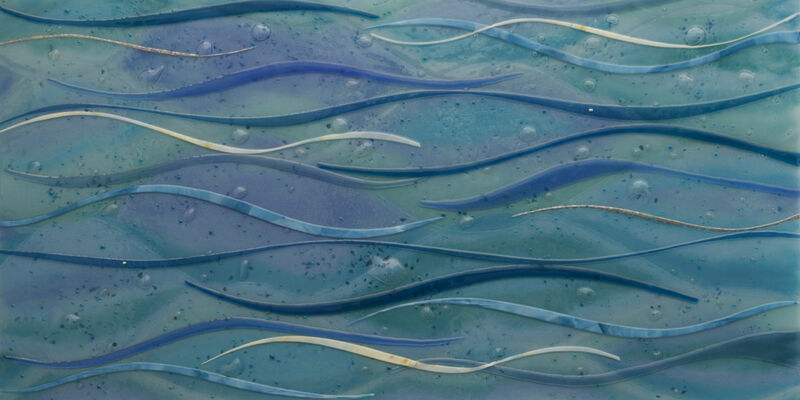 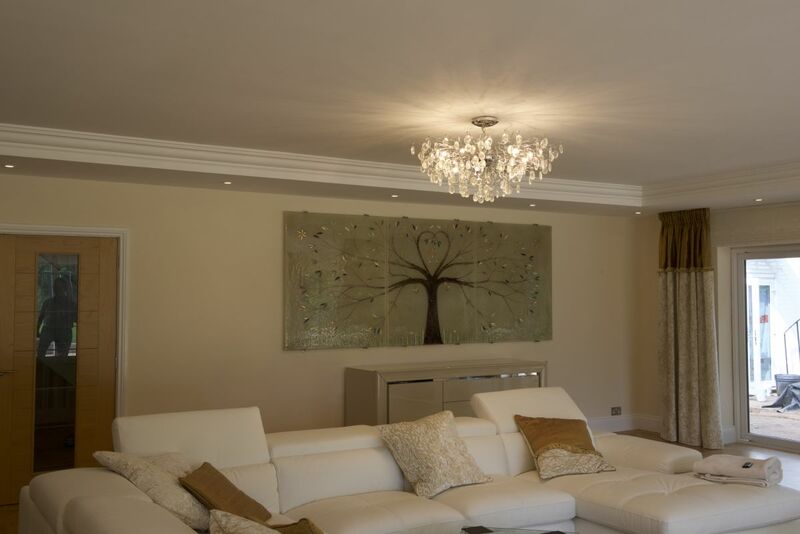 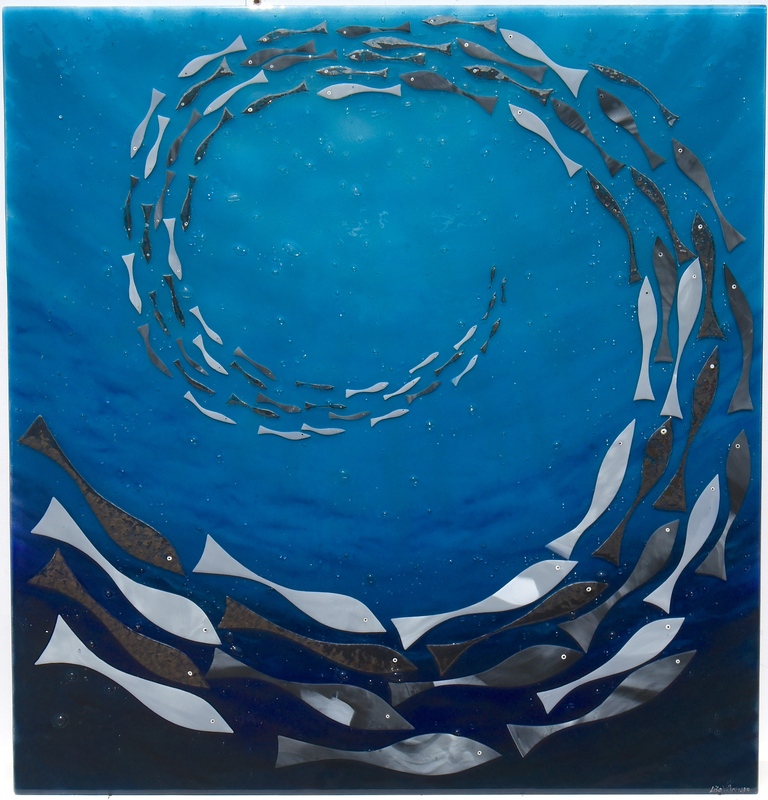 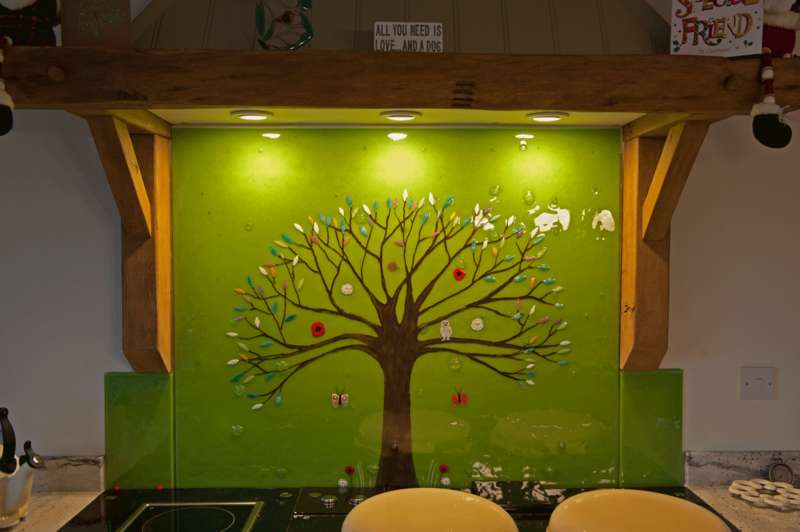 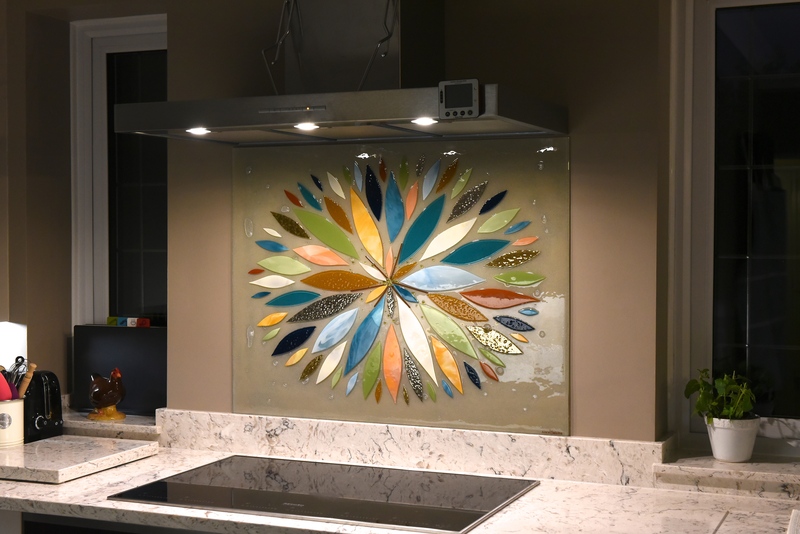 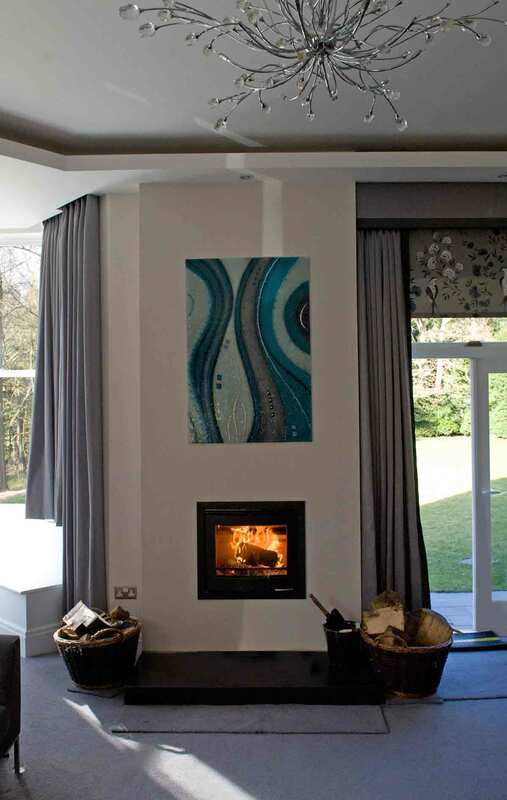 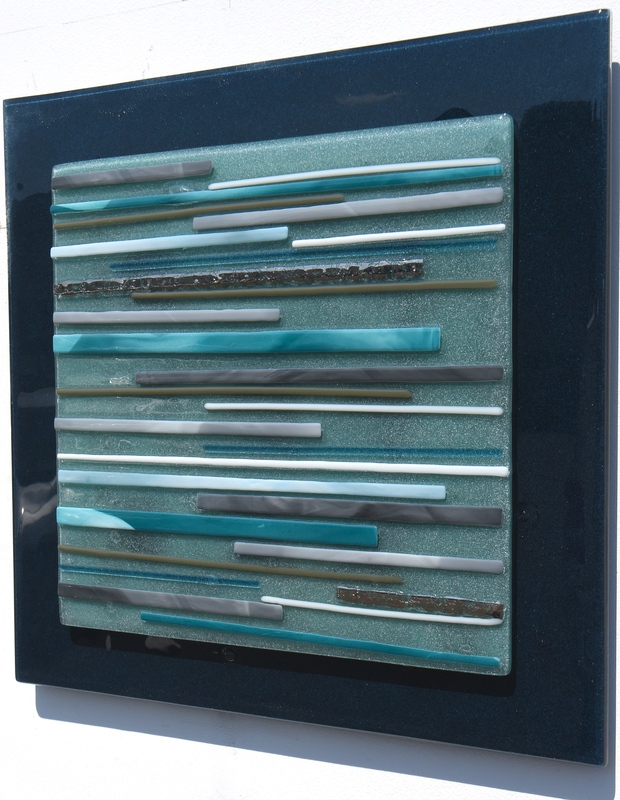 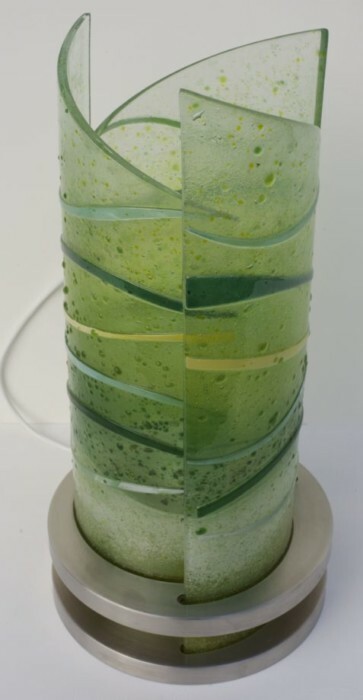 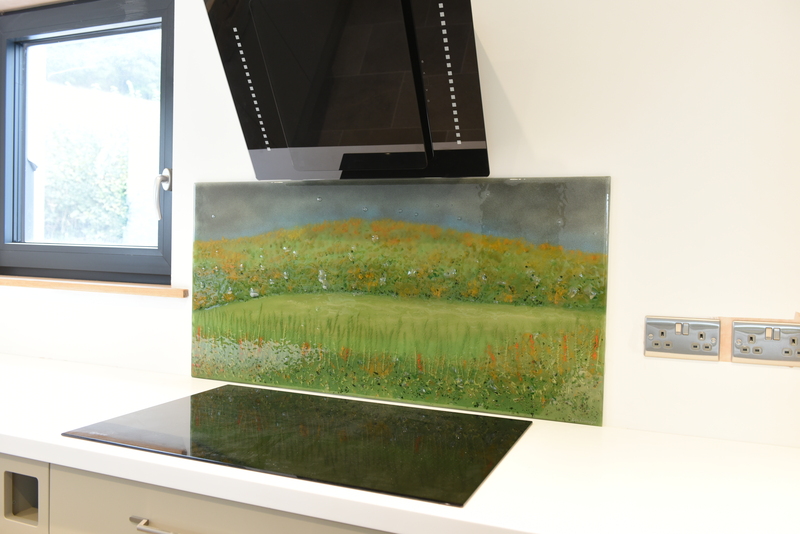 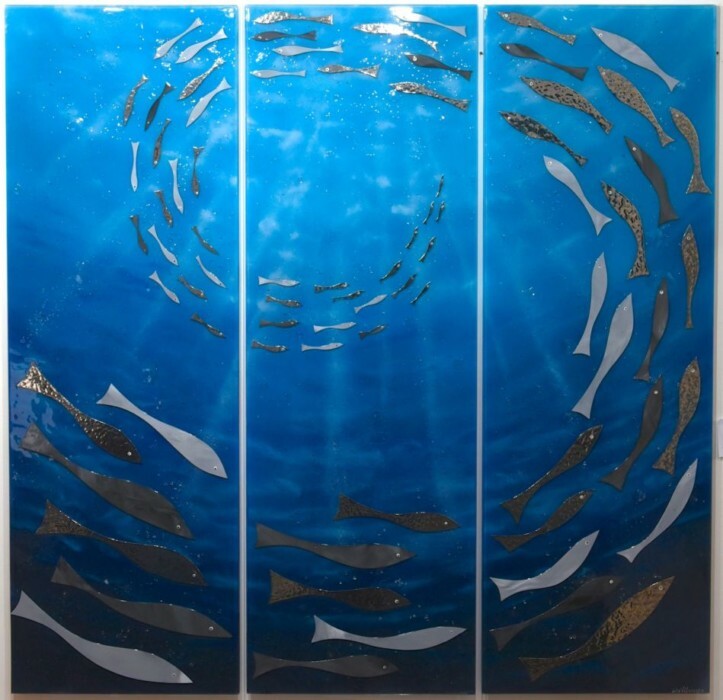 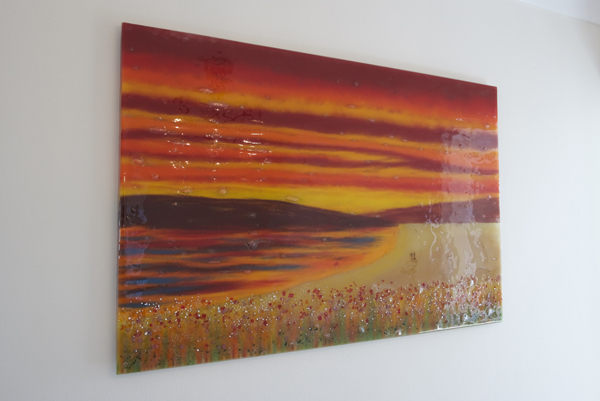 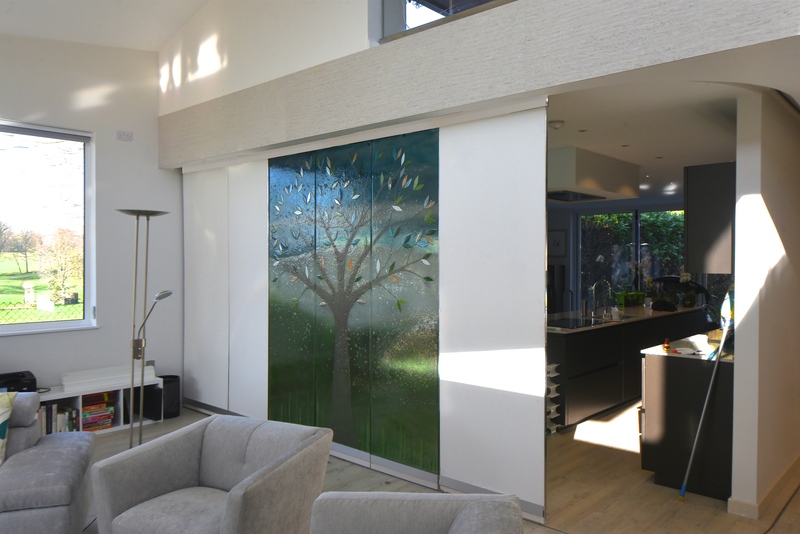 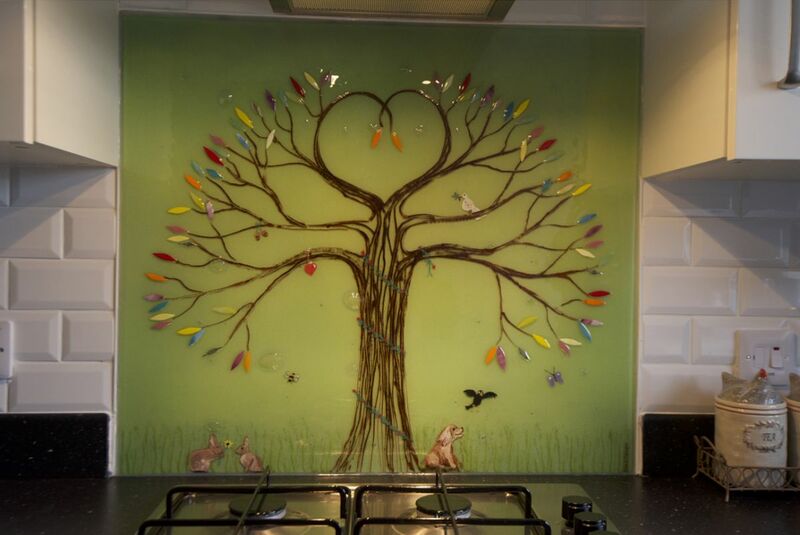 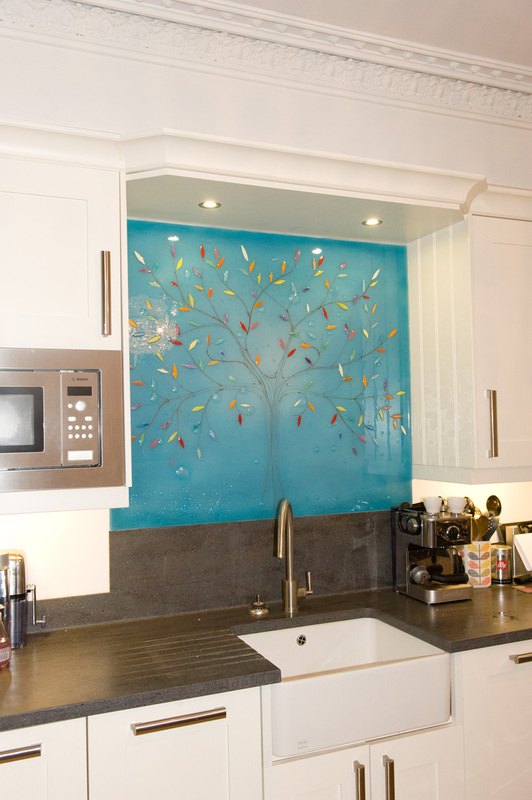 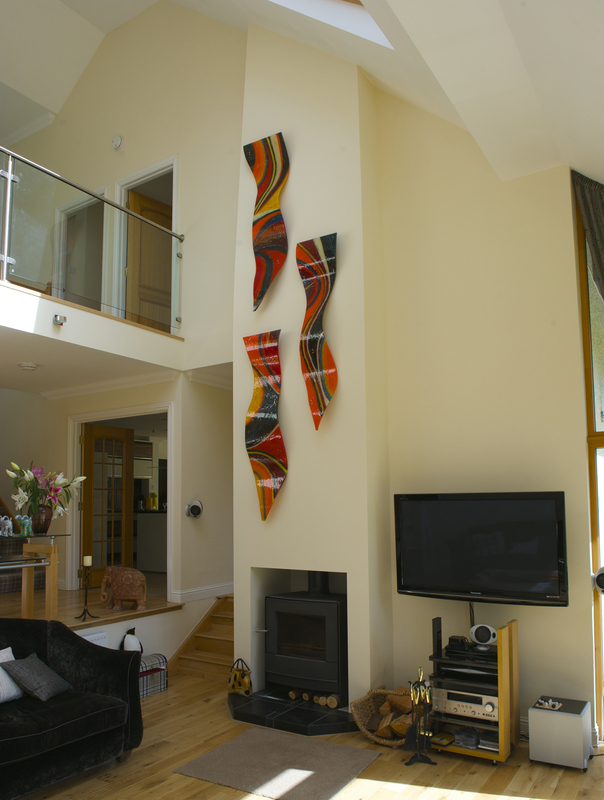 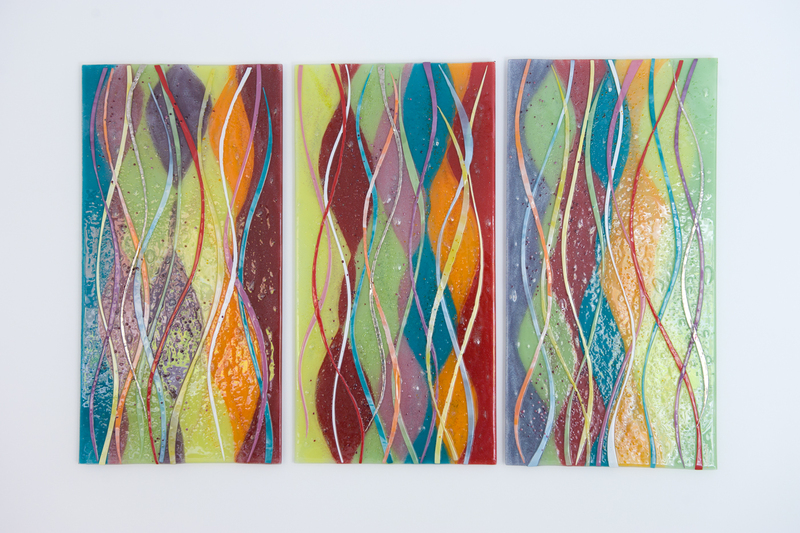 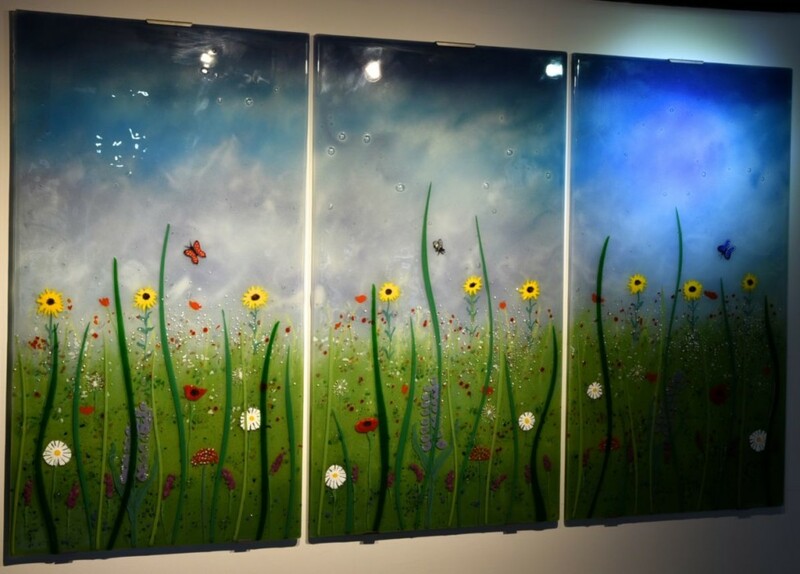 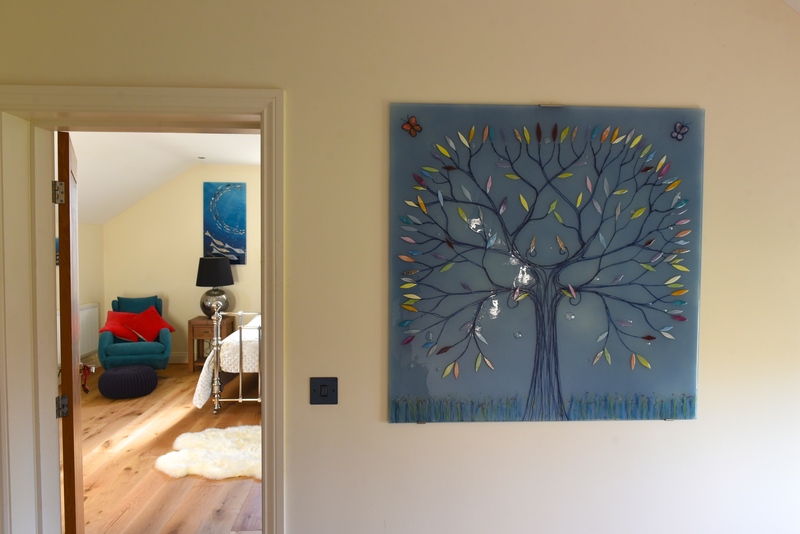 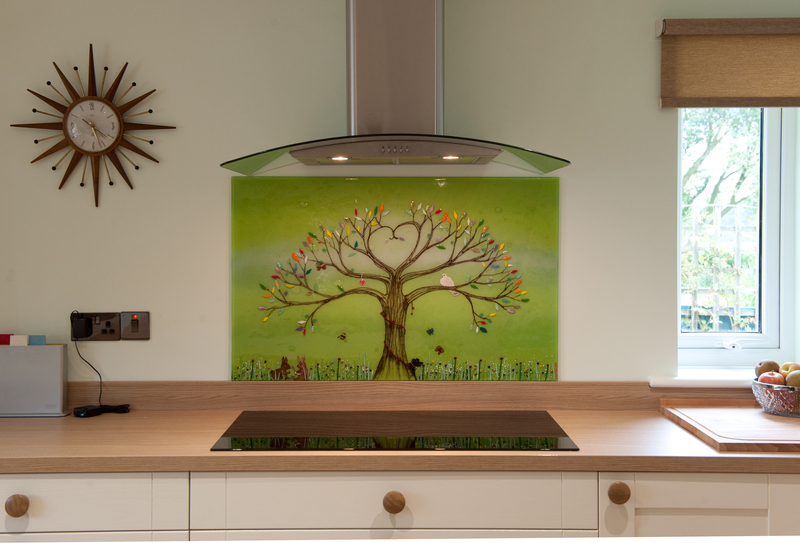 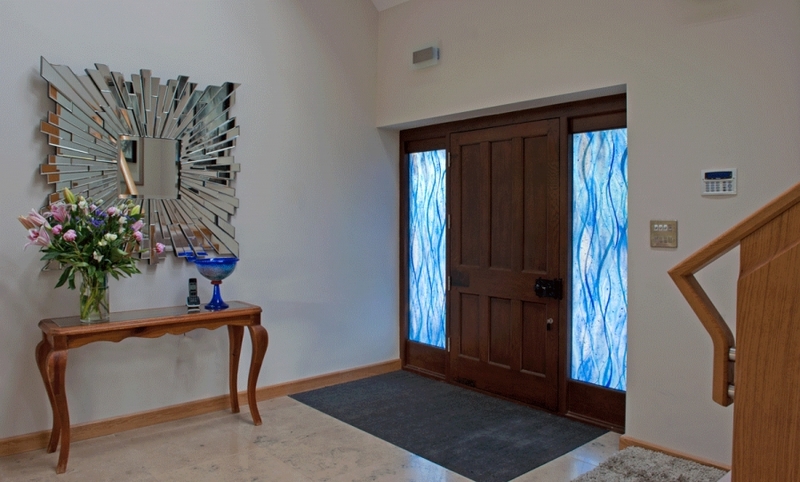 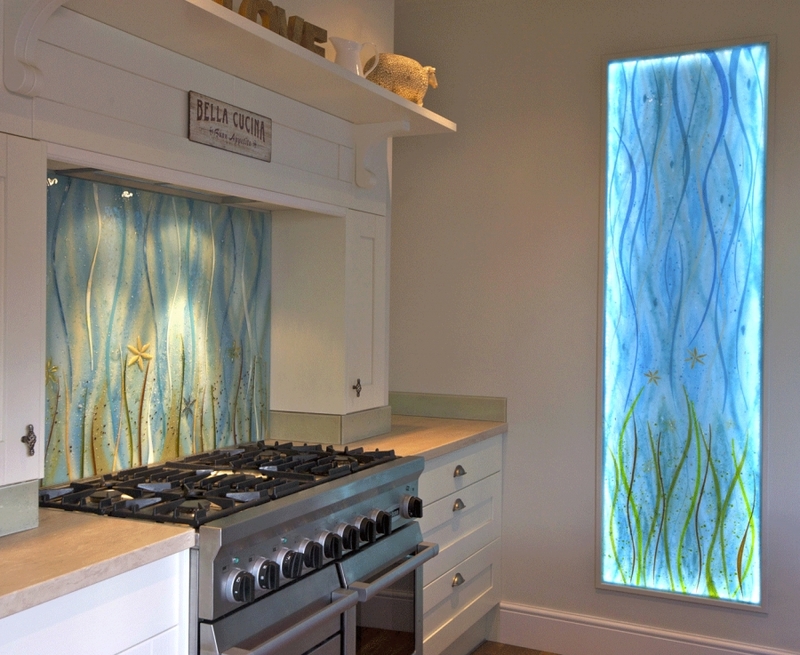 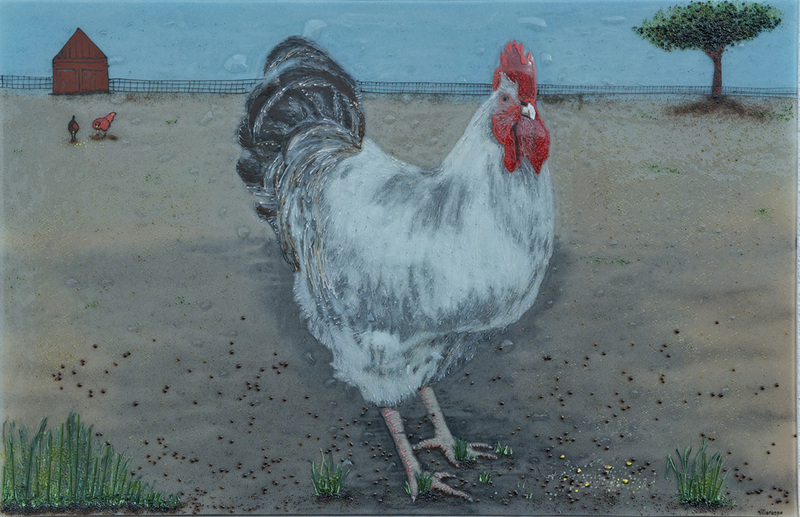 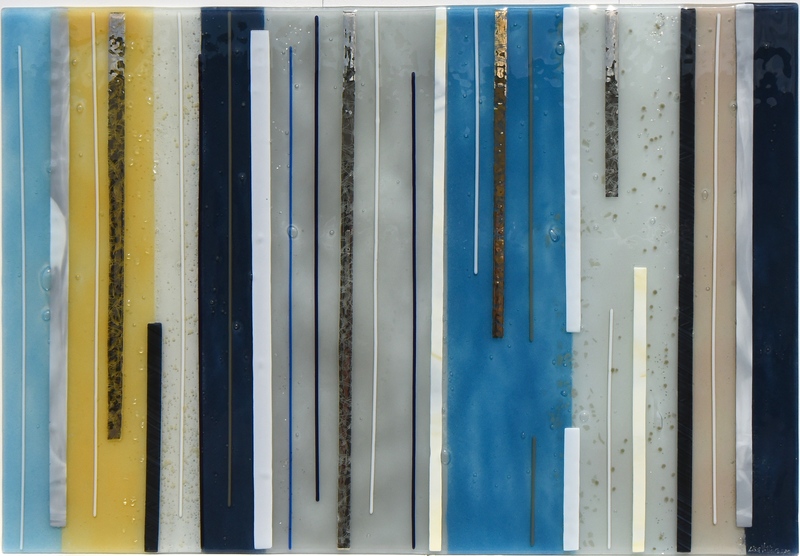 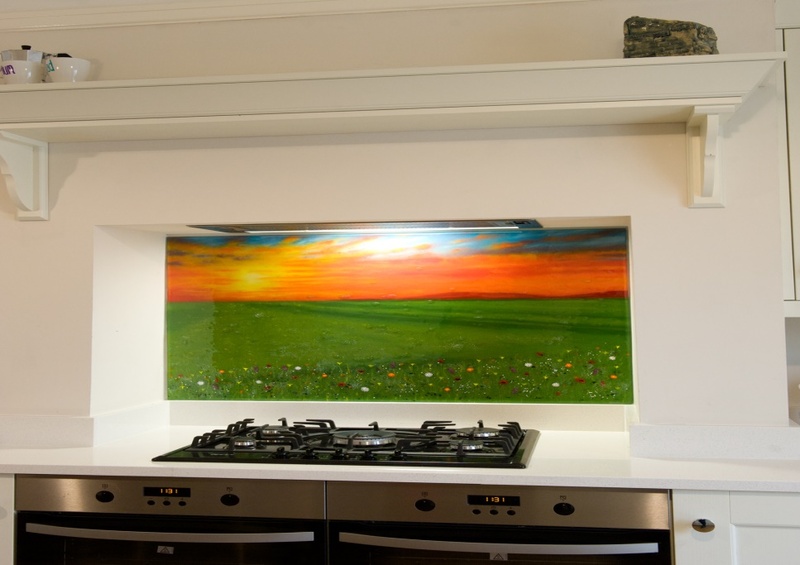 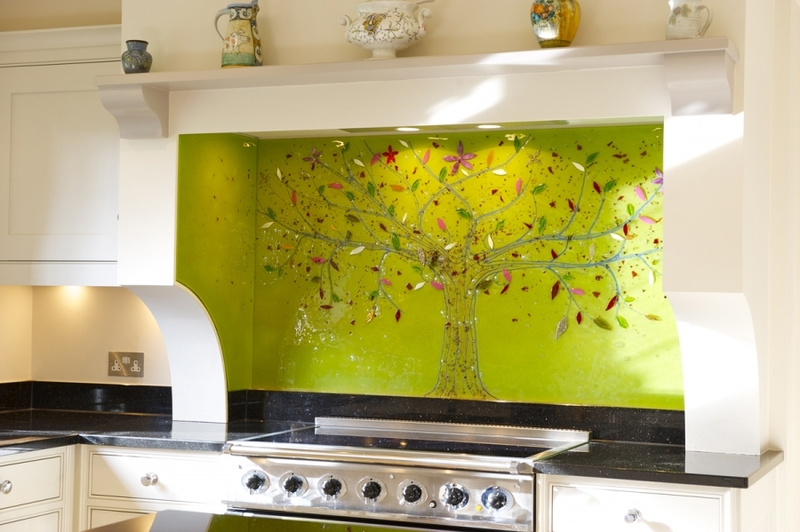 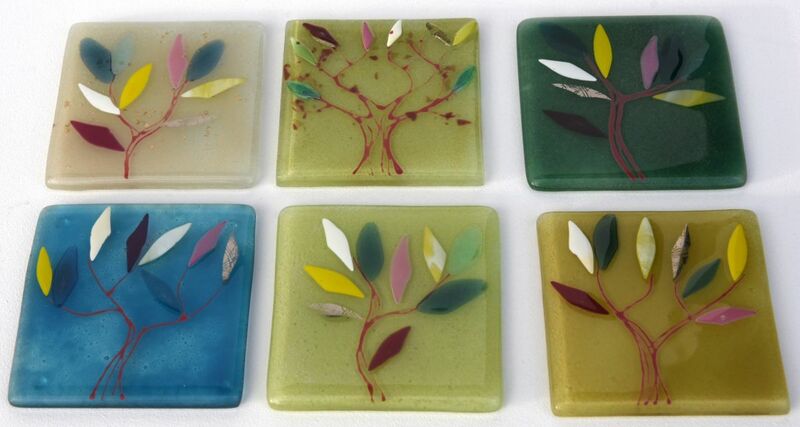 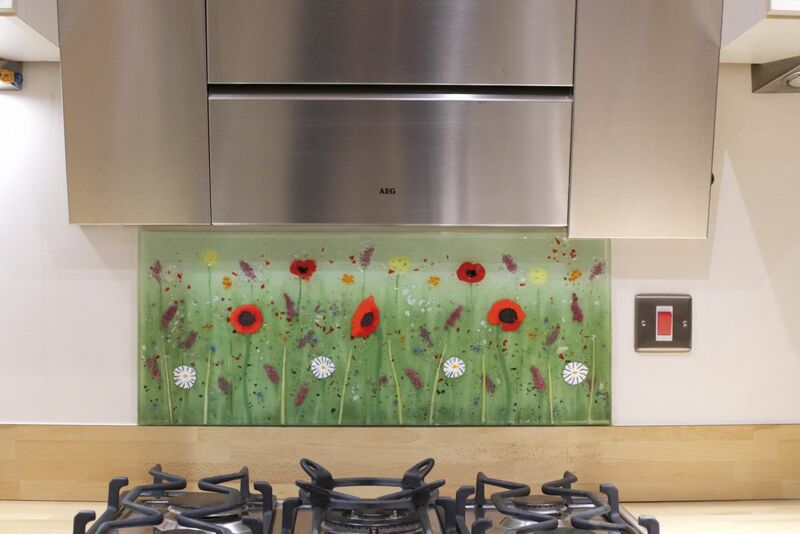 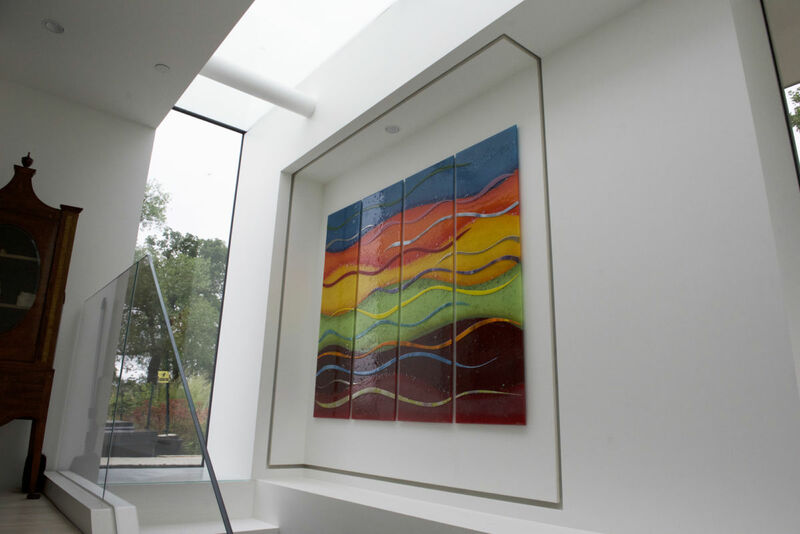 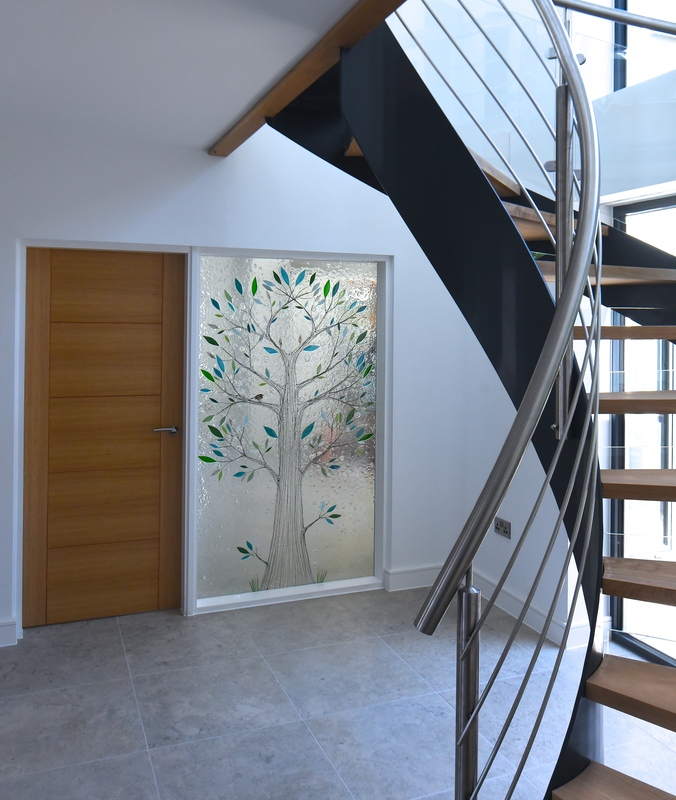 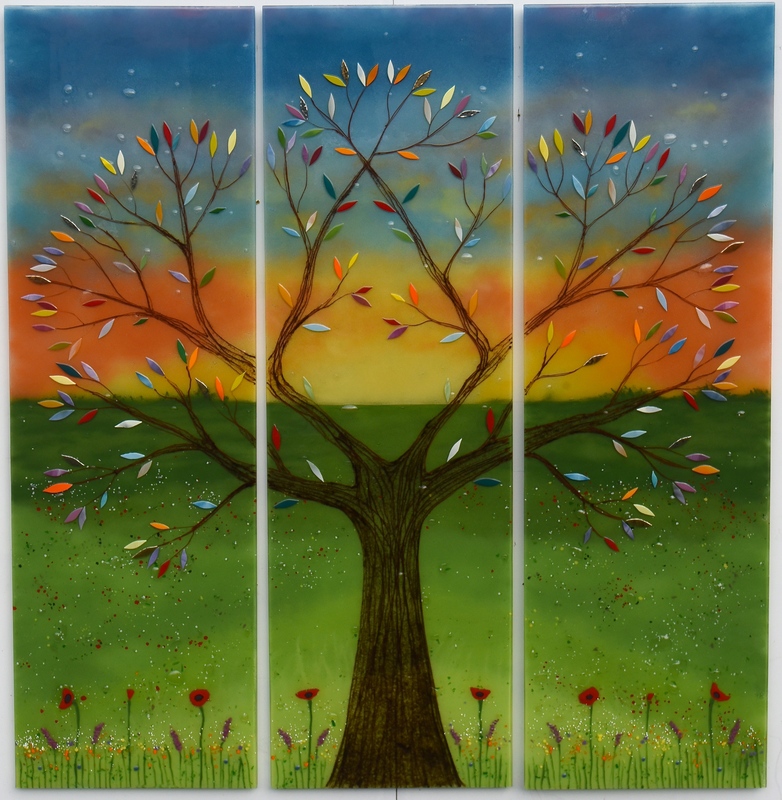 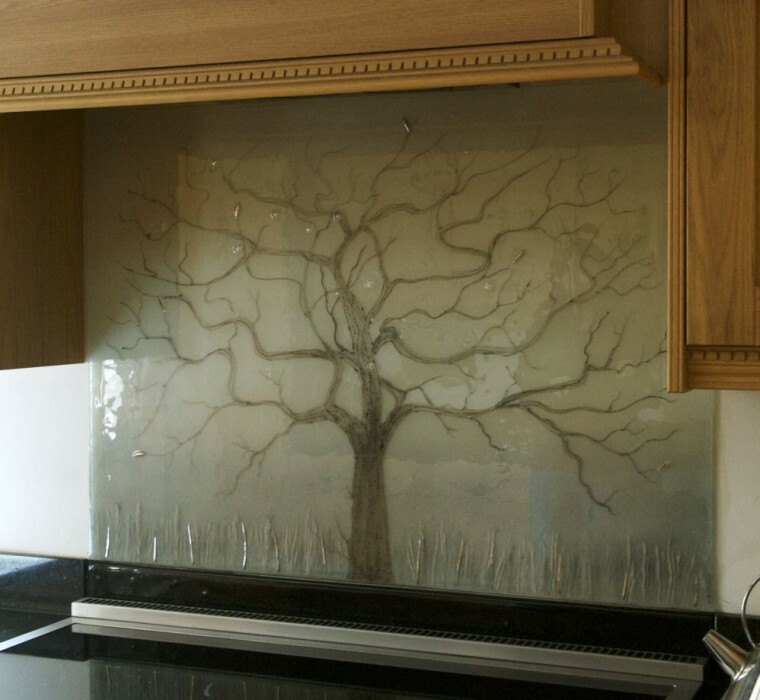 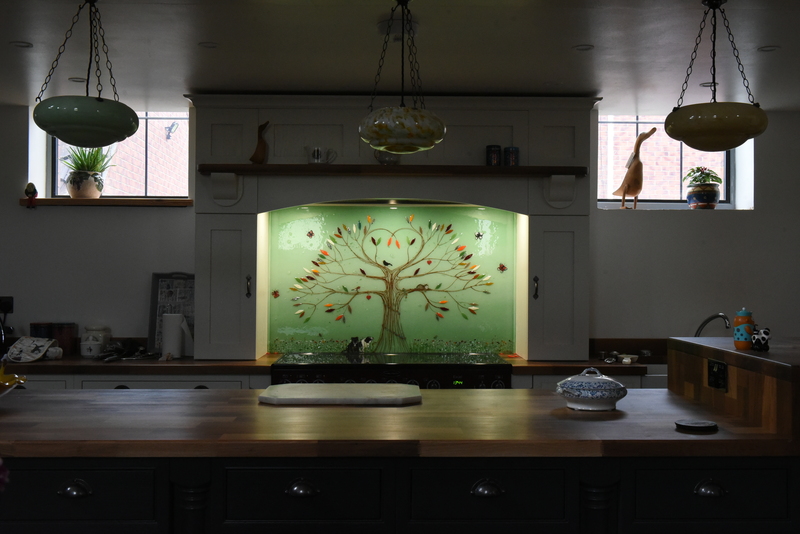 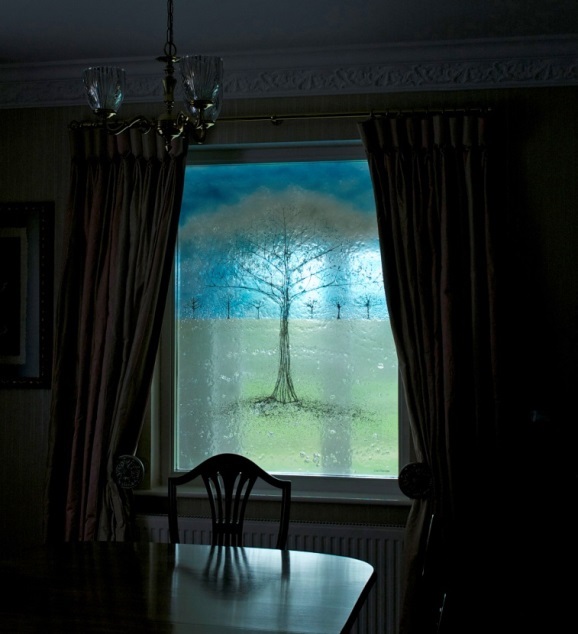 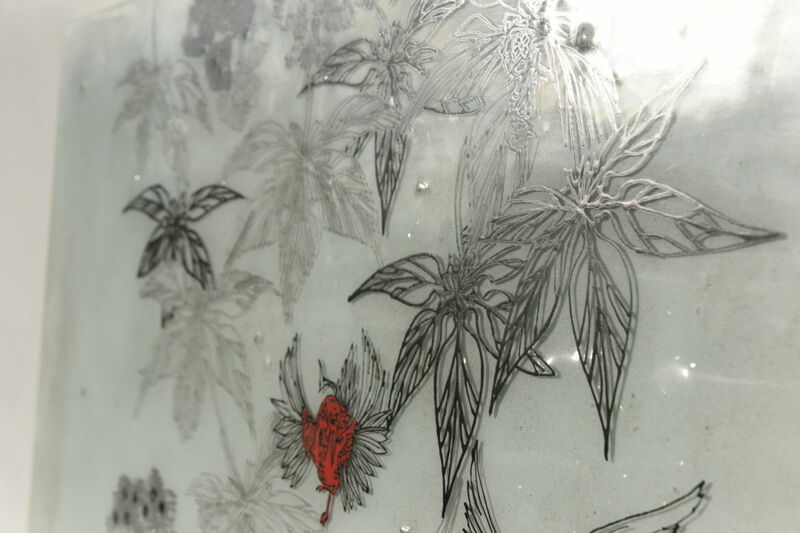 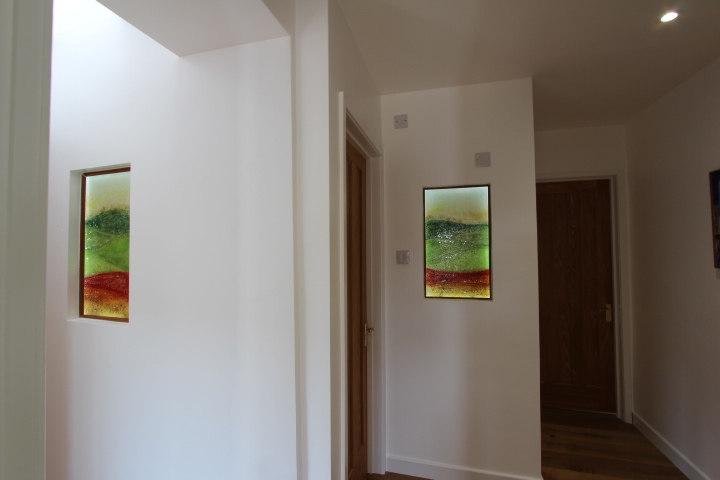 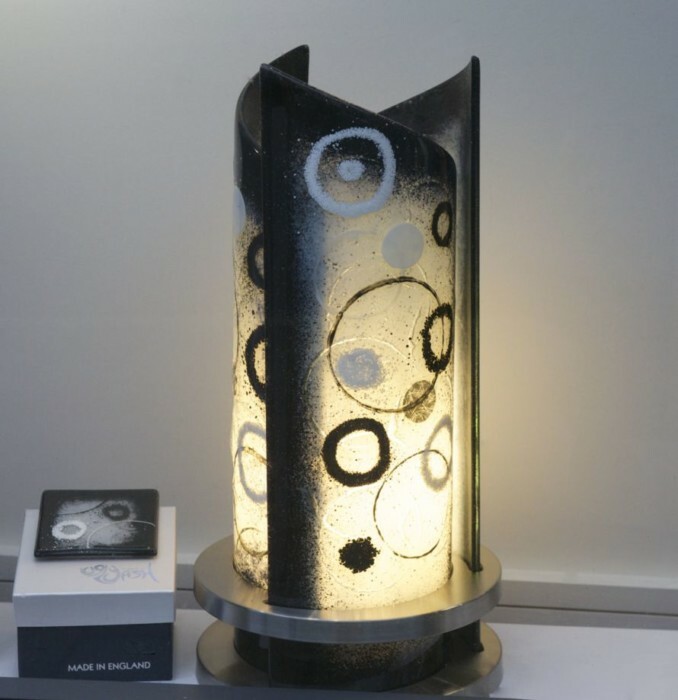 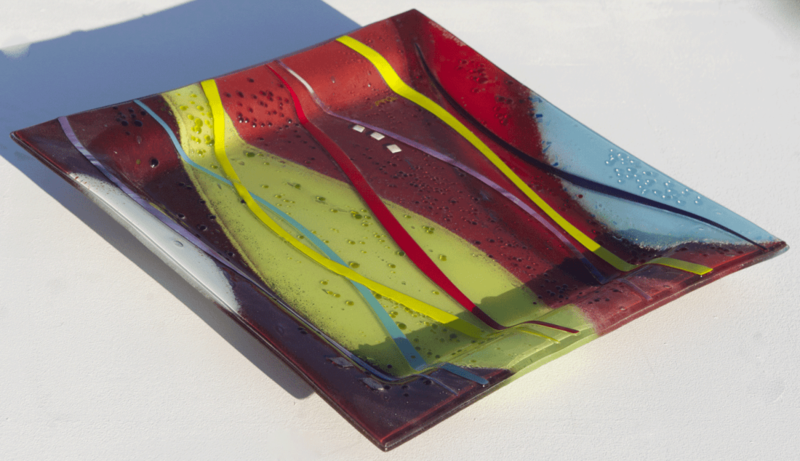 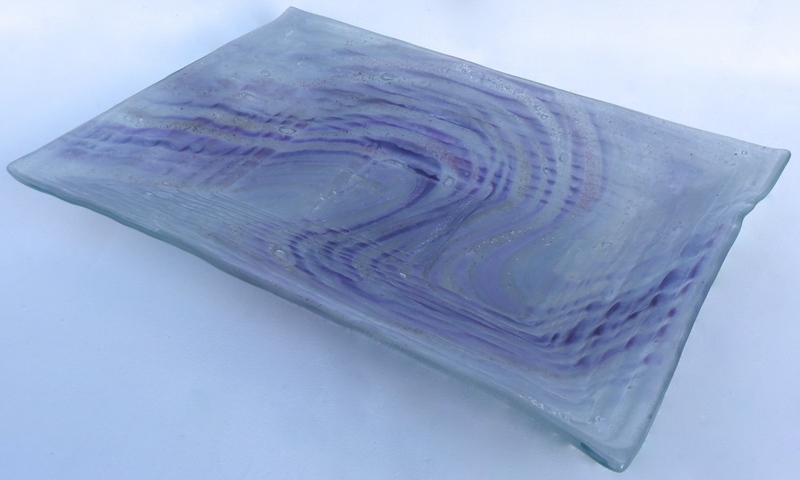 Created for a home in Hextable, Kent, this piece of fused glass art brings nature into the home in a beautiful way. 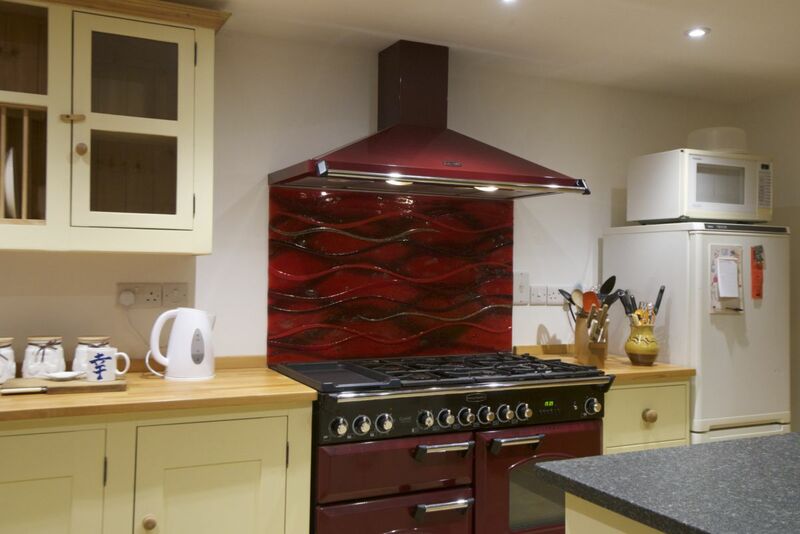 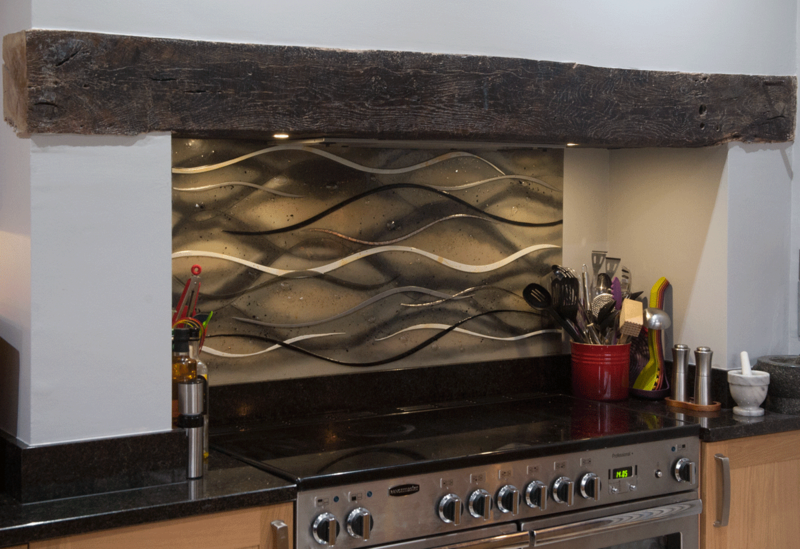 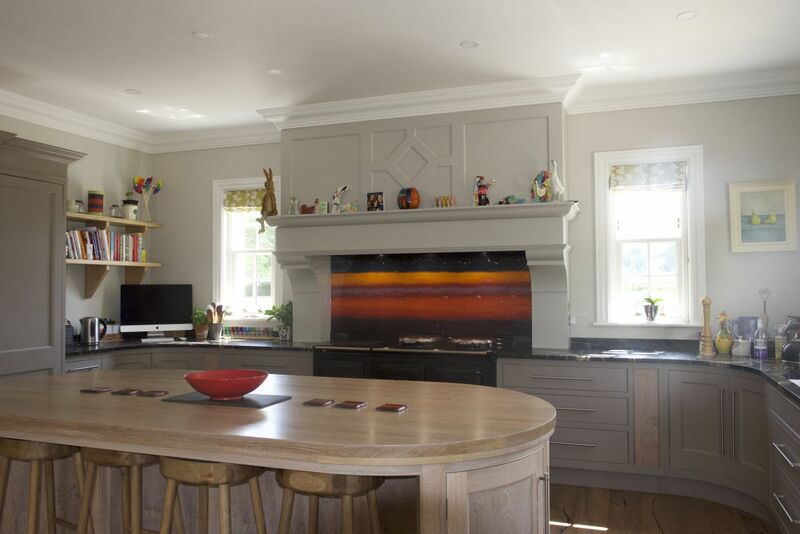 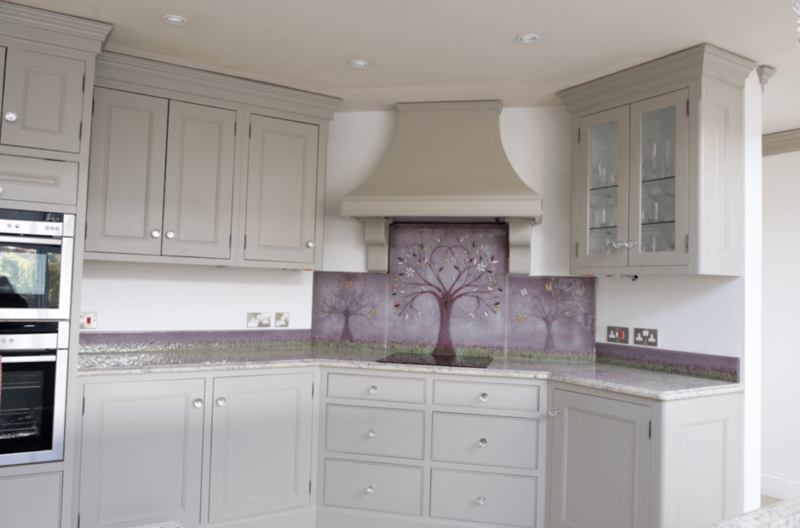 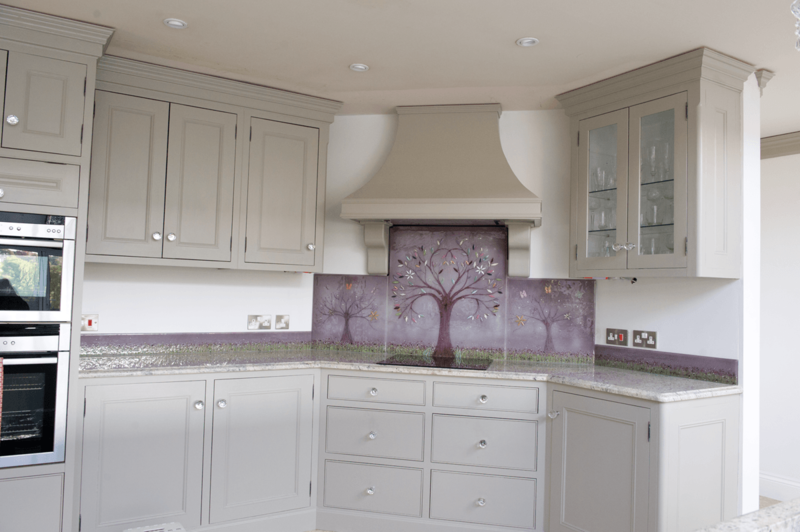 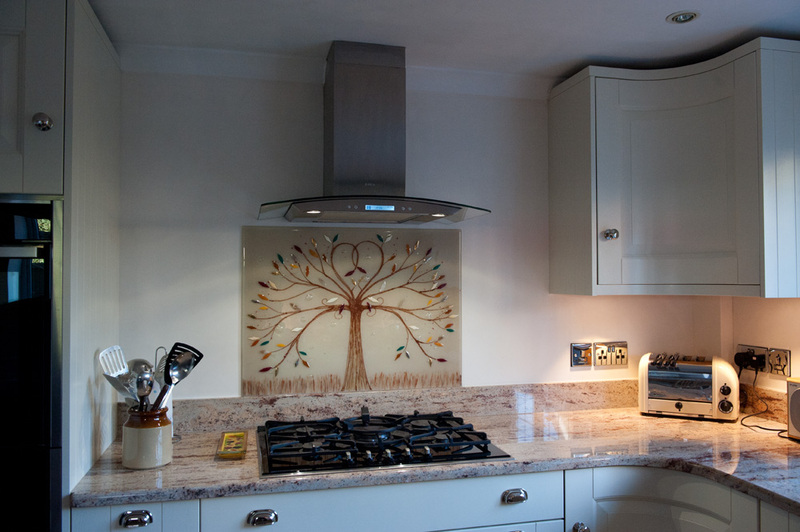 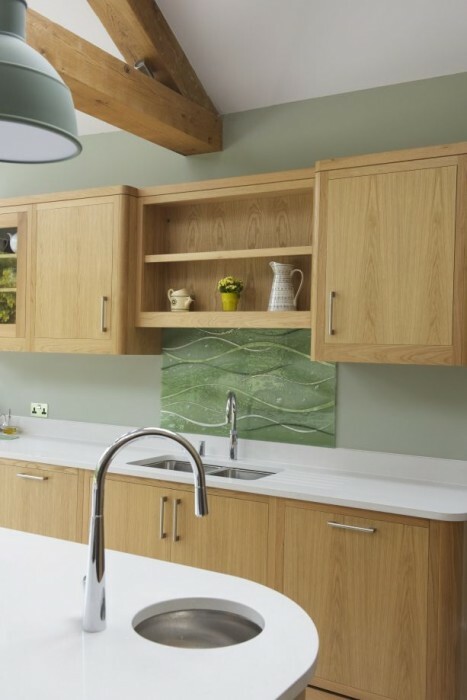 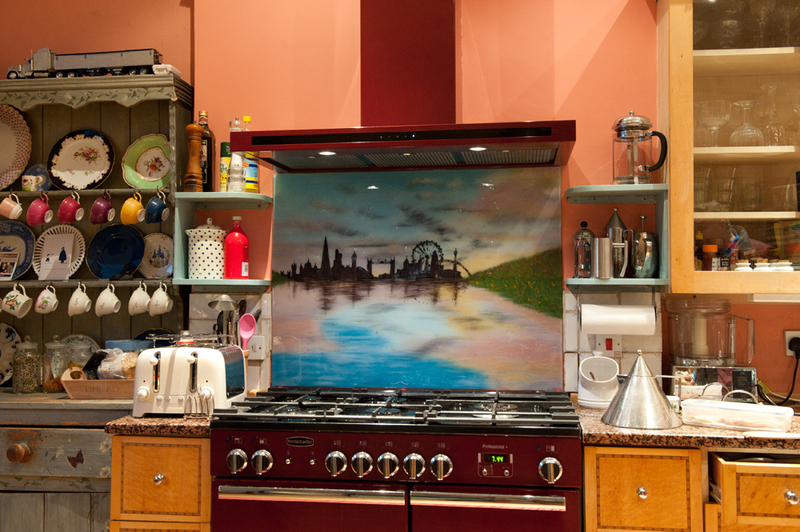 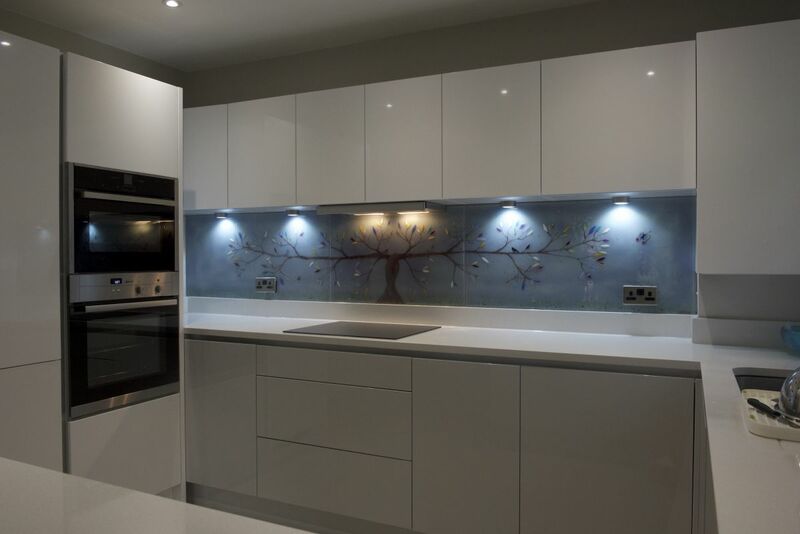 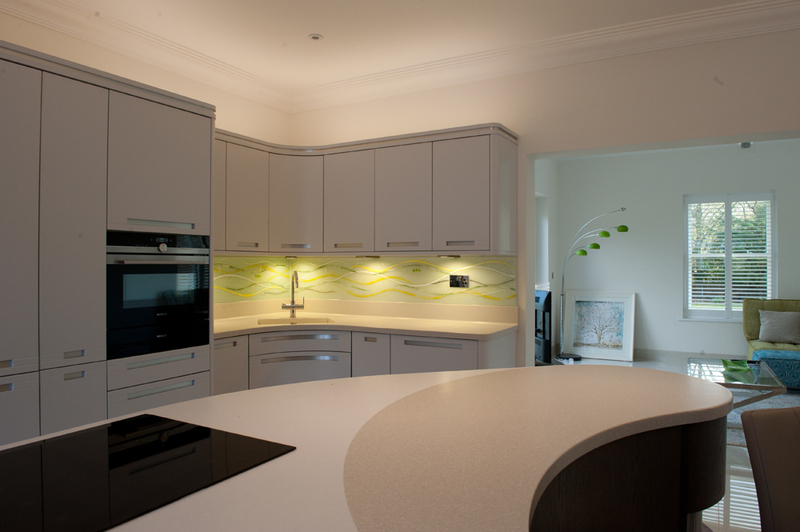 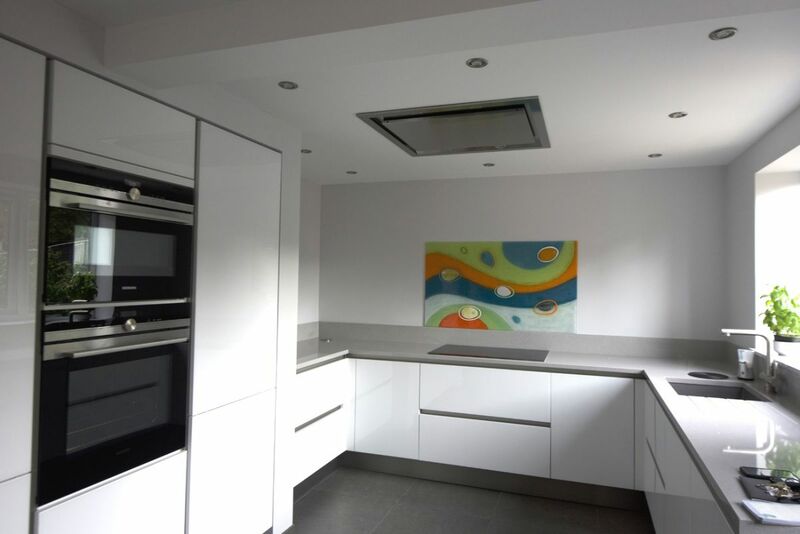 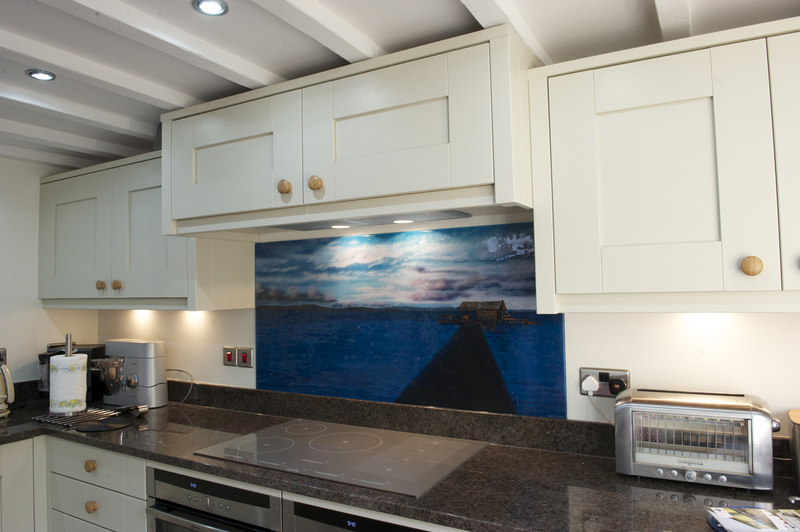 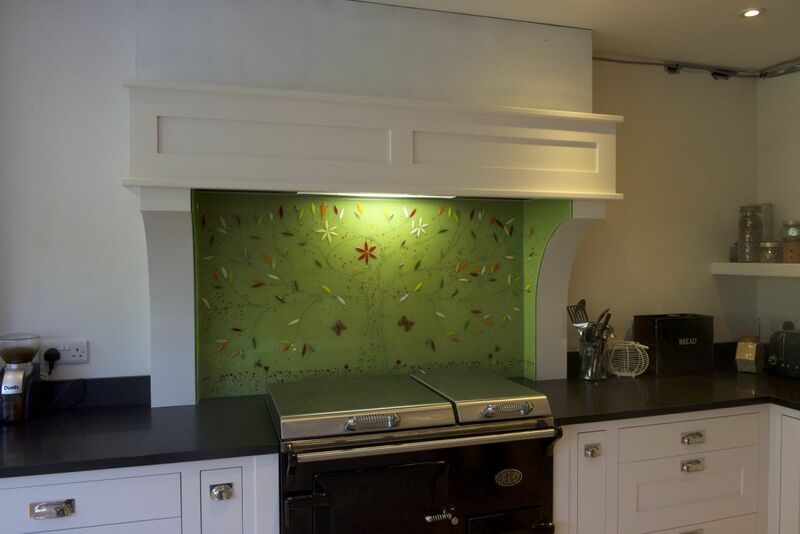 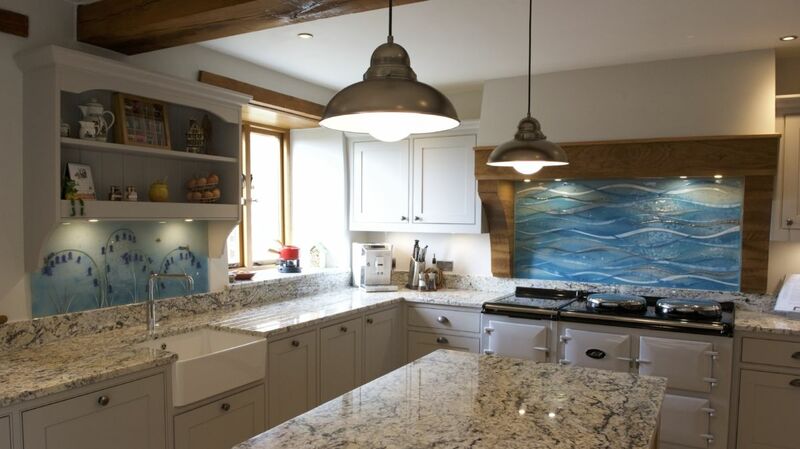 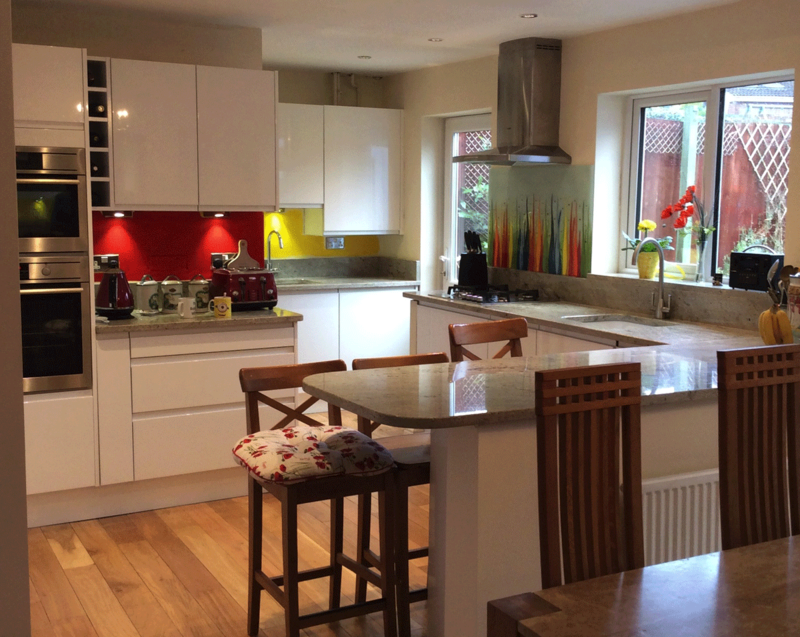 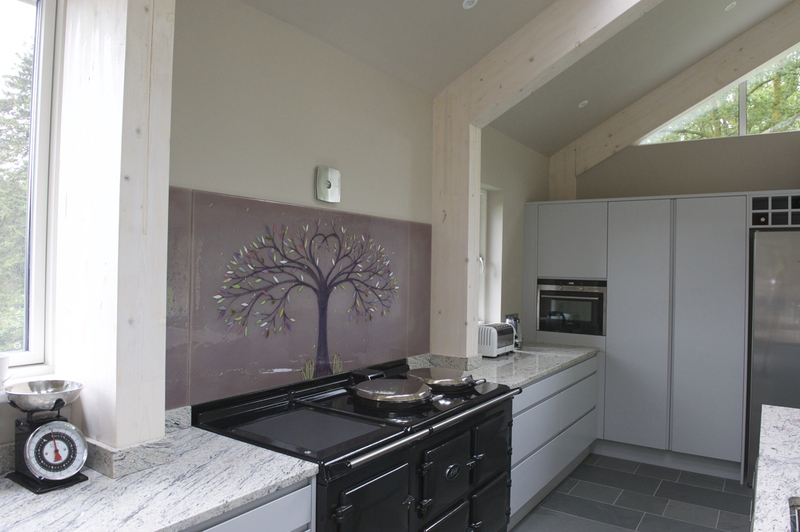 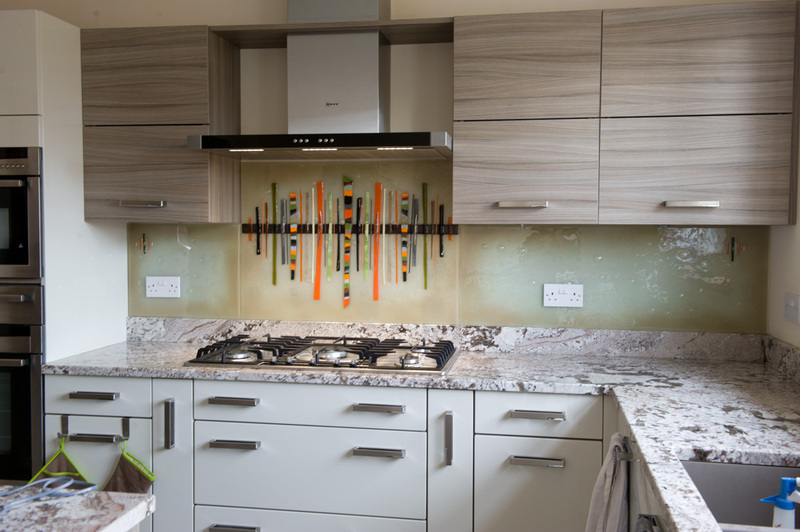 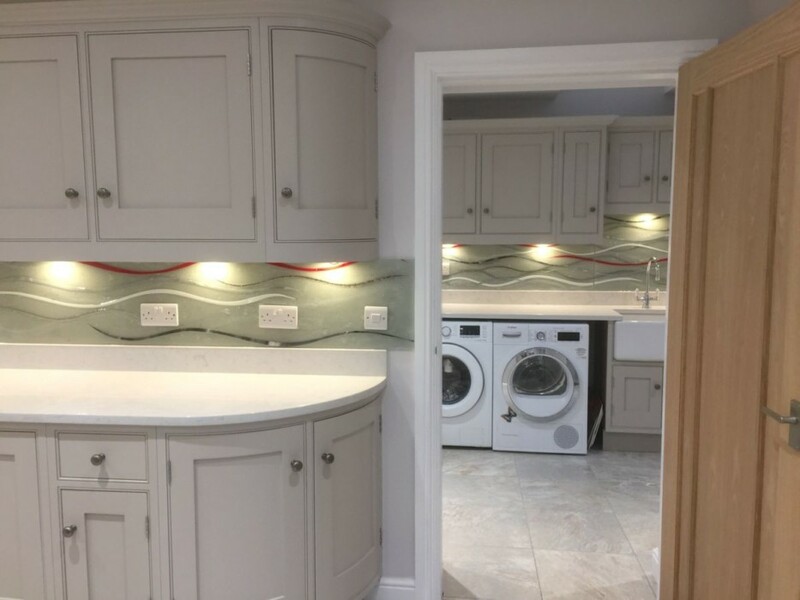 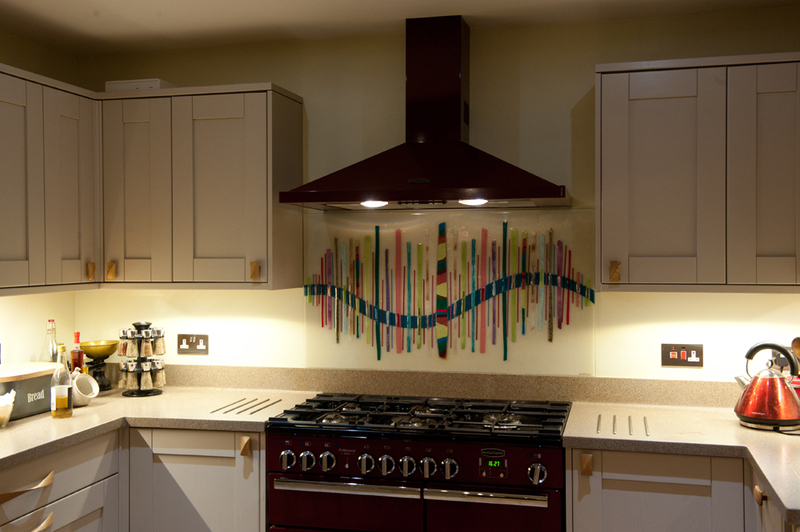 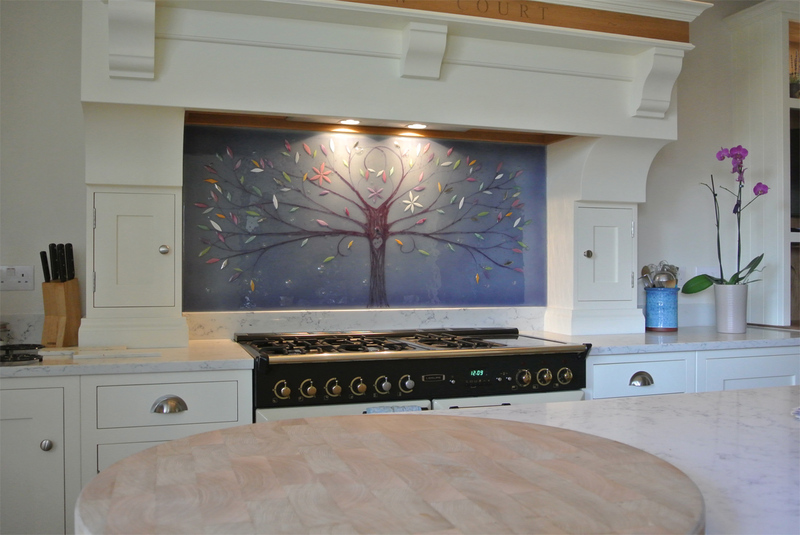 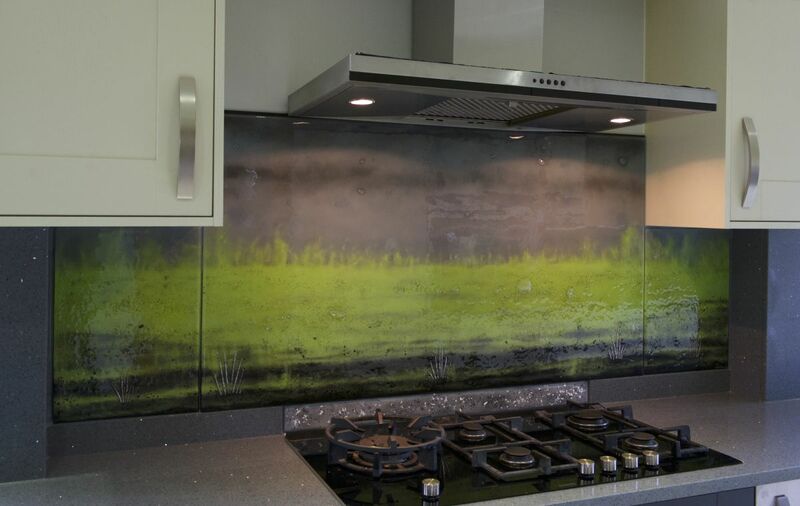 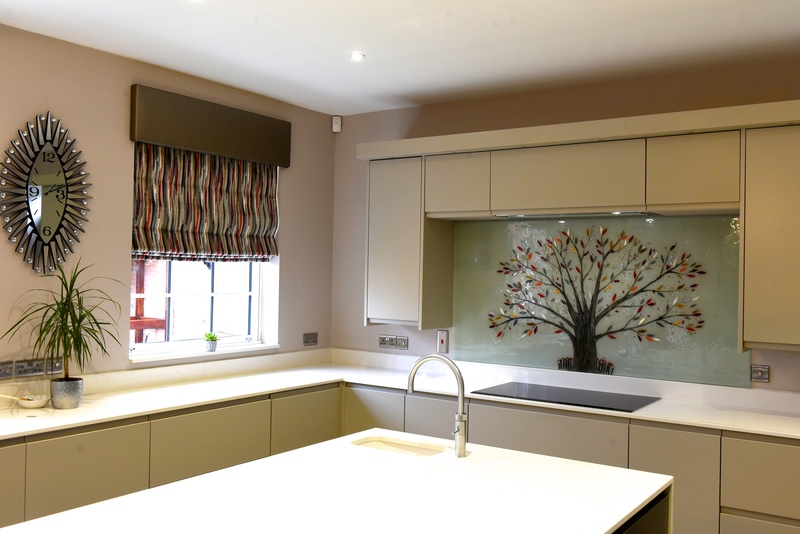 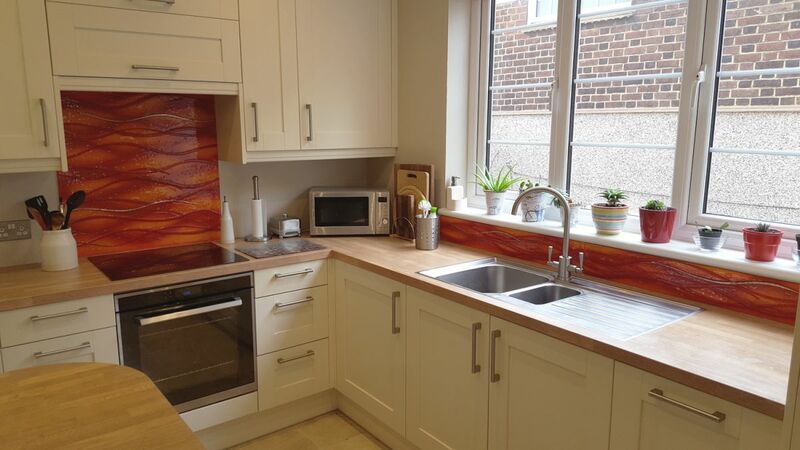 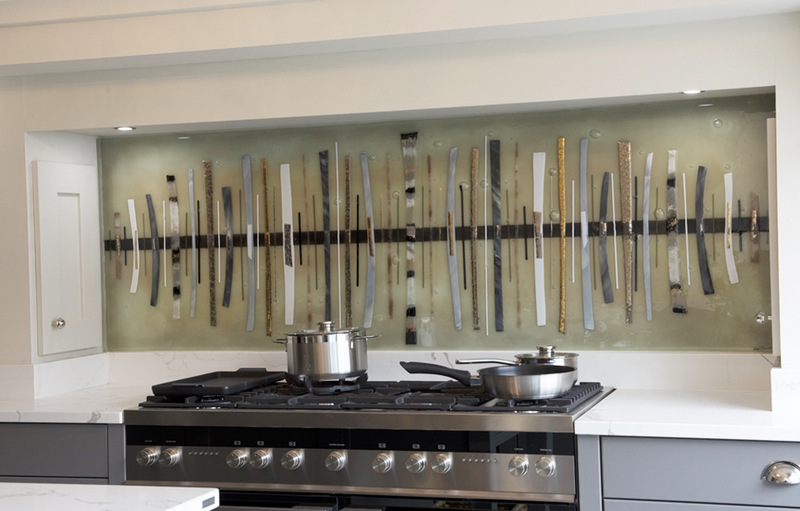 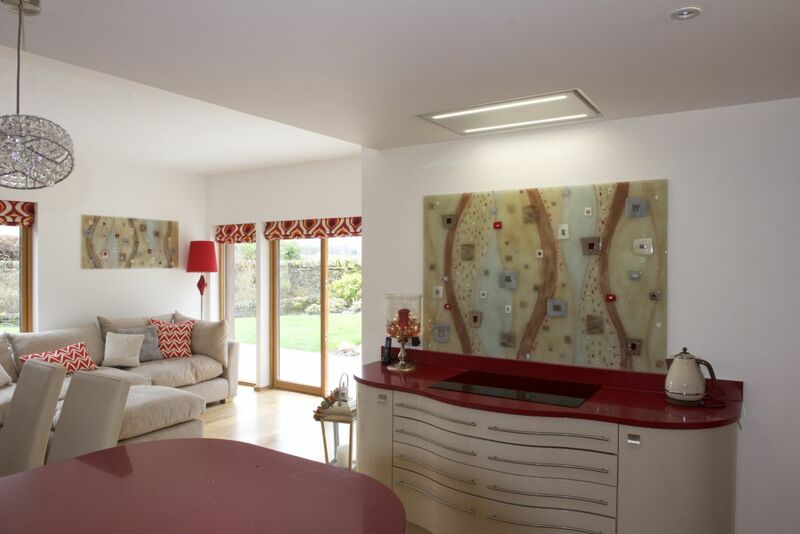 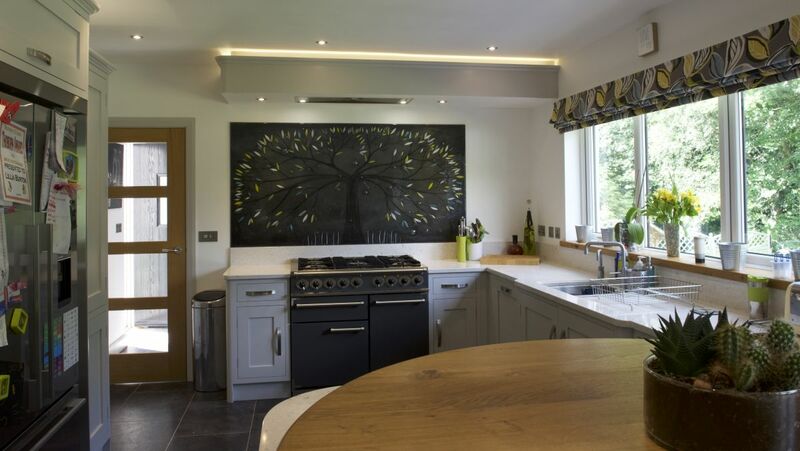 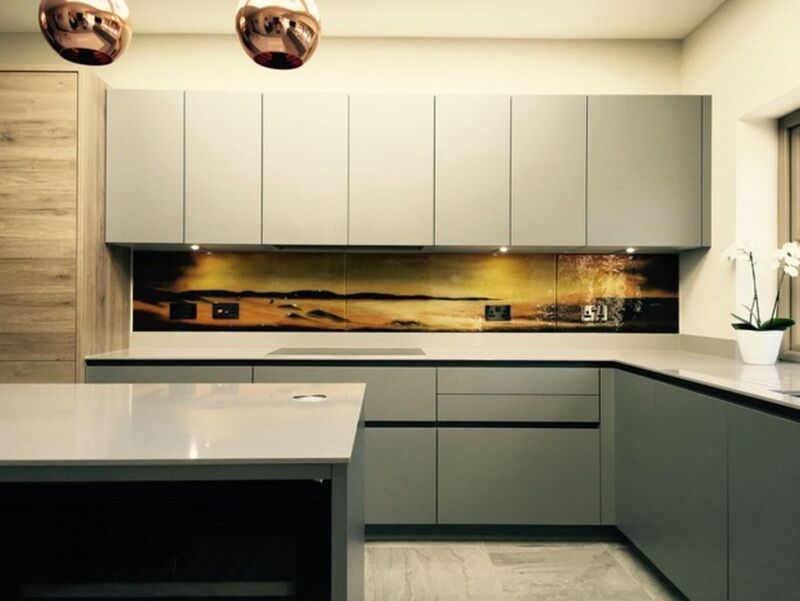 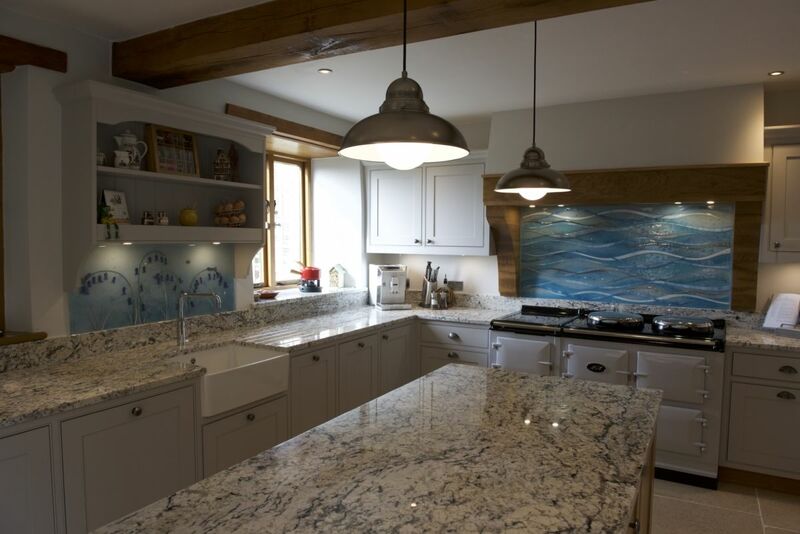 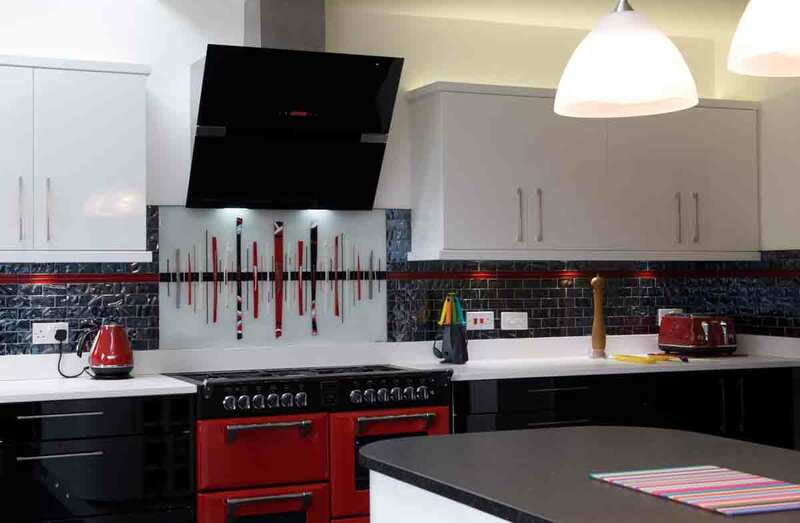 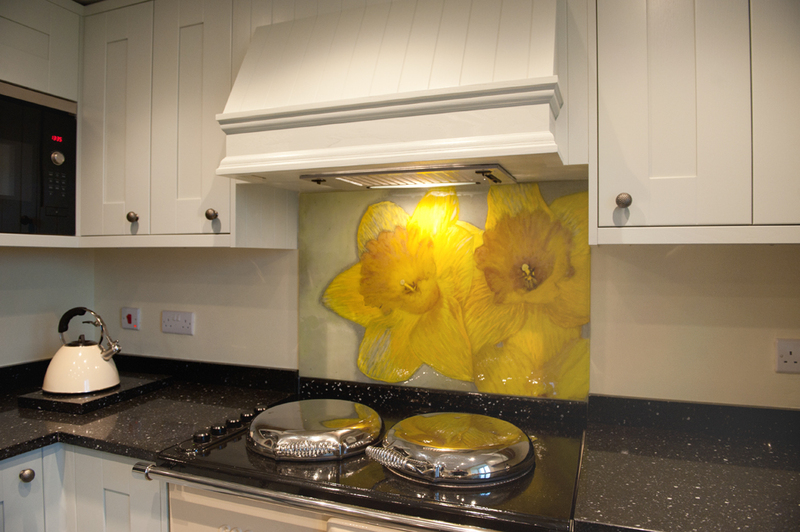 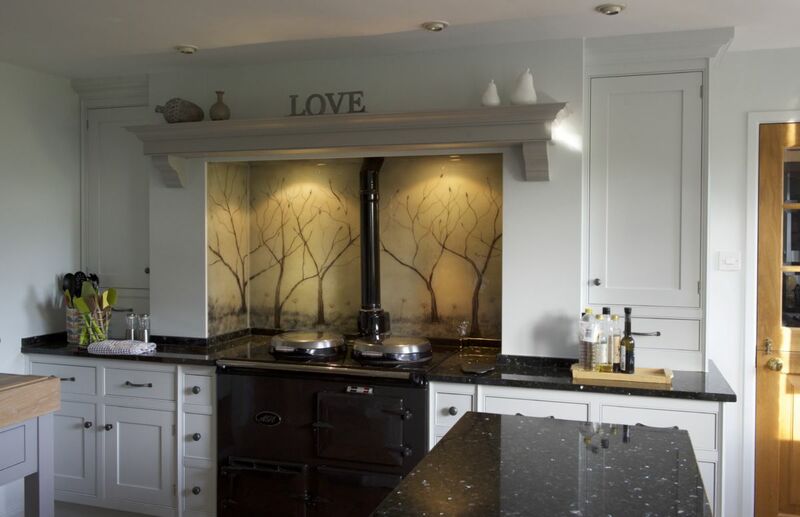 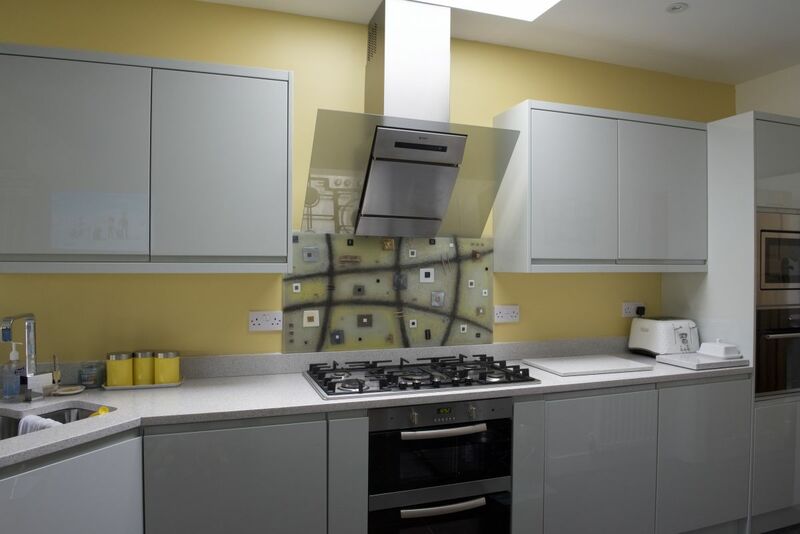 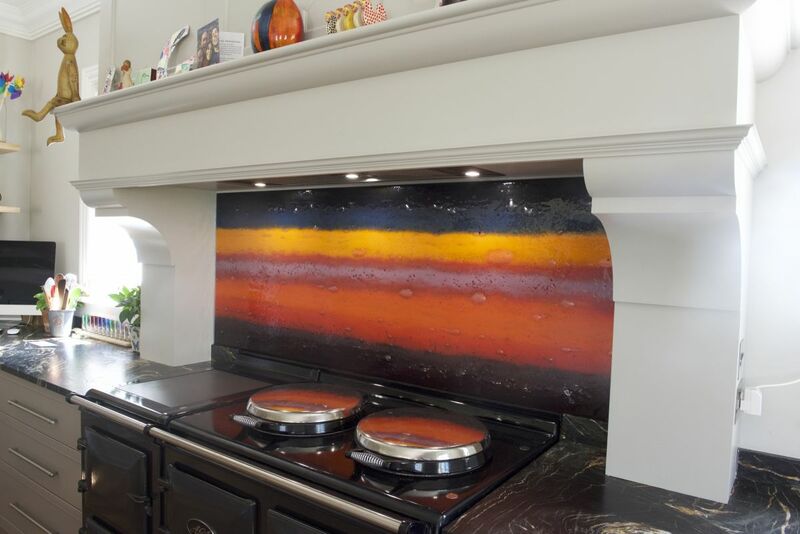 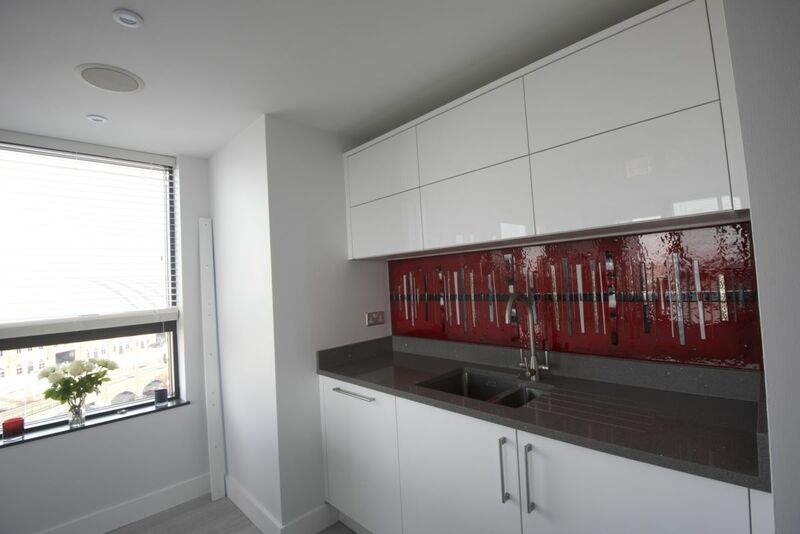 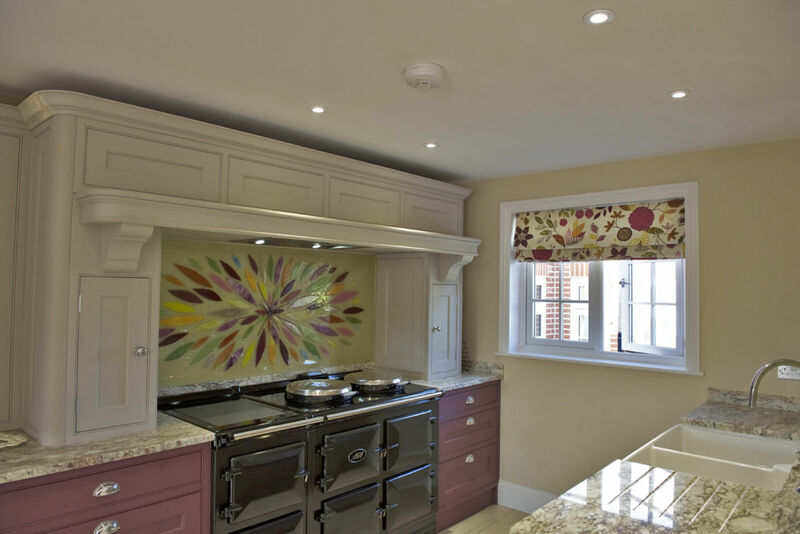 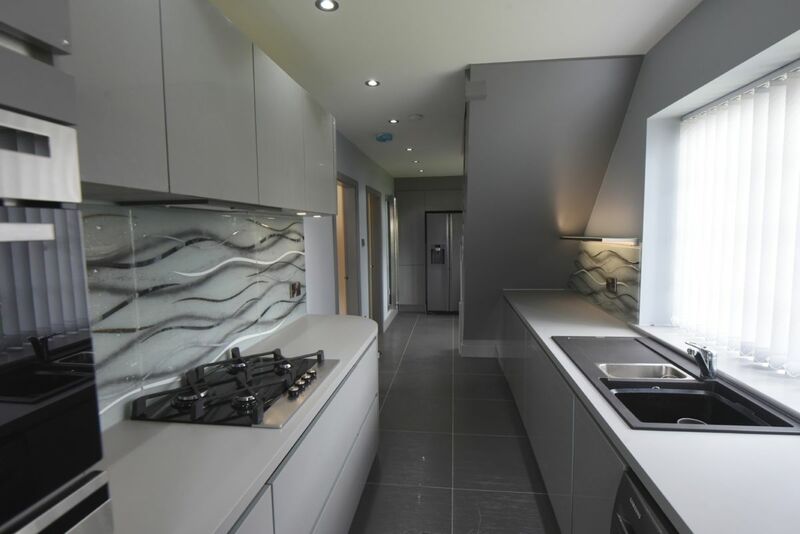 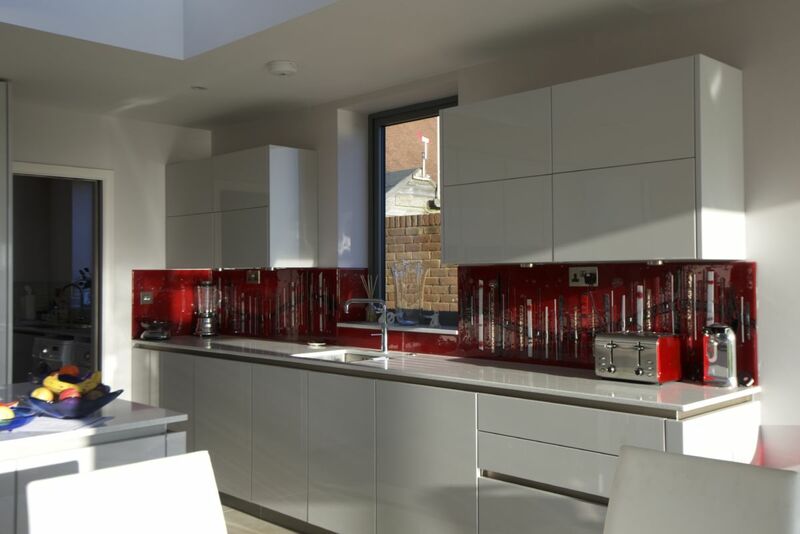 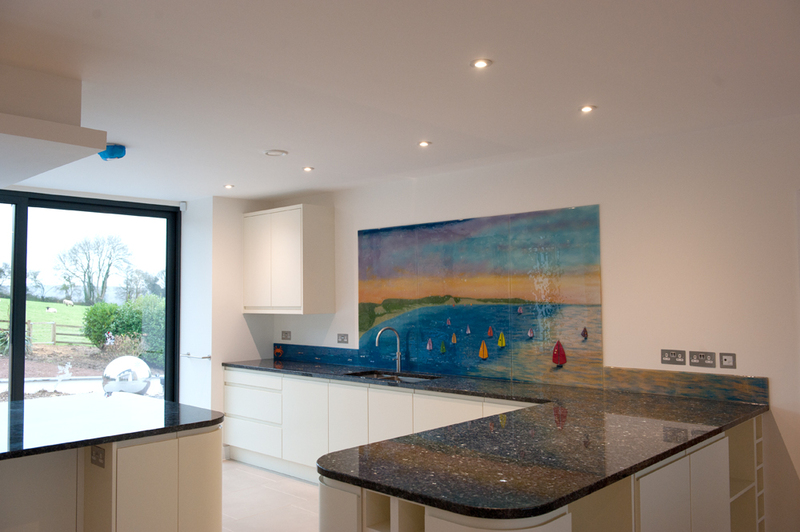 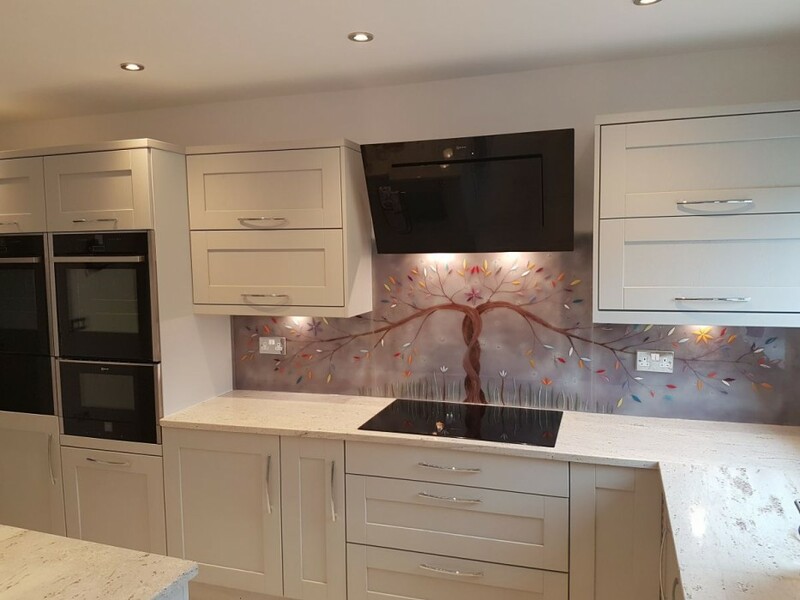 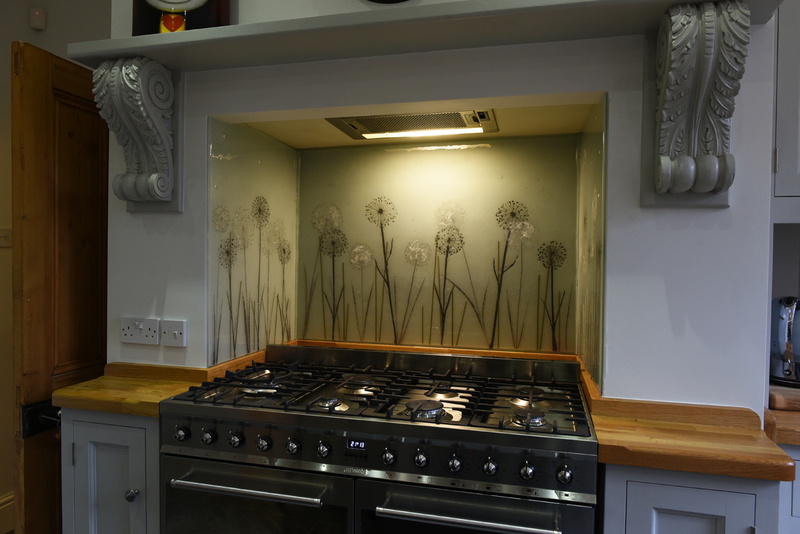 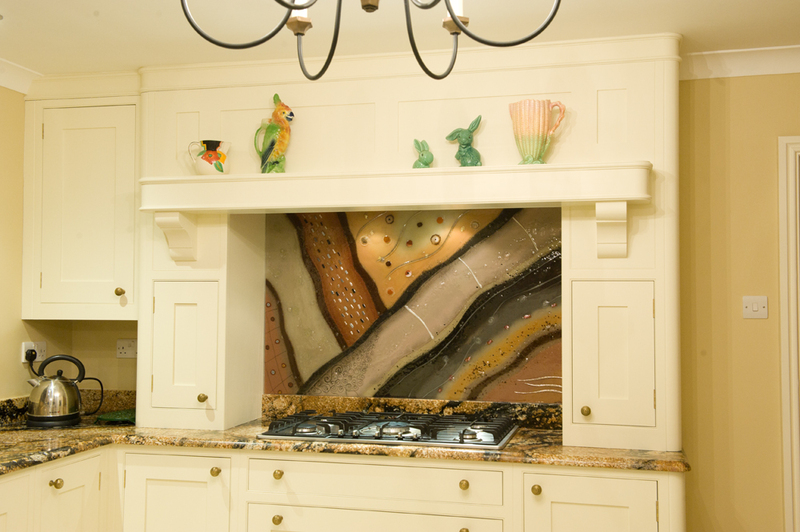 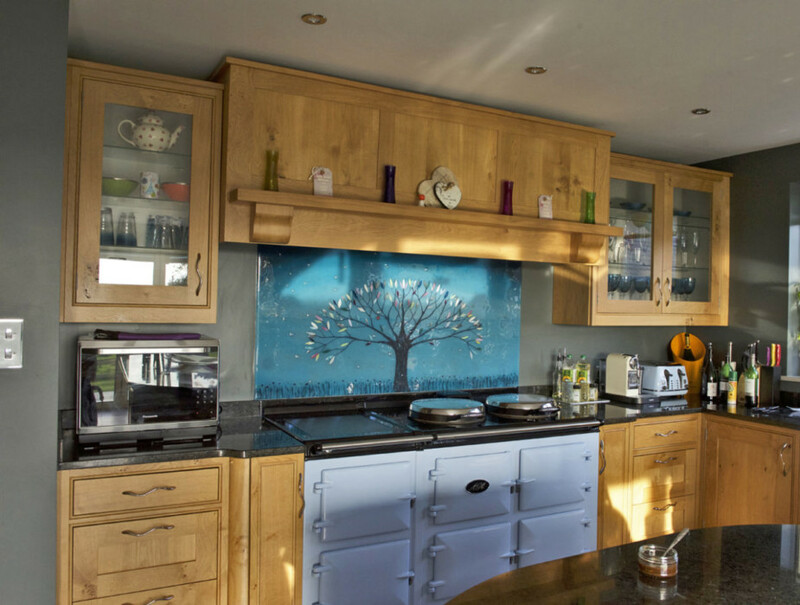 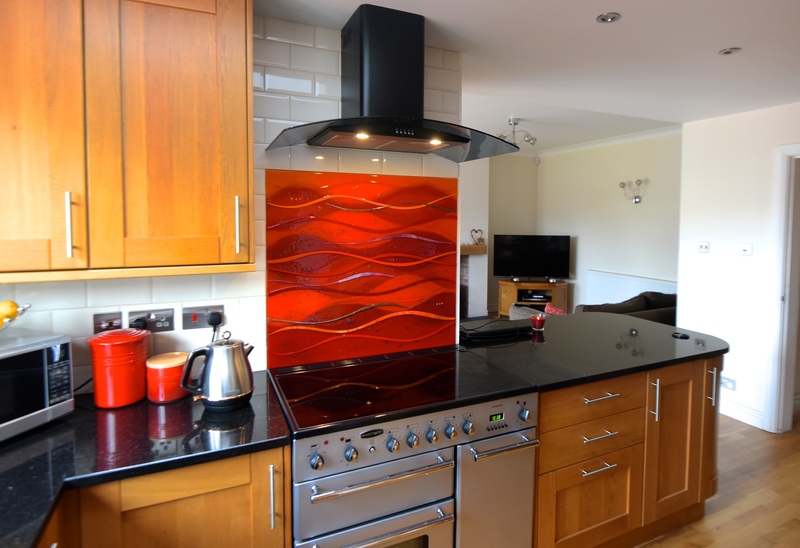 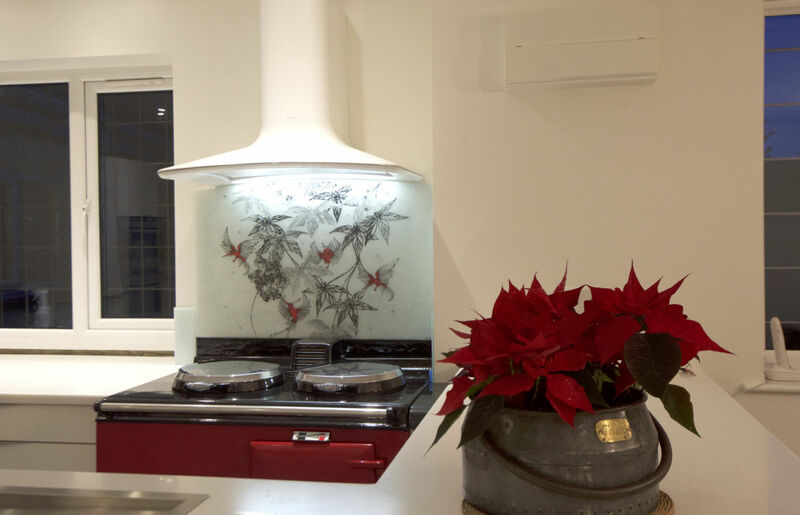 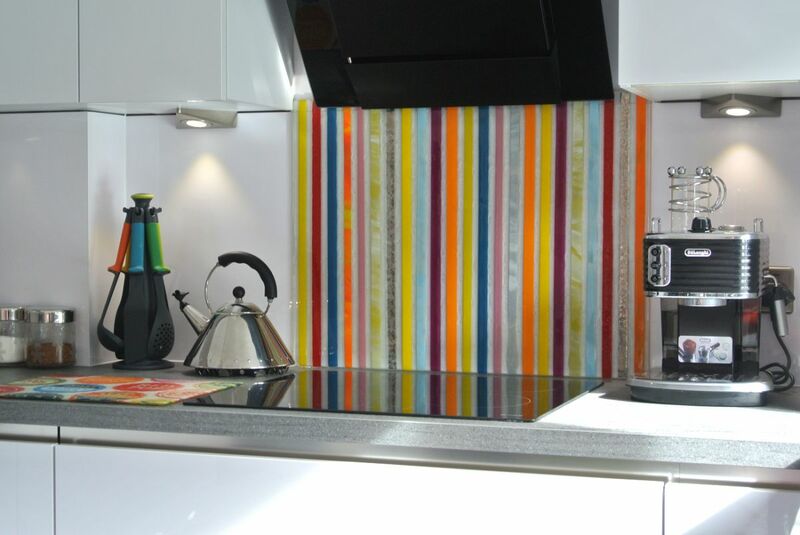 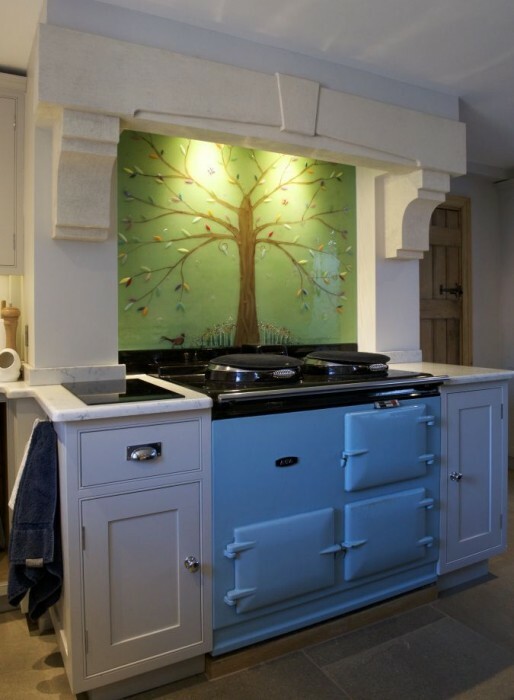 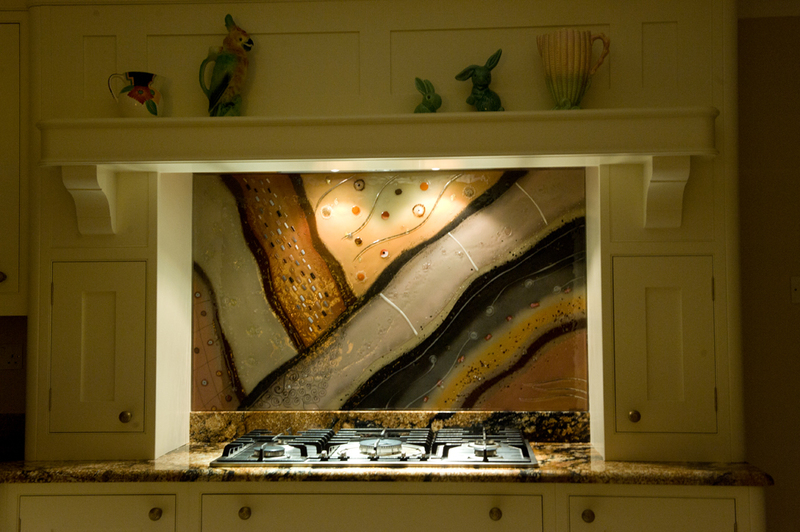 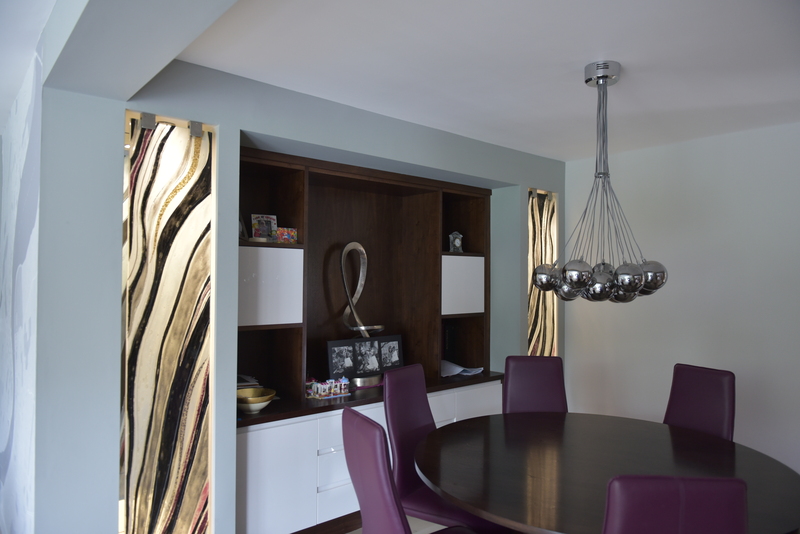 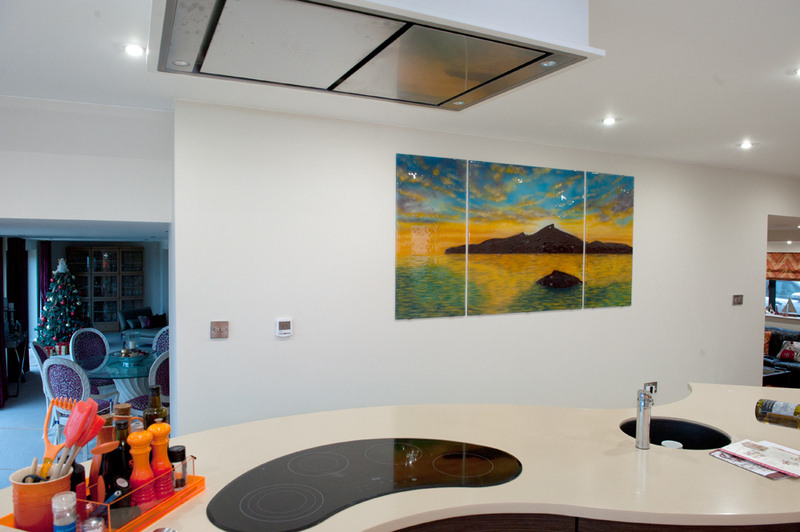 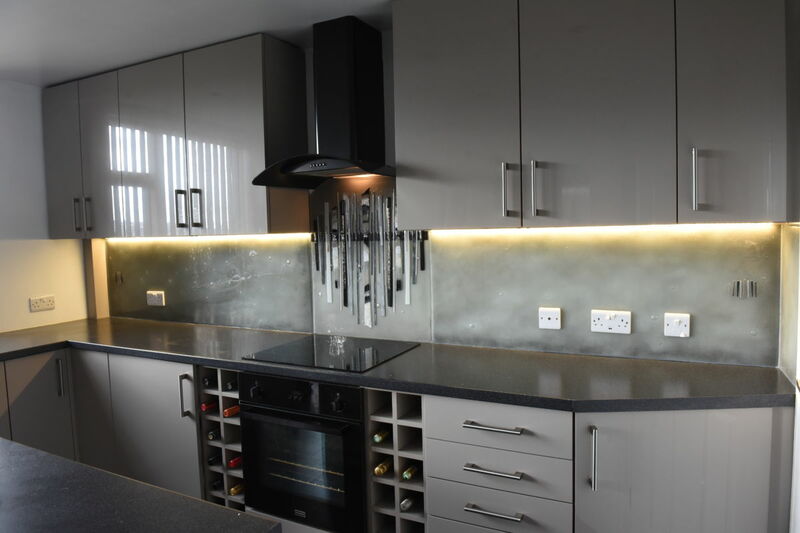 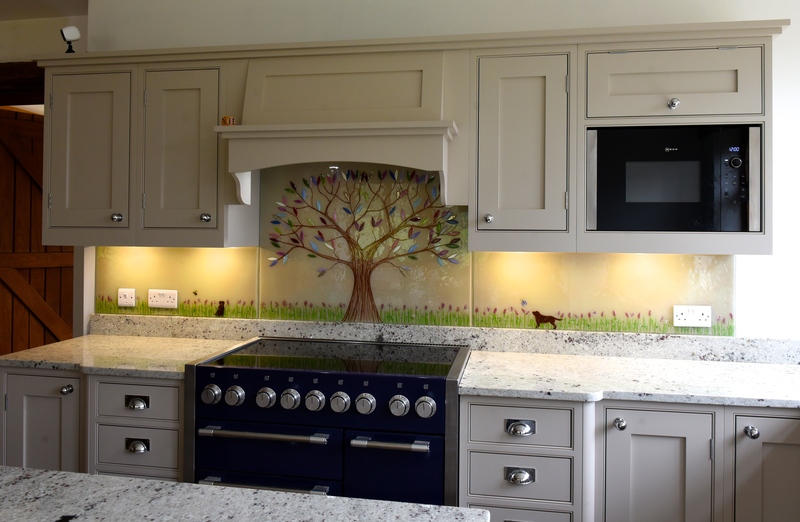 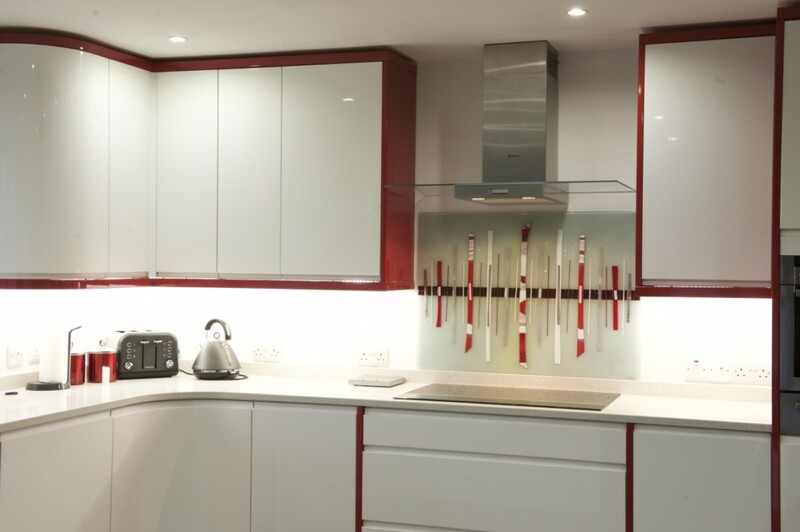 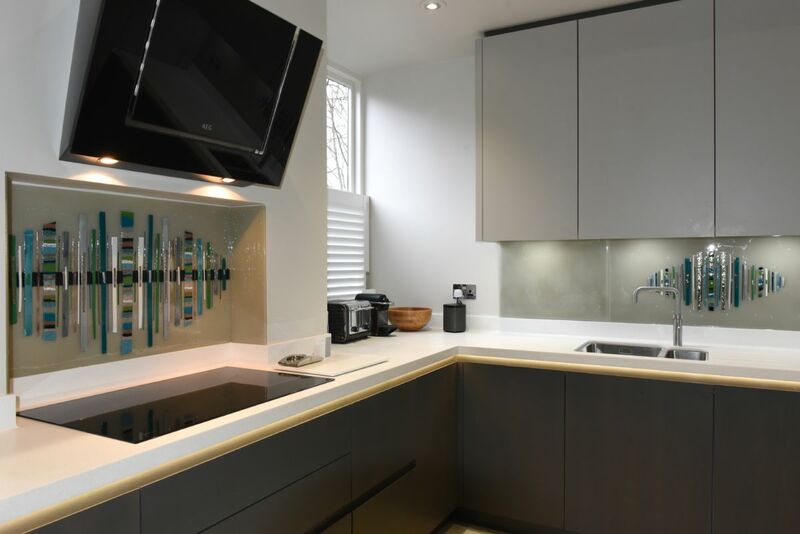 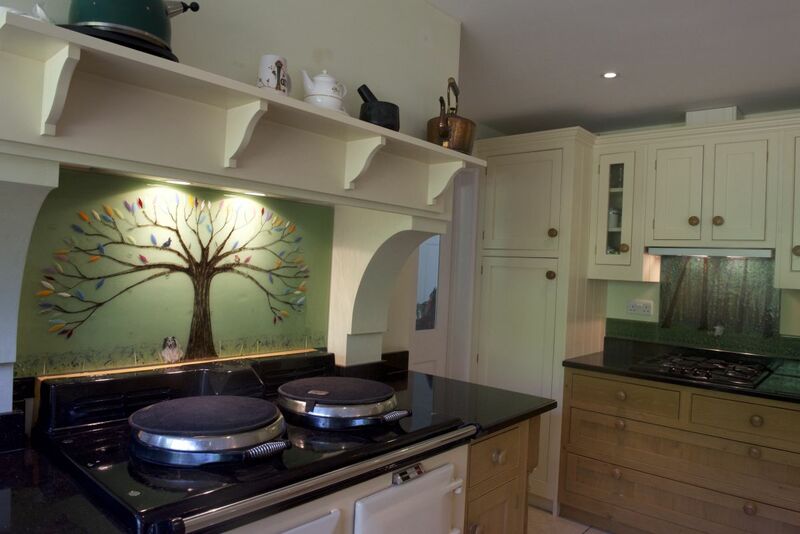 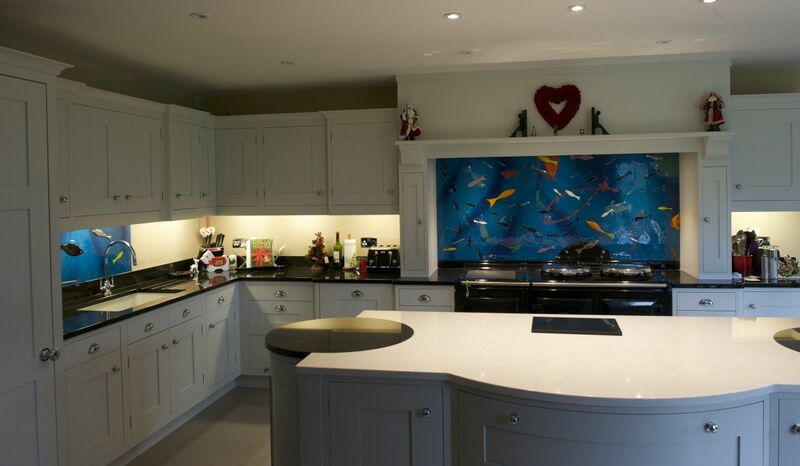 It’s a great example of how our home splashbacks can make for a striking centrepiece in even the most neutral kitchen. 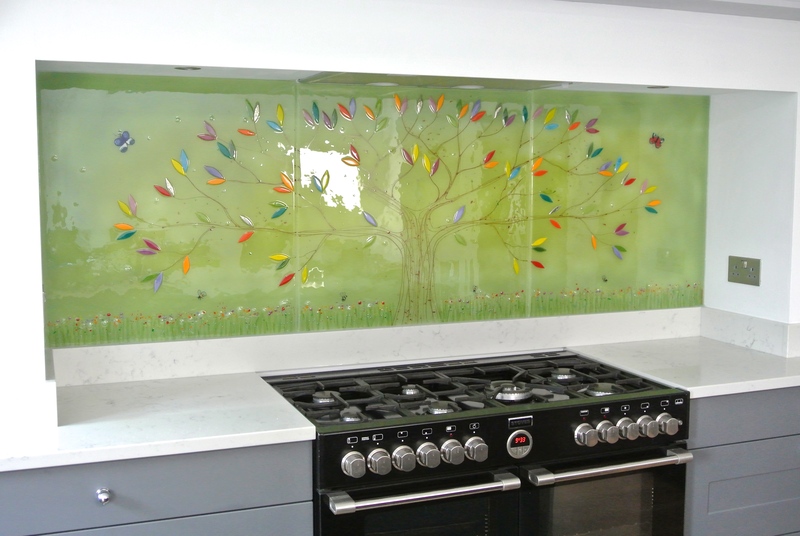 You can see the panel in all its glory pictured above. 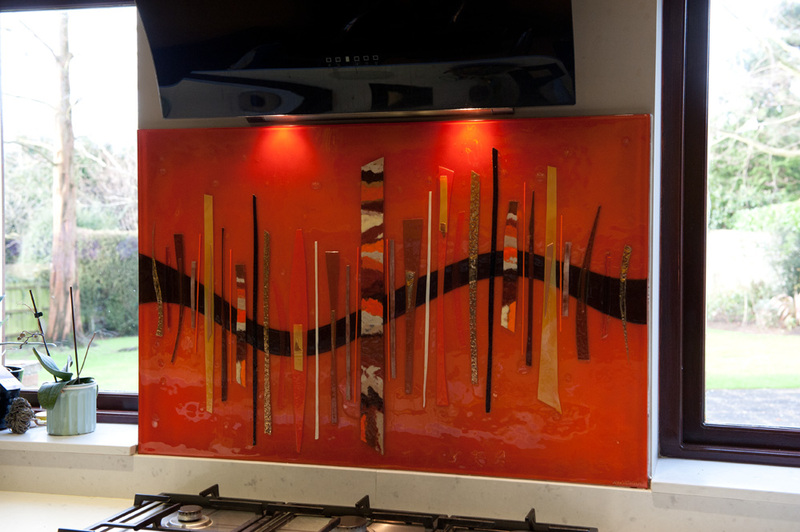 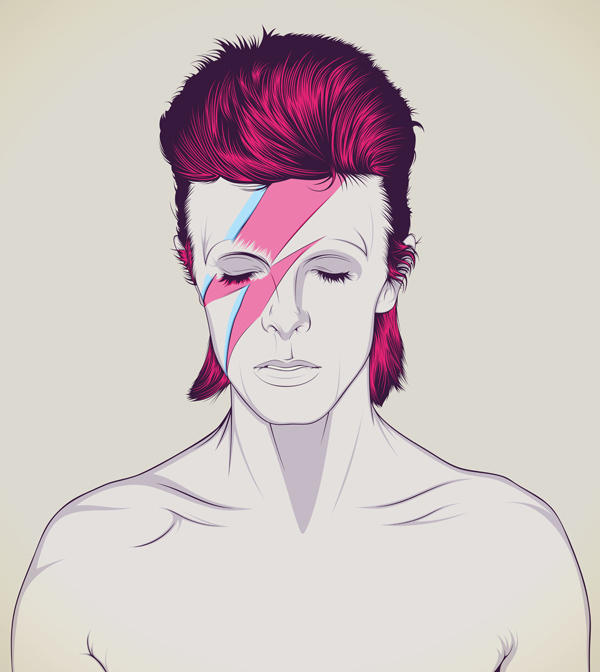 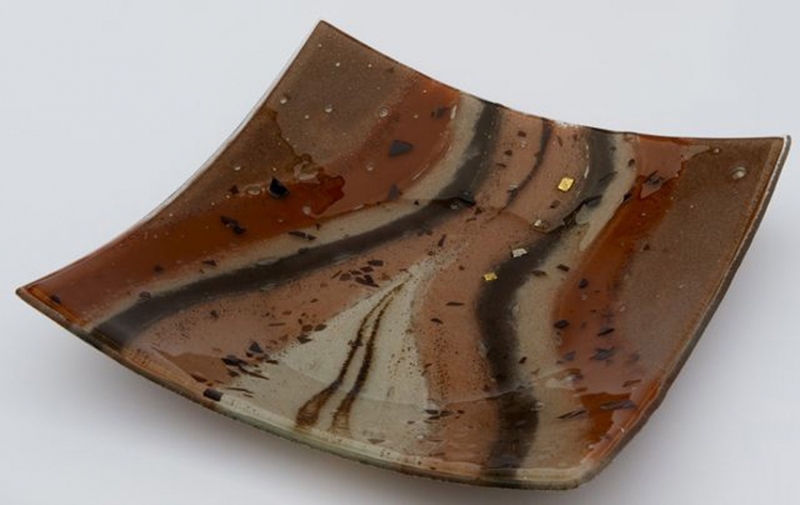 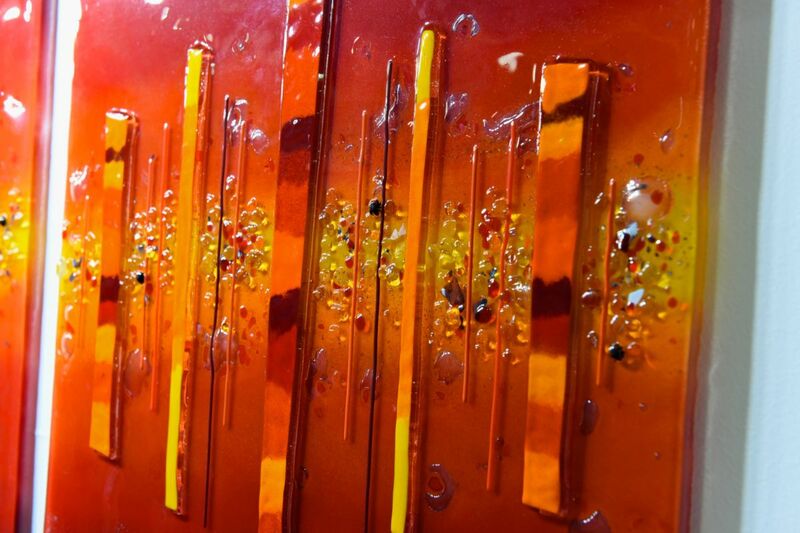 The design of the piece features a burning orange sky, created with vivid strokes from a warm palette. 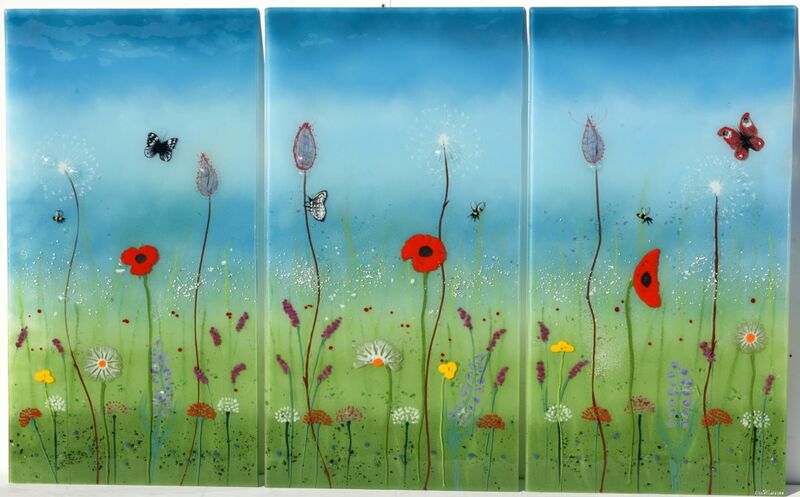 A verdant field of poppies and other gorgeous wildflowers stretches from the foreground to the horizon, seemingly without end. 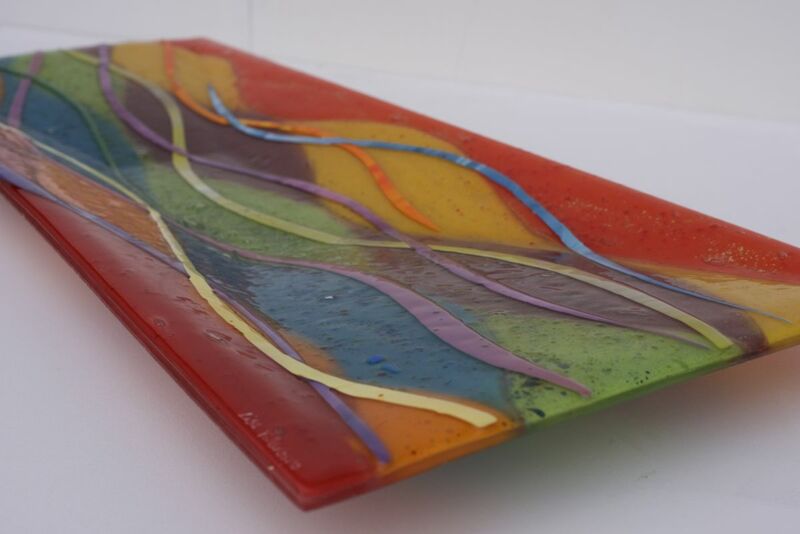 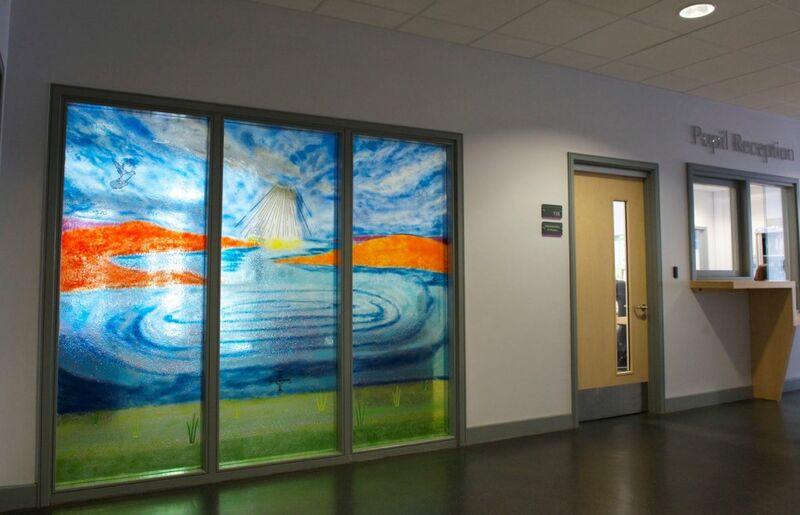 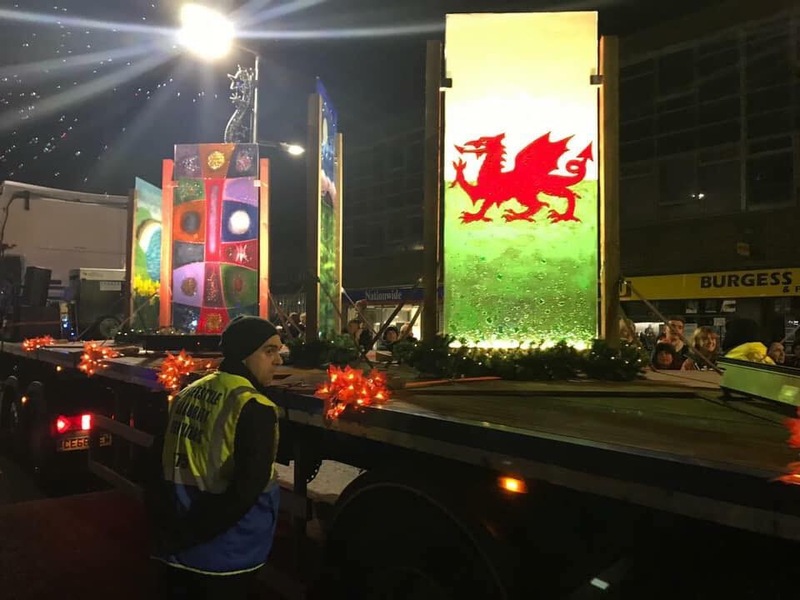 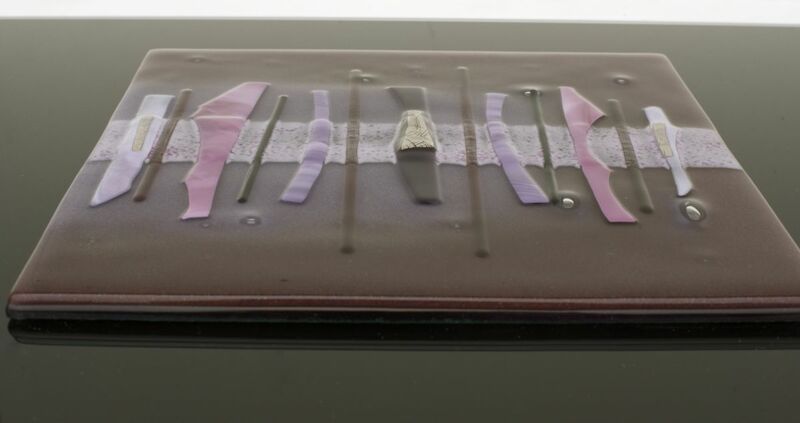 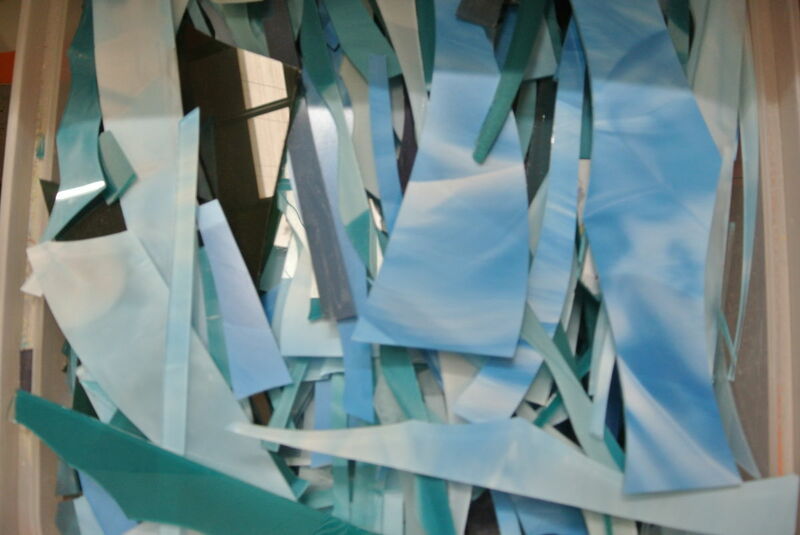 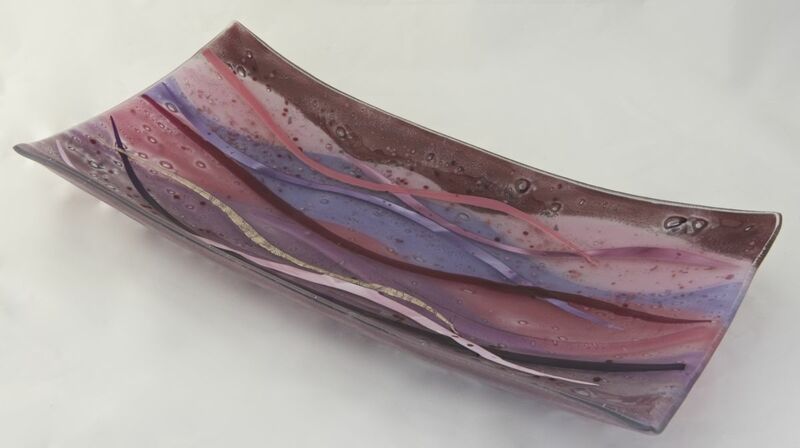 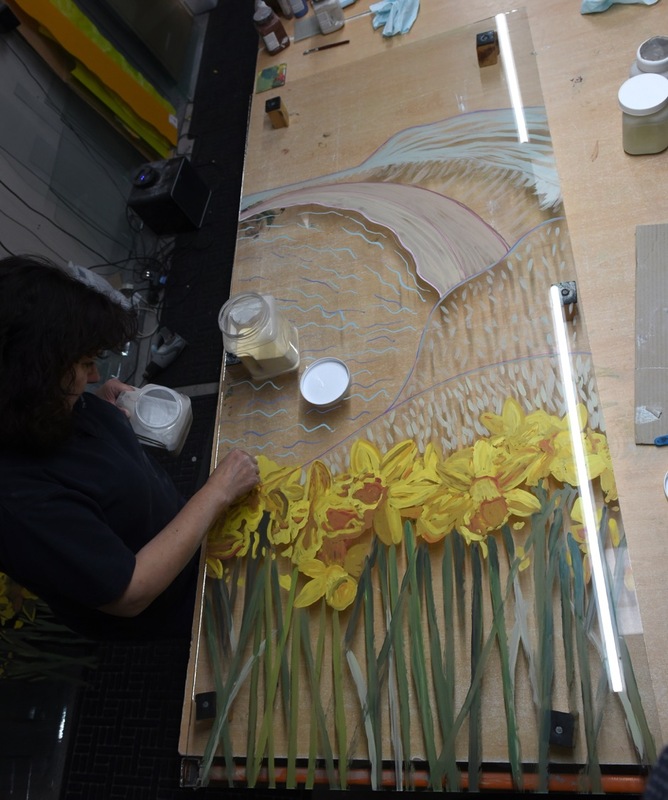 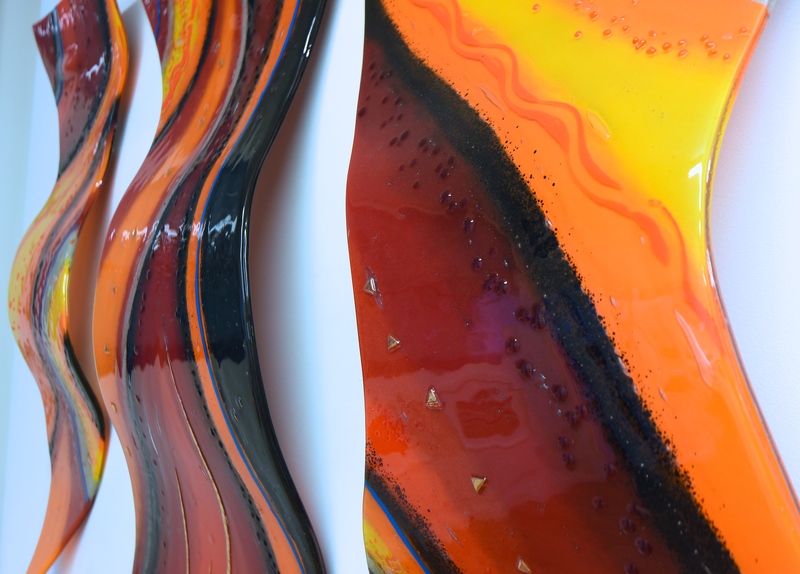 Each one has been carefully added to the piece across the different layers of the glass, helping to bring out the depth found in fused glass art. 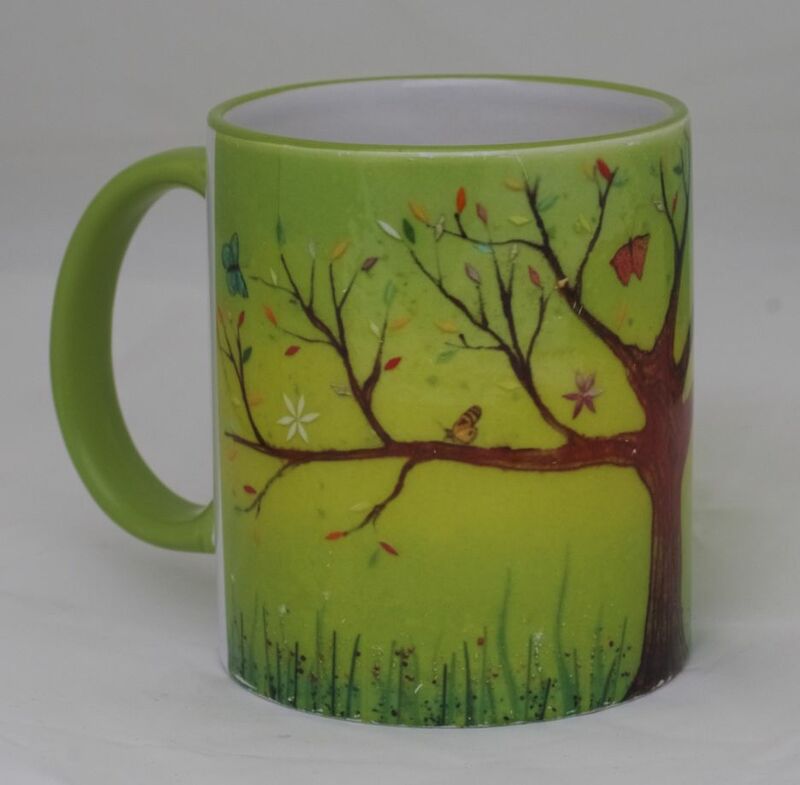 Bright green shades of all kinds come together to create the colours and texture of the grass with an artistic, painterly feel. 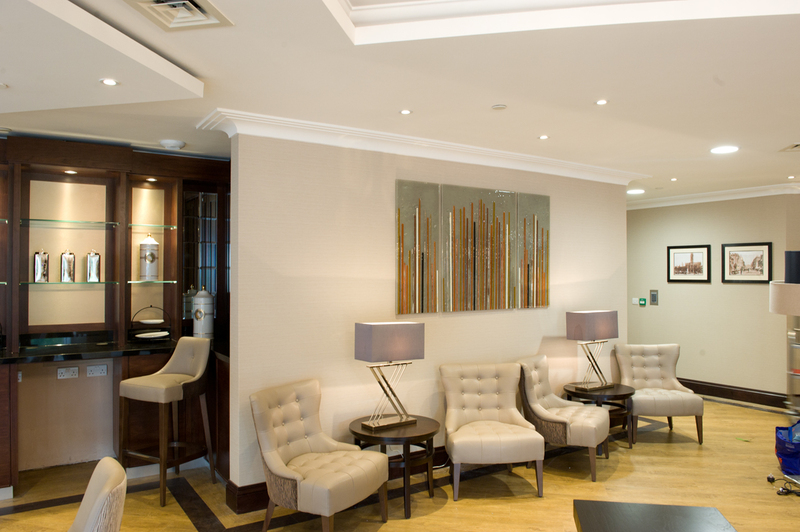 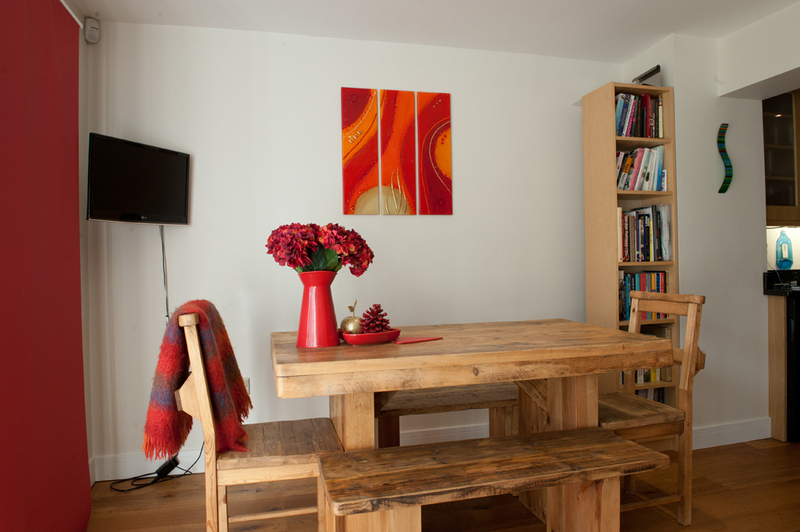 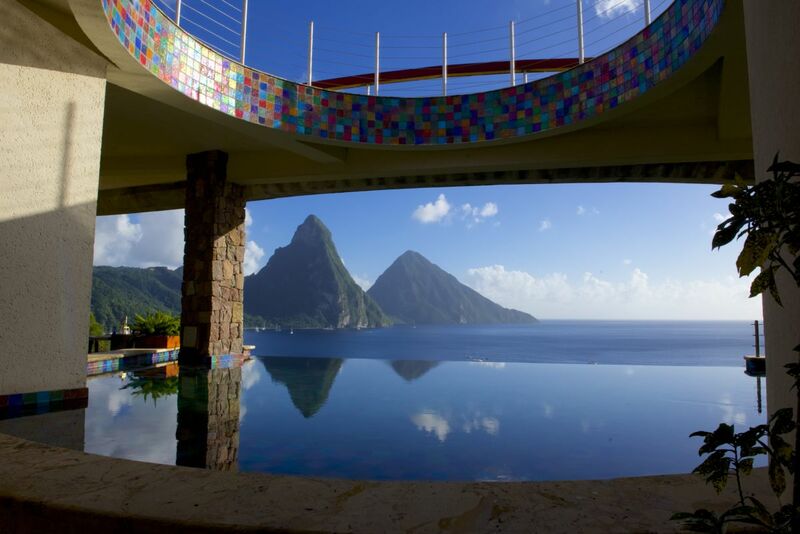 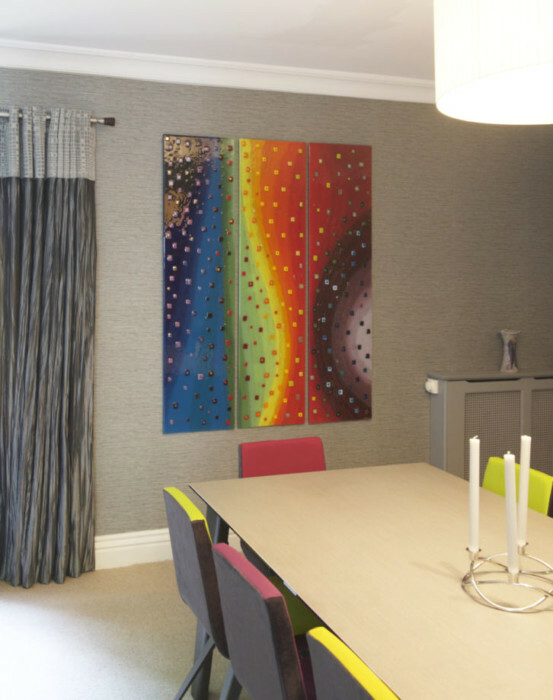 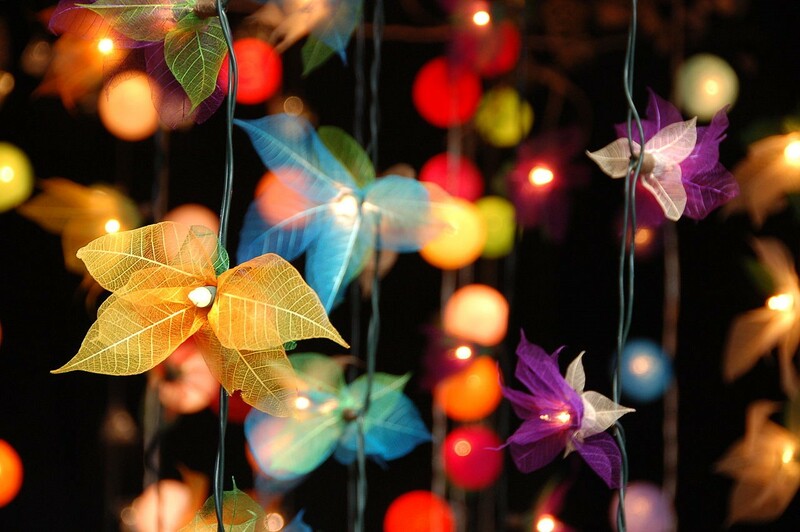 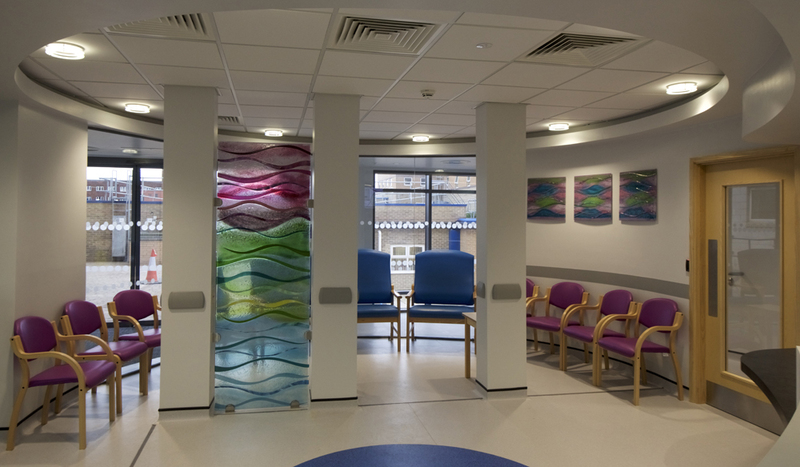 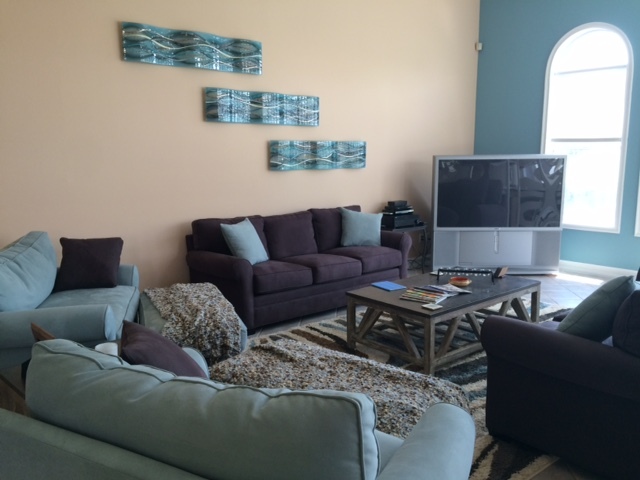 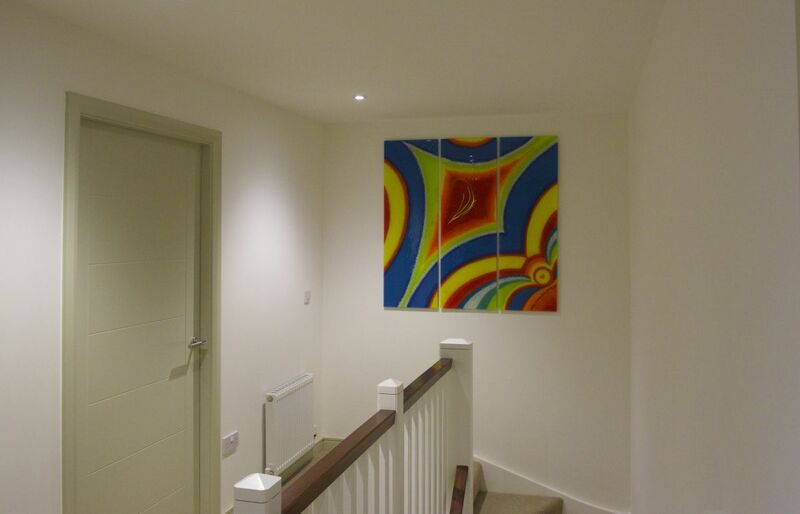 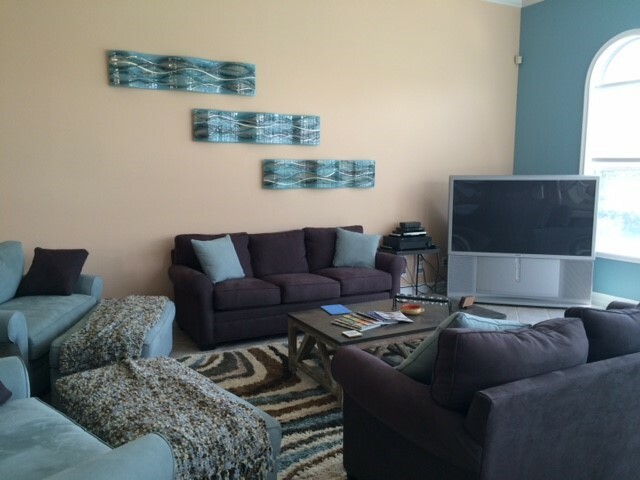 In fact, we love how the vivid injection of colour stands out and adds a burst of life to the space. 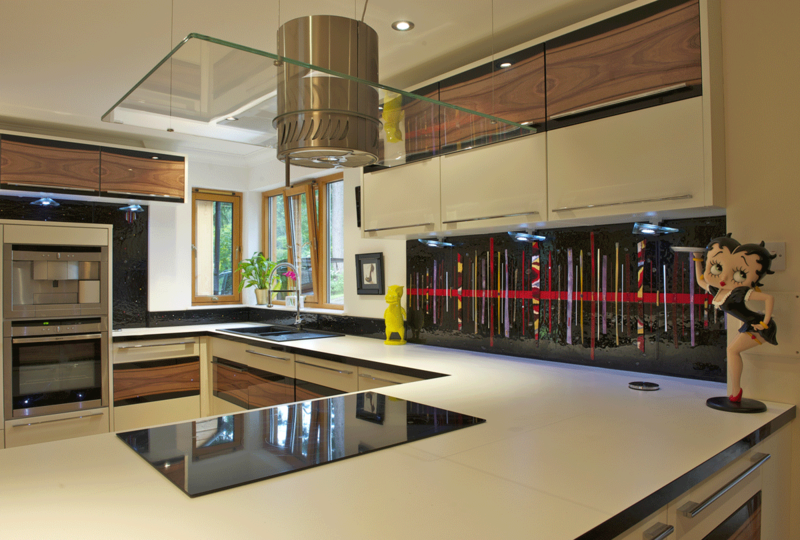 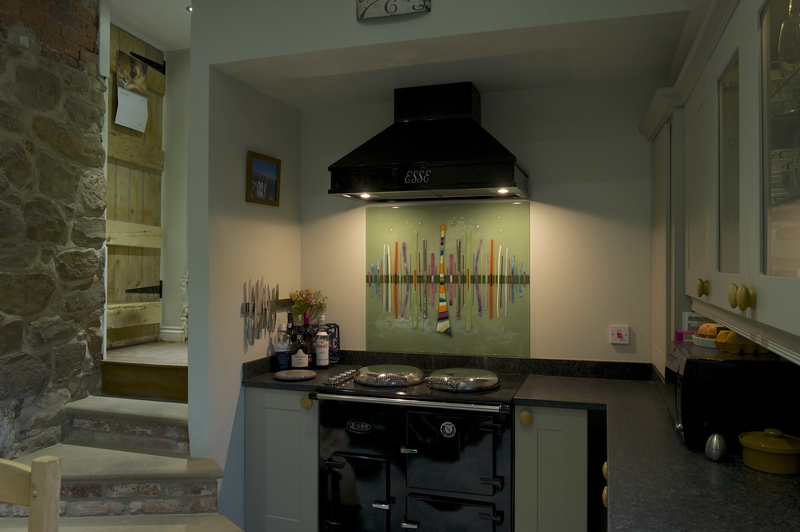 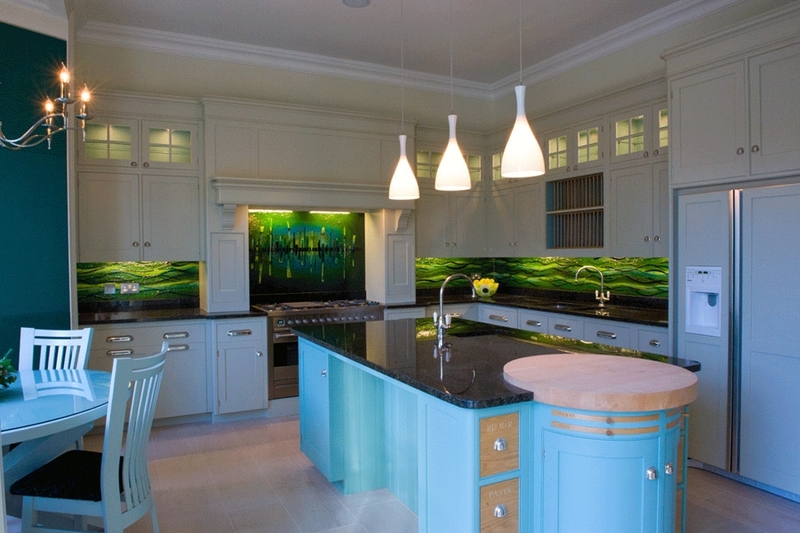 The kitchen is the centre of the home, after all, and now this particular example really shines. 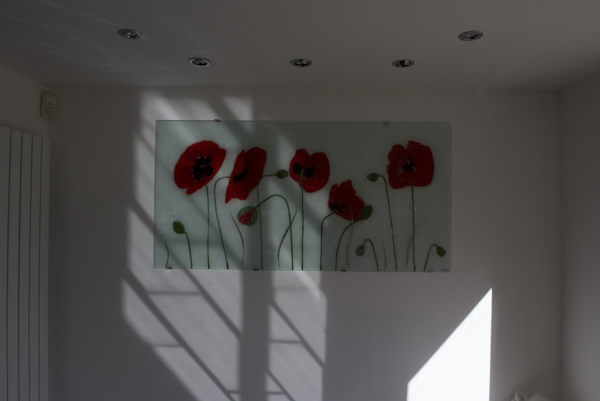 The light from above is the real cherry on top, helping the glass to shine and bringing out the colour no matter the time of day. 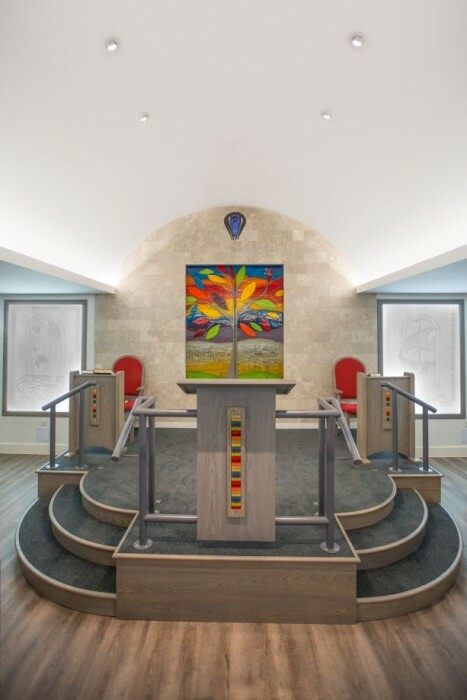 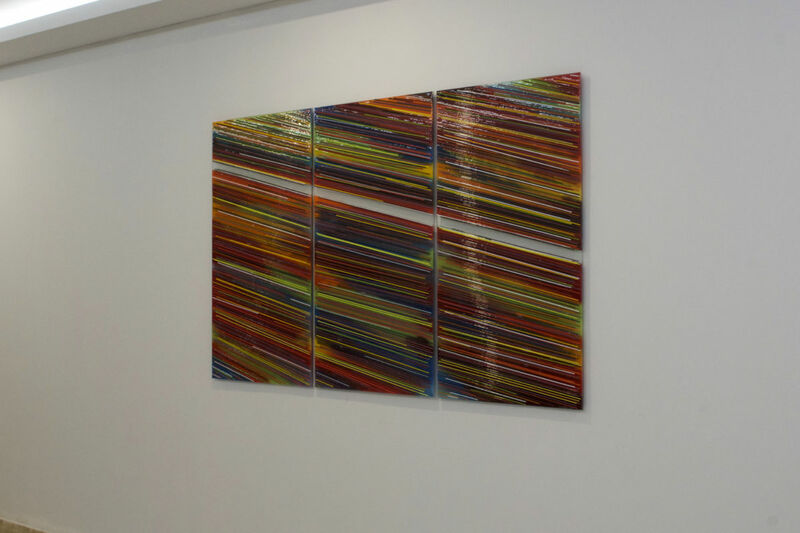 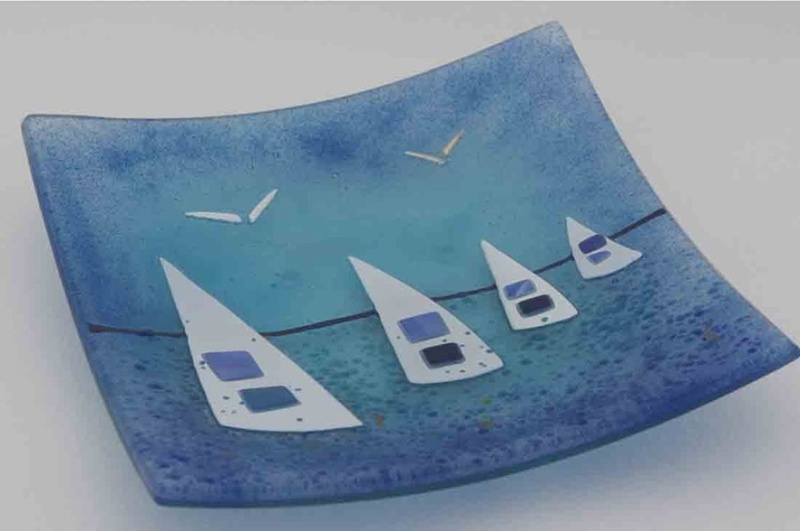 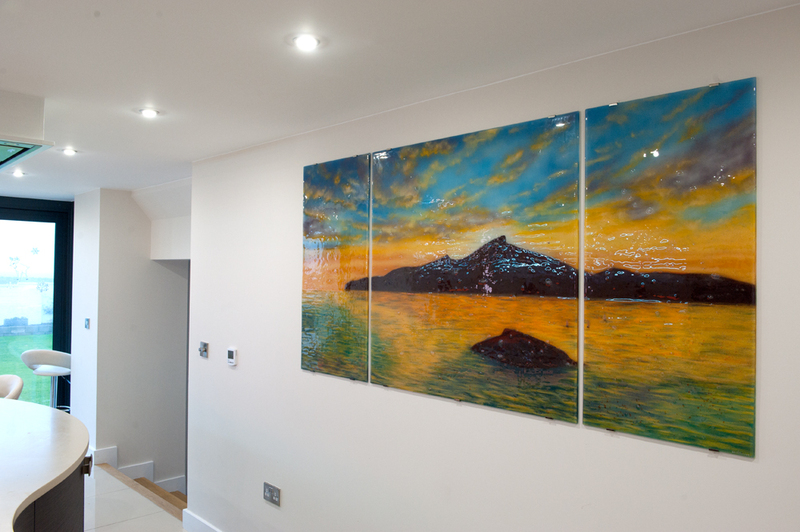 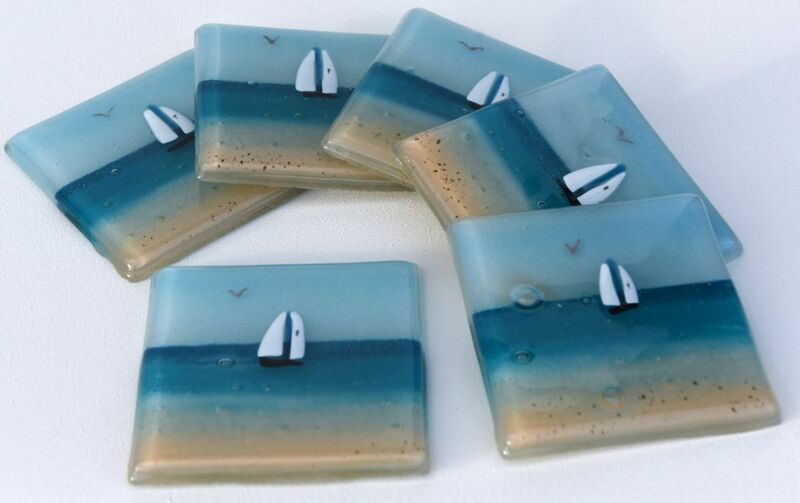 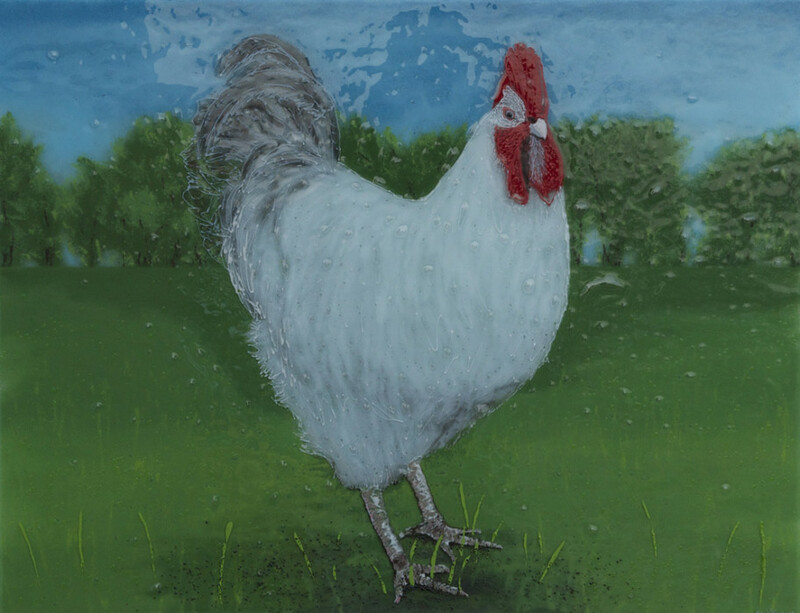 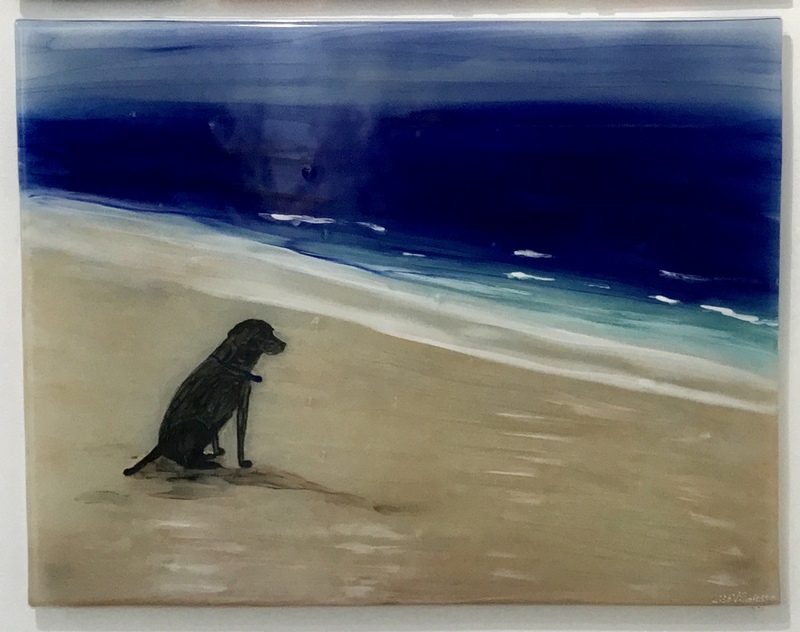 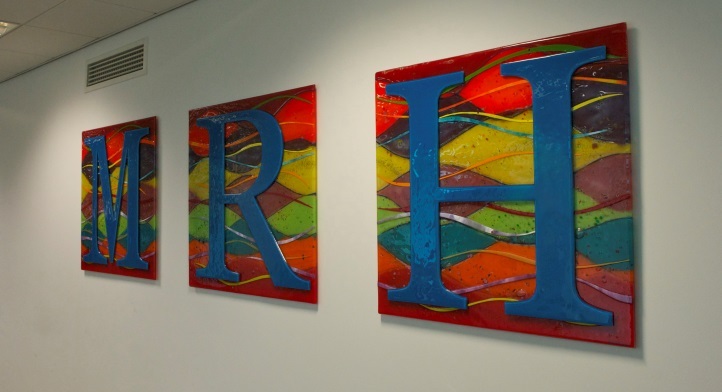 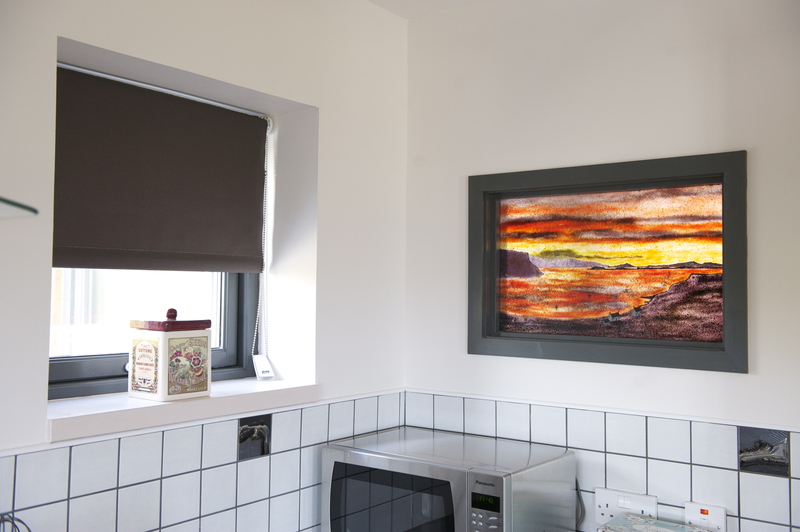 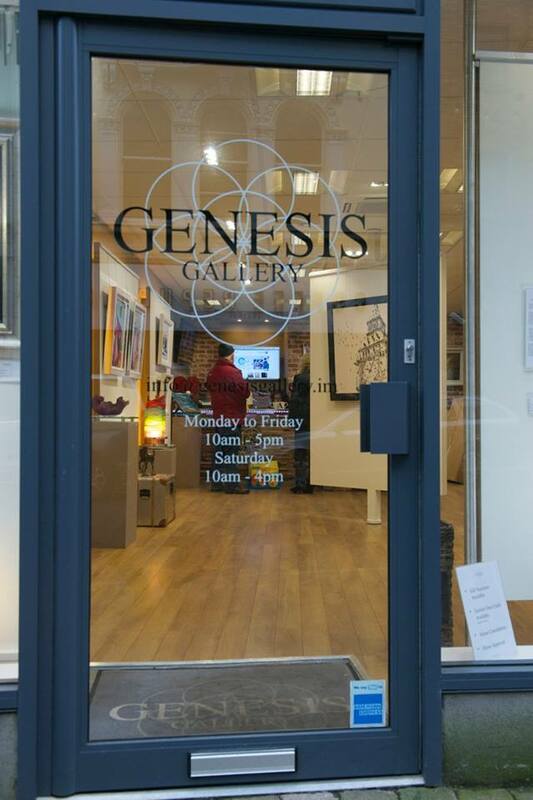 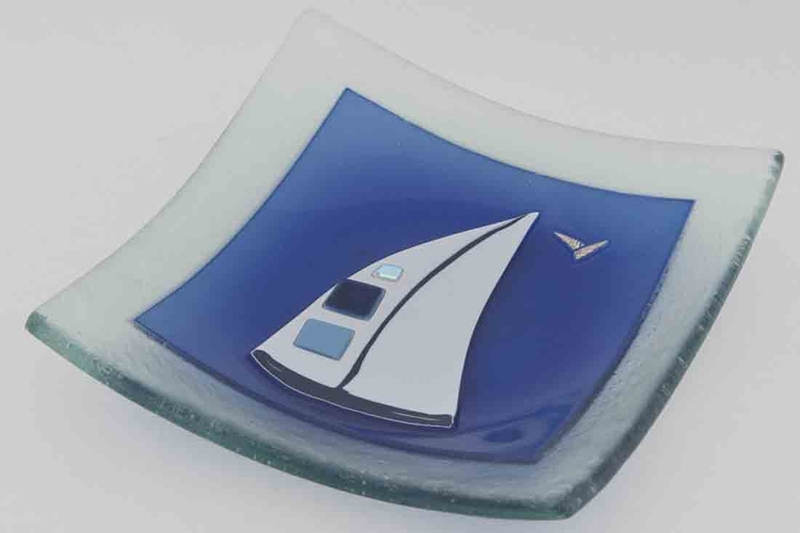 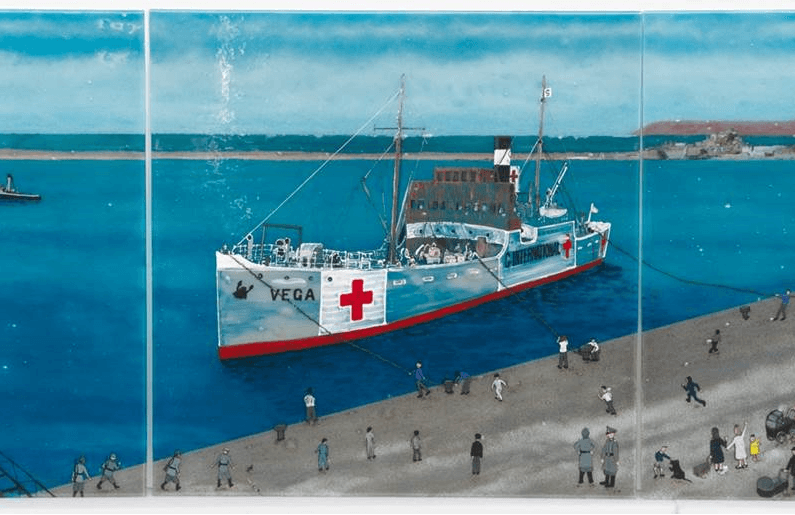 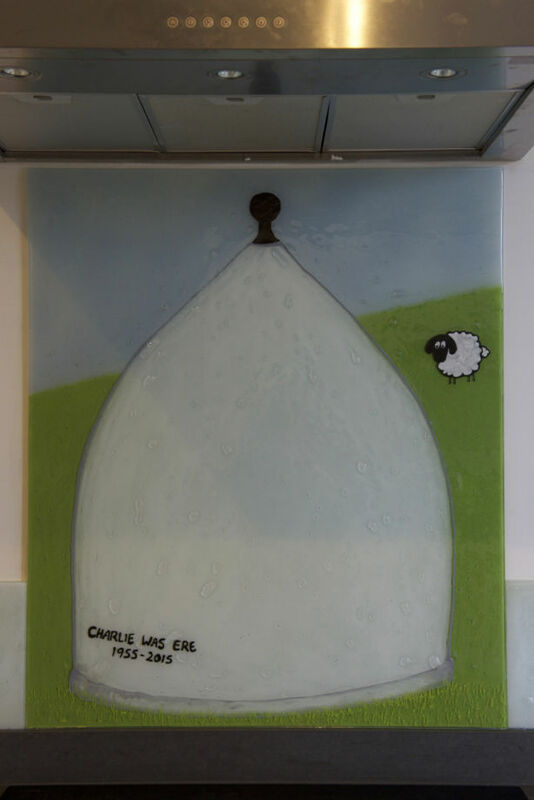 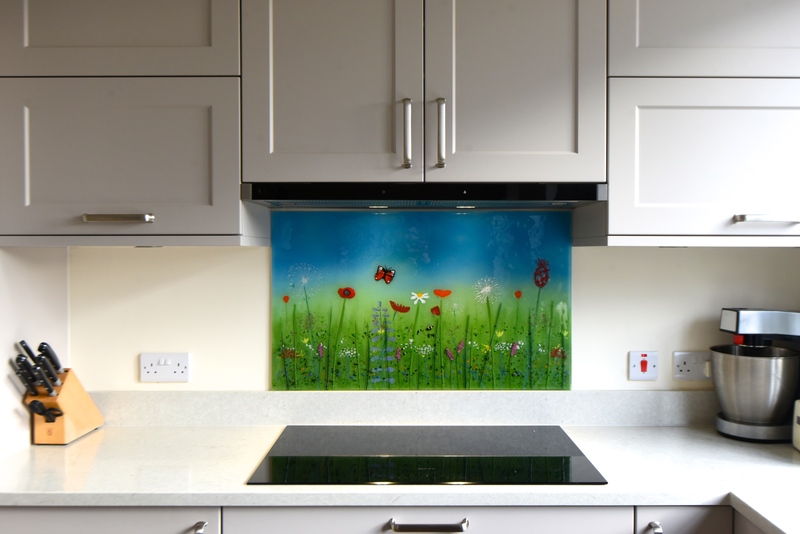 If you love the end result as much as we do, then getting your very own fused glass art should be something of a no-brainer! 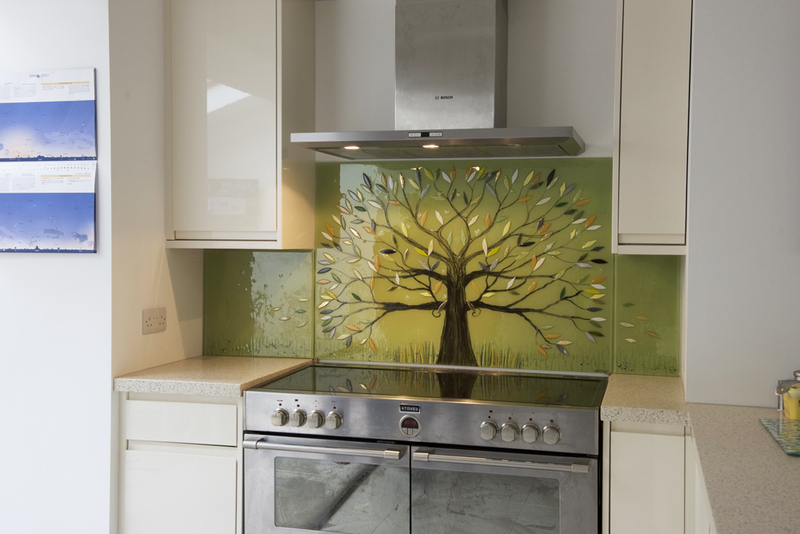 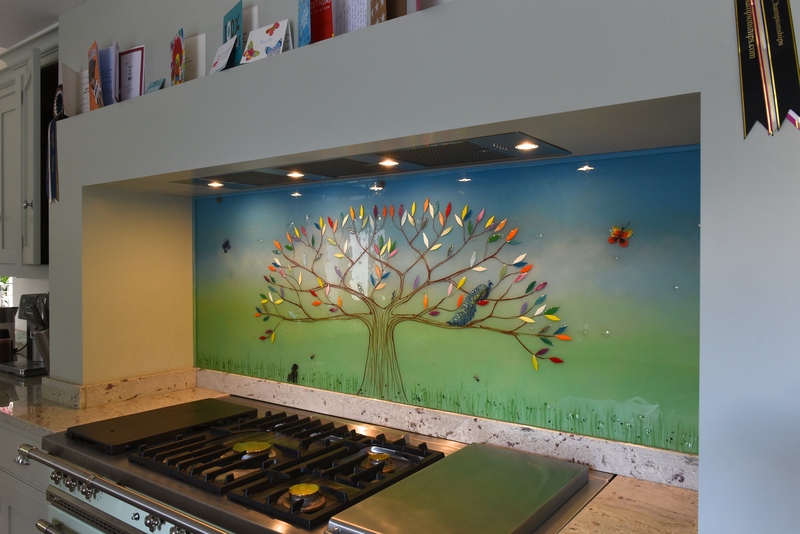 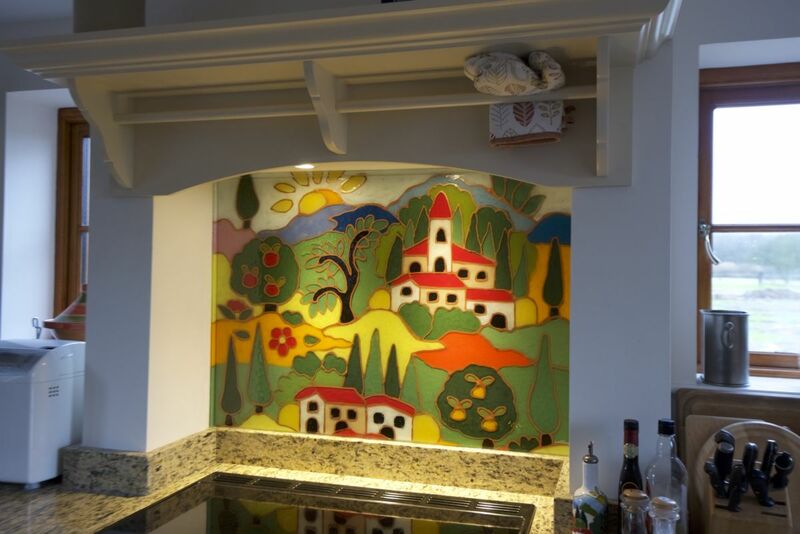 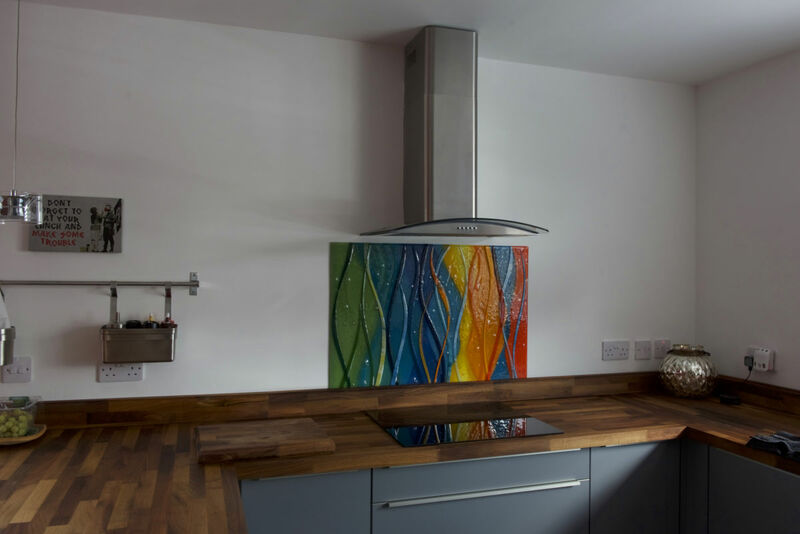 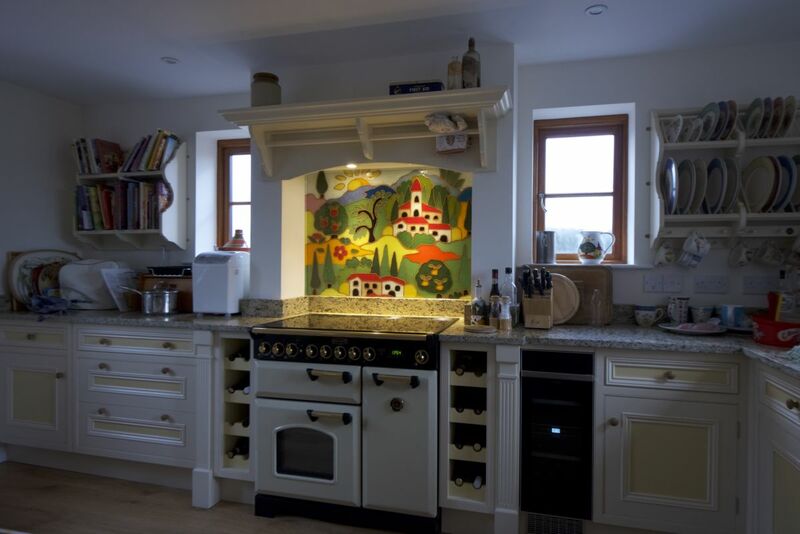 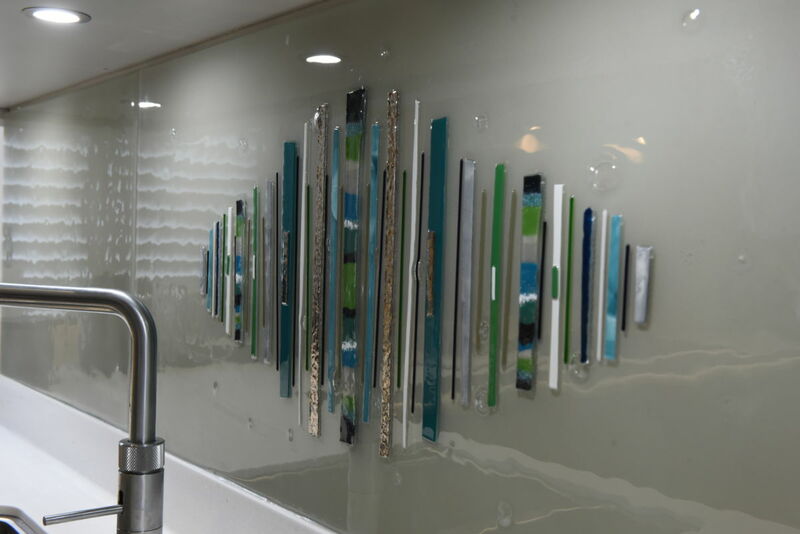 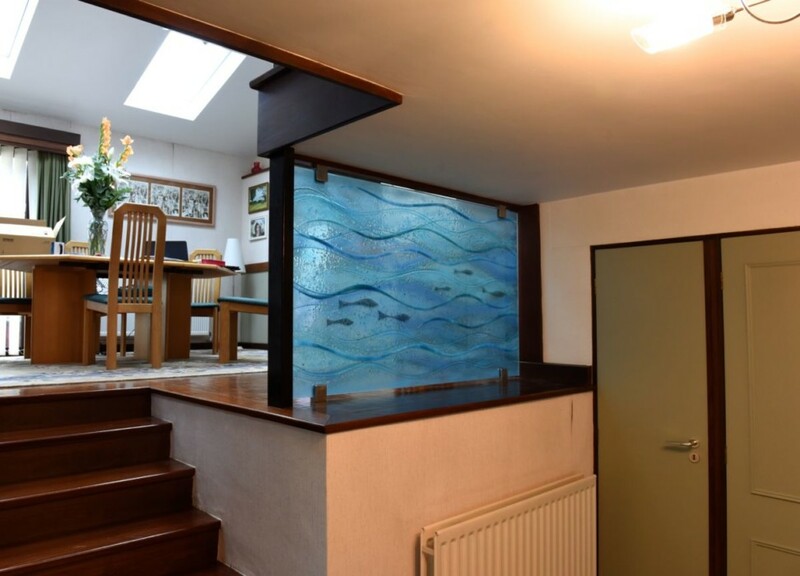 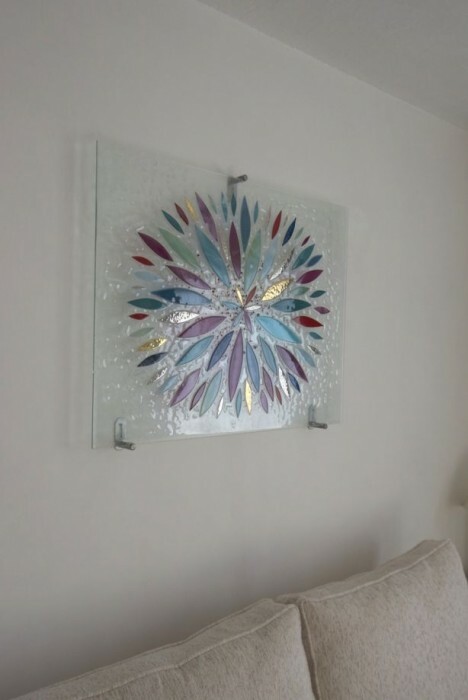 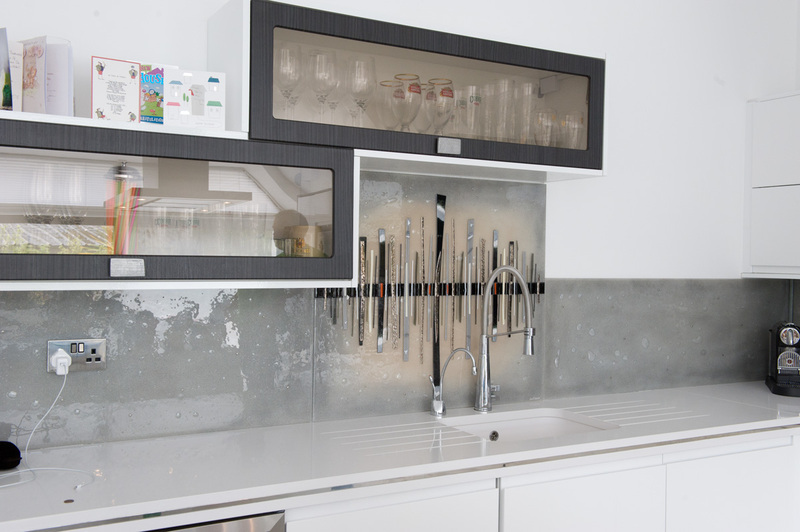 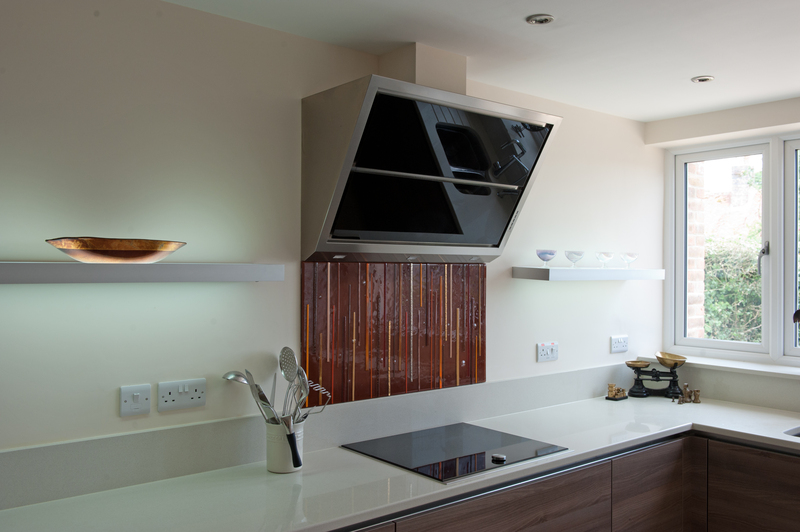 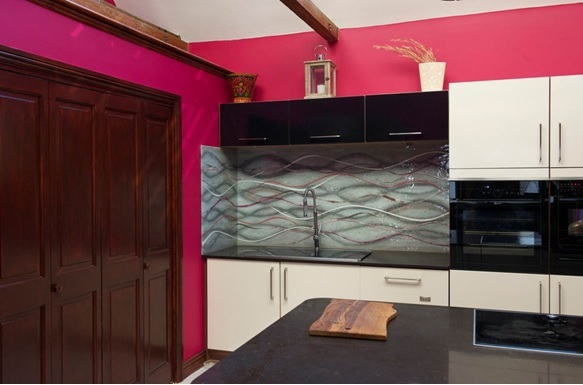 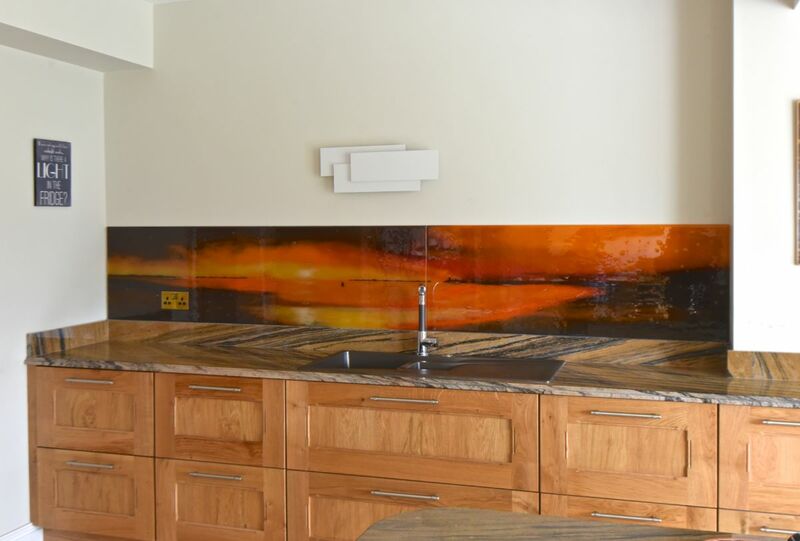 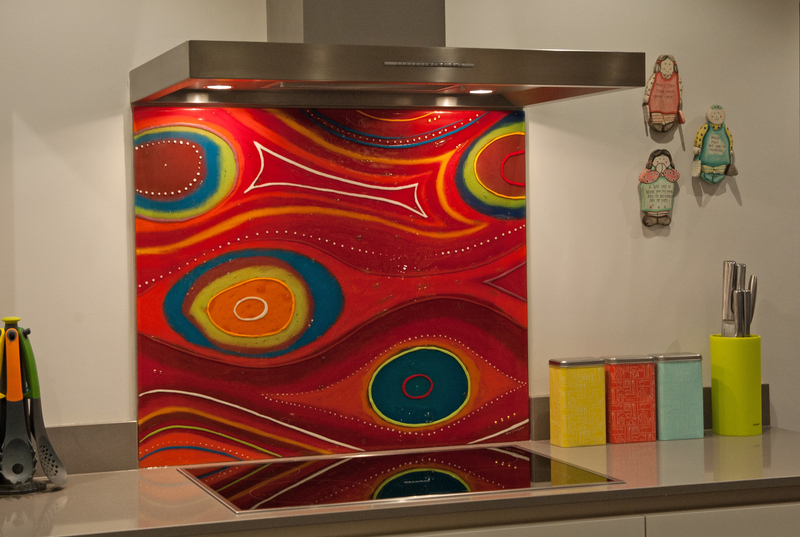 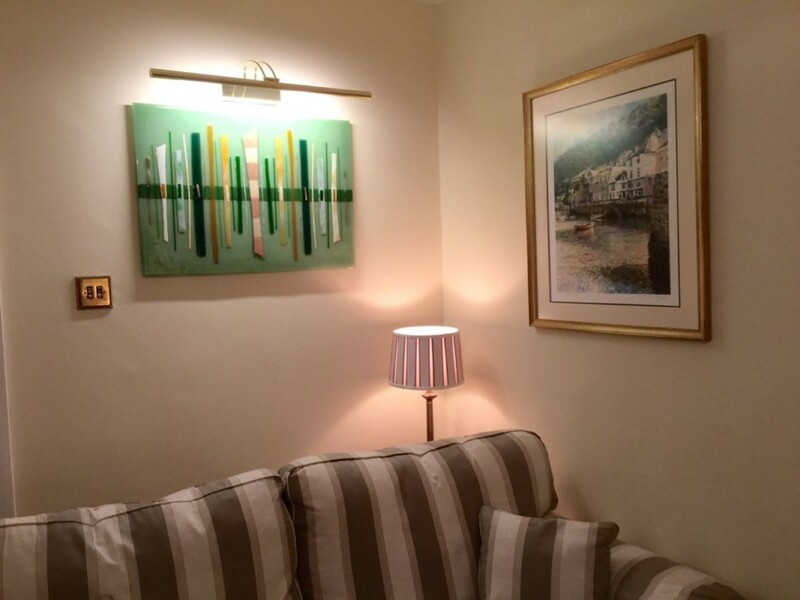 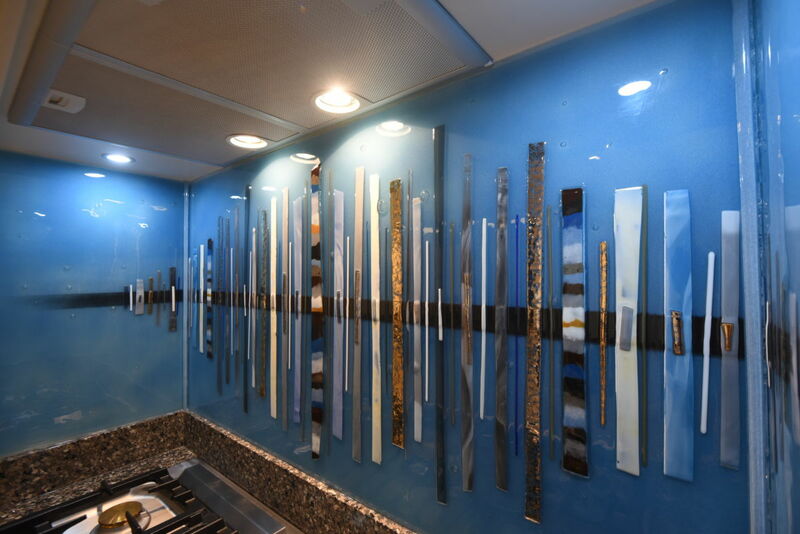 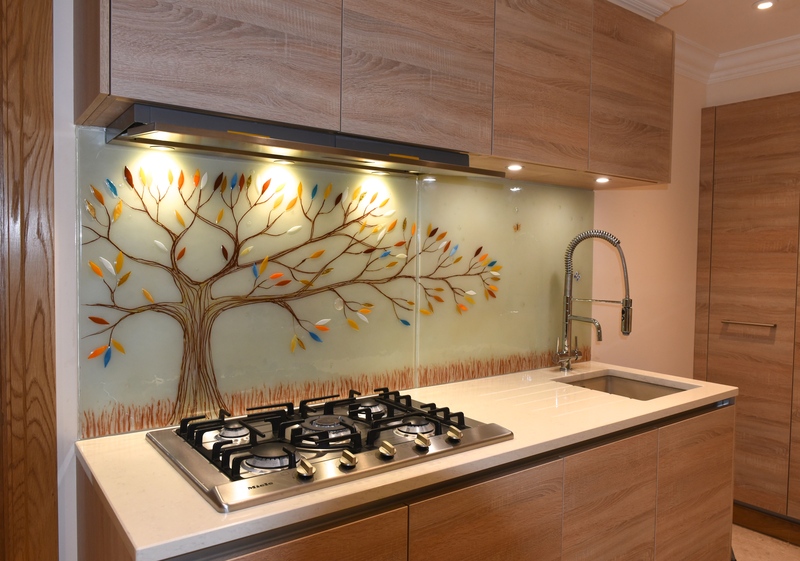 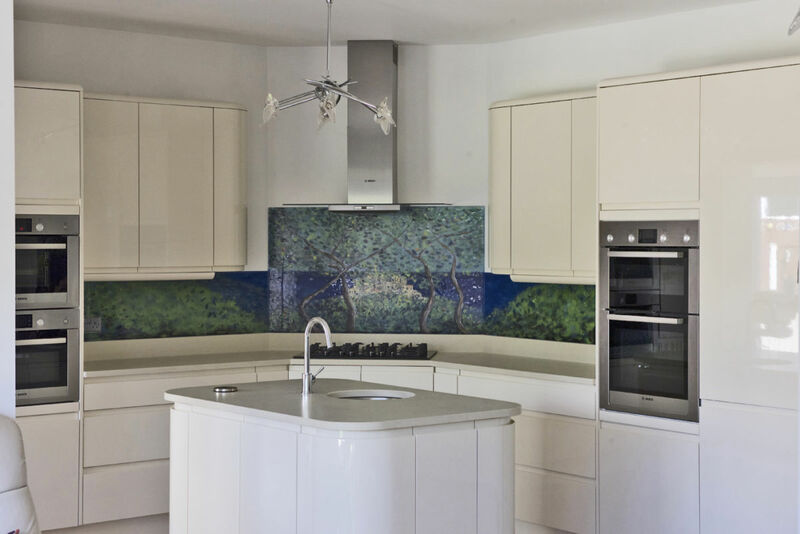 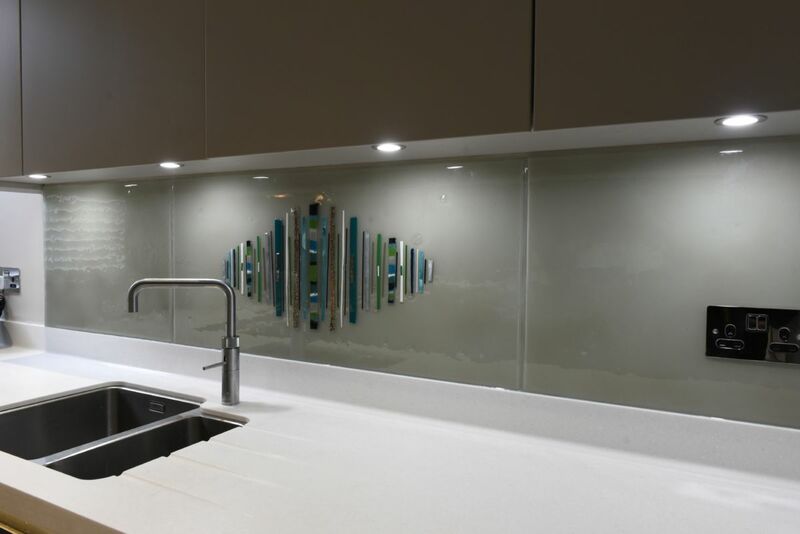 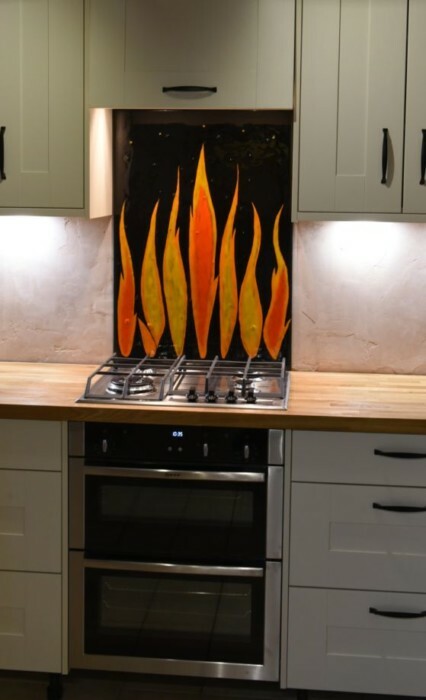 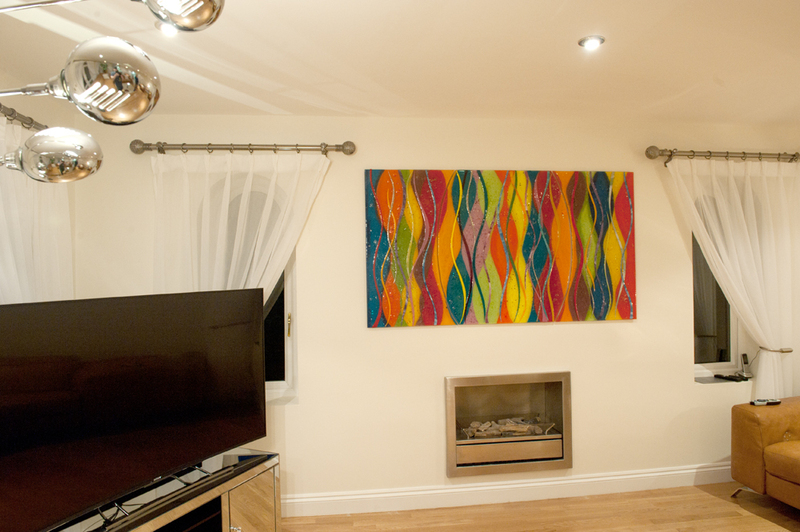 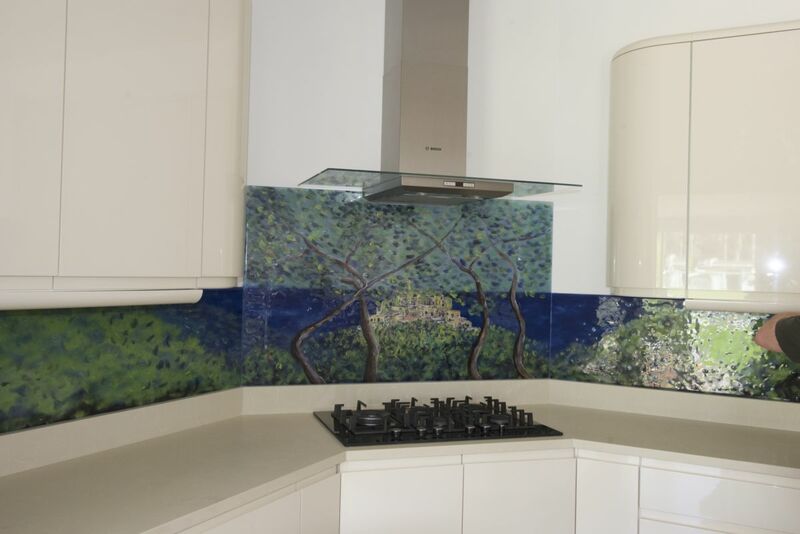 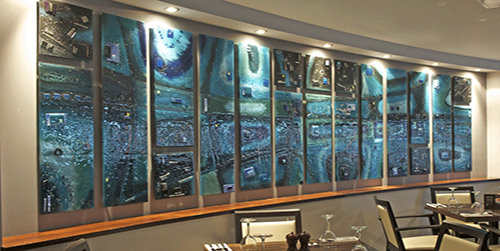 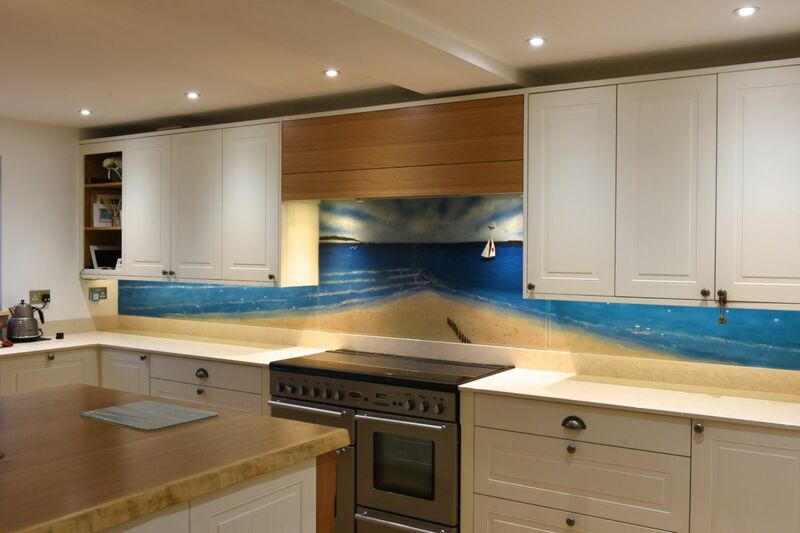 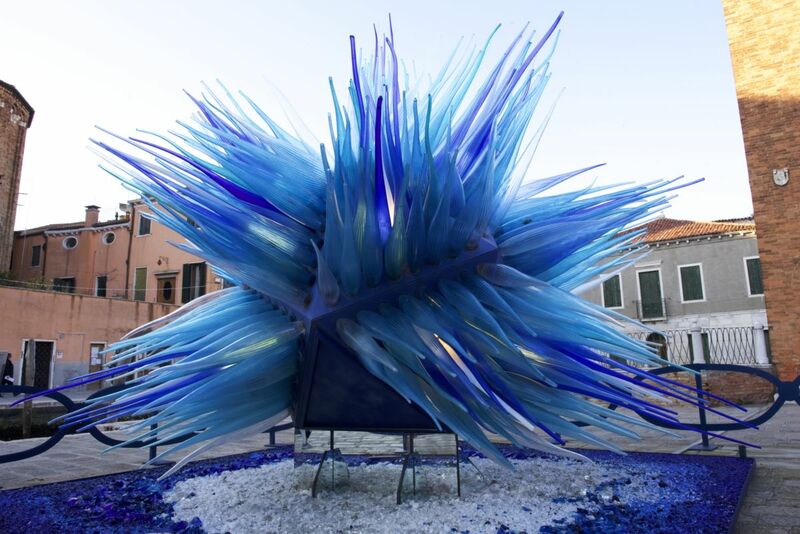 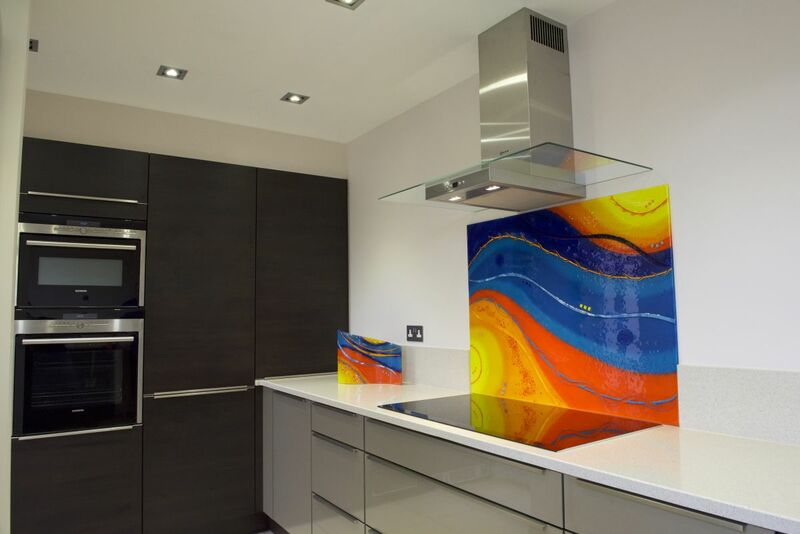 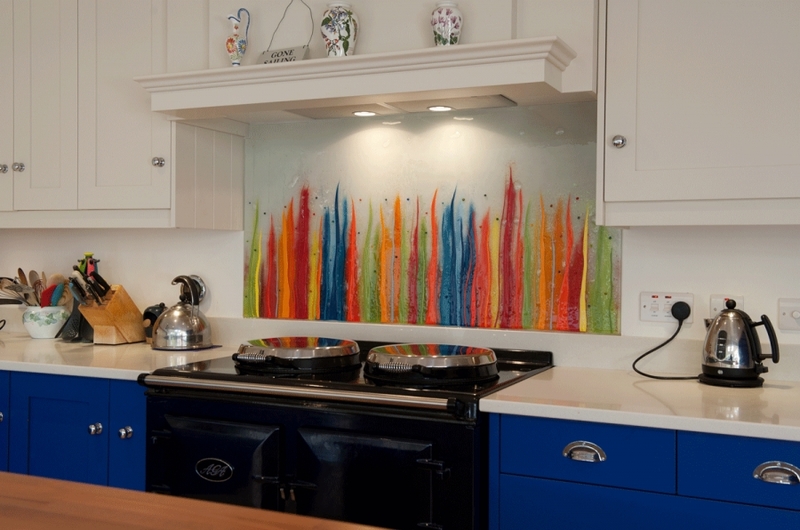 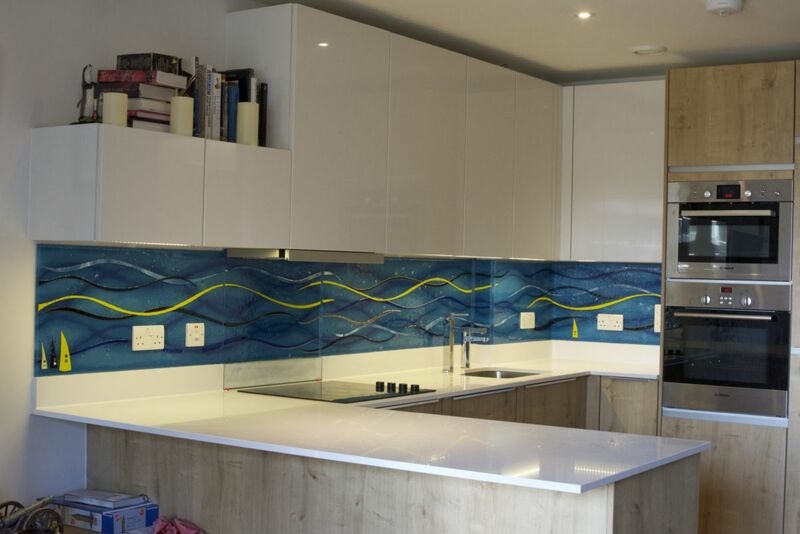 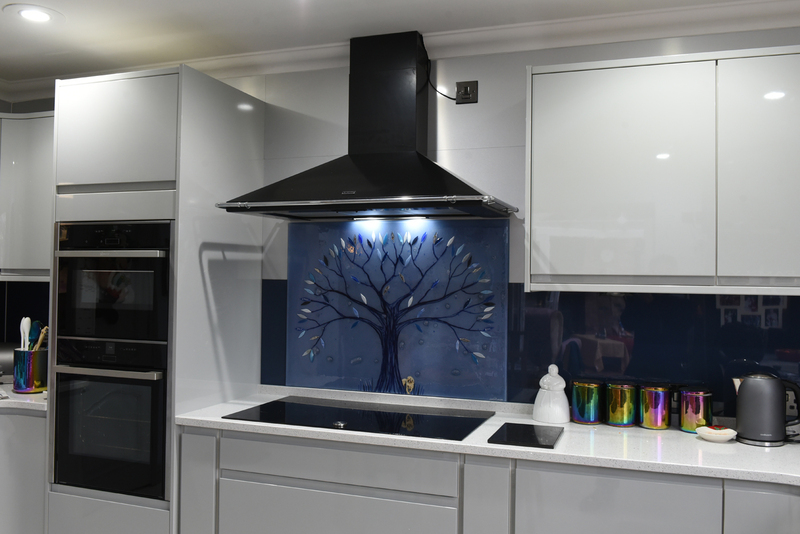 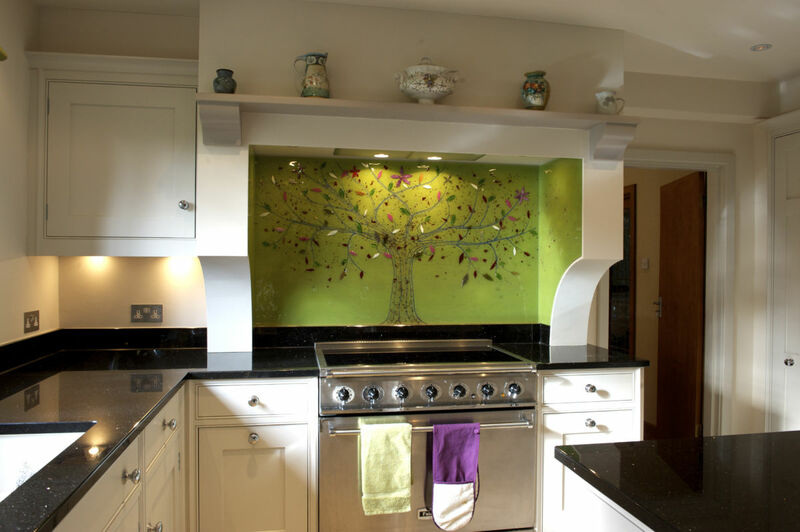 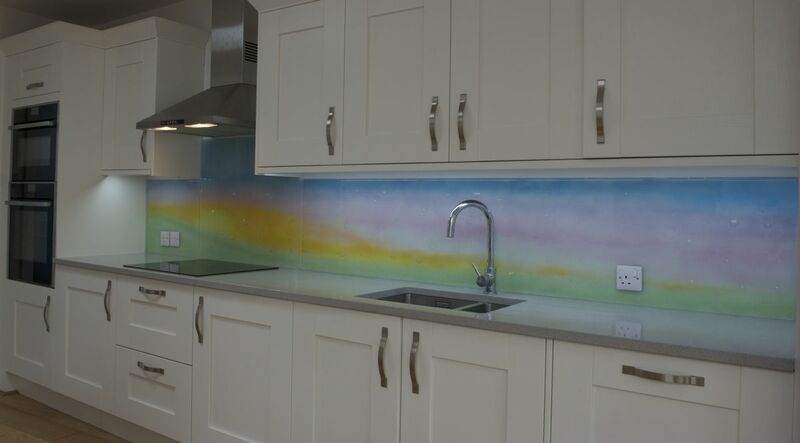 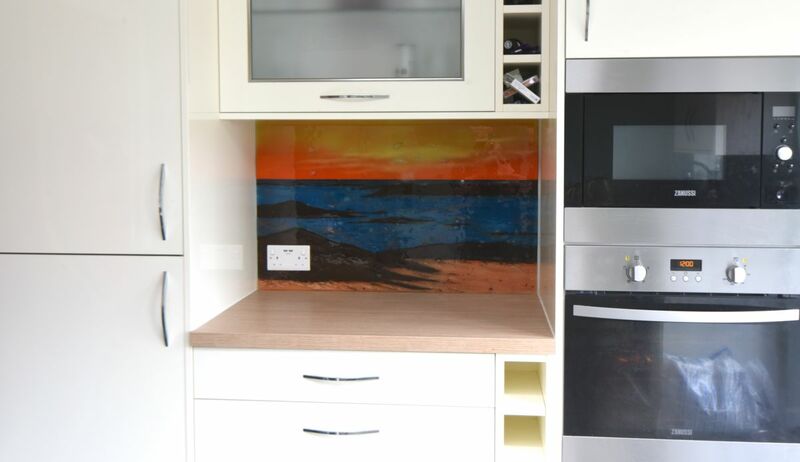 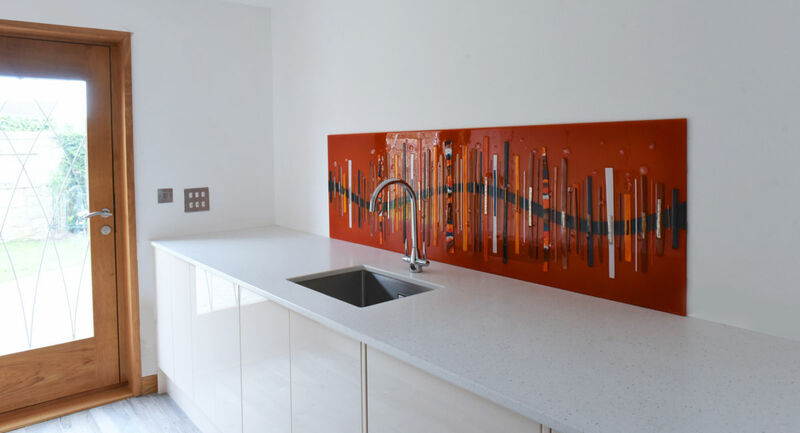 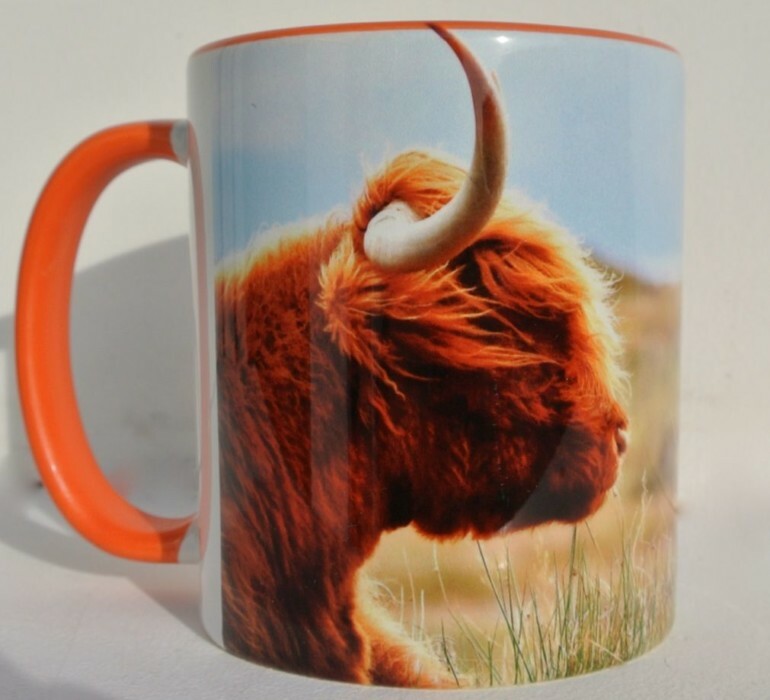 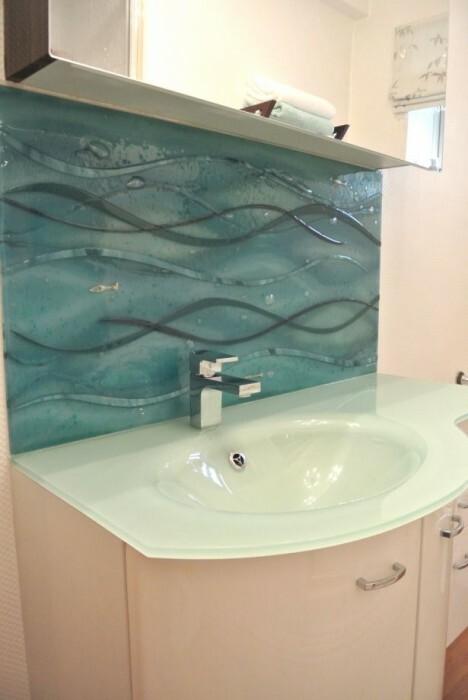 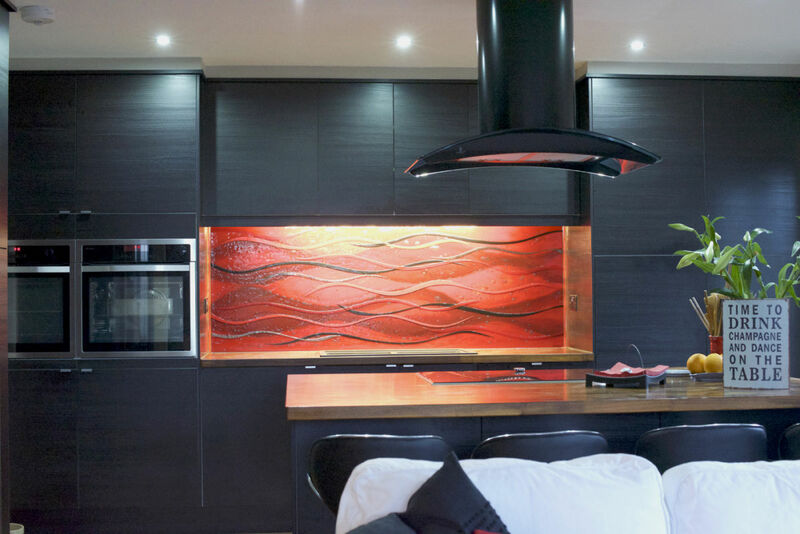 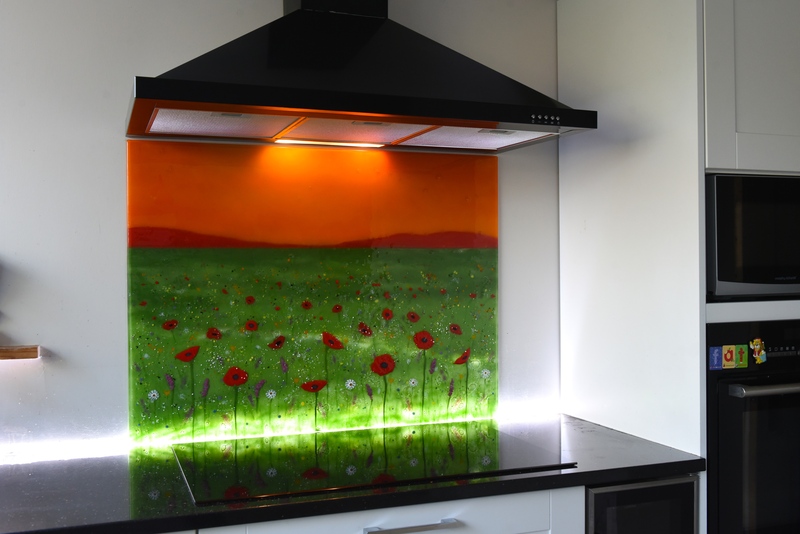 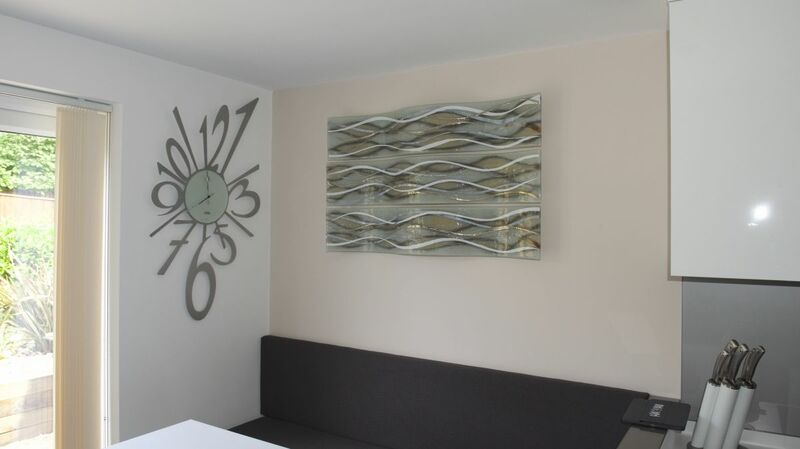 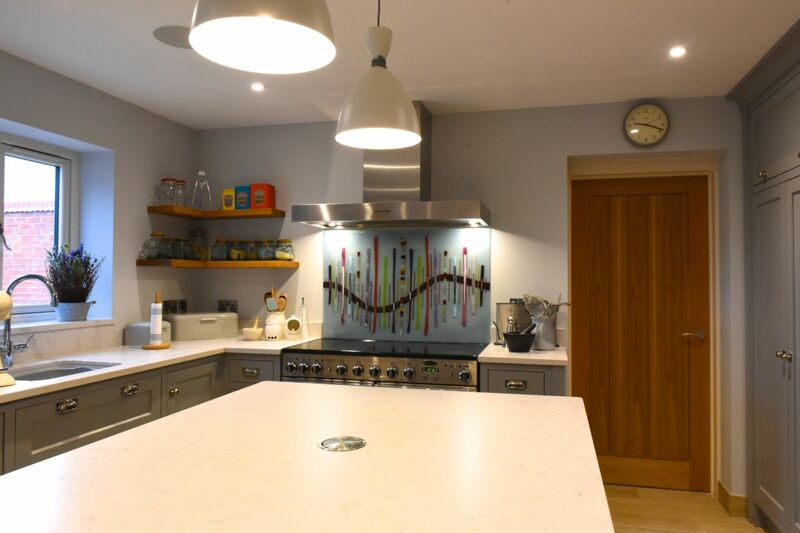 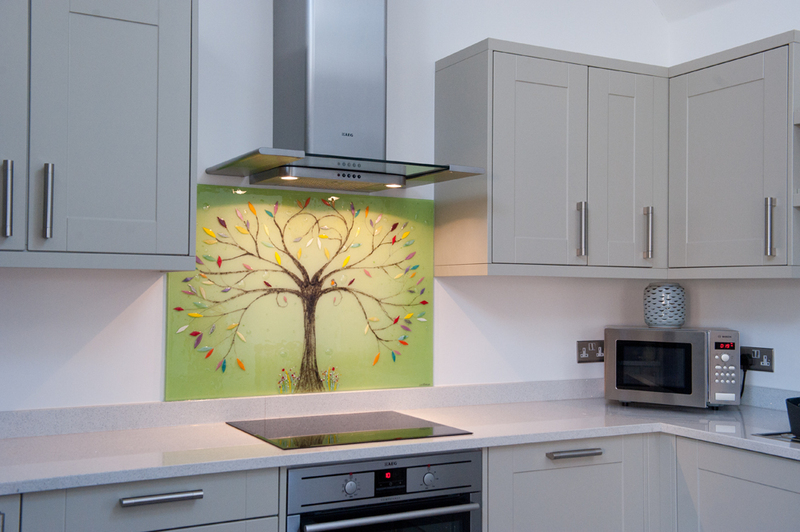 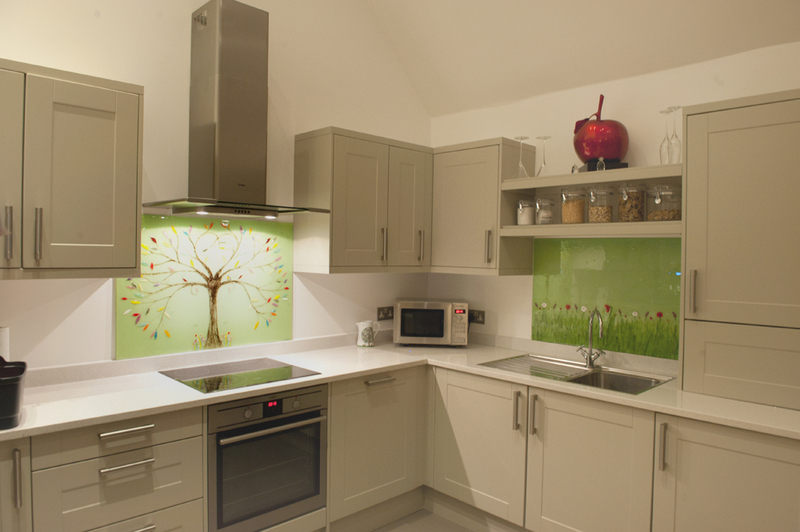 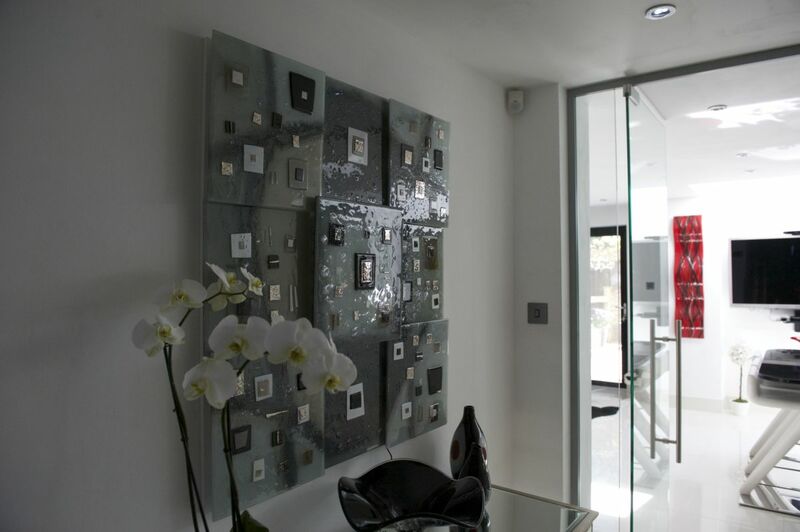 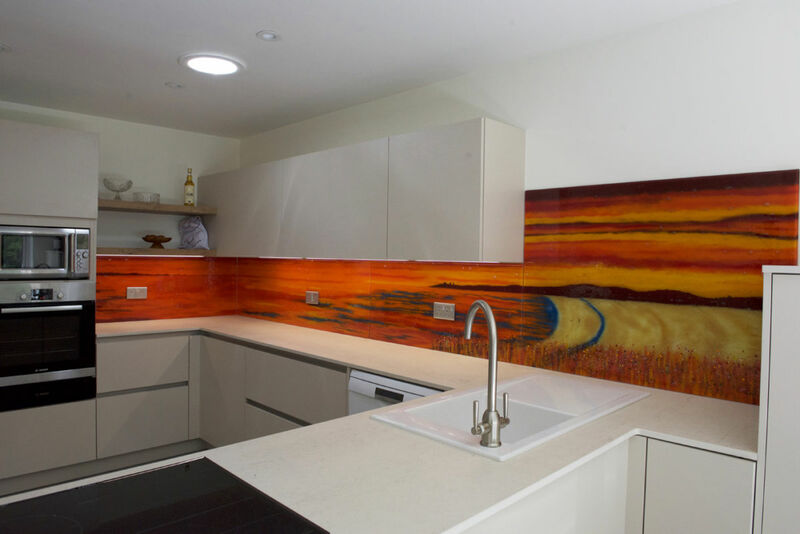 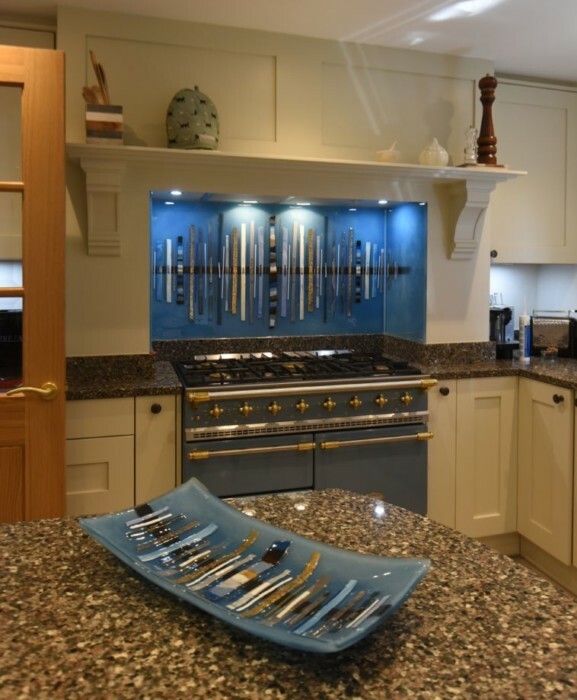 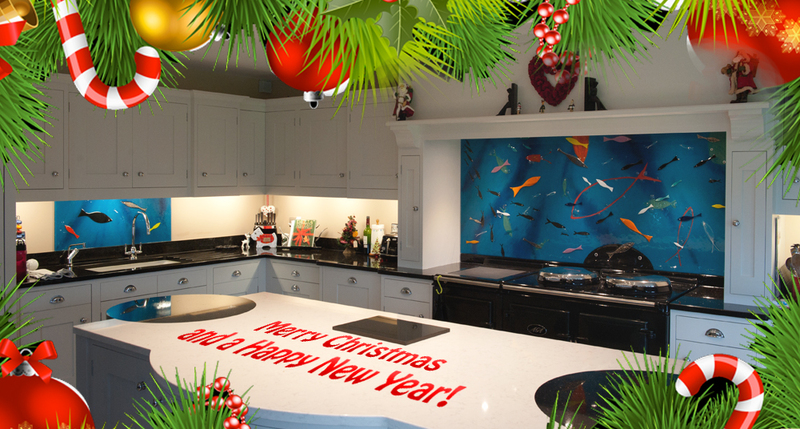 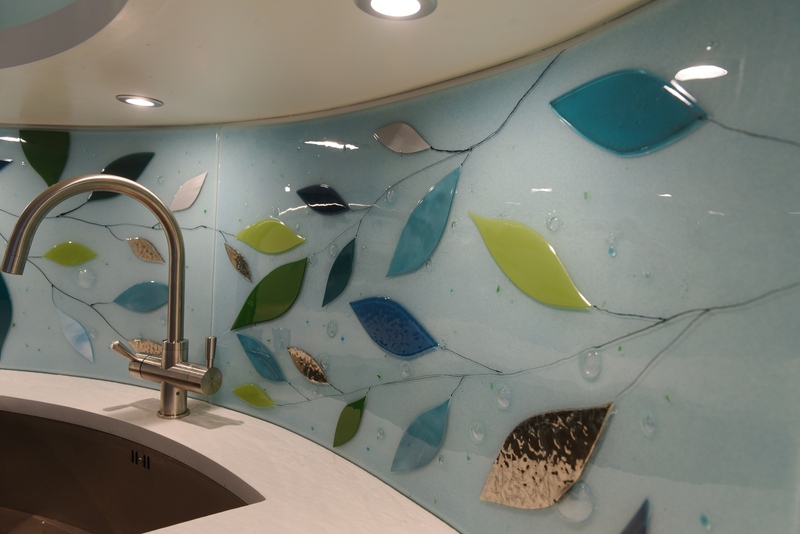 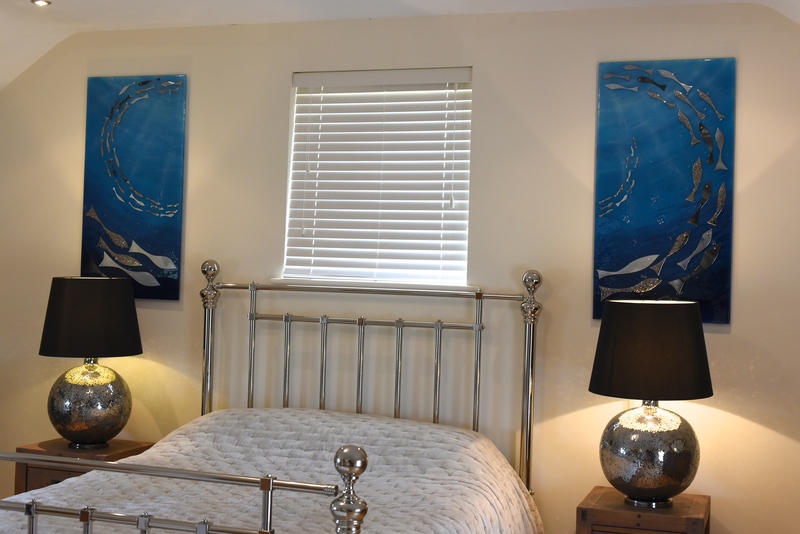 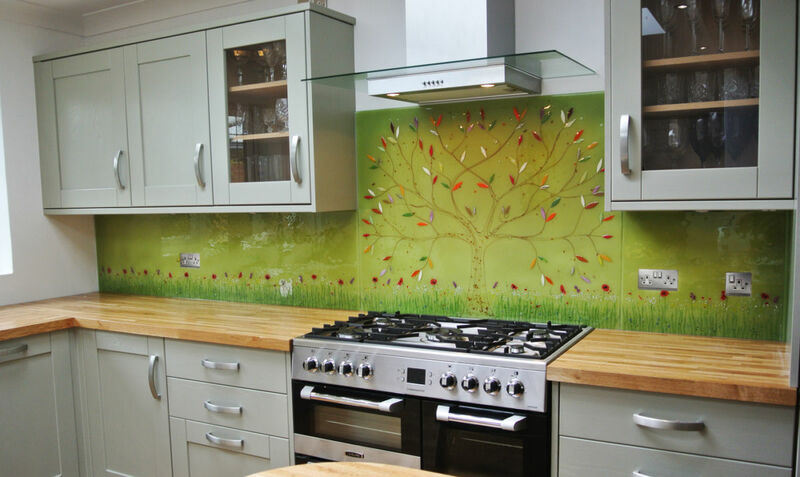 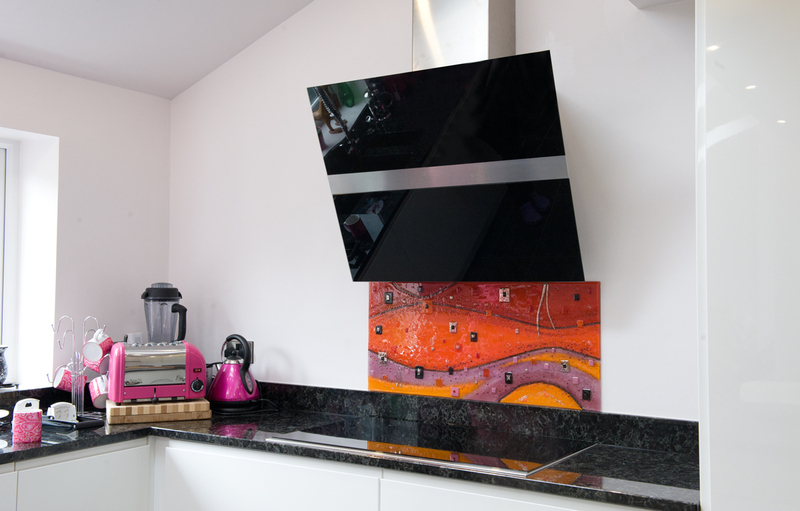 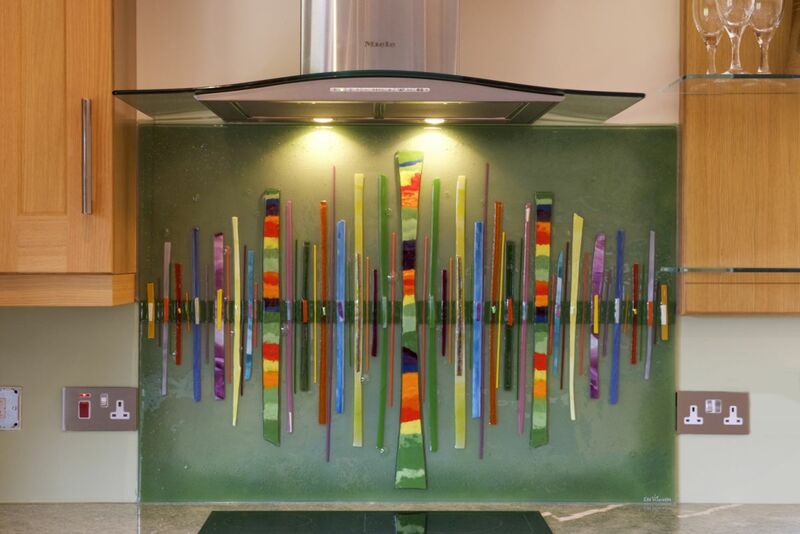 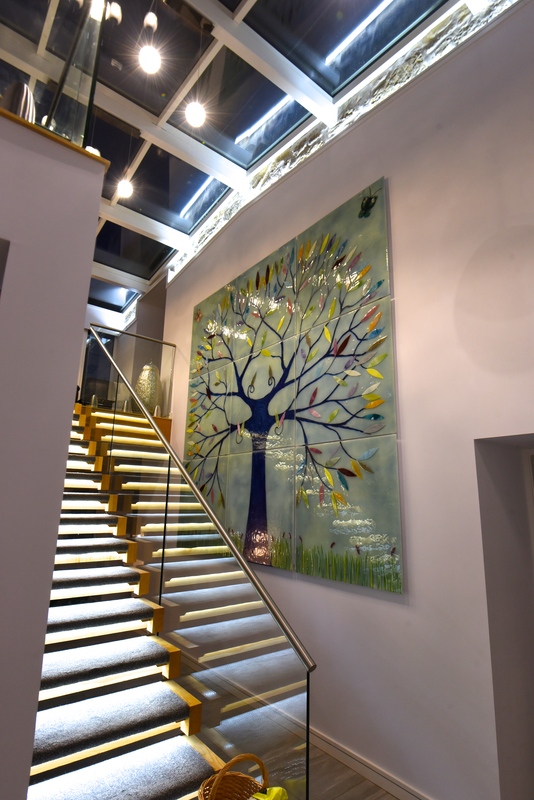 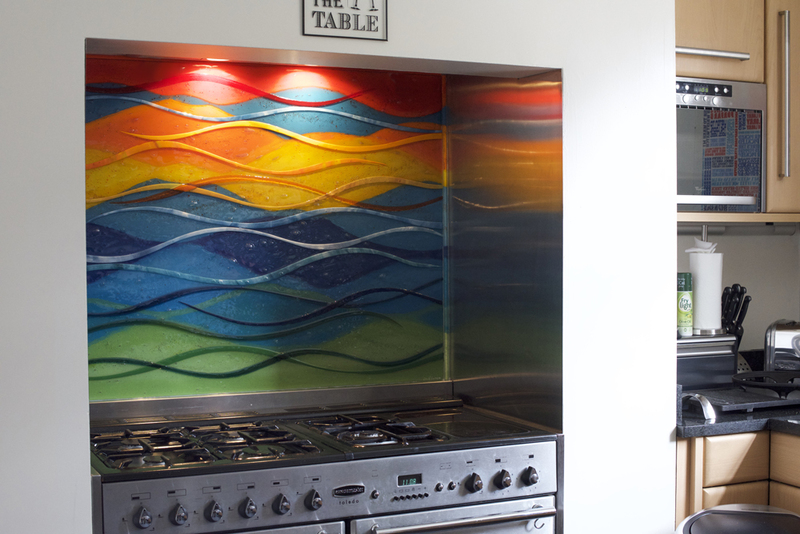 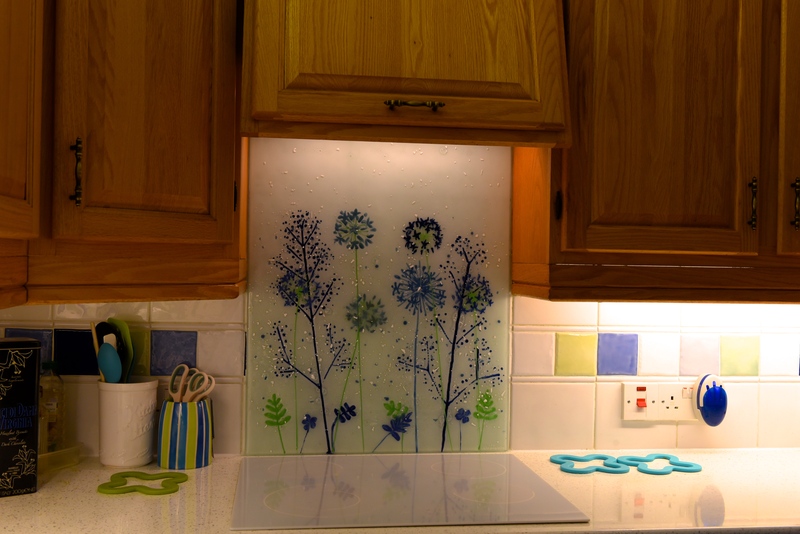 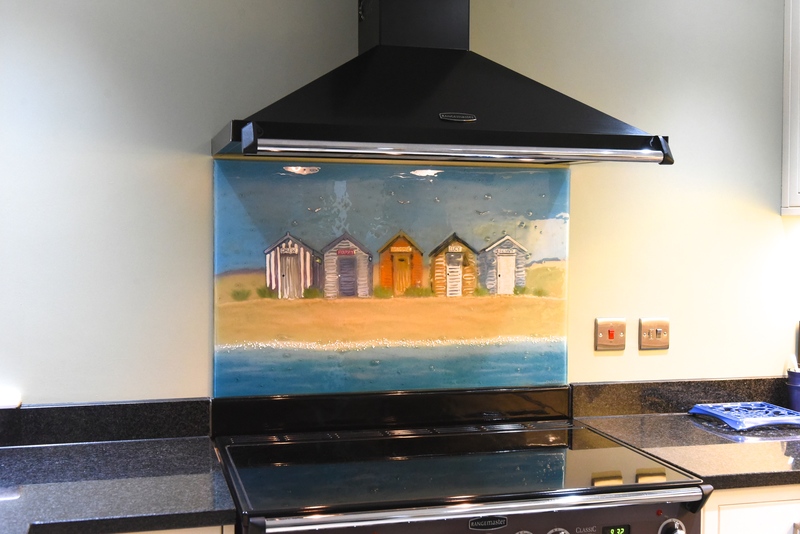 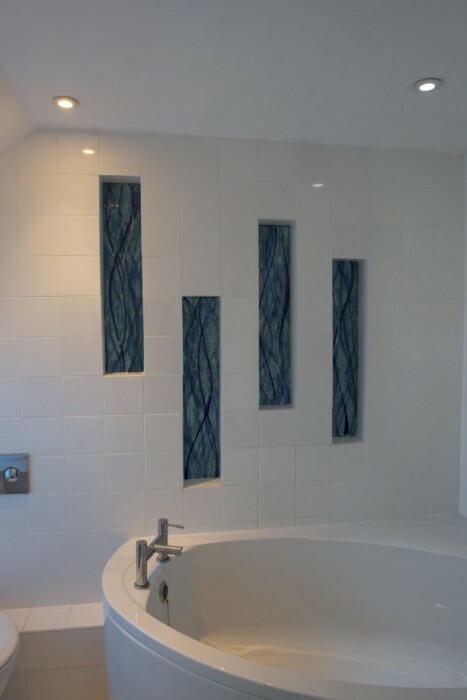 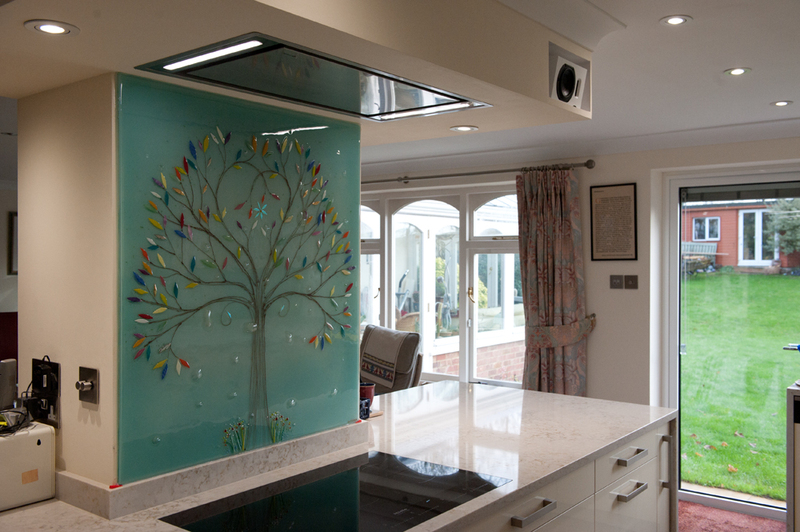 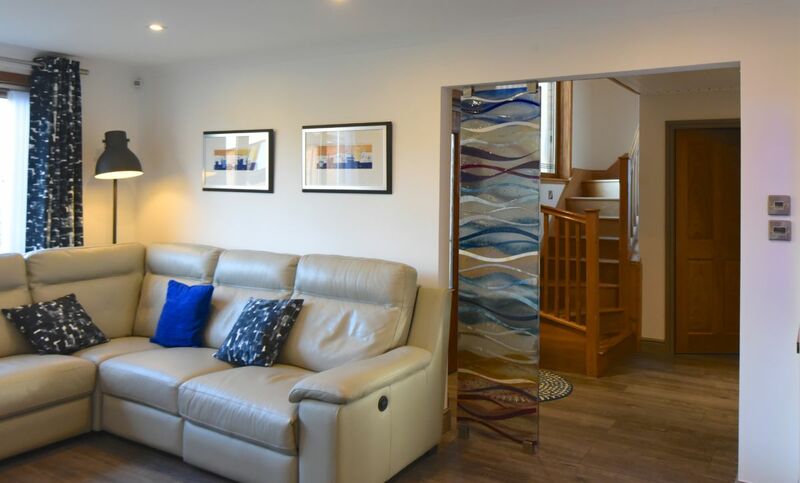 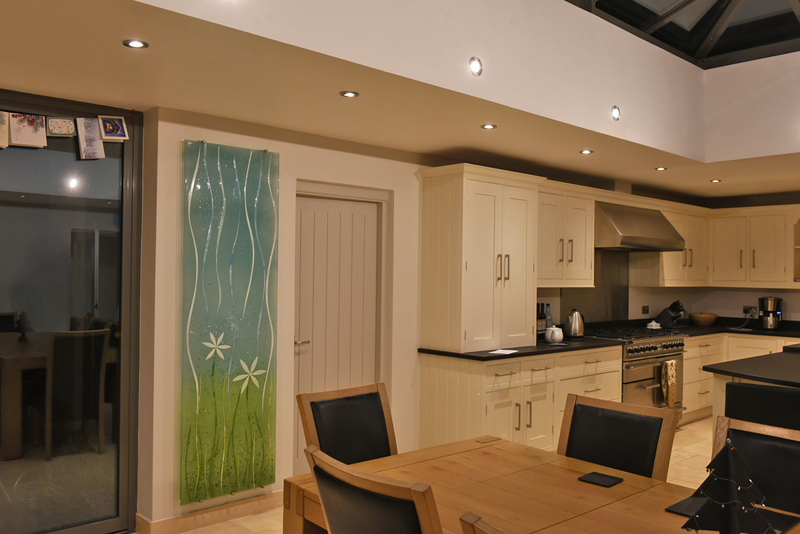 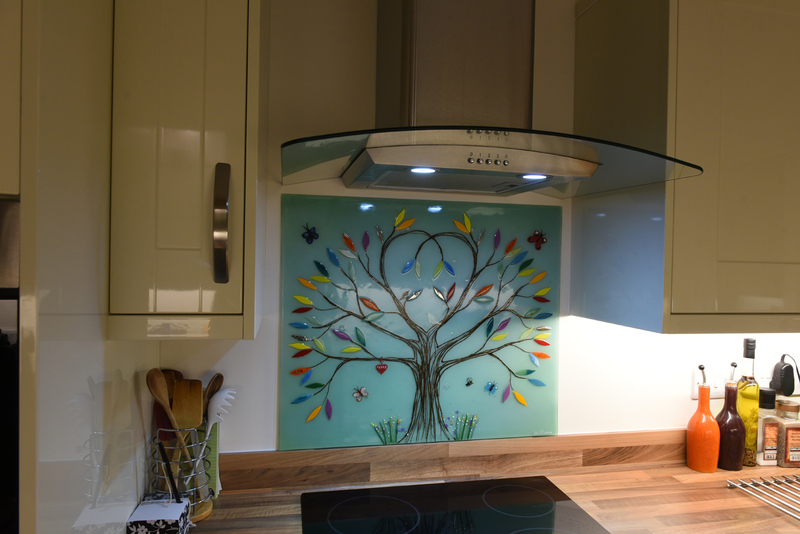 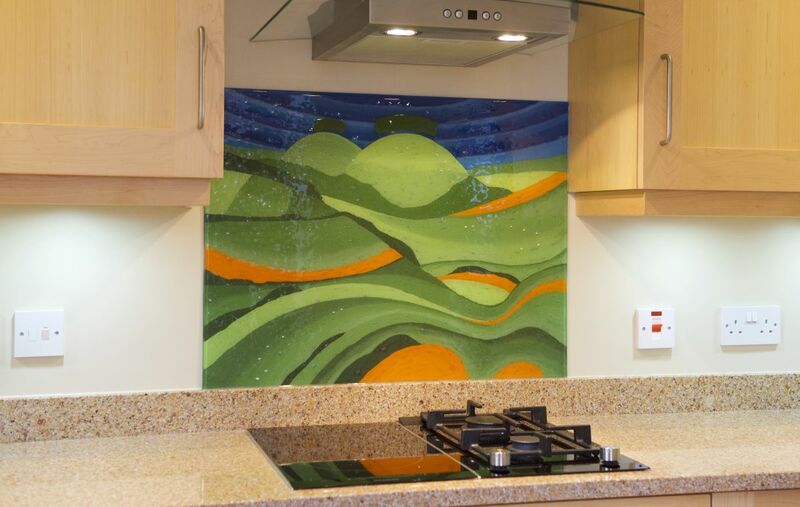 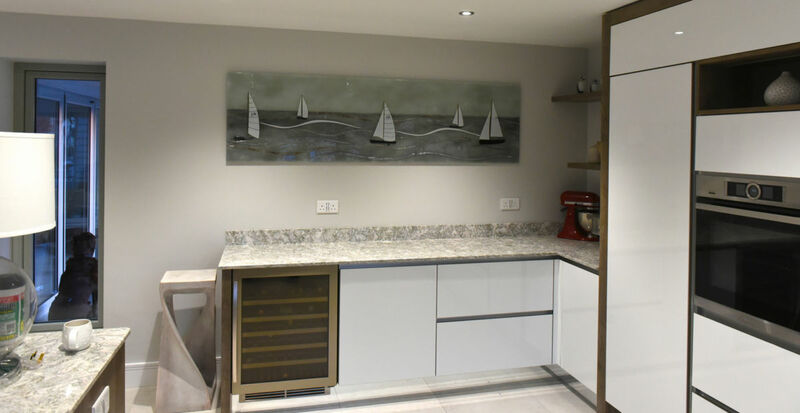 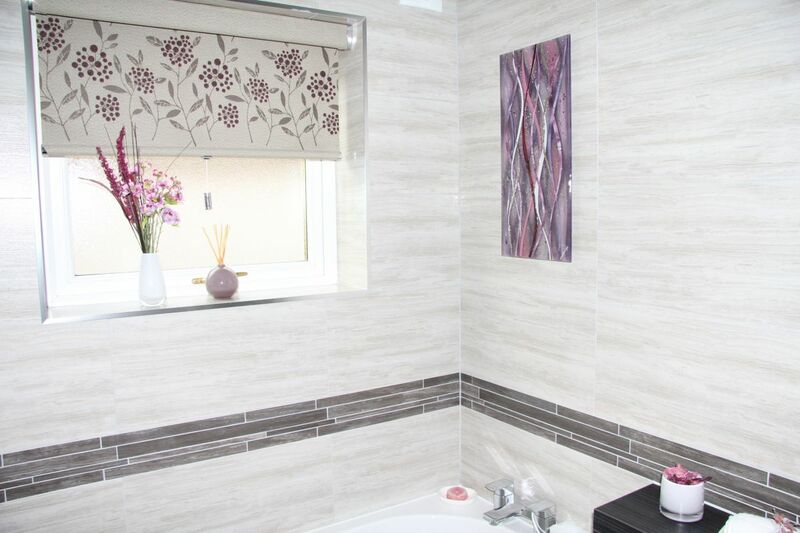 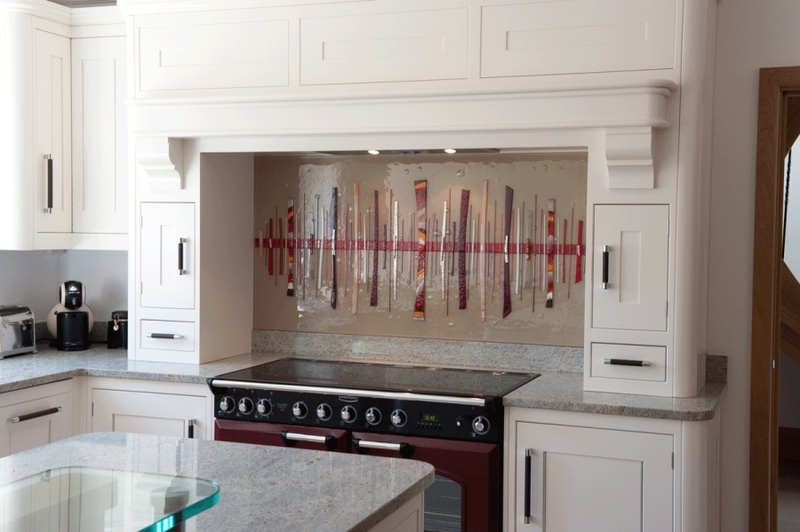 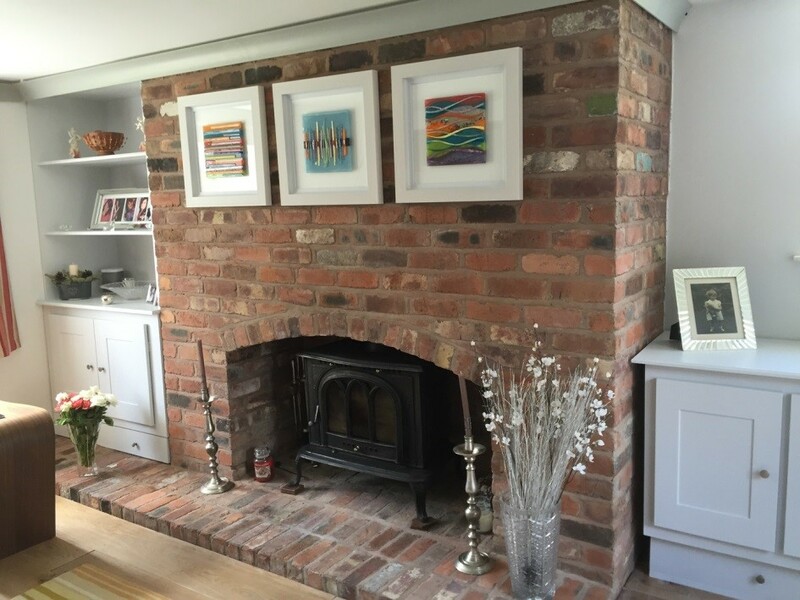 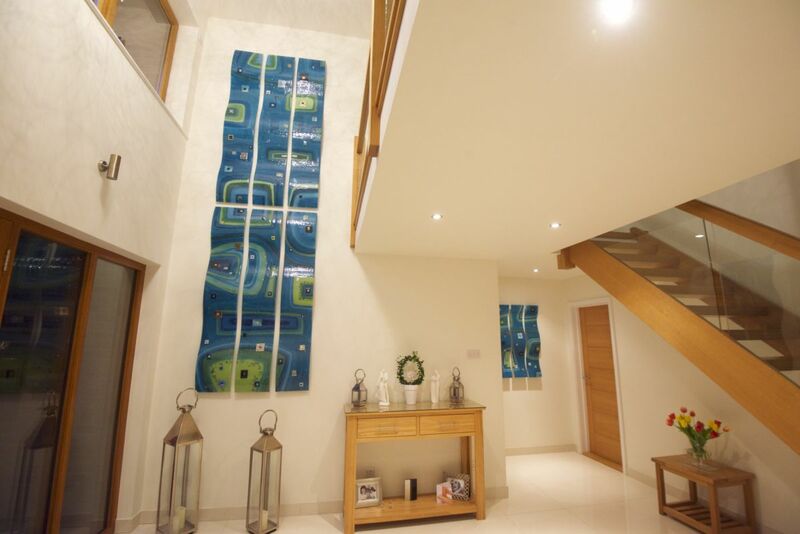 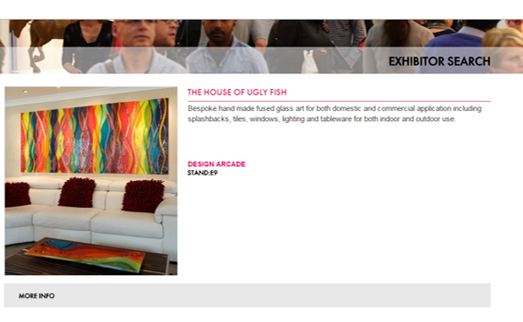 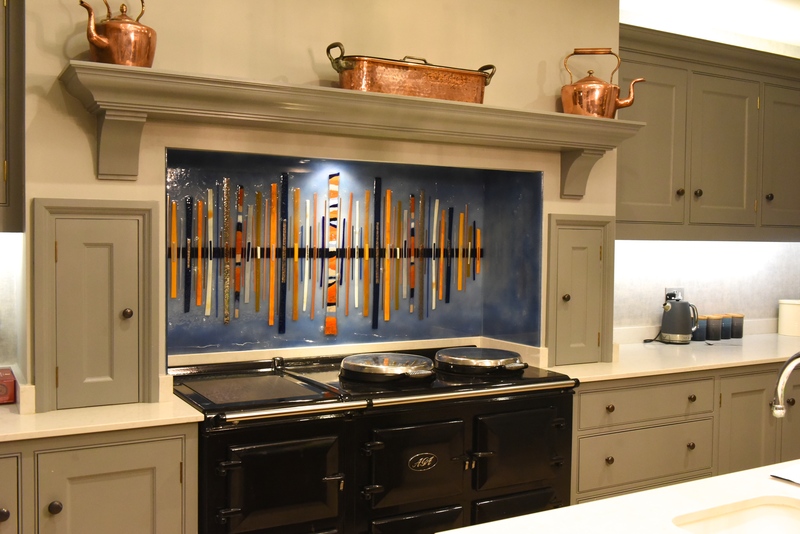 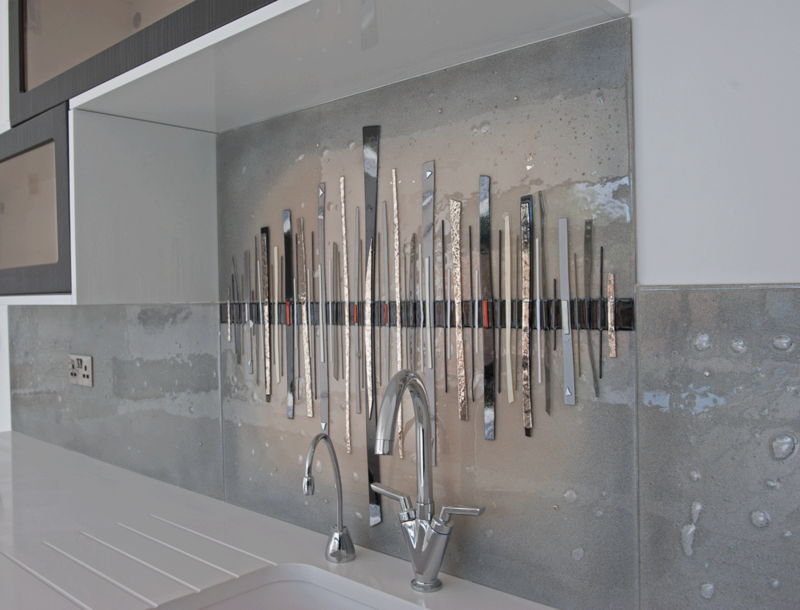 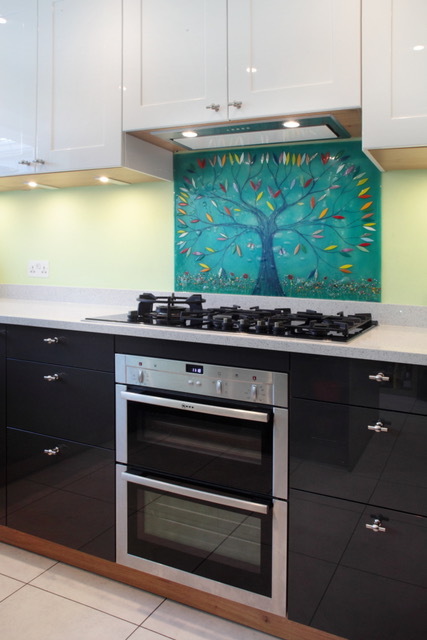 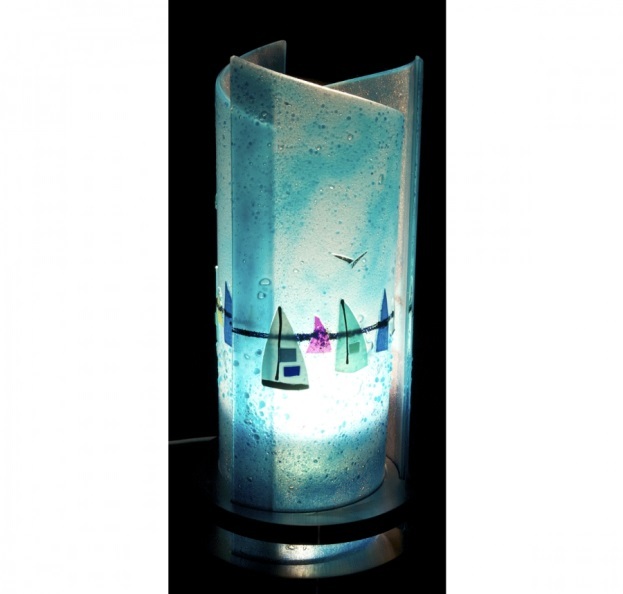 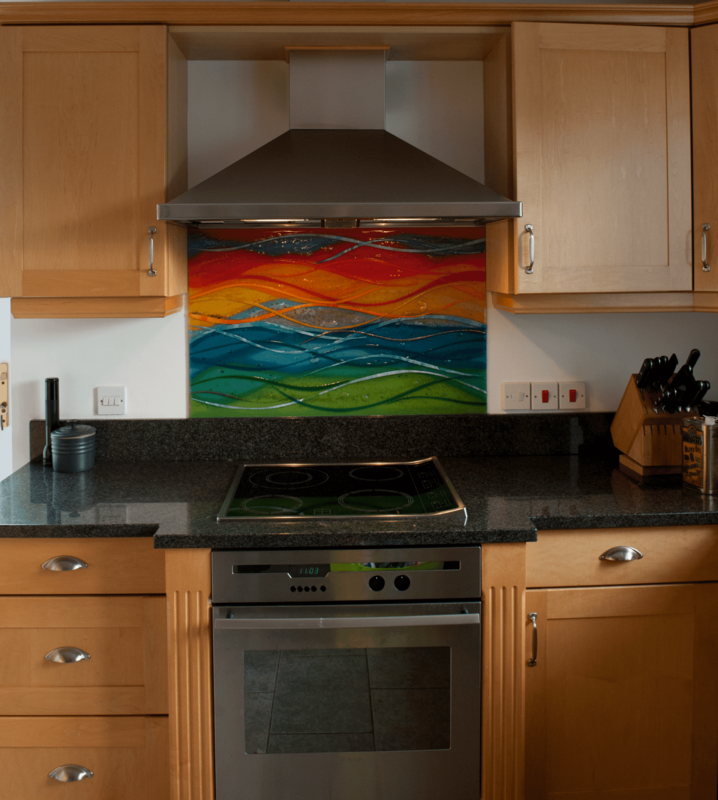 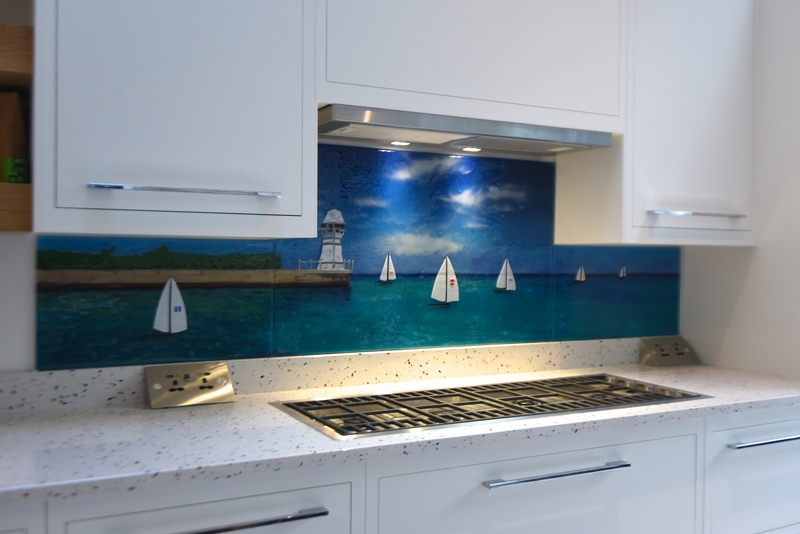 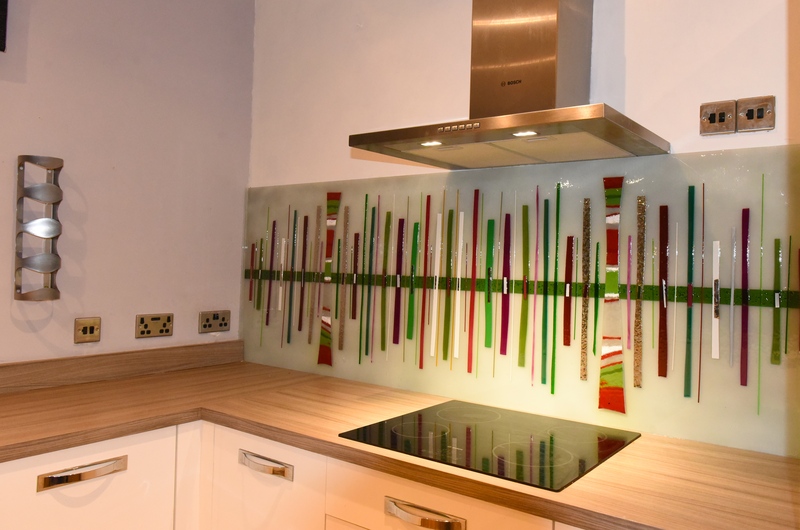 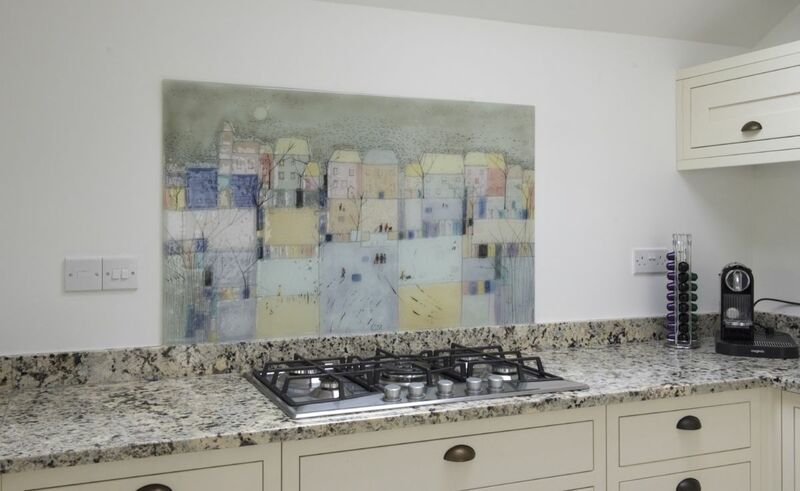 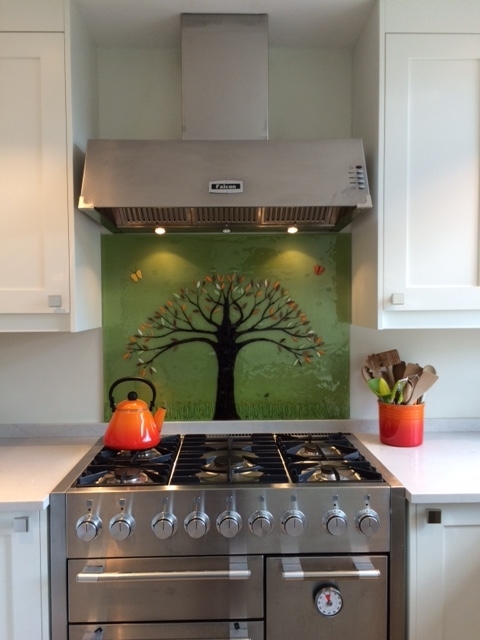 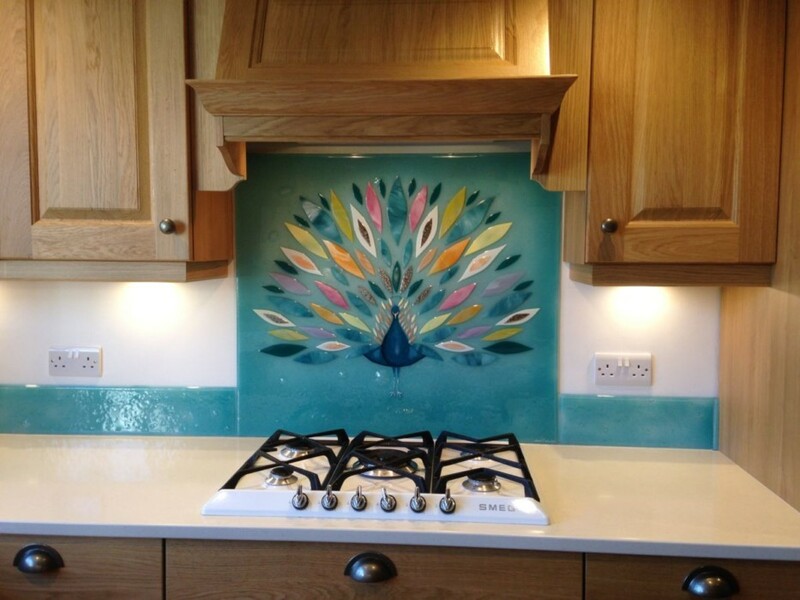 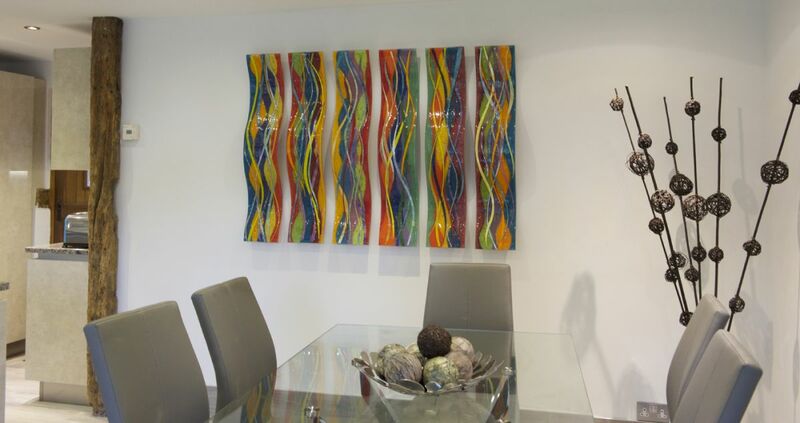 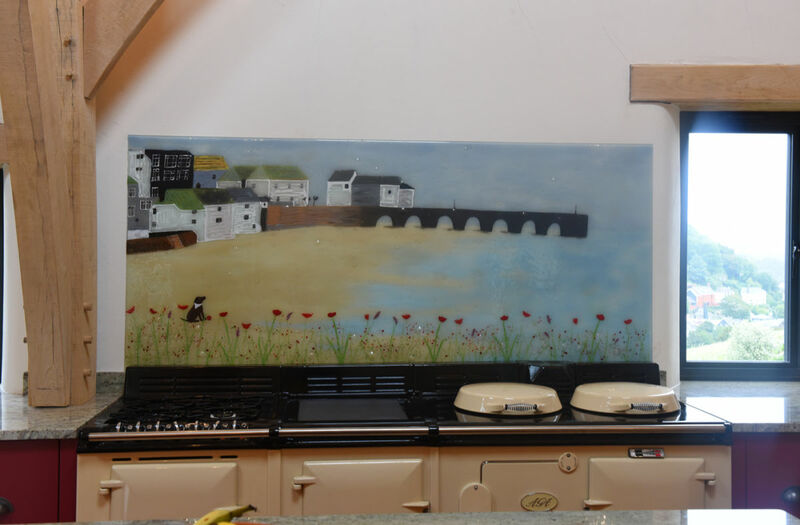 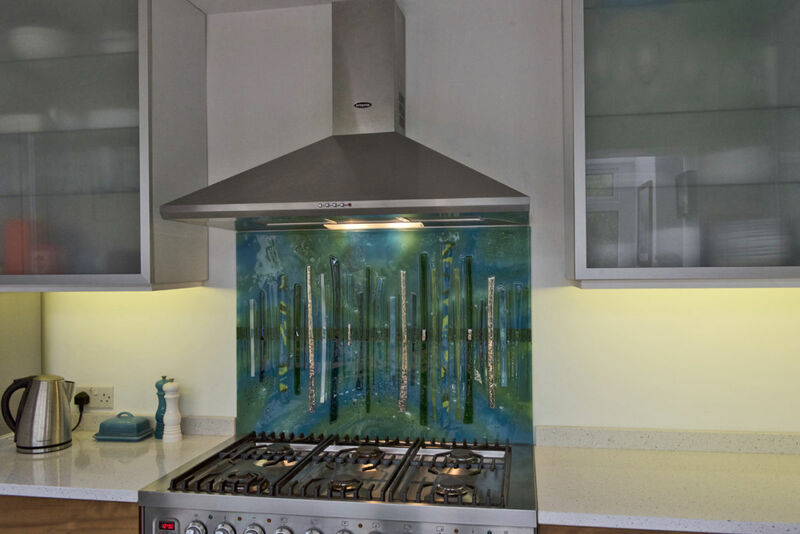 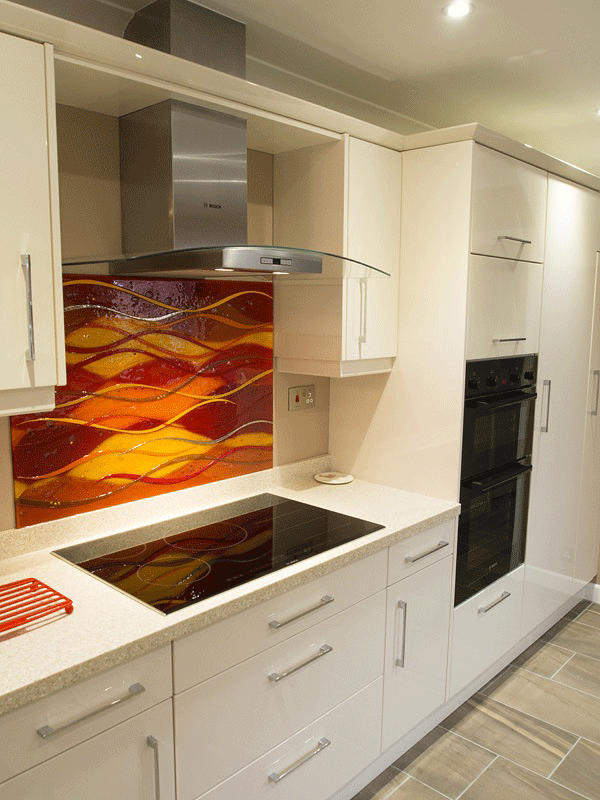 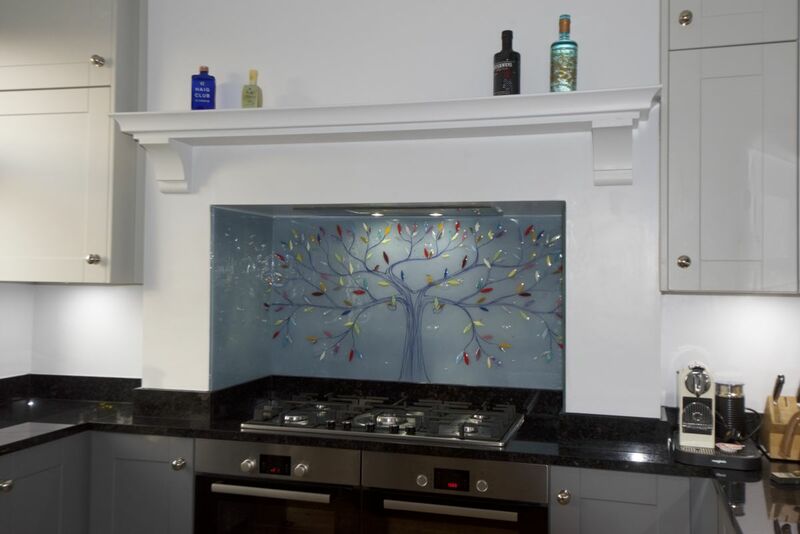 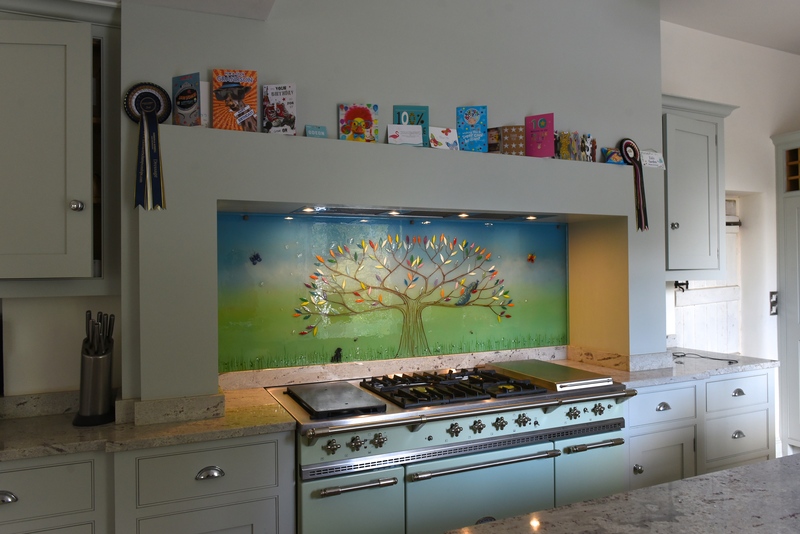 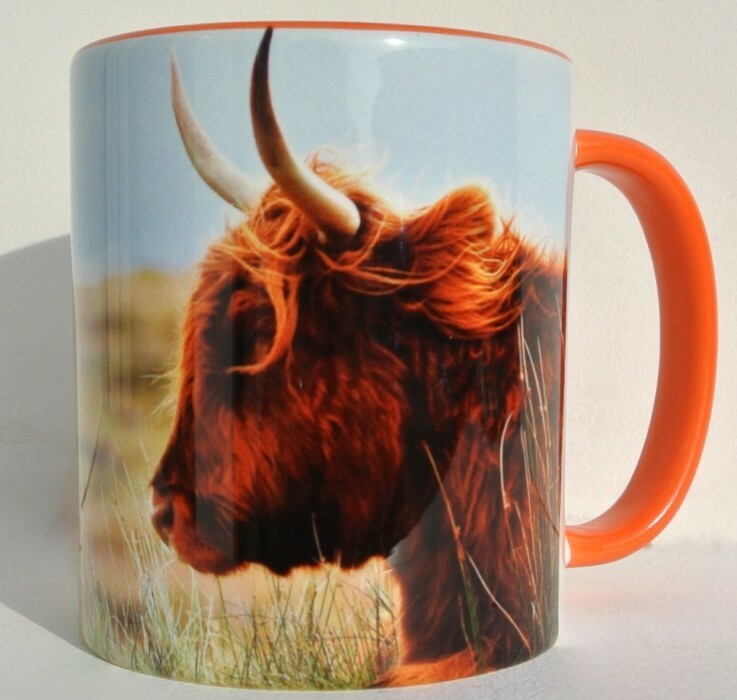 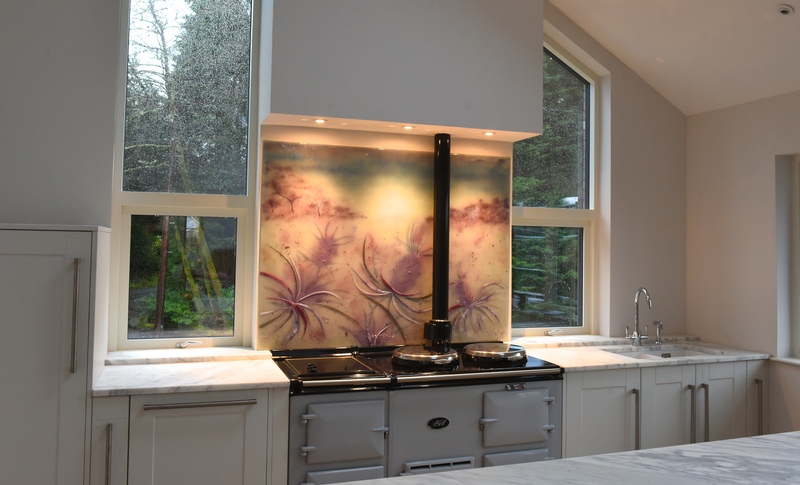 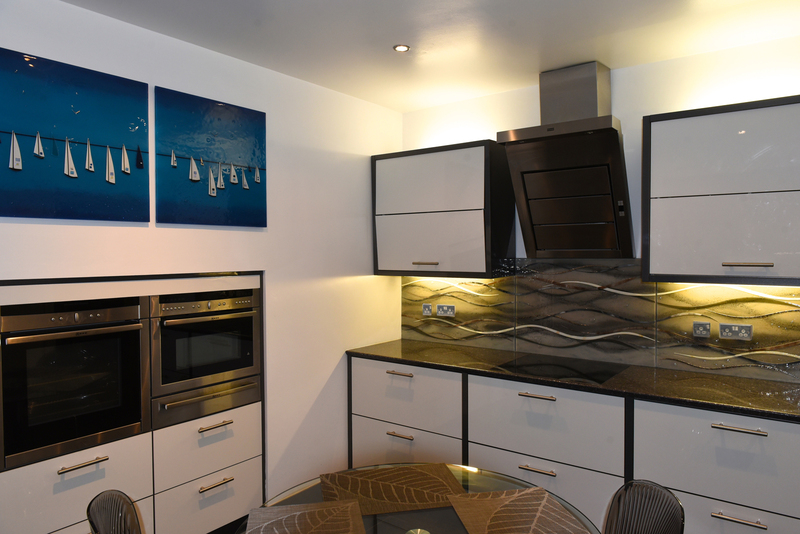 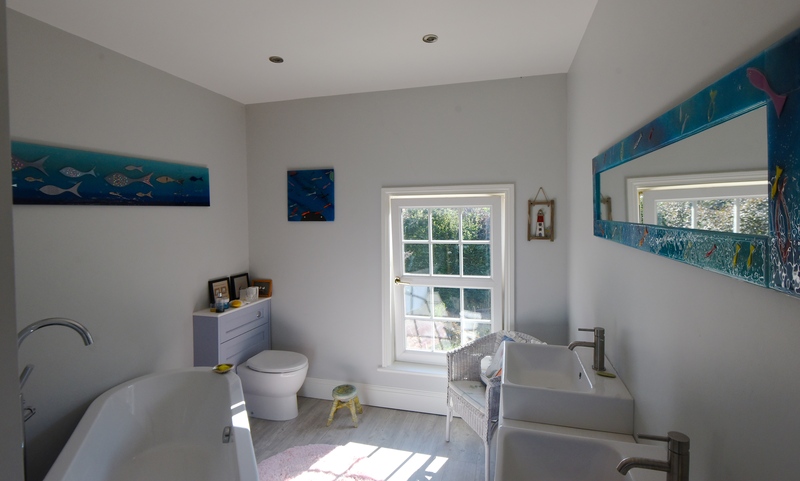 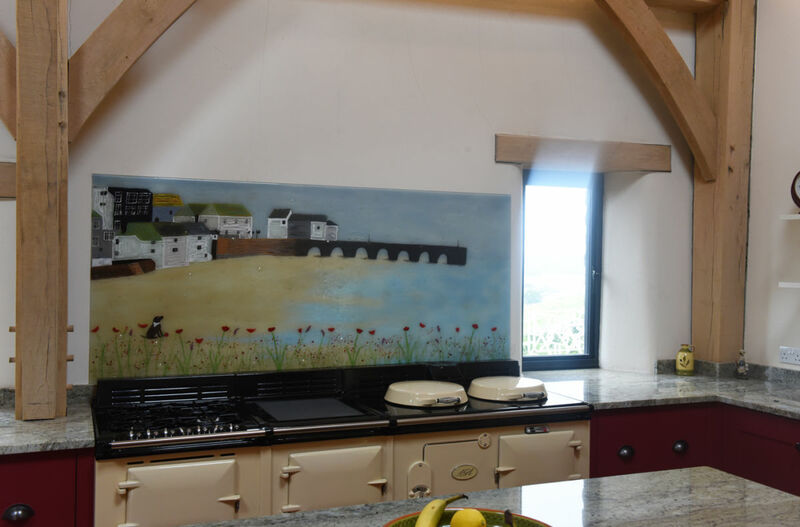 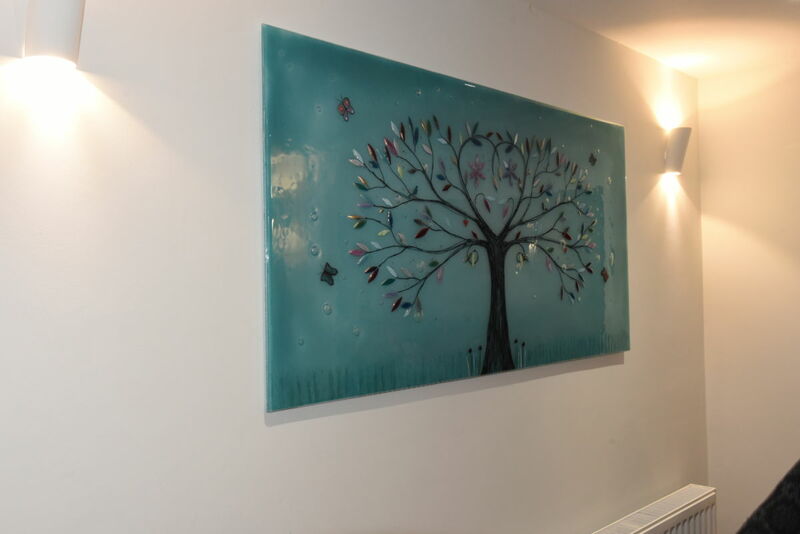 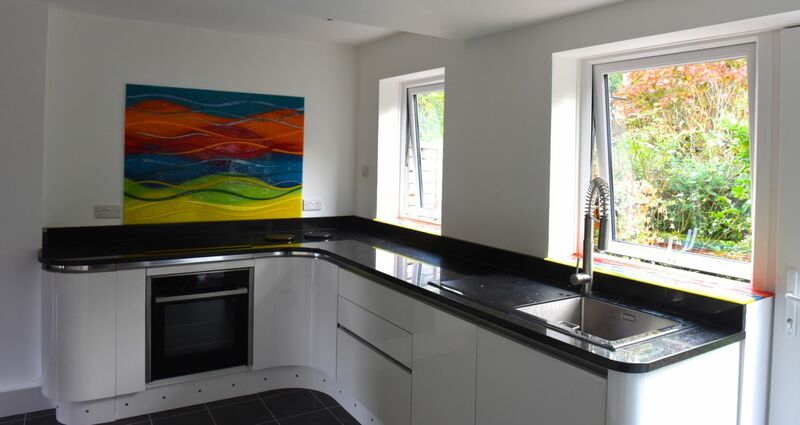 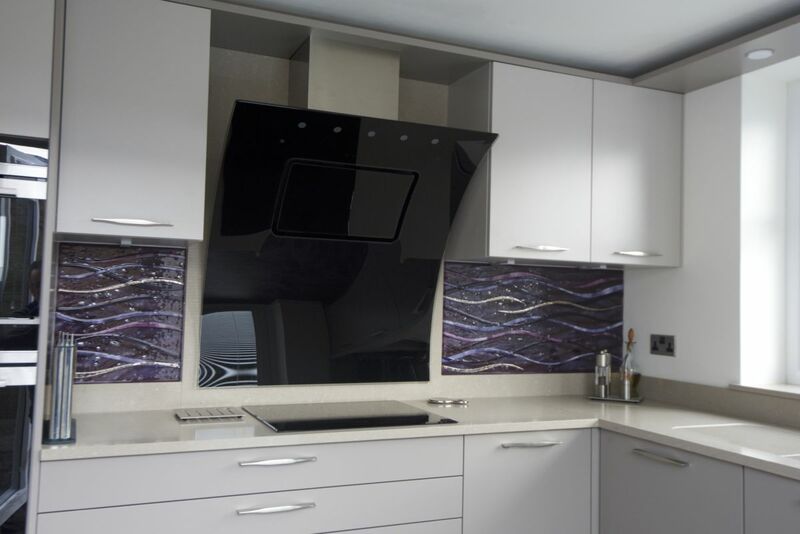 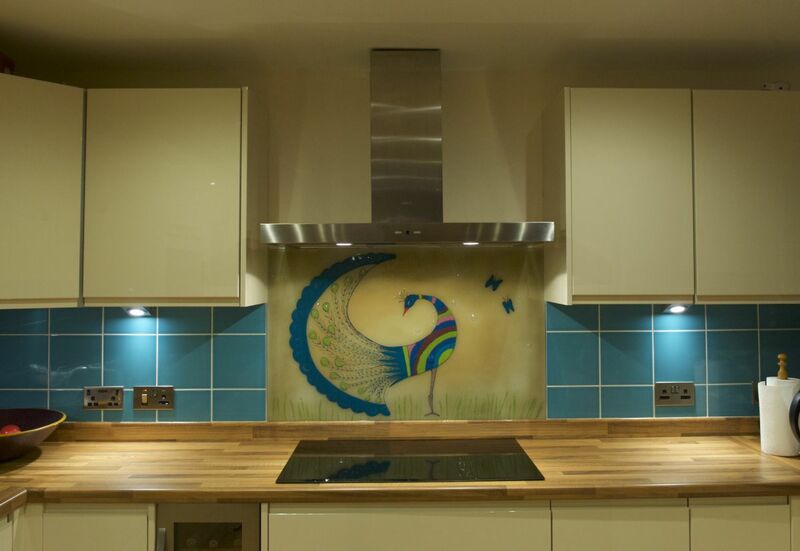 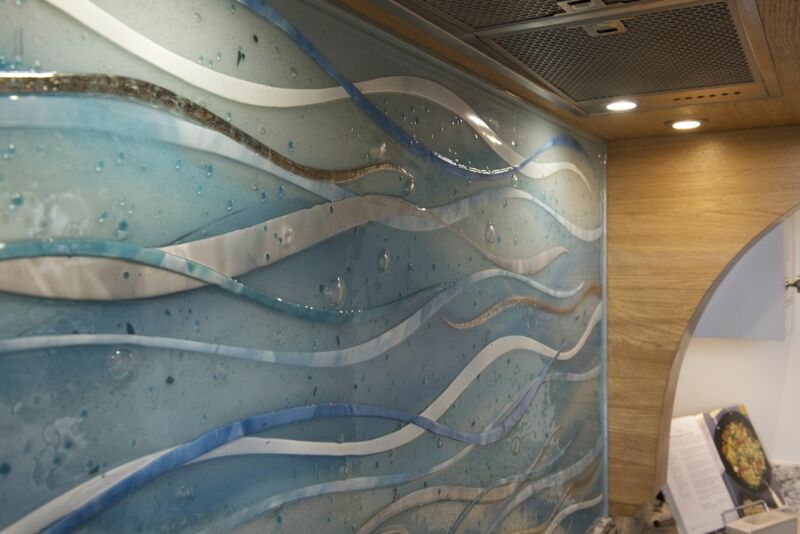 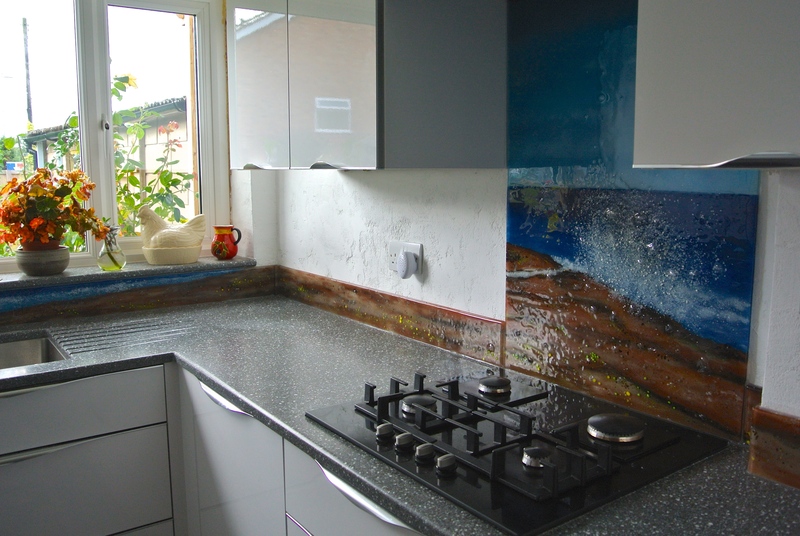 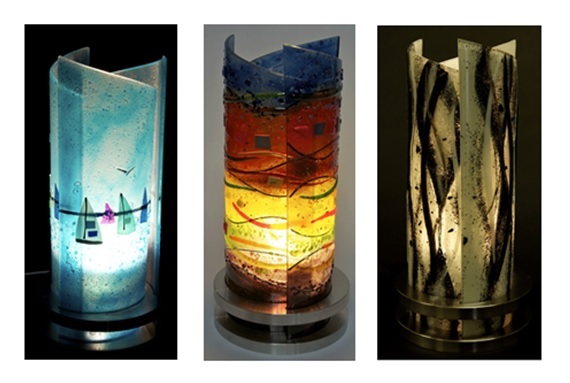 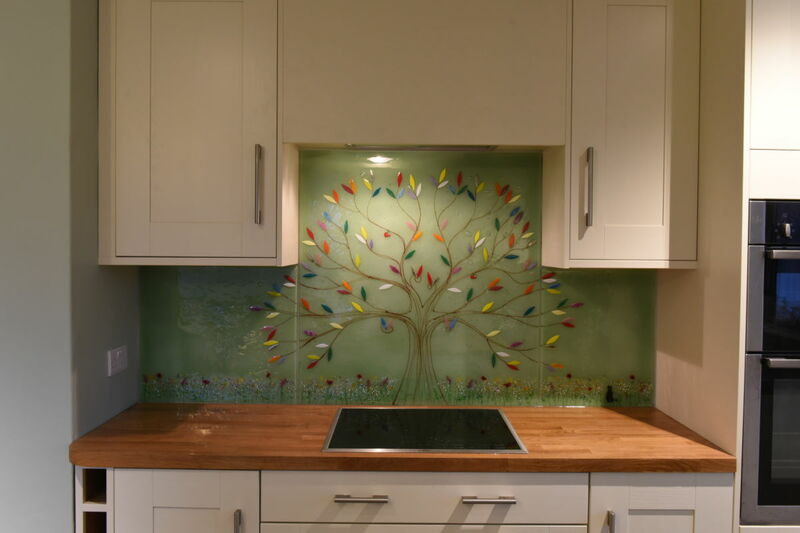 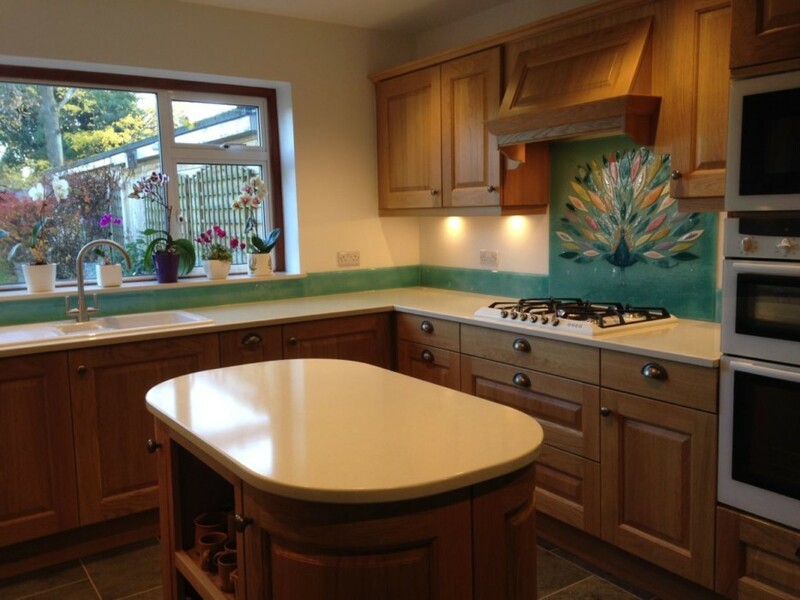 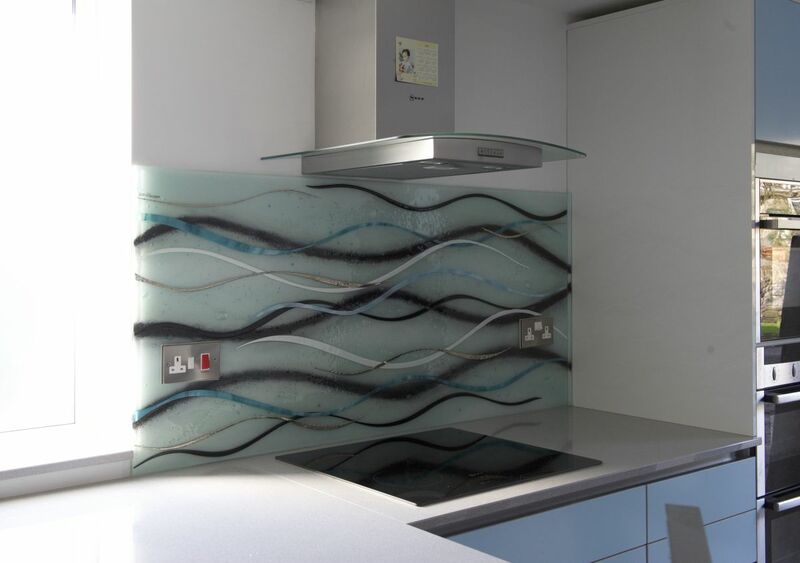 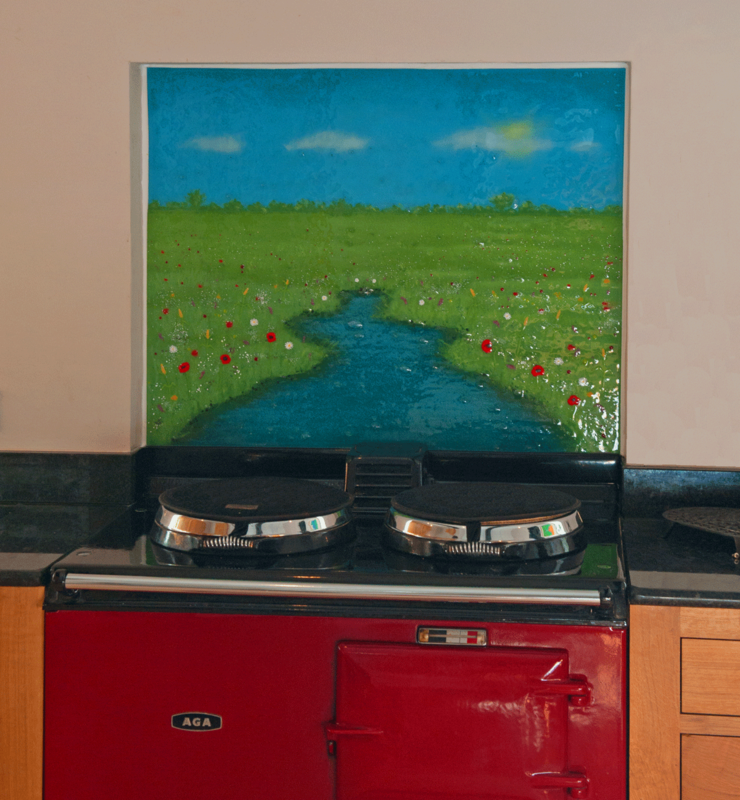 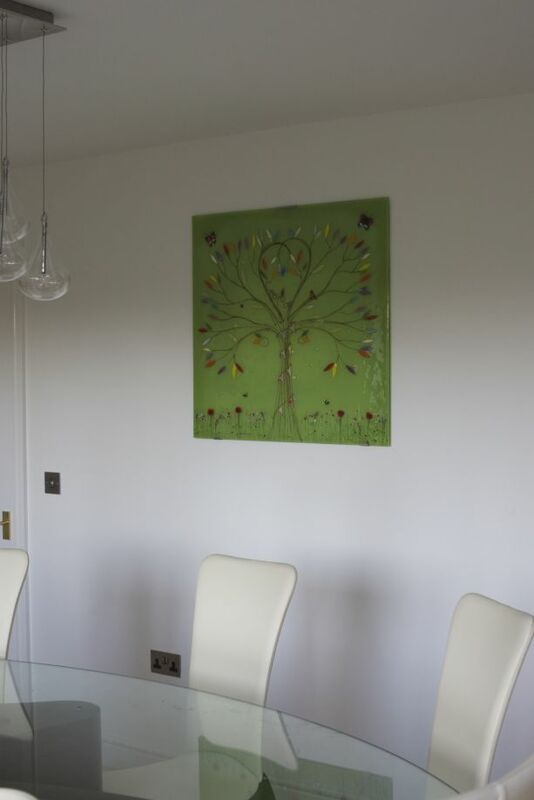 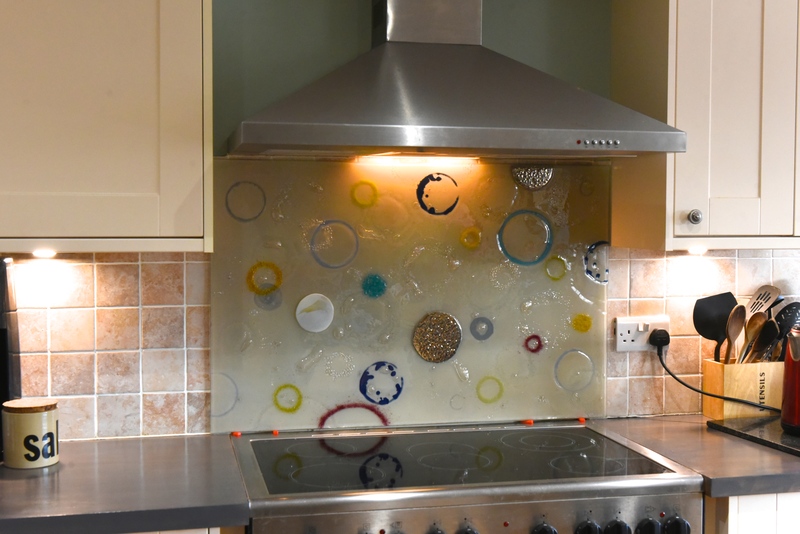 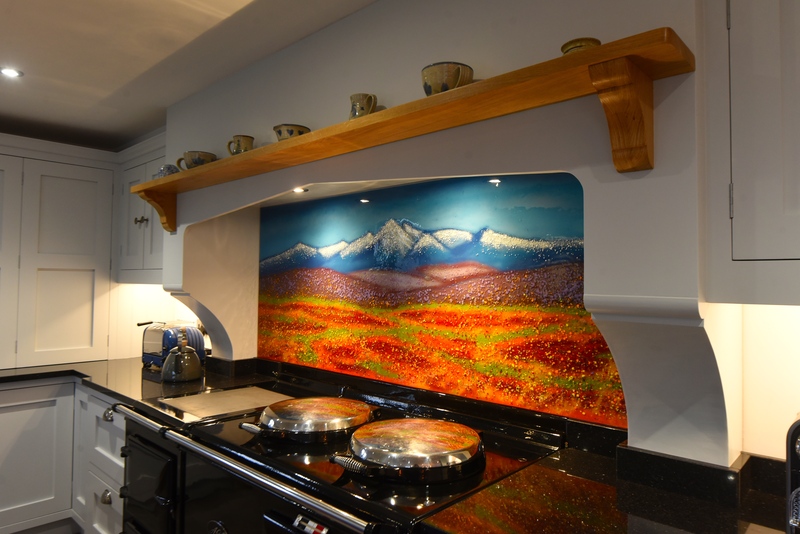 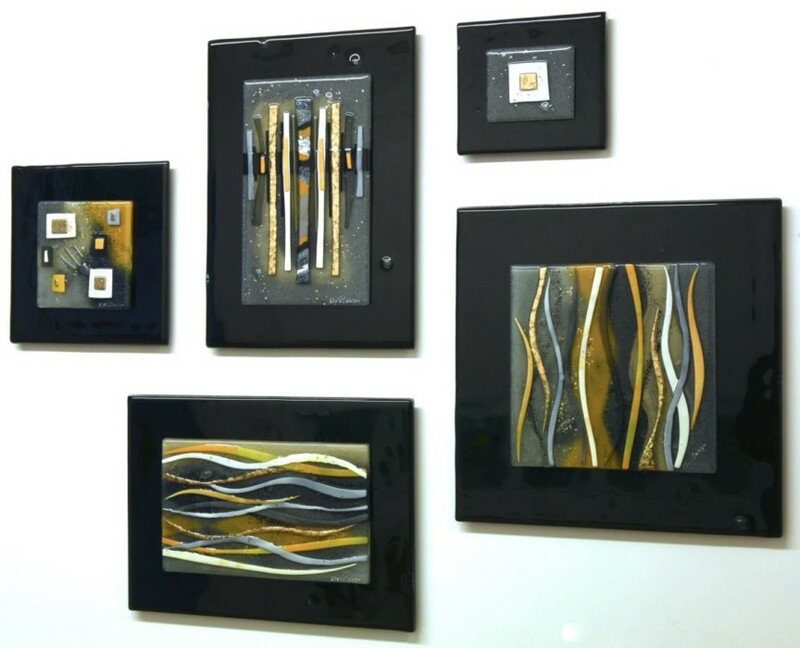 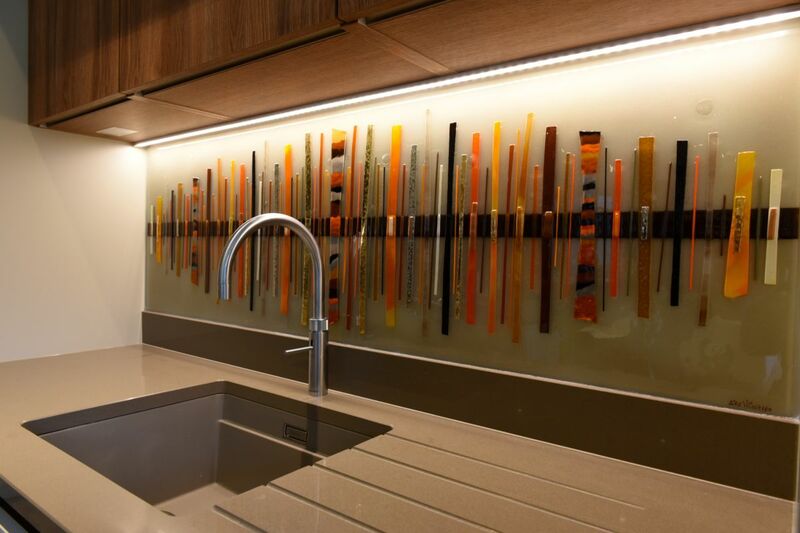 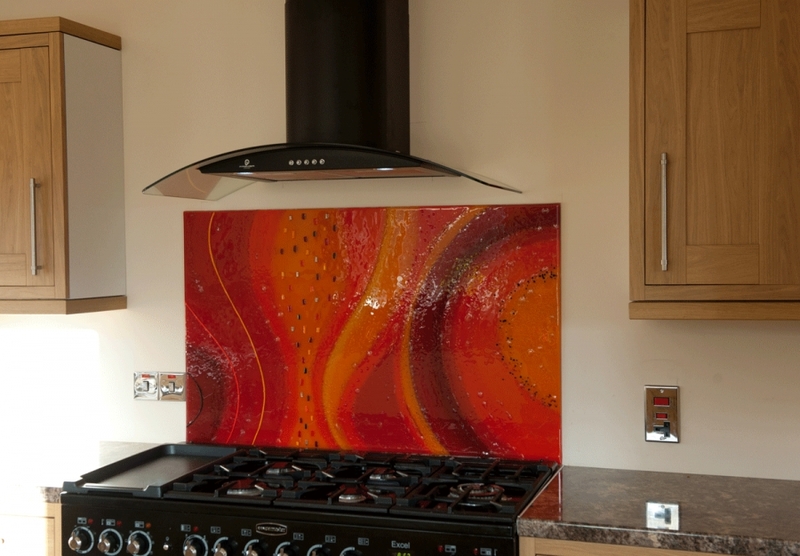 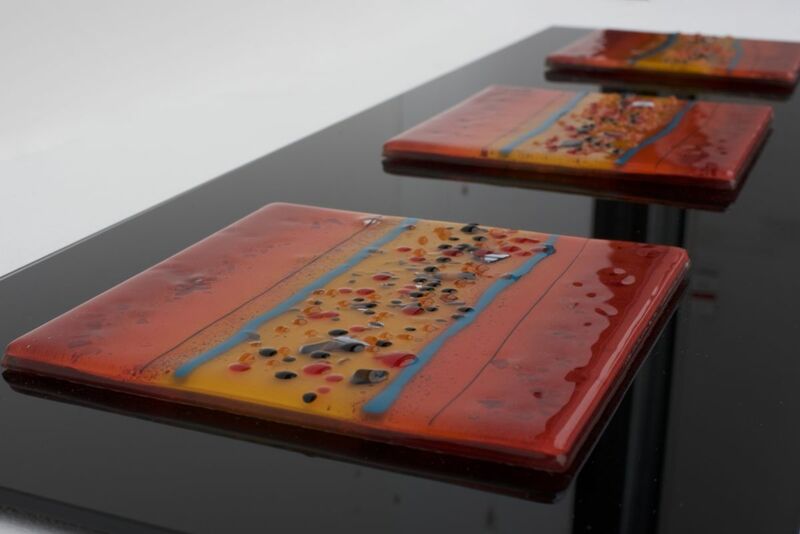 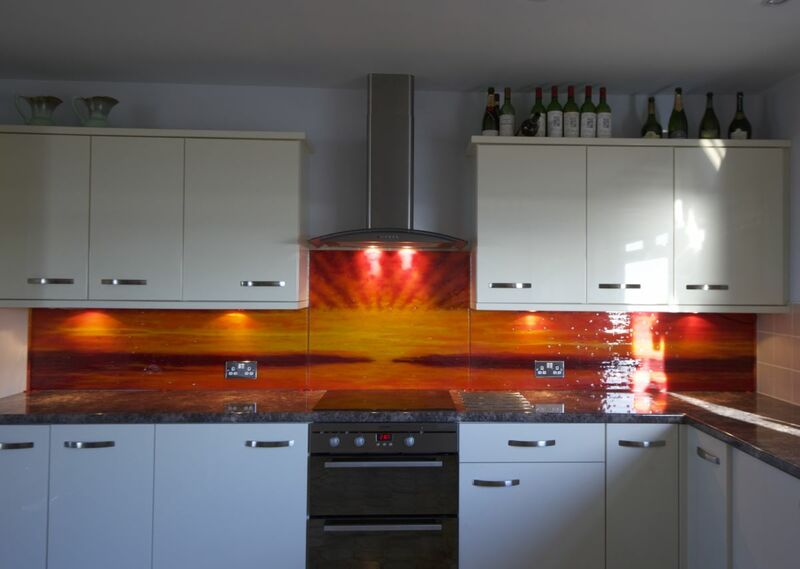 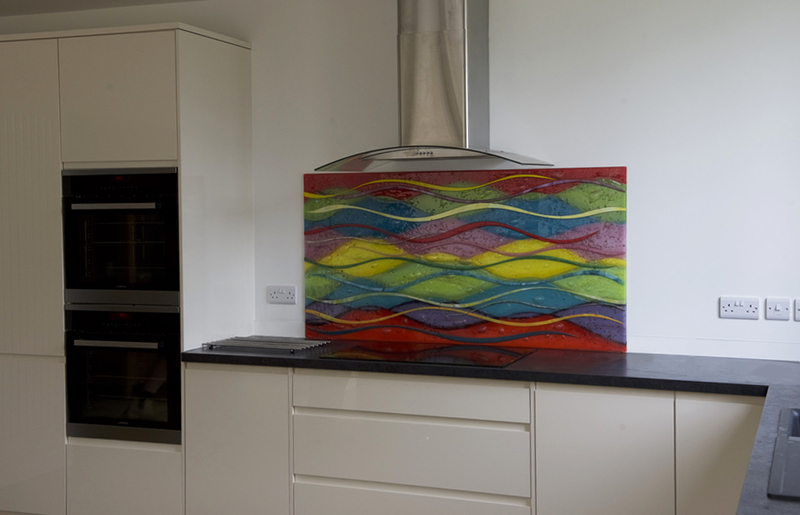 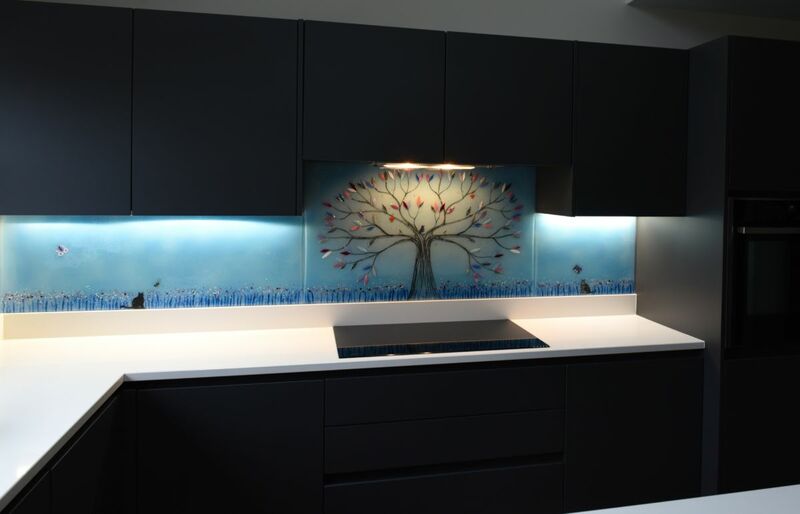 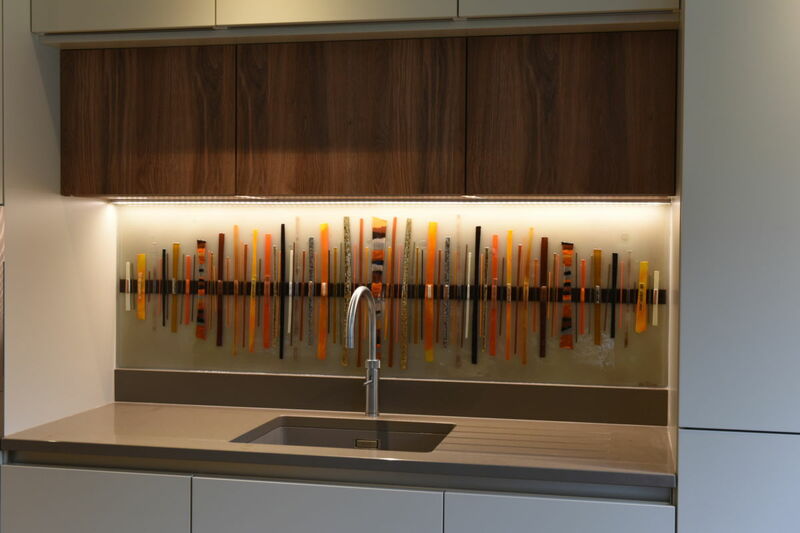 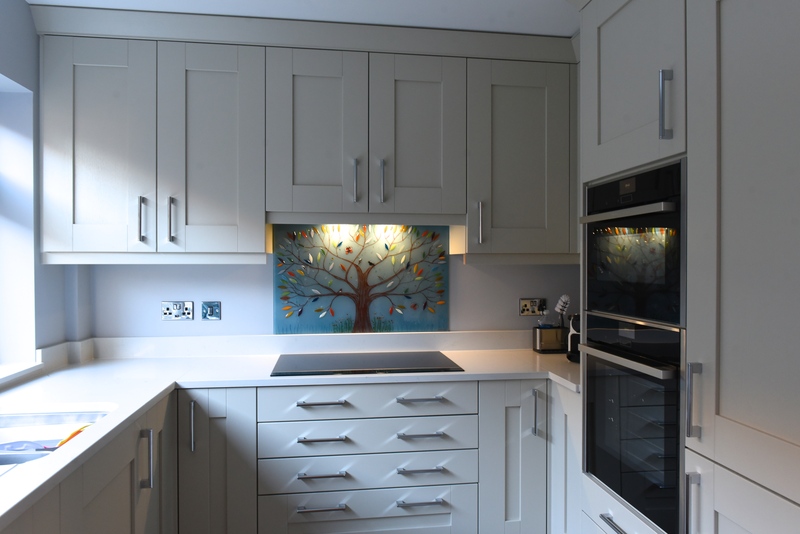 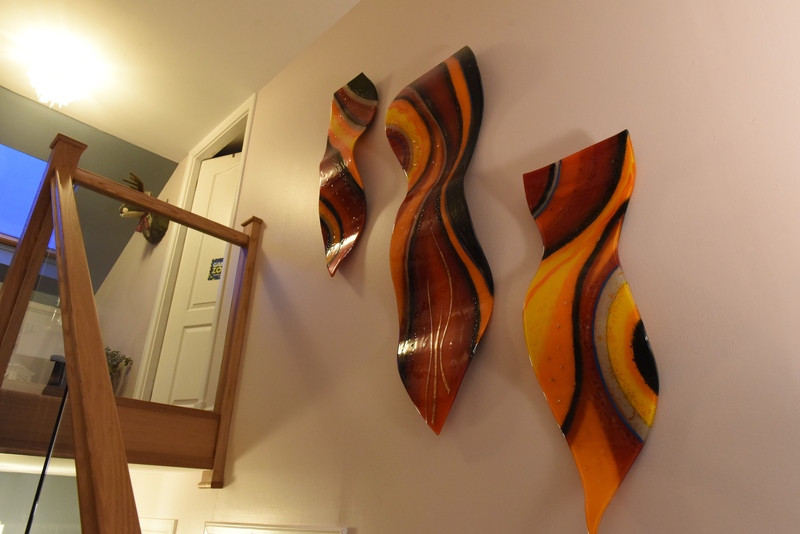 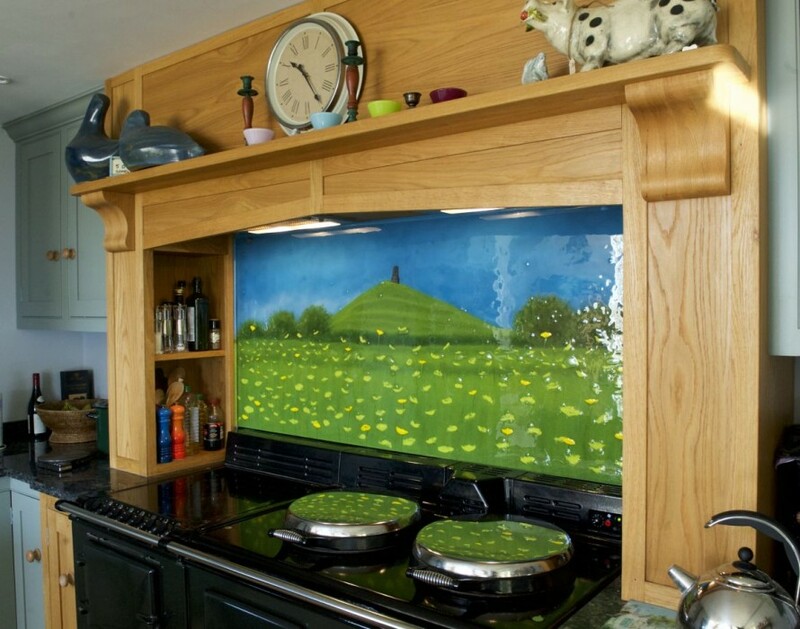 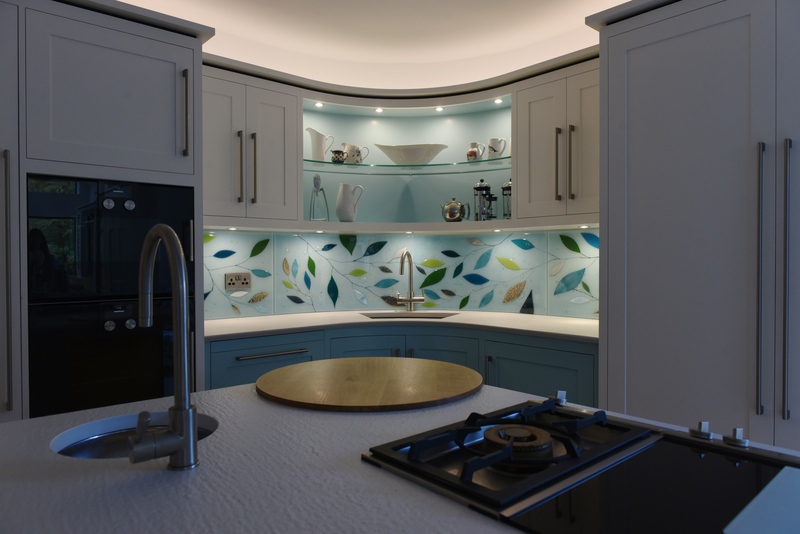 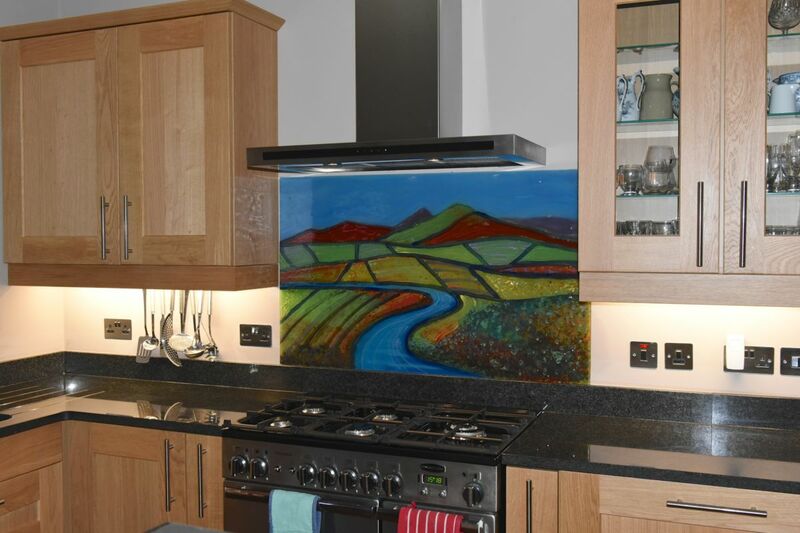 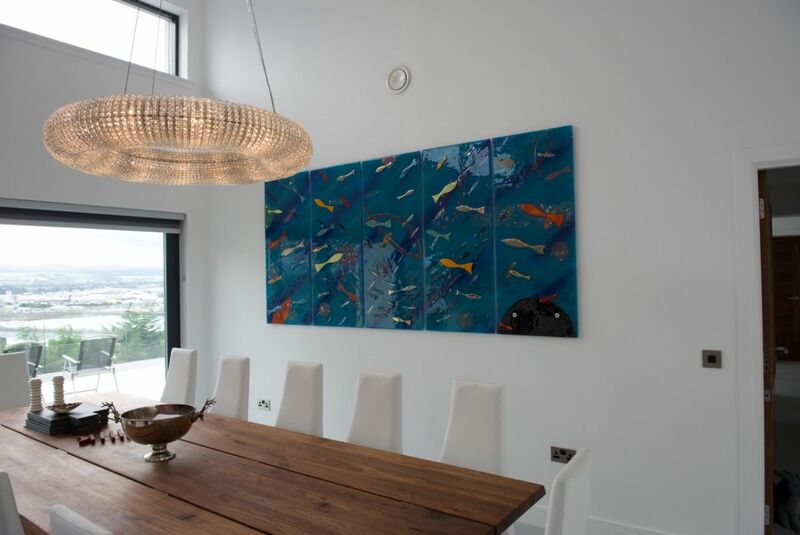 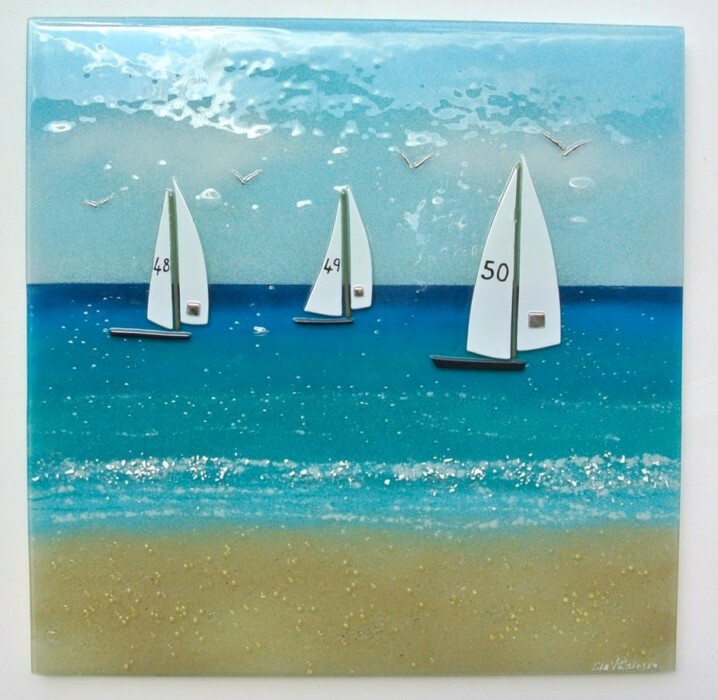 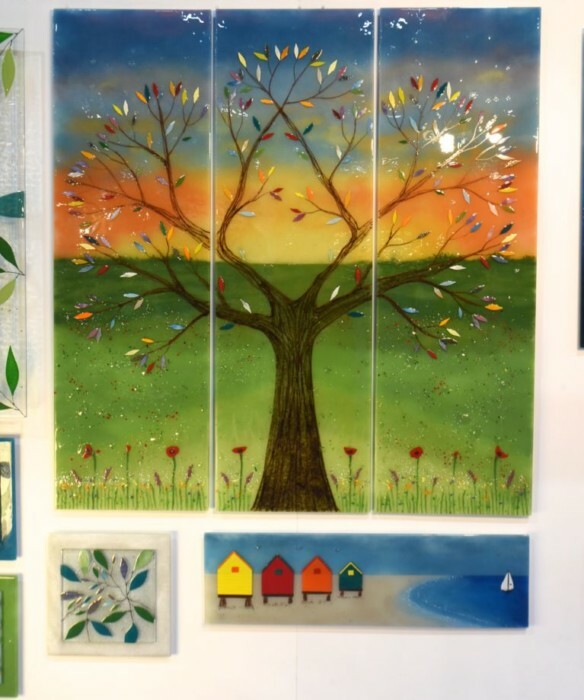 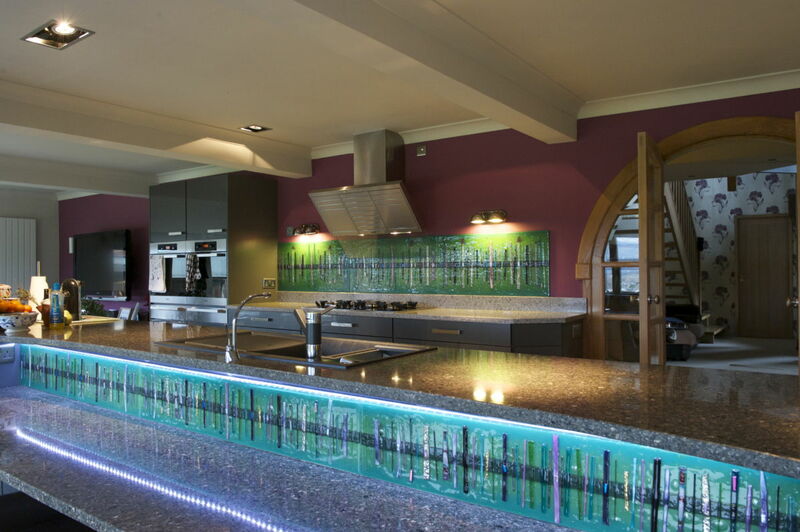 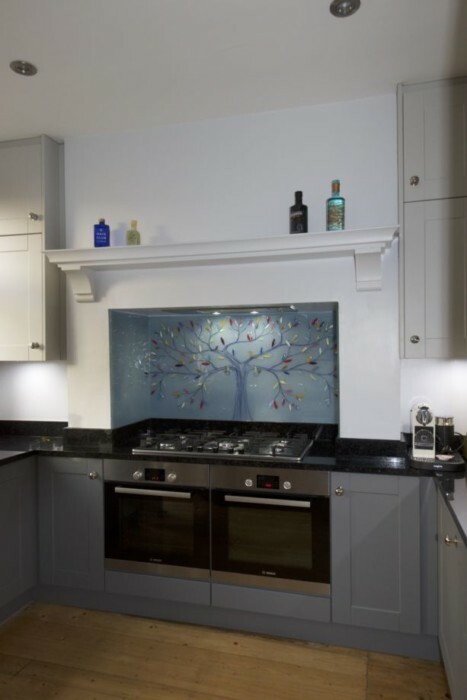 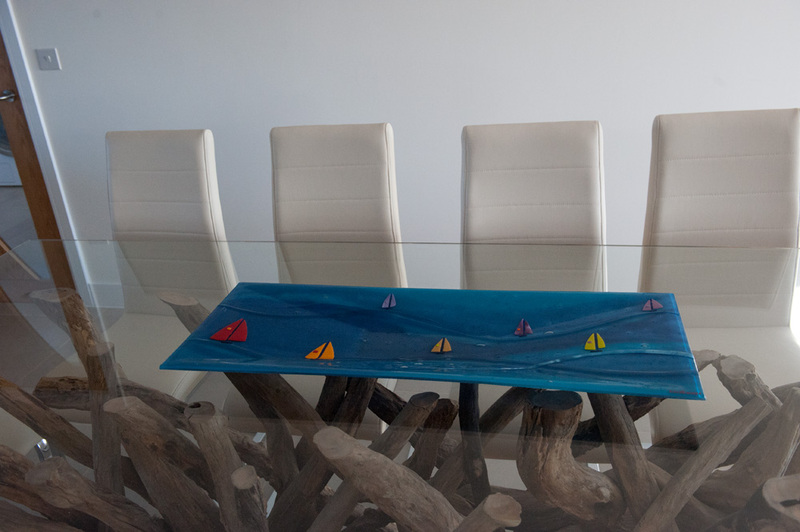 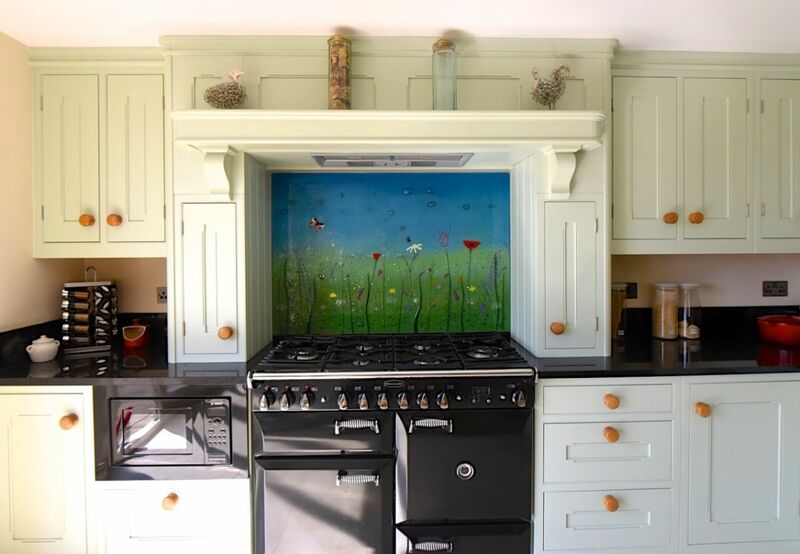 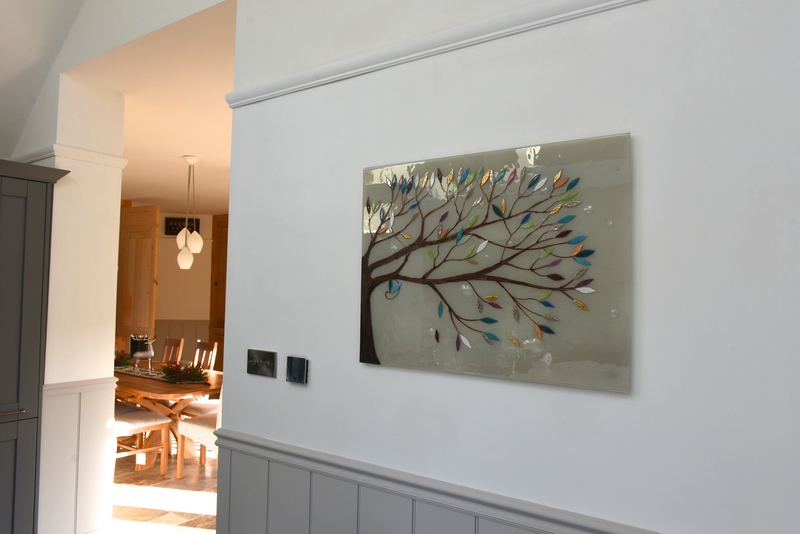 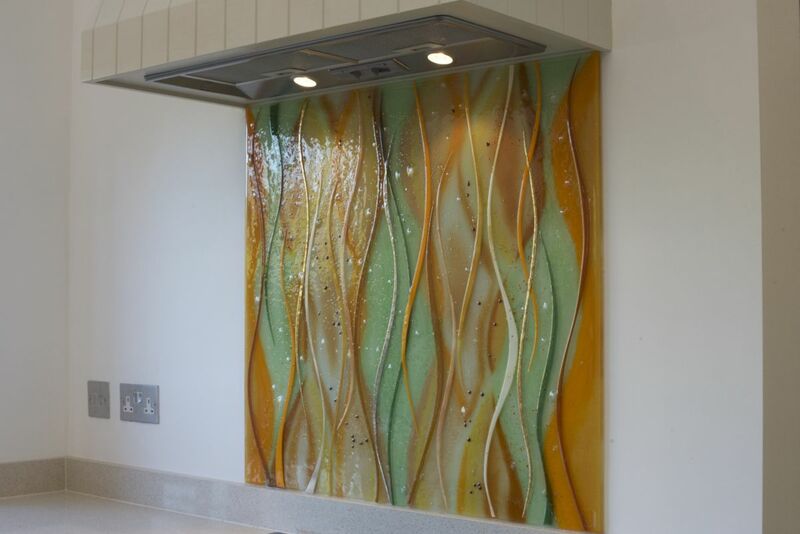 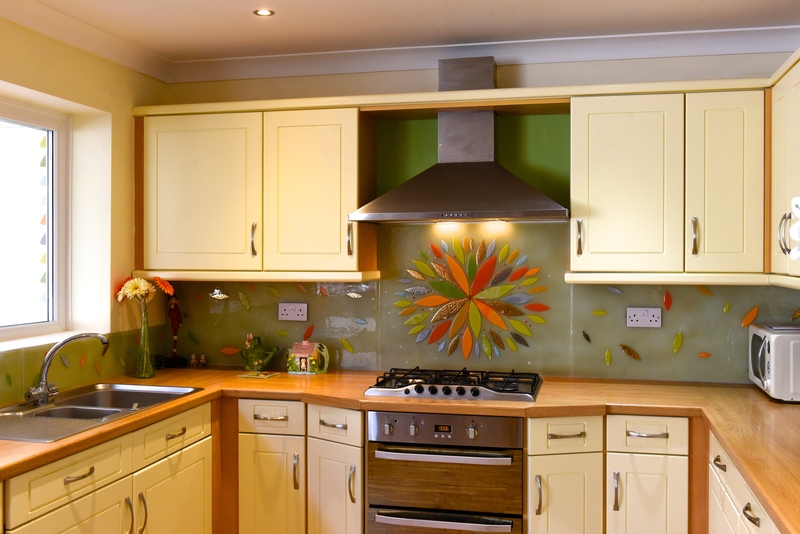 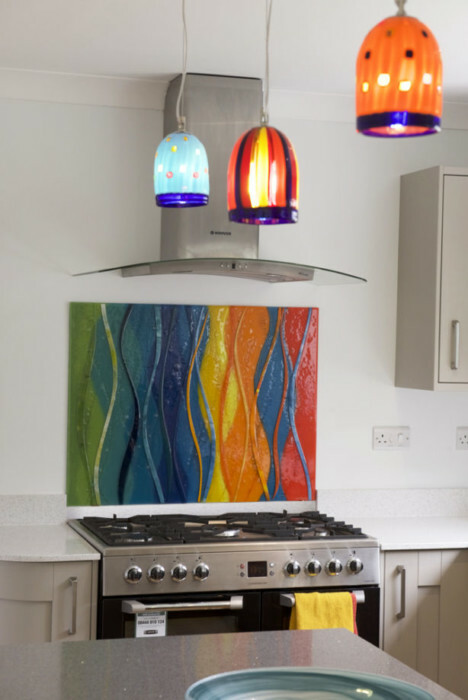 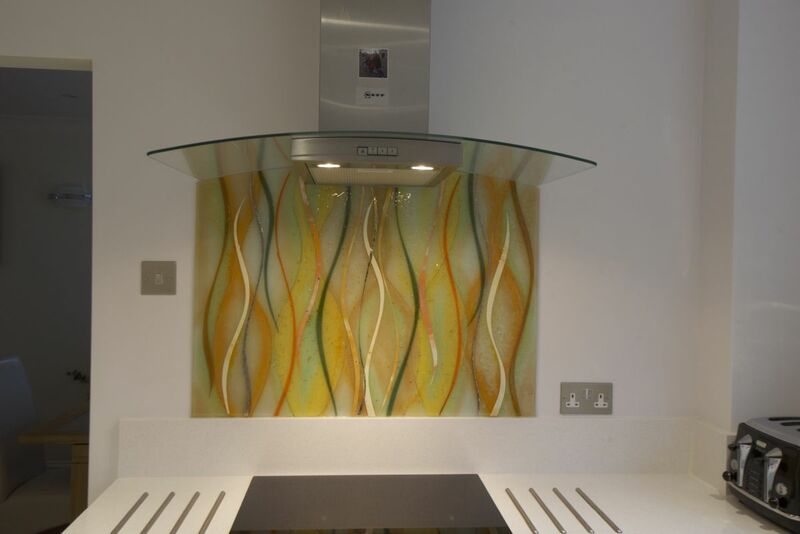 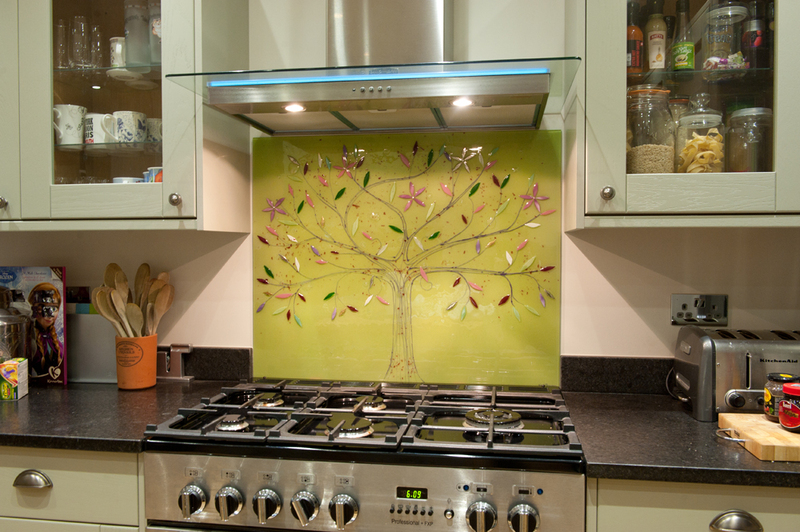 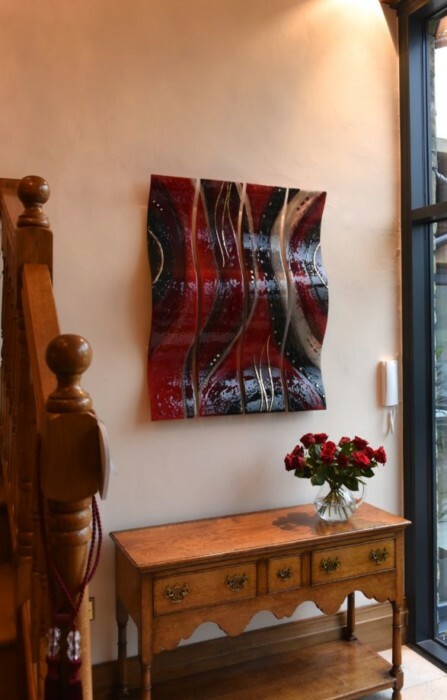 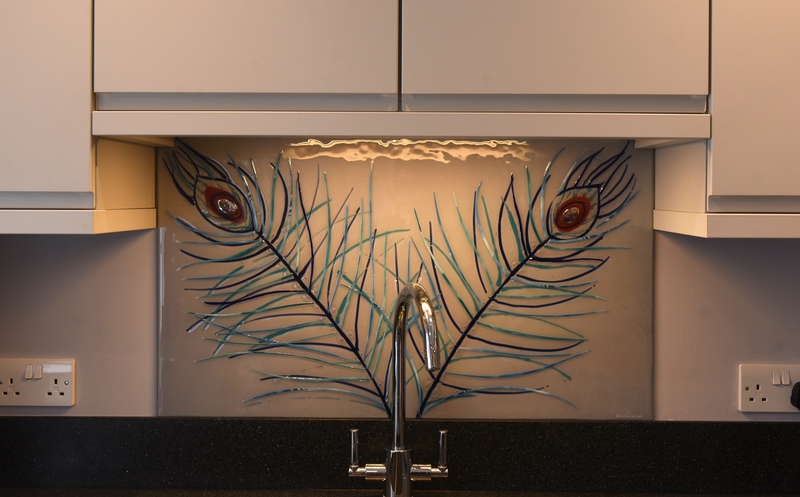 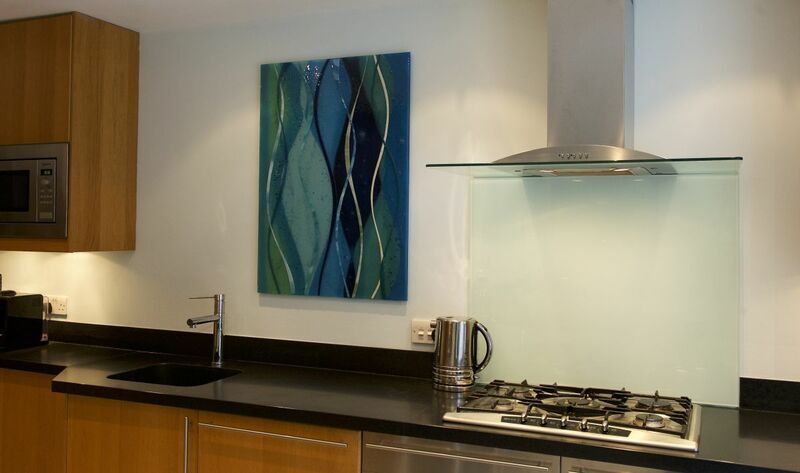 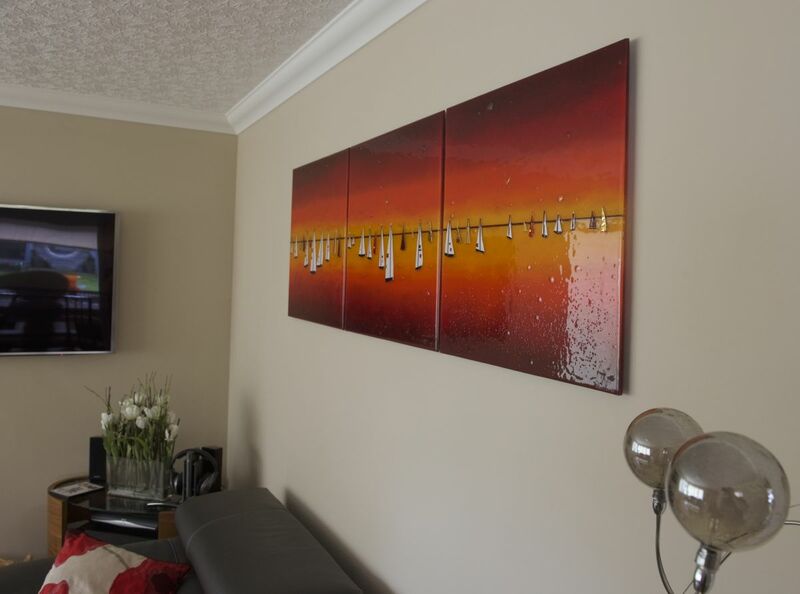 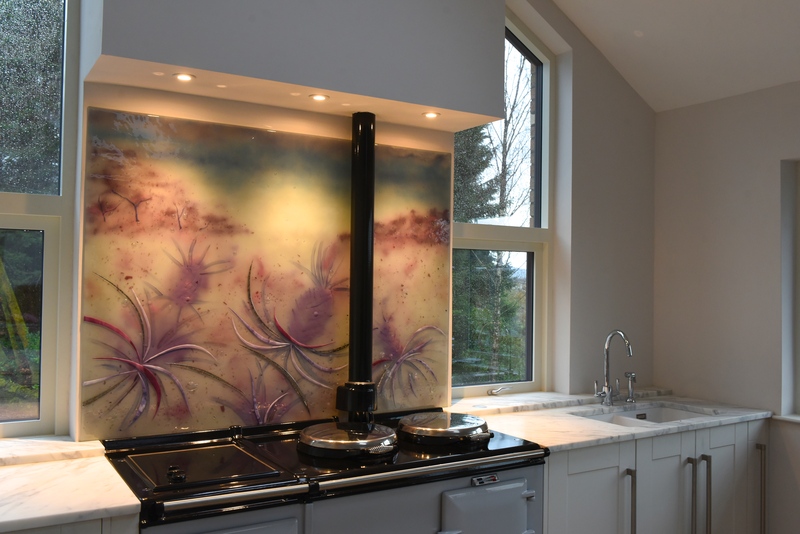 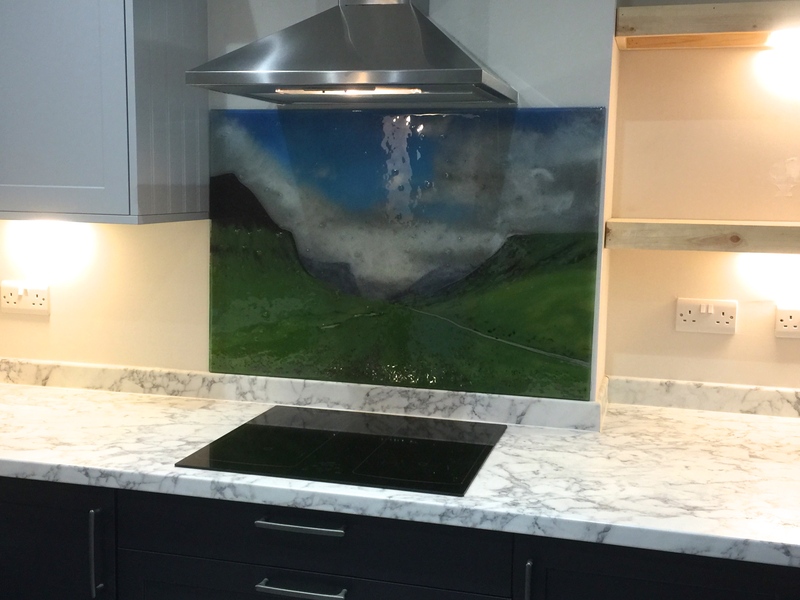 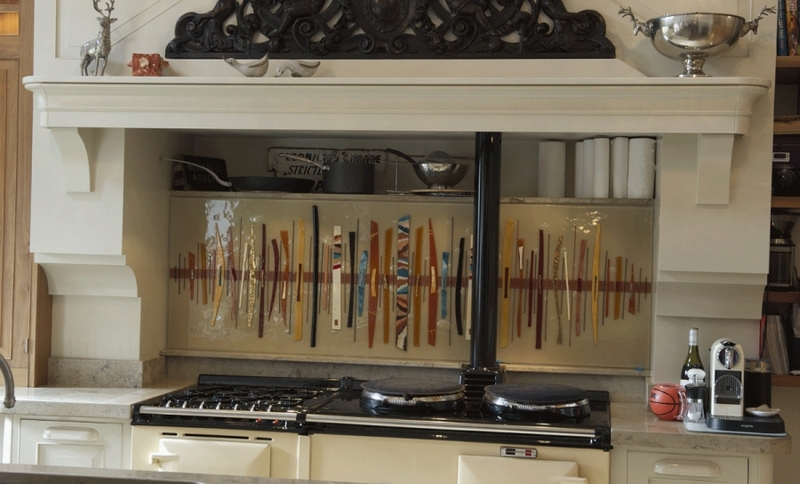 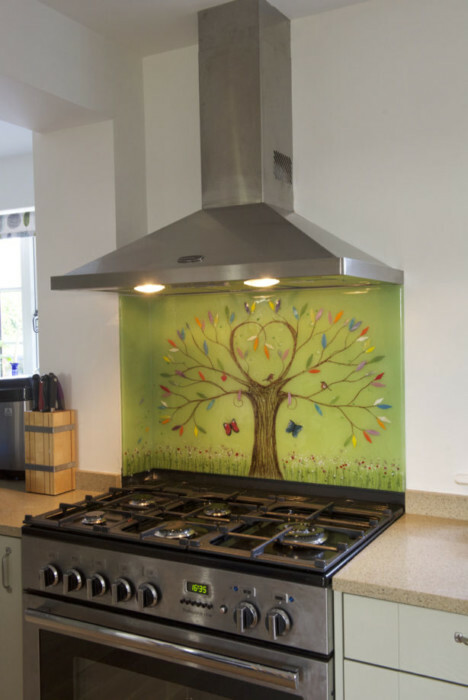 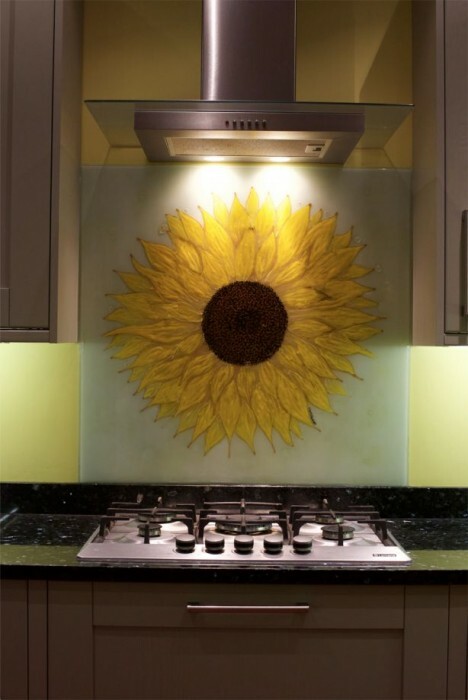 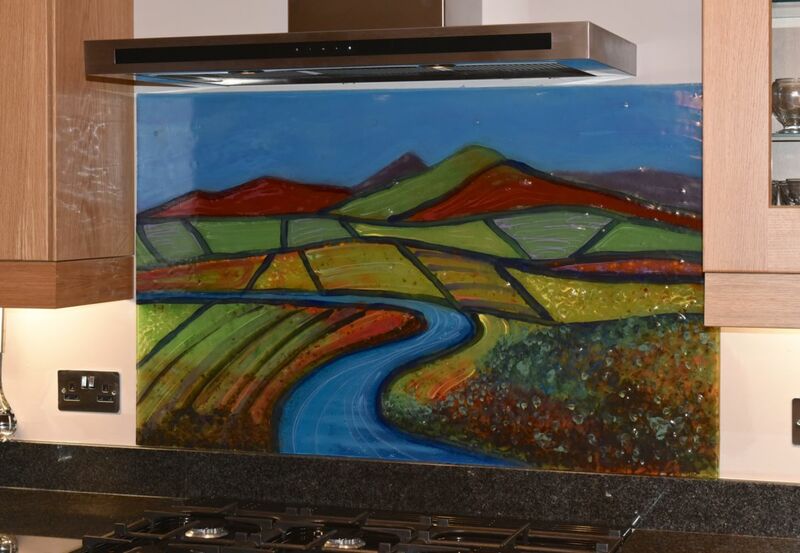 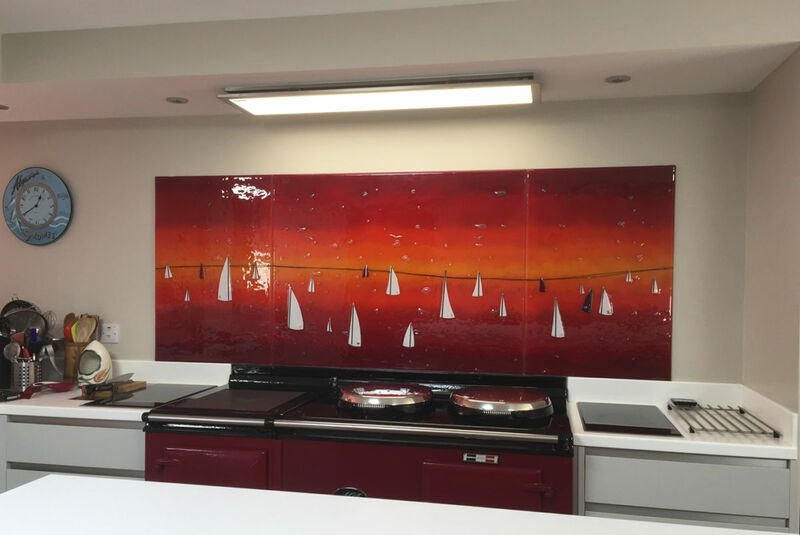 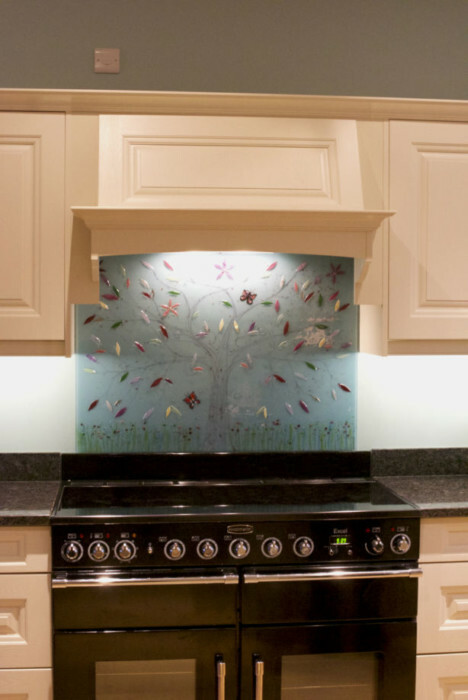 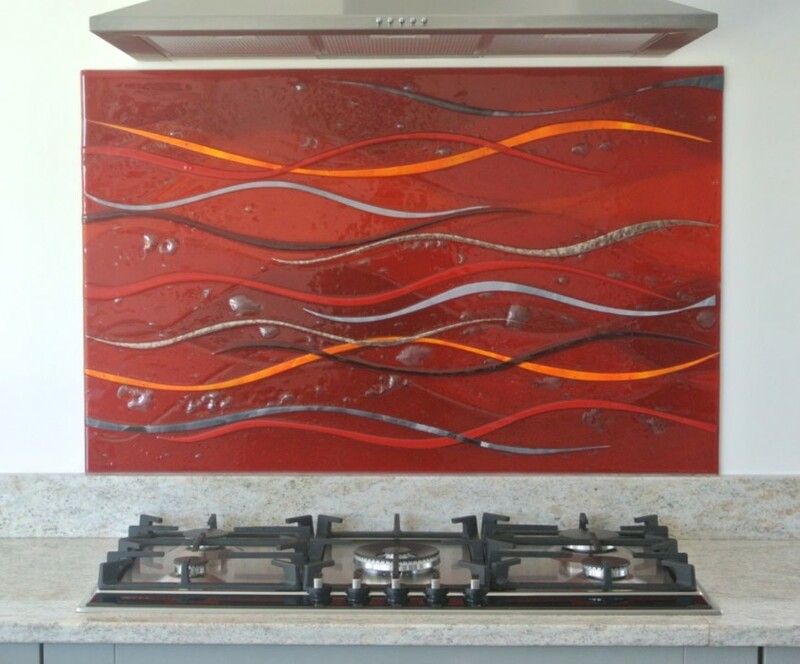 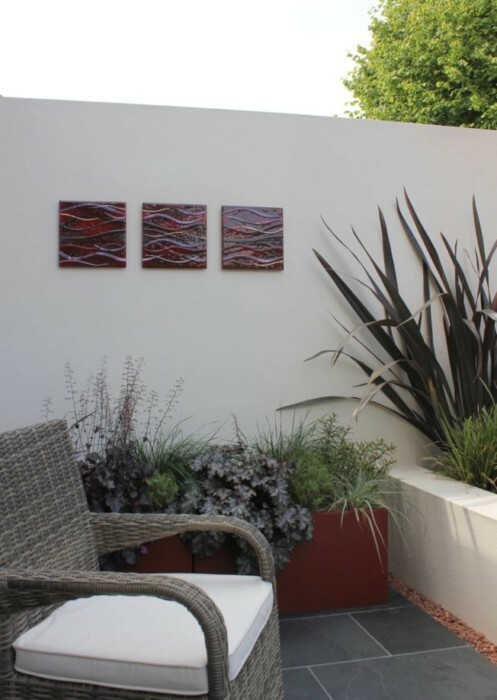 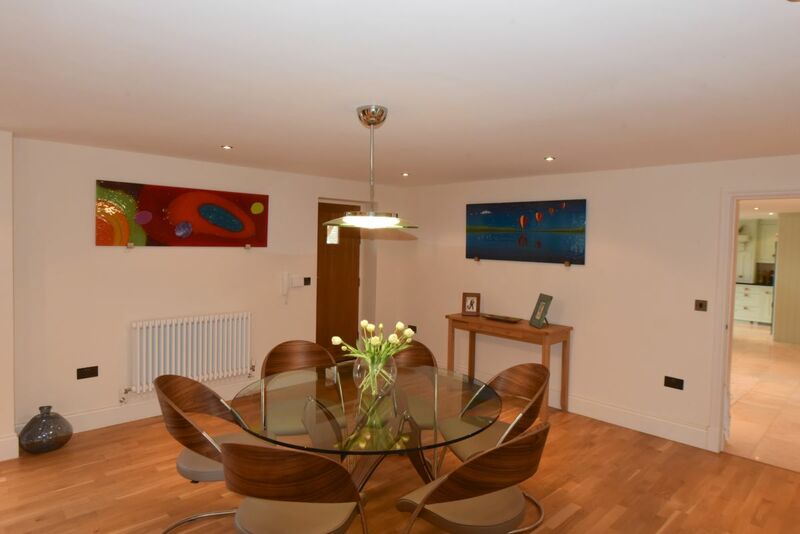 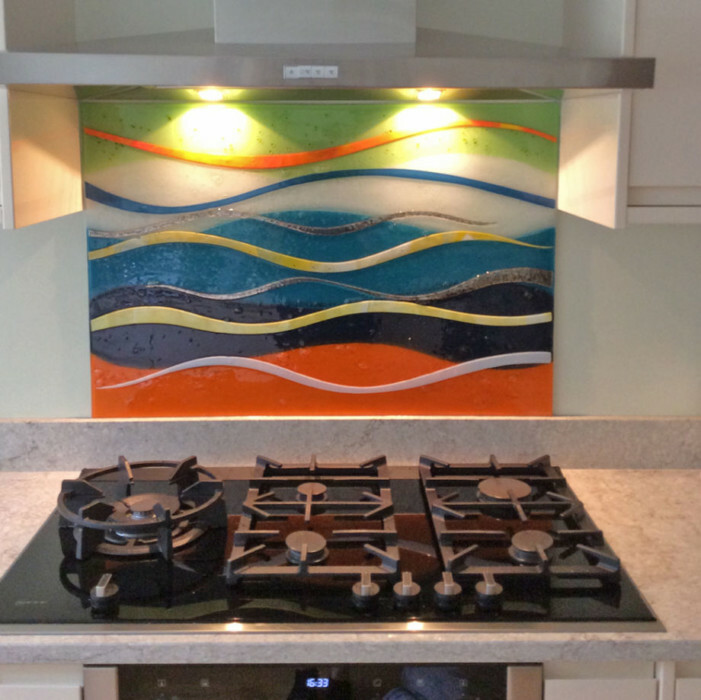 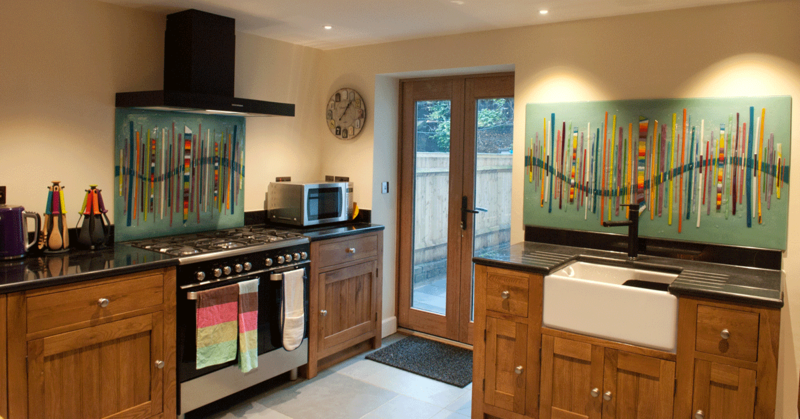 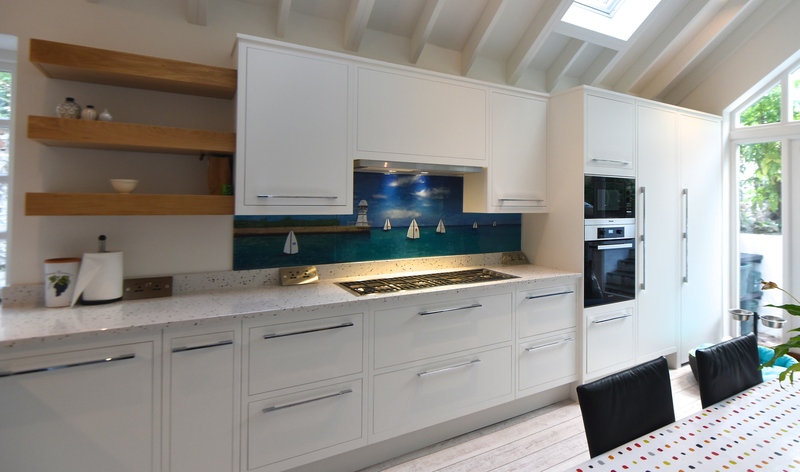 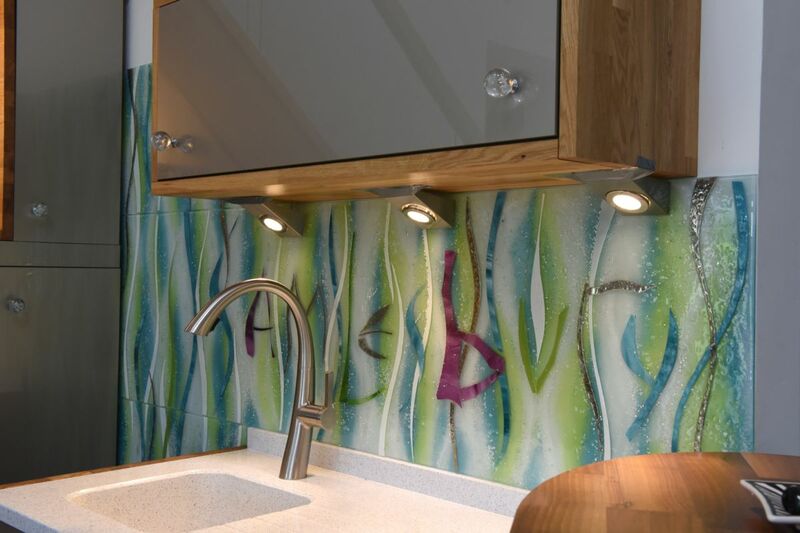 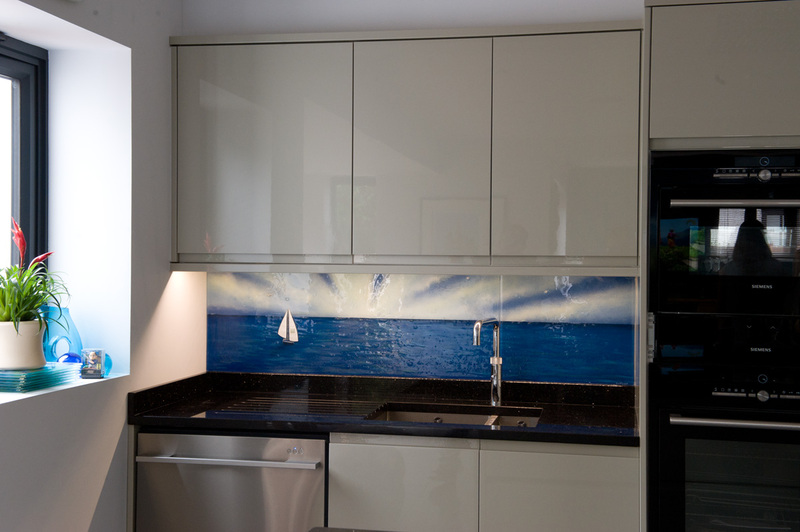 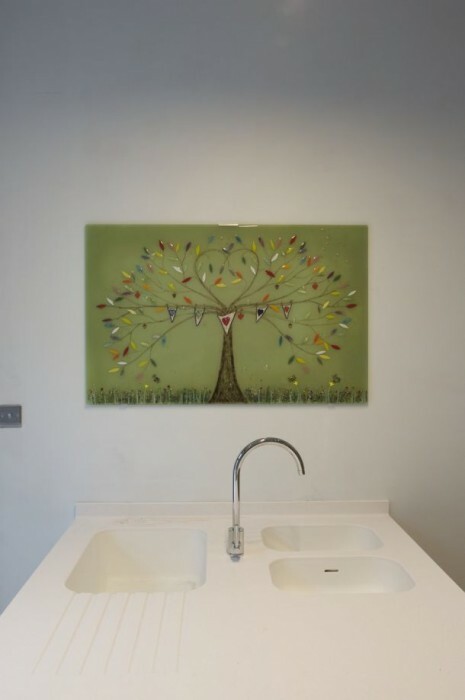 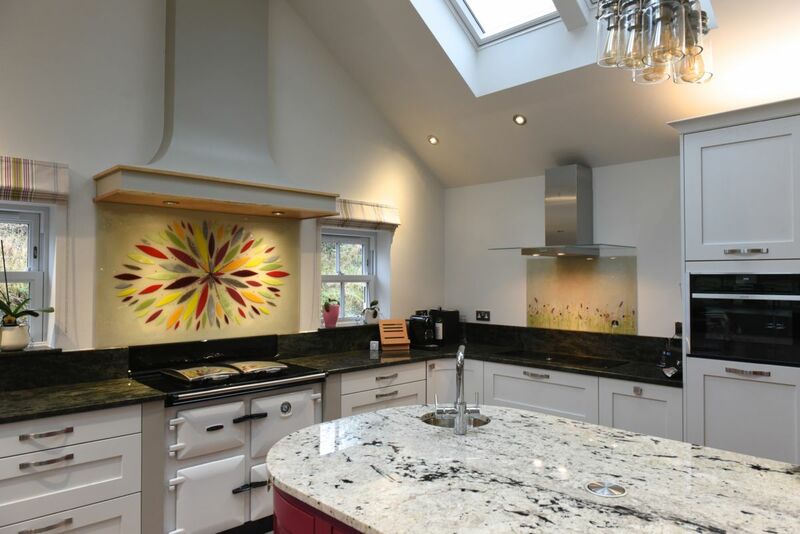 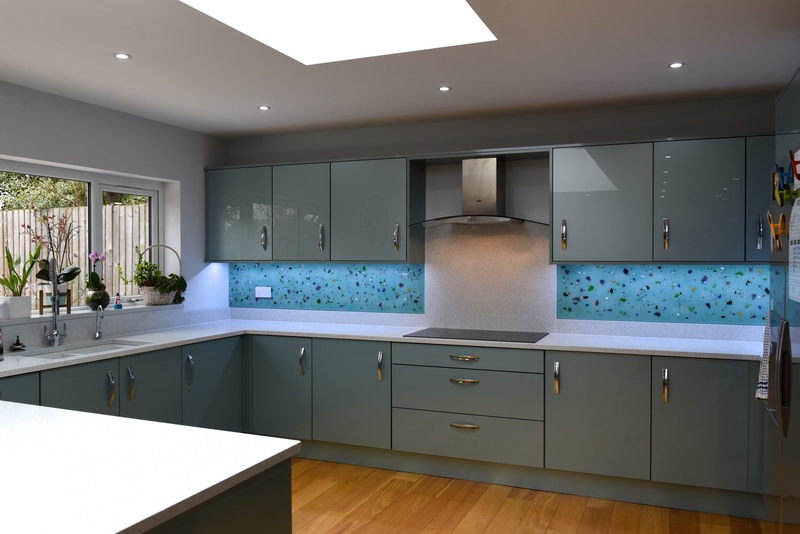 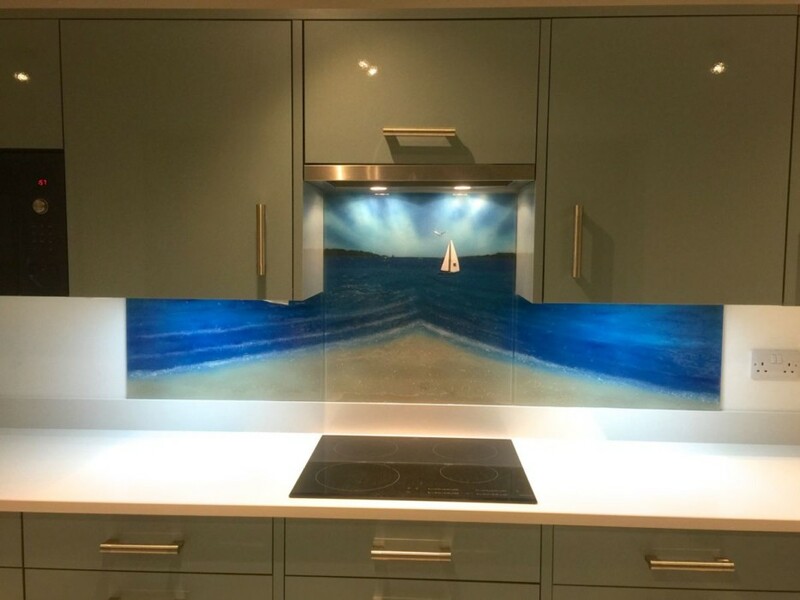 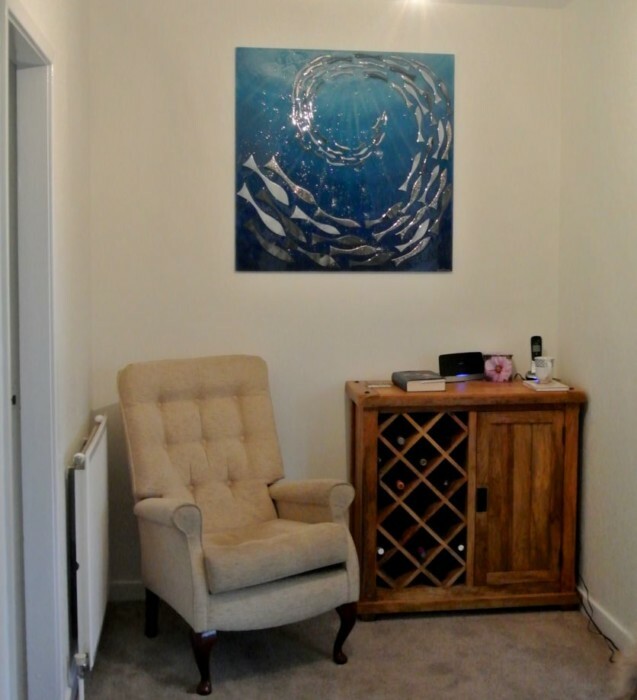 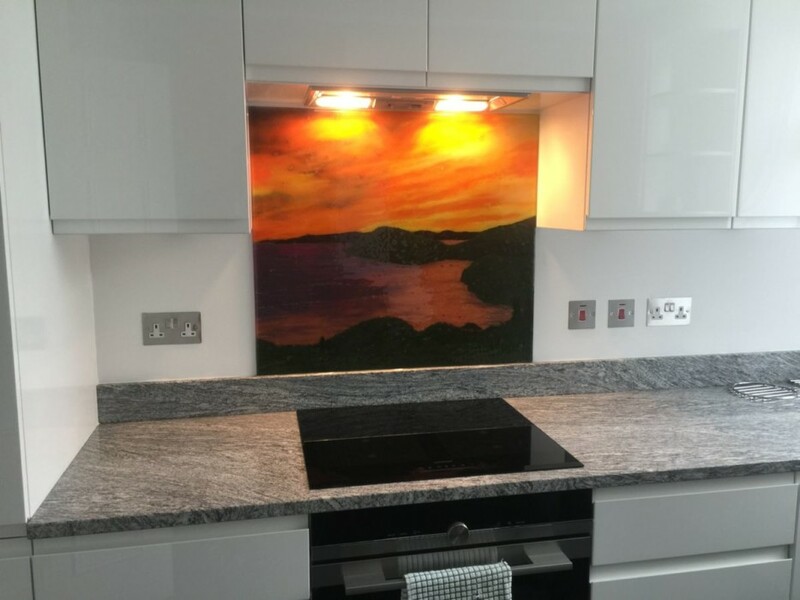 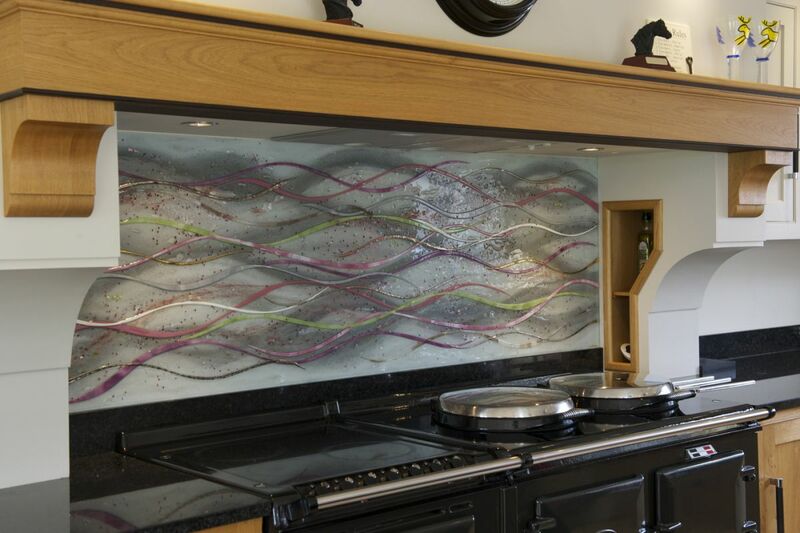 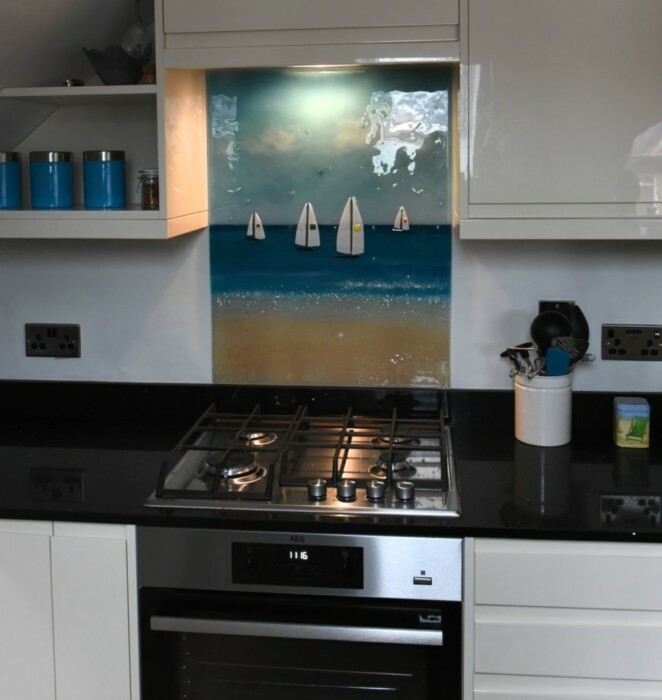 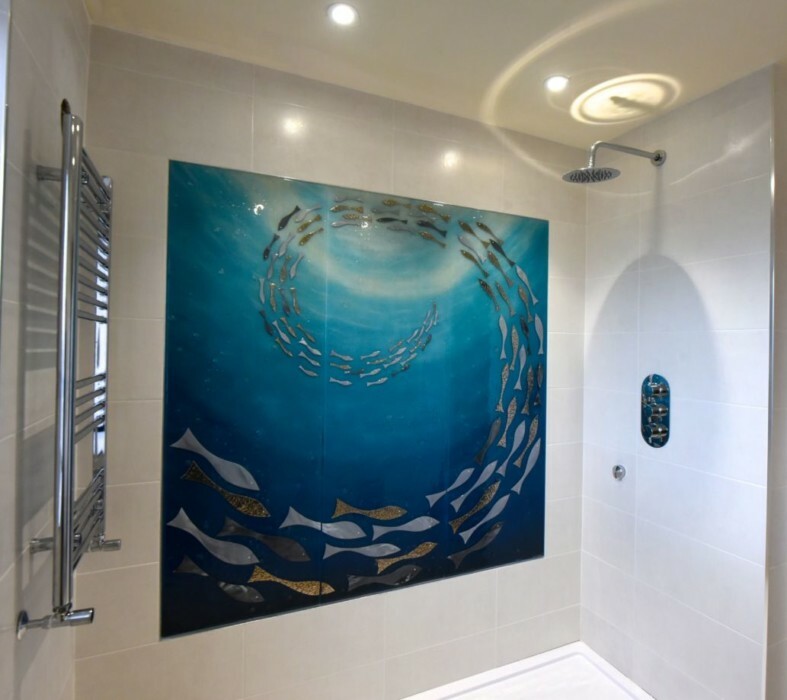 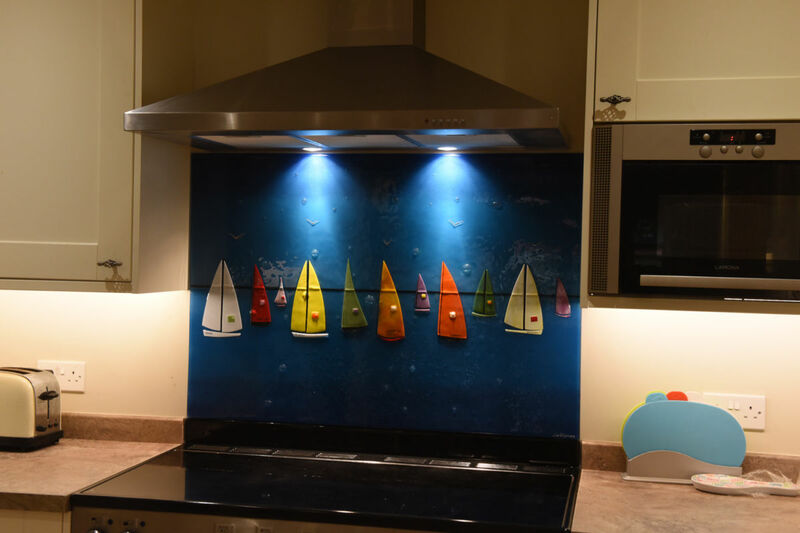 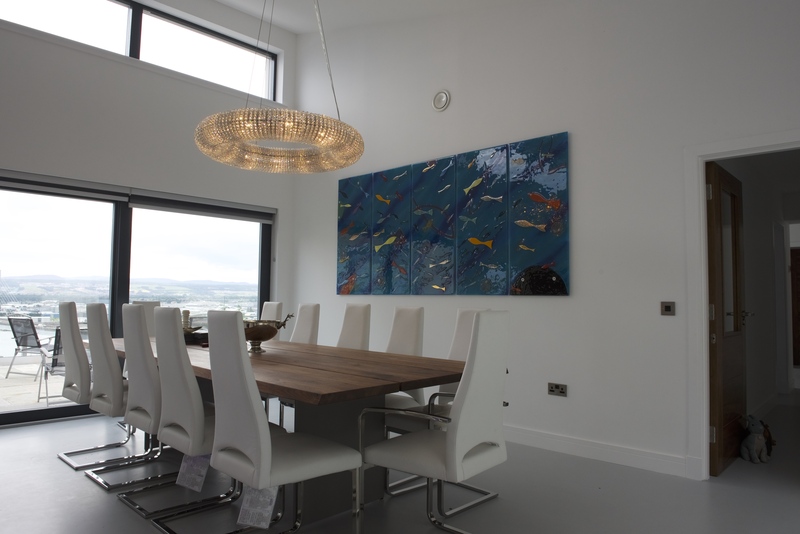 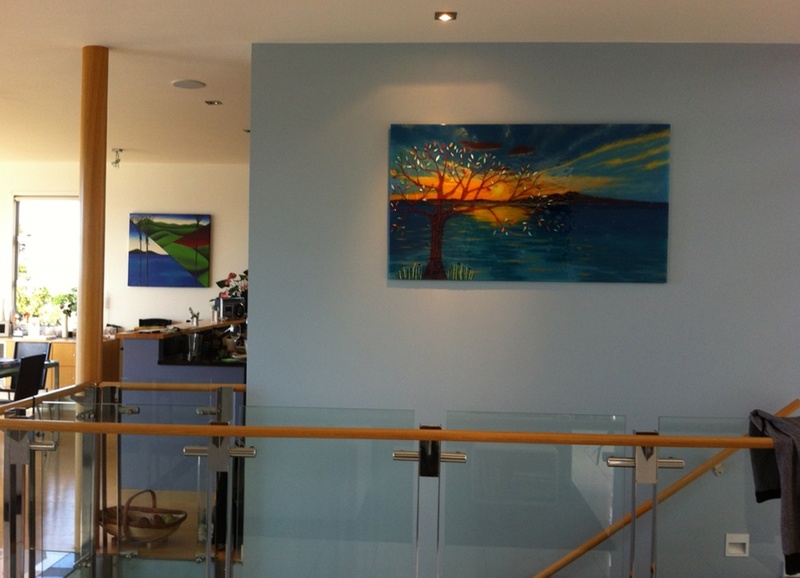 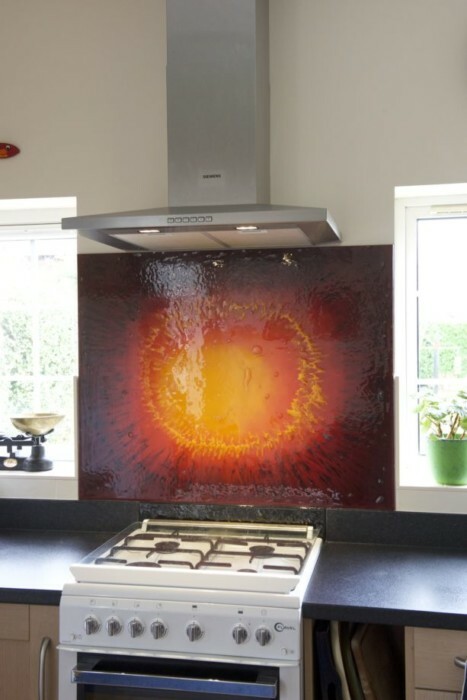 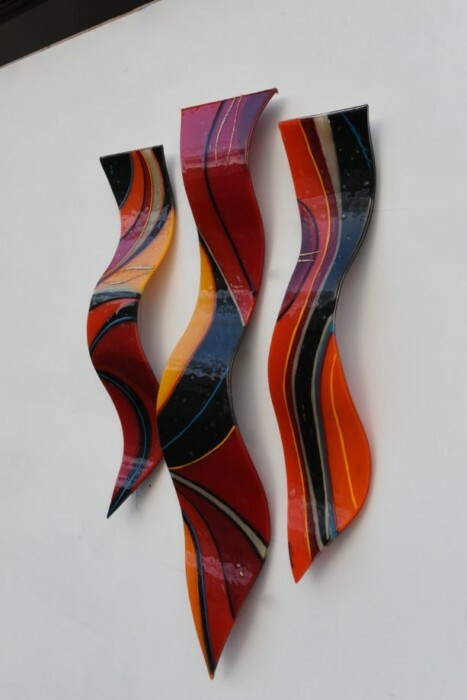 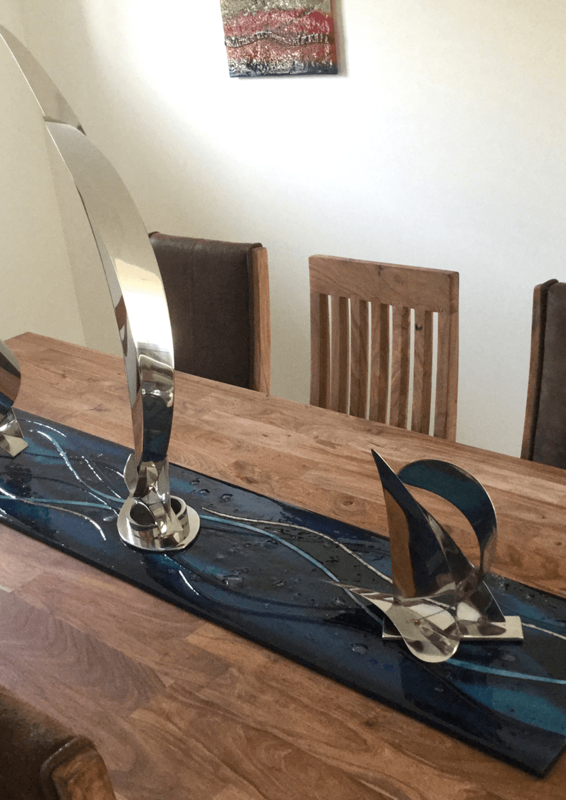 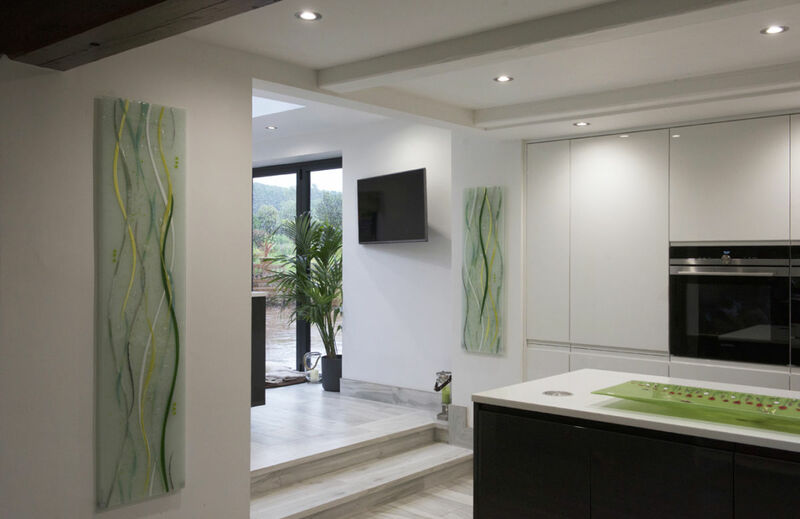 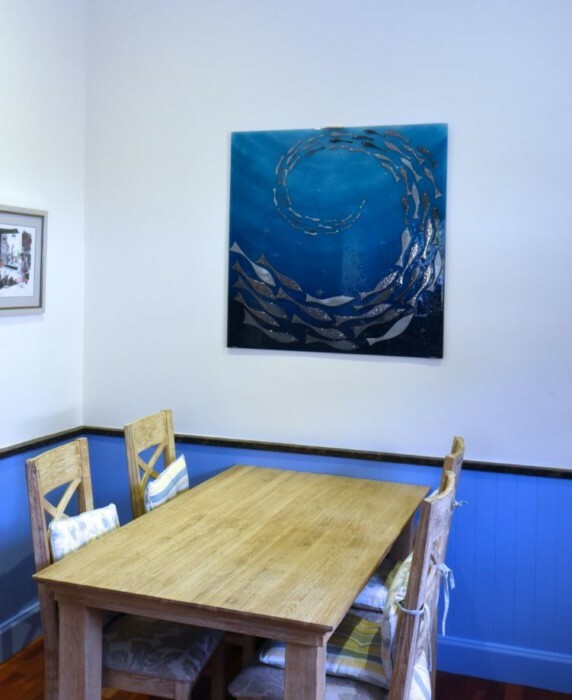 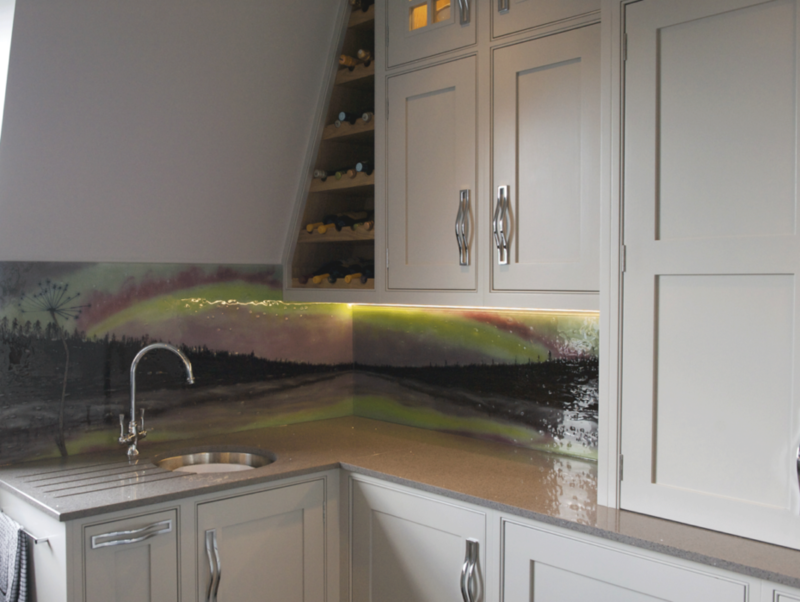 Specialising in home splashbacks, glass wall art panels, accessories and more, we here at The House of Ugly Fish live and breathe fused glass art. 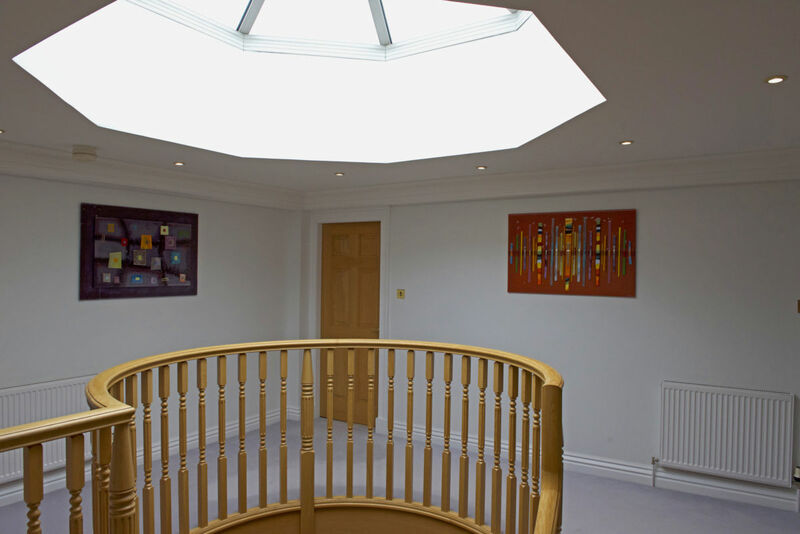 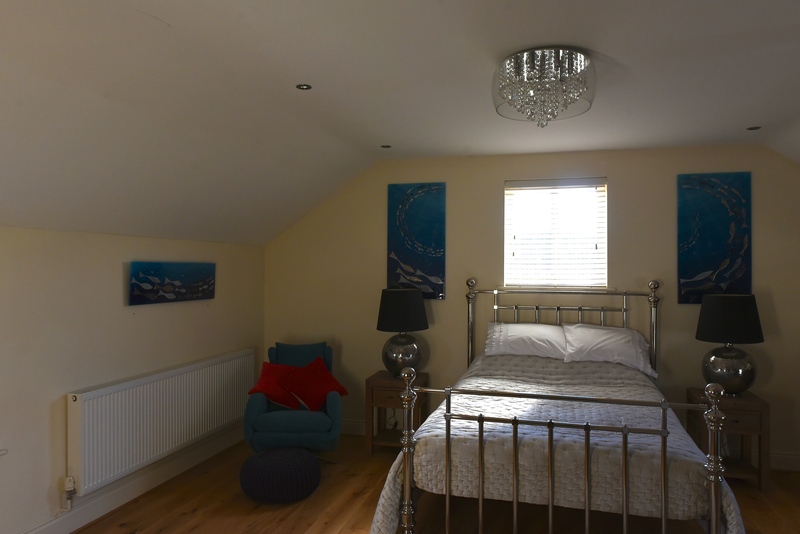 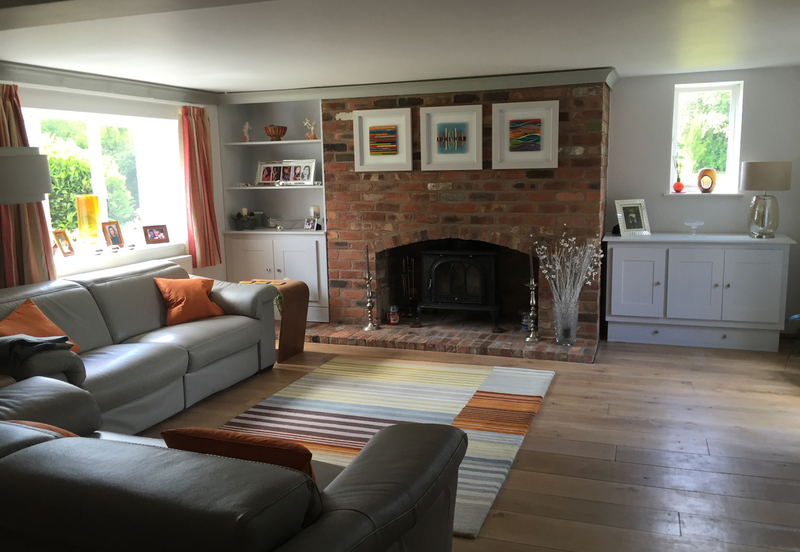 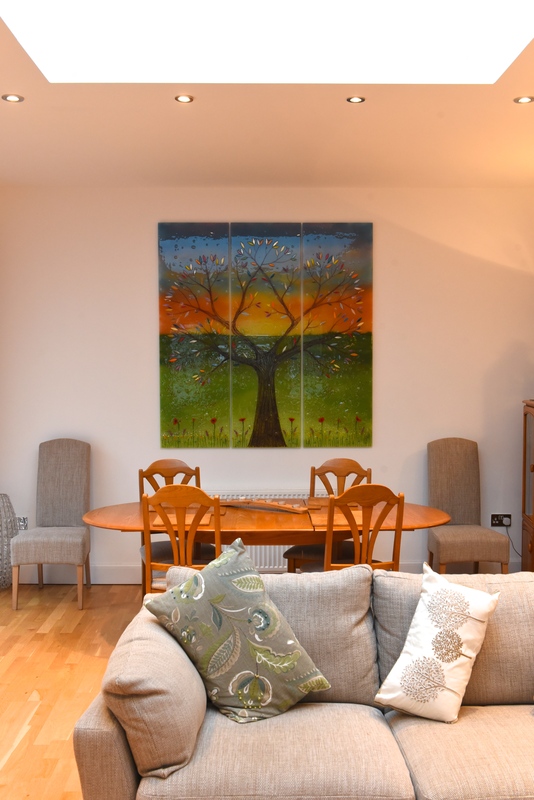 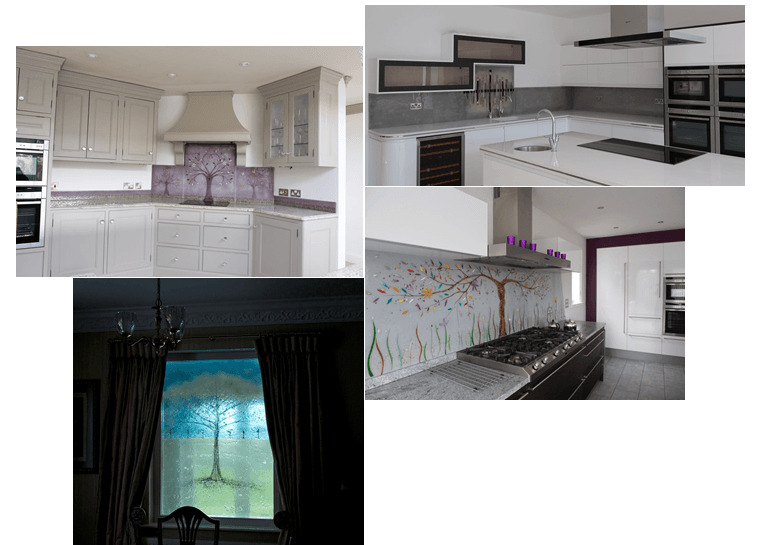 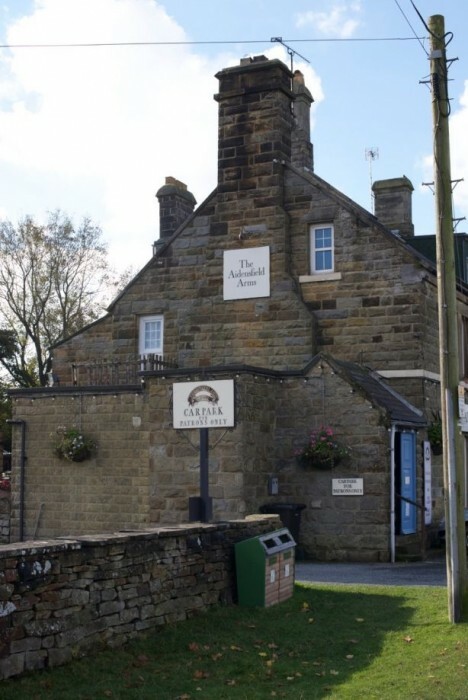 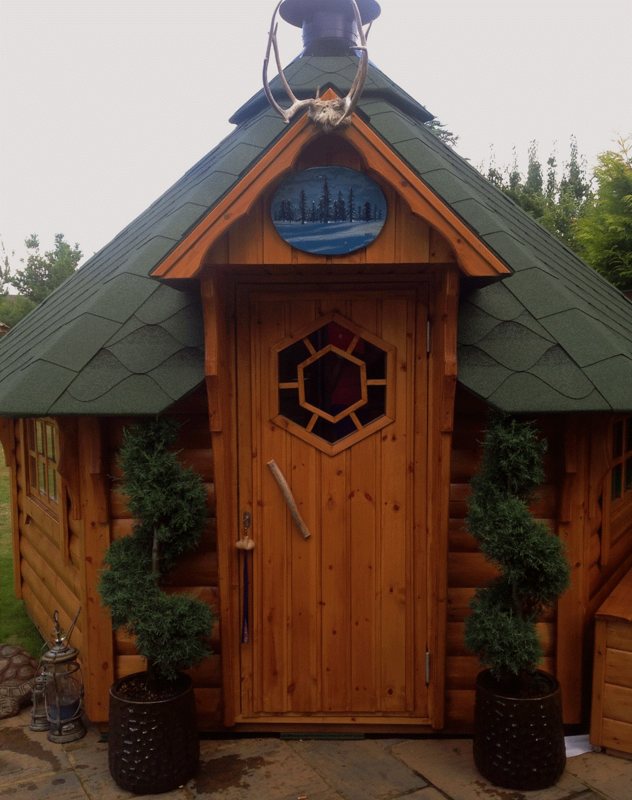 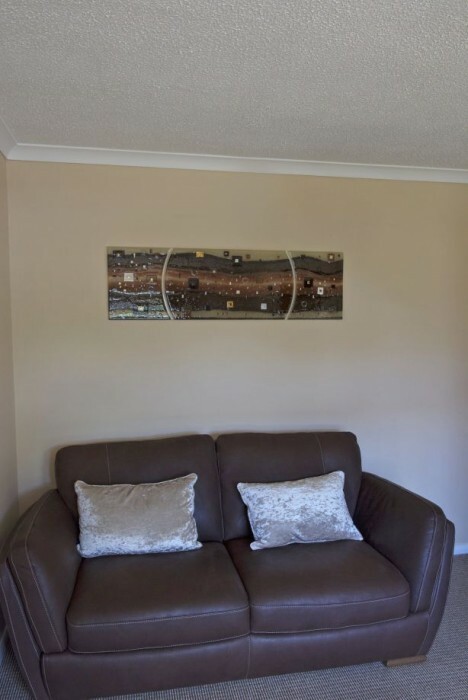 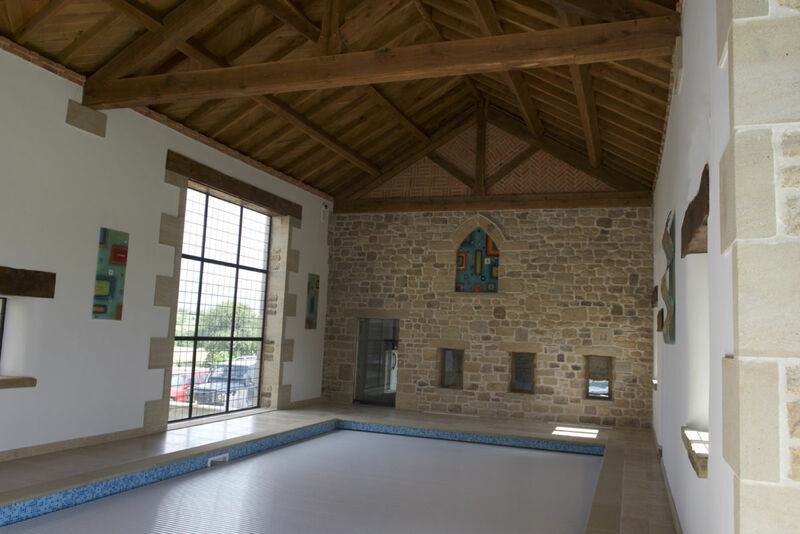 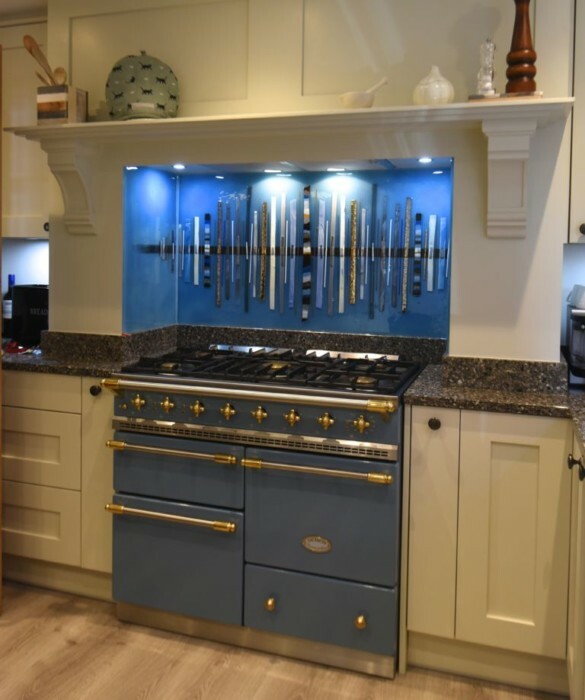 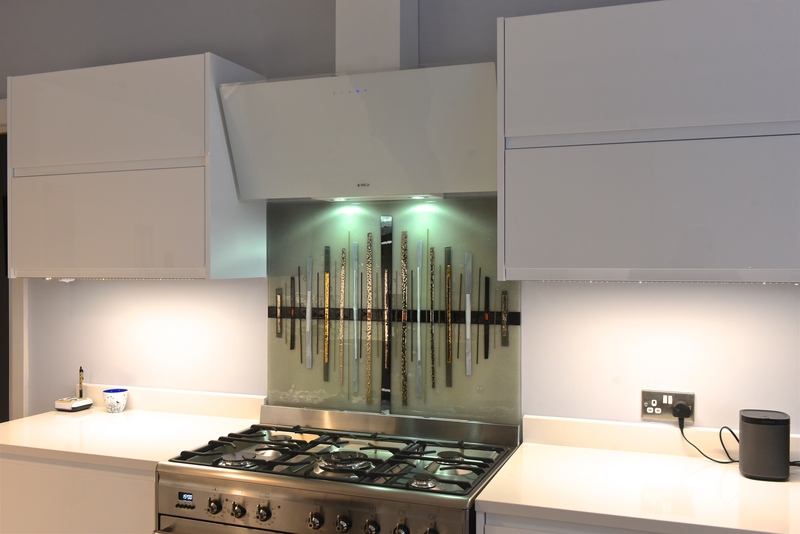 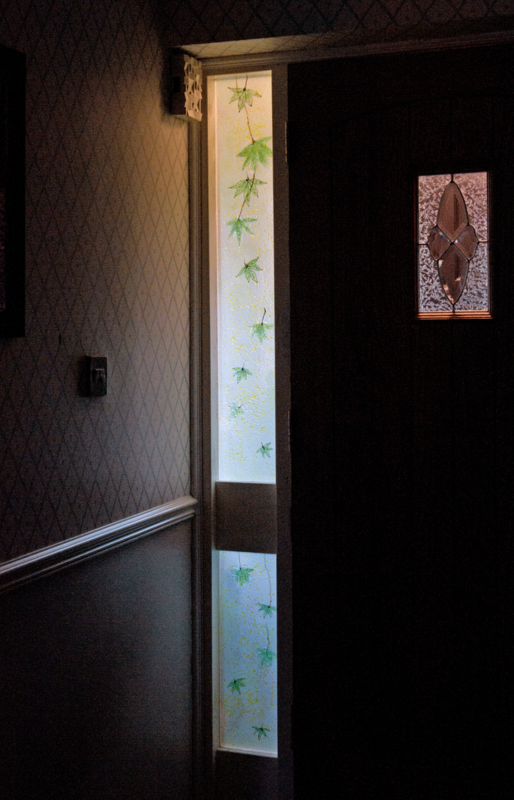 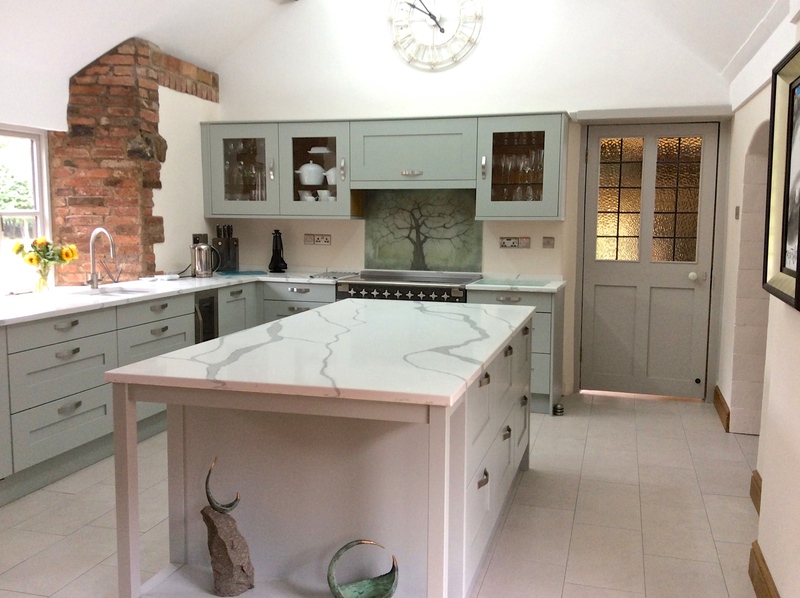 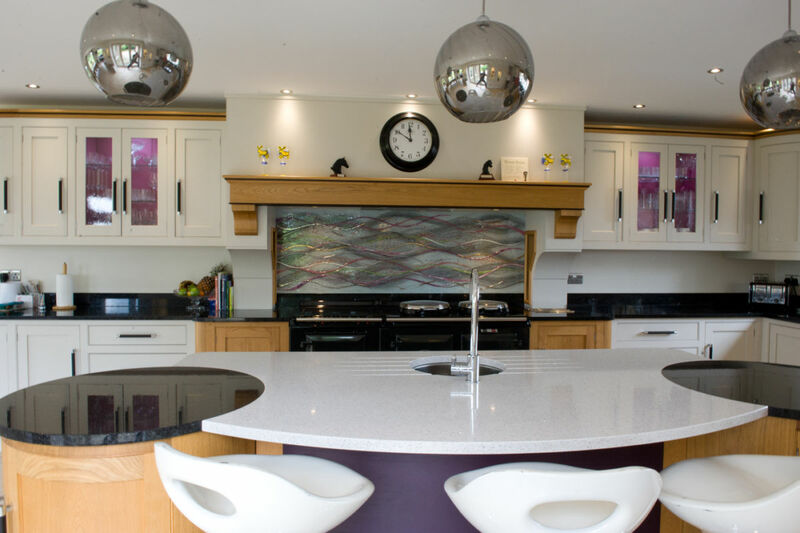 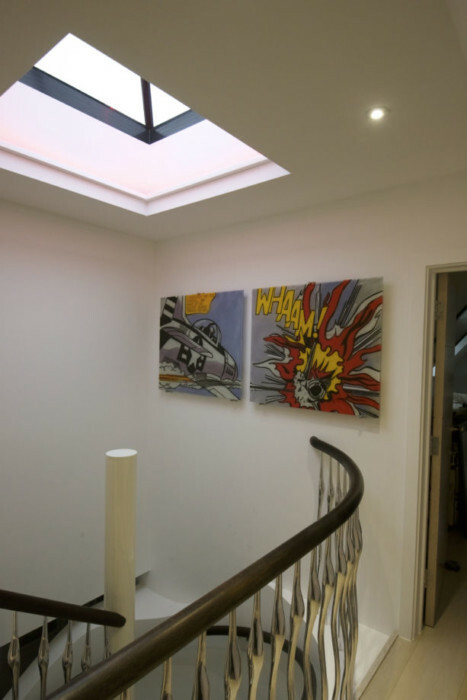 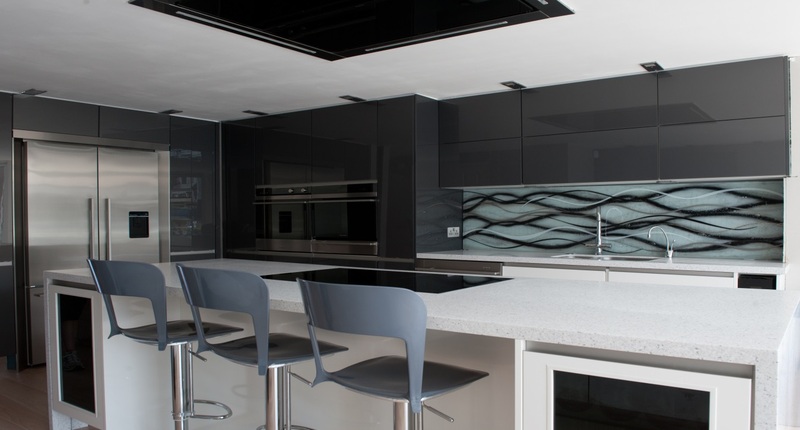 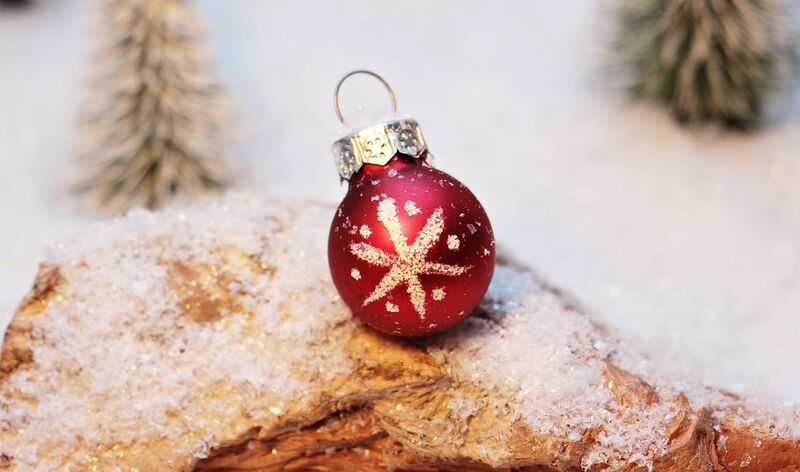 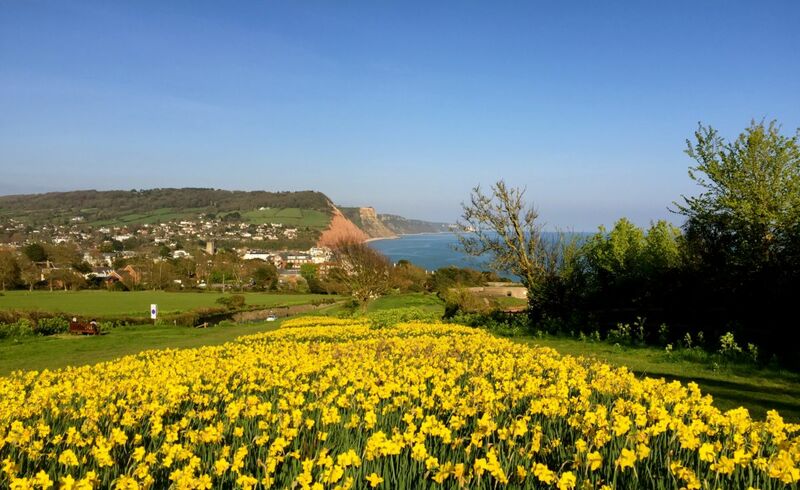 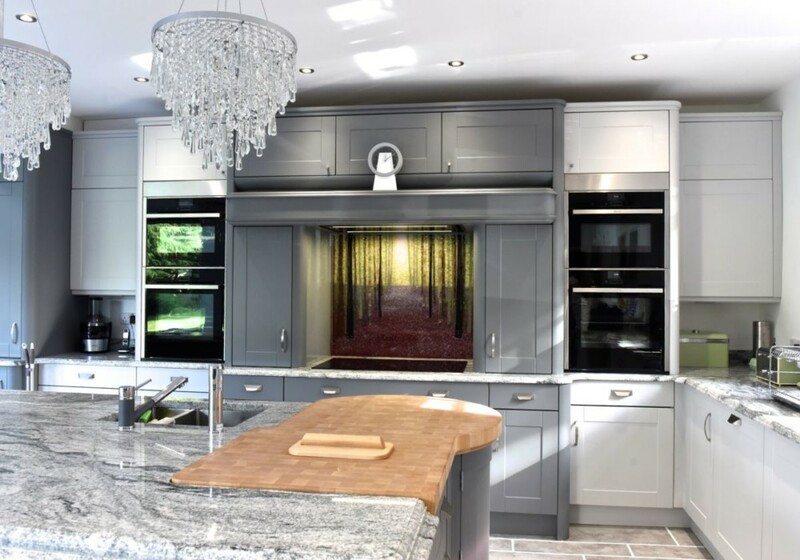 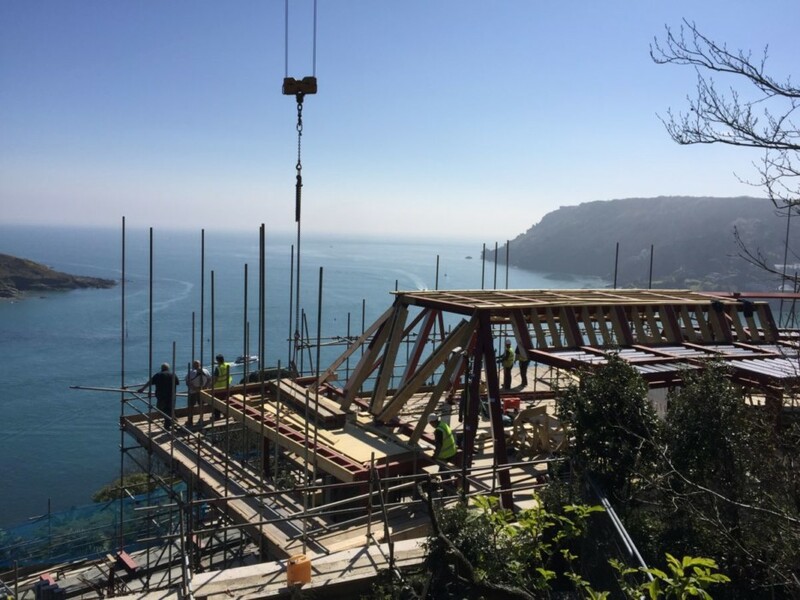 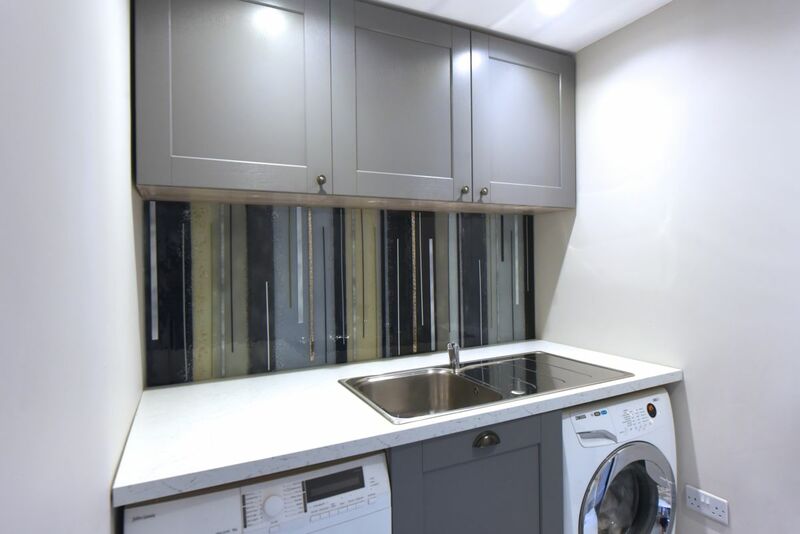 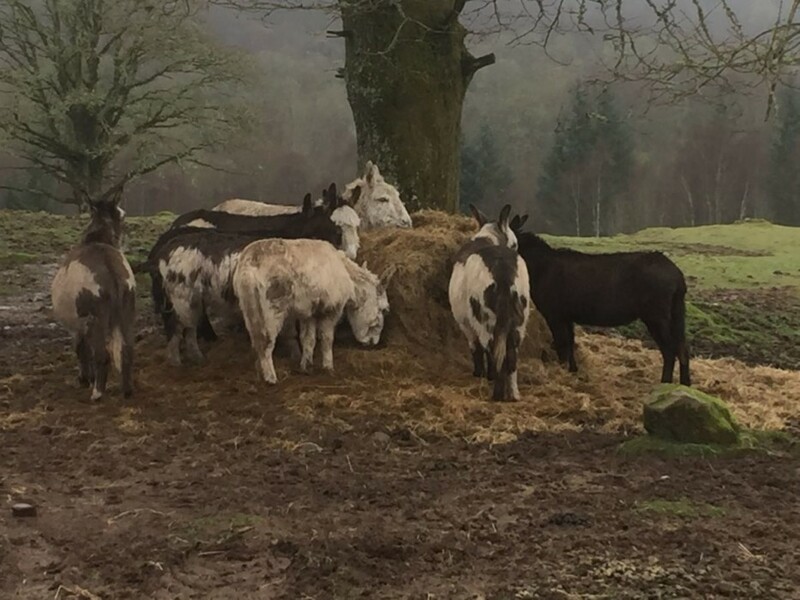 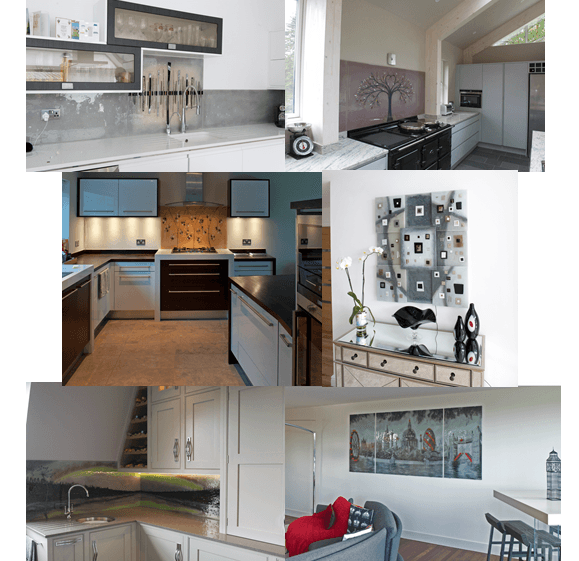 There’s simply no-one who does it better, so make sure you absolutely do not hesitate to pick up the phone or drop us an email if what we have to offer is the perfect thing for your home. 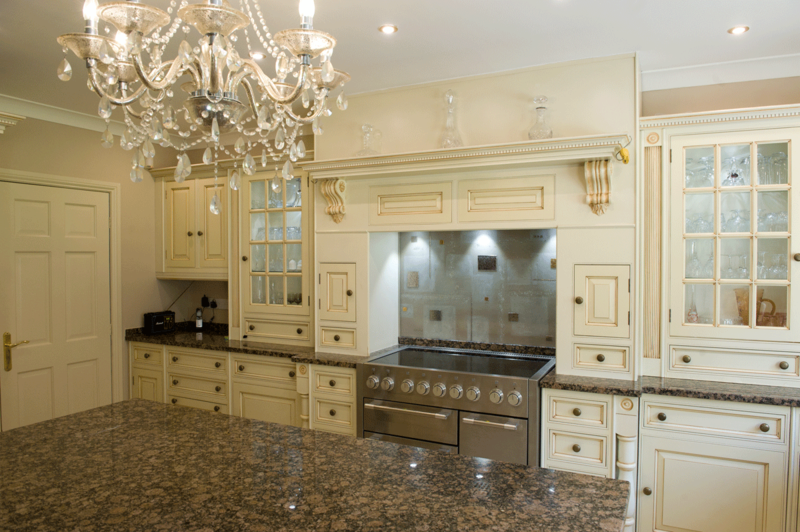 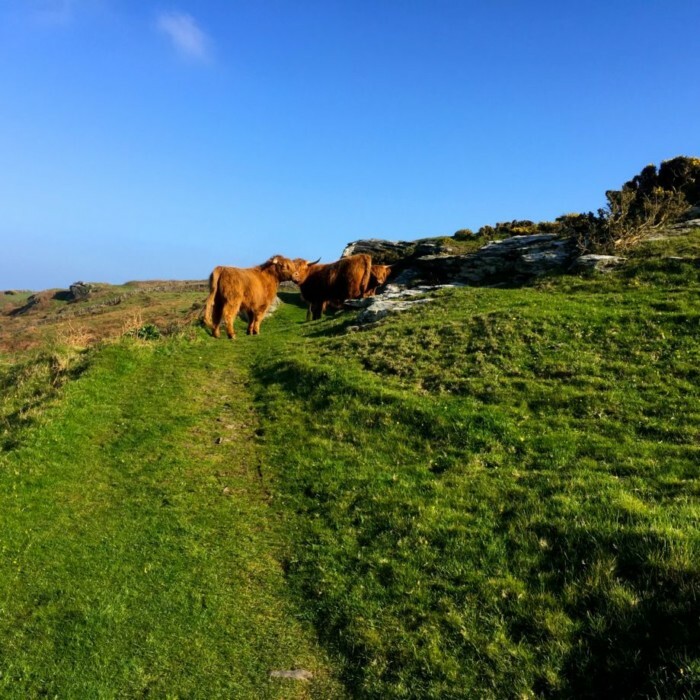 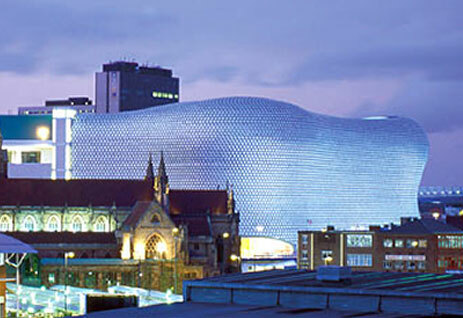 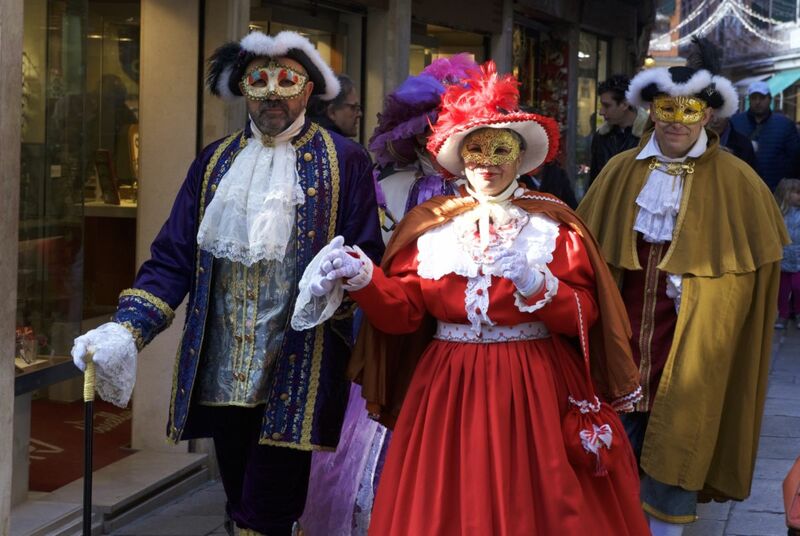 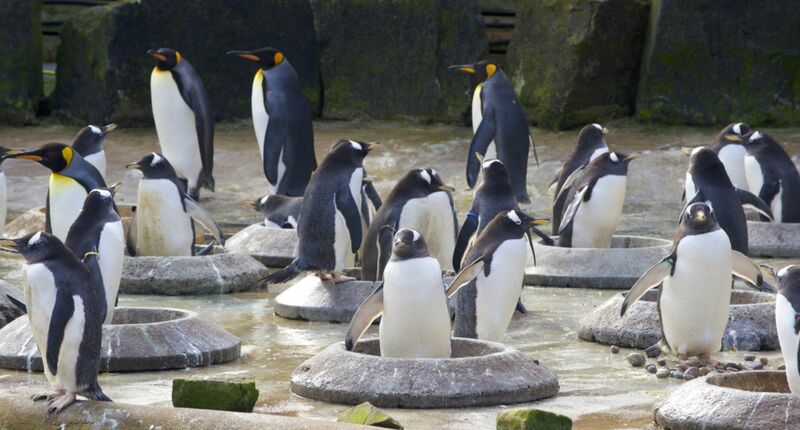 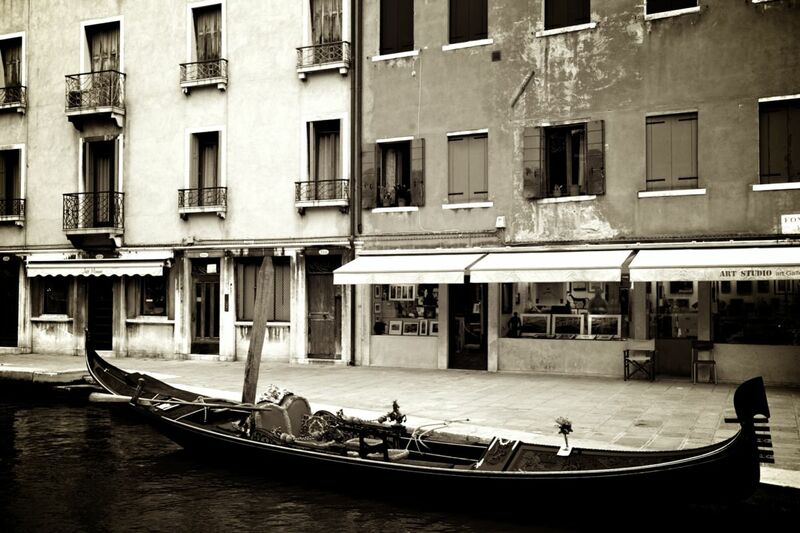 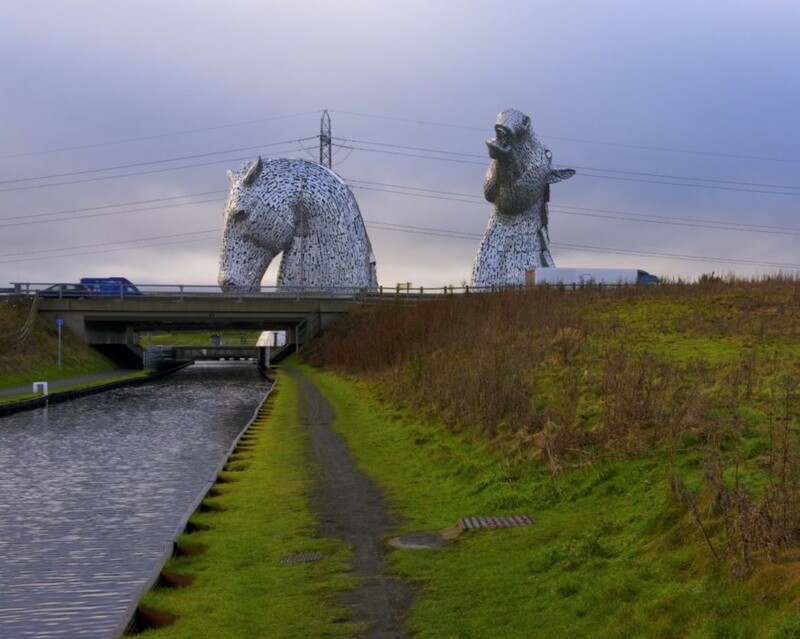 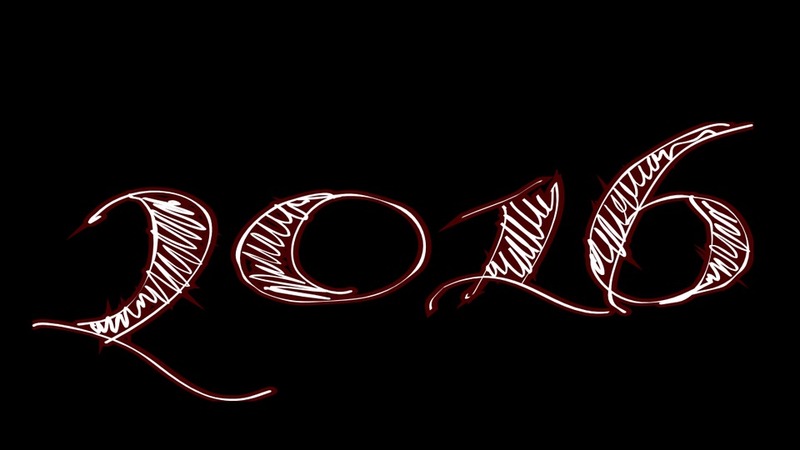 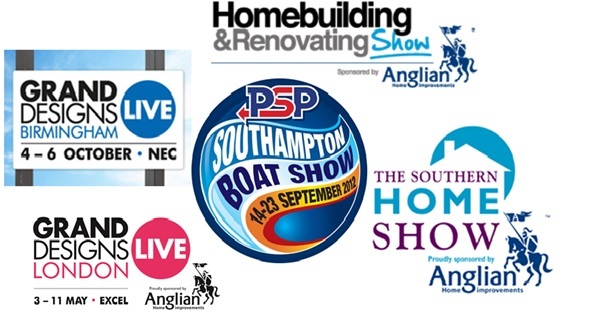 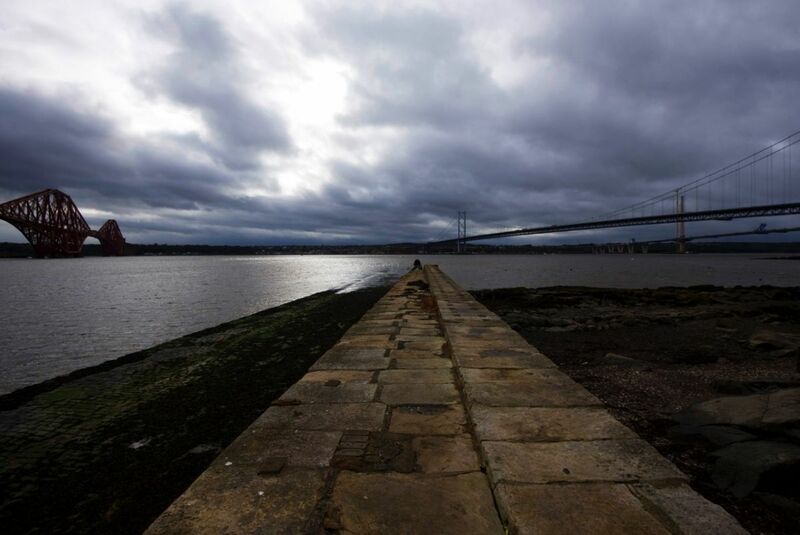 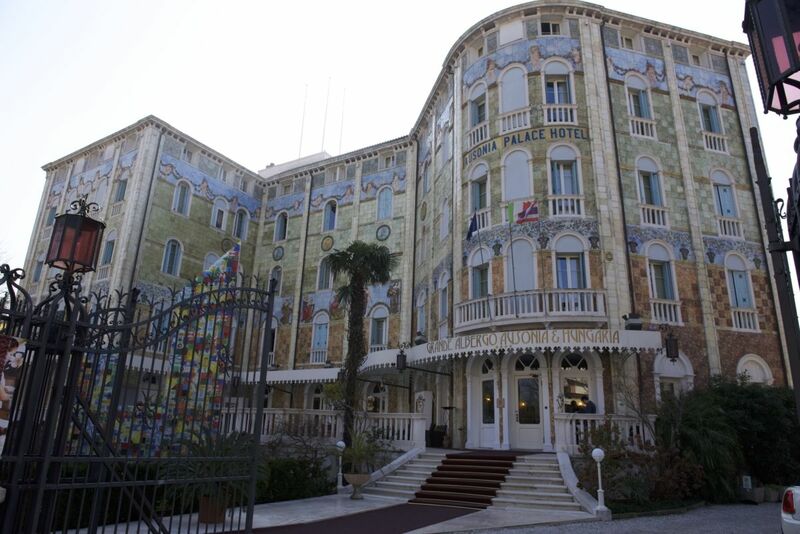 Our full contact details can be found here on our website.